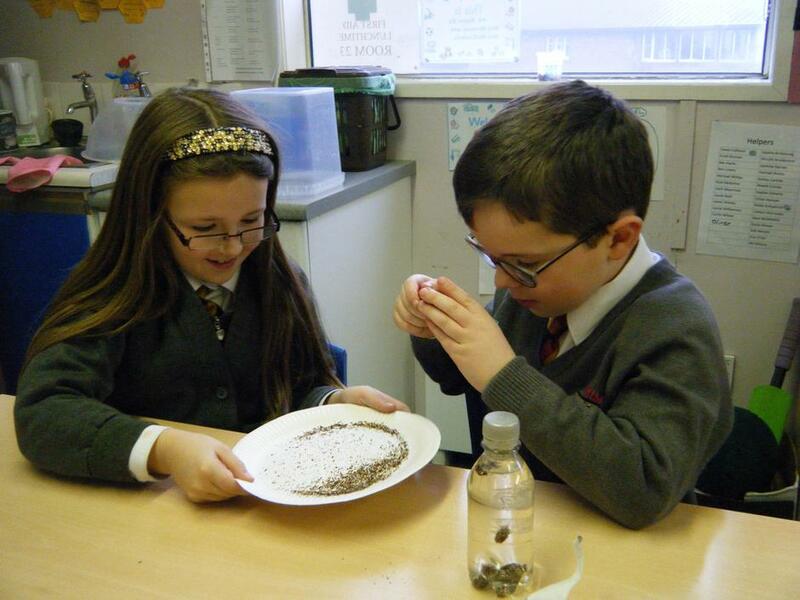 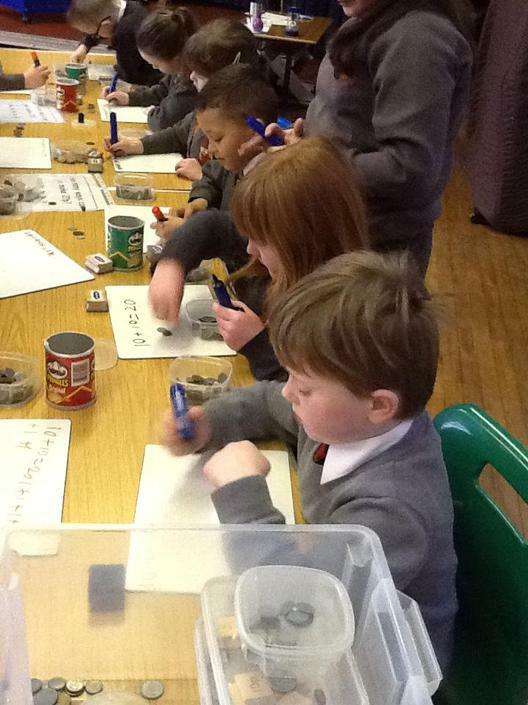 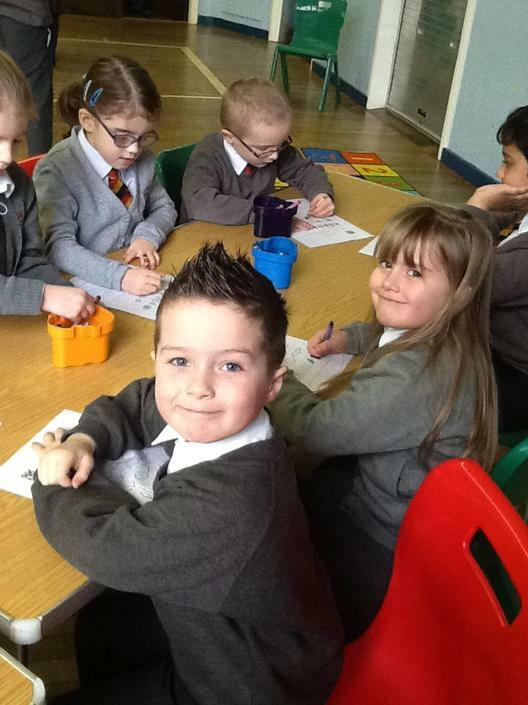 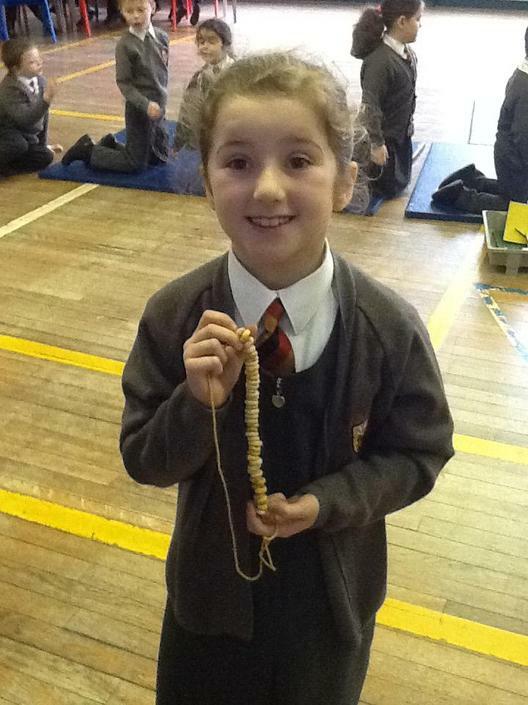 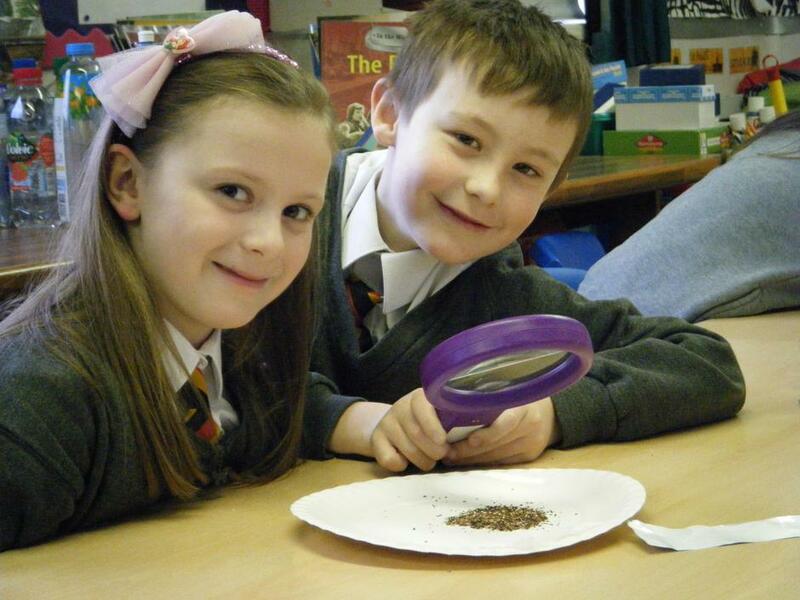 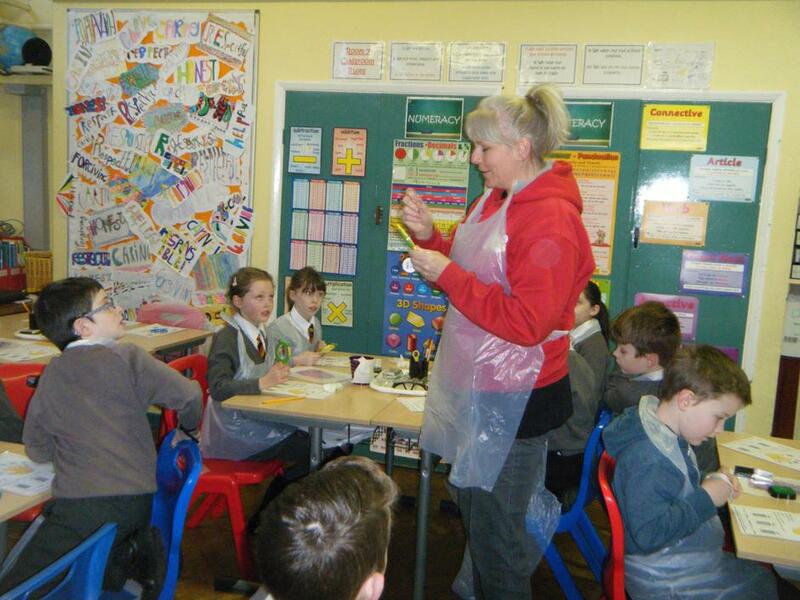 Groundwork NI - Heather came to plant seeds with Primary 3. 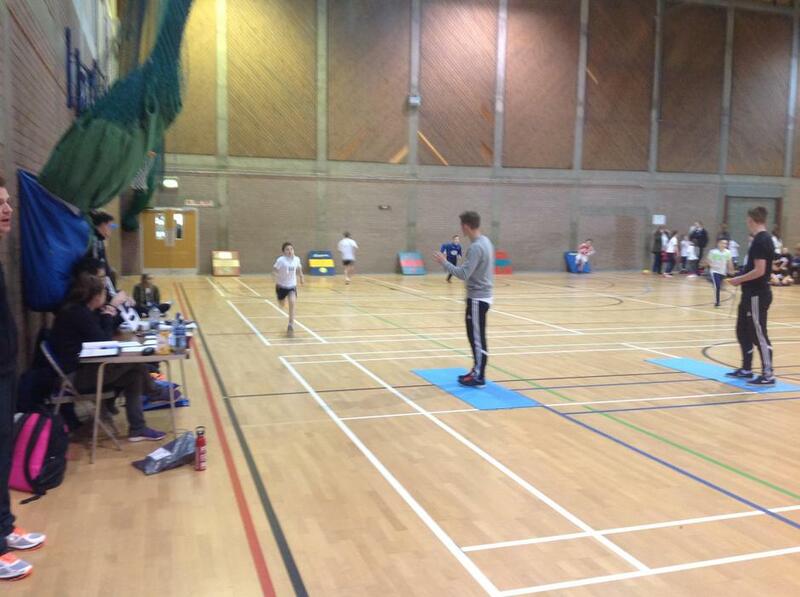 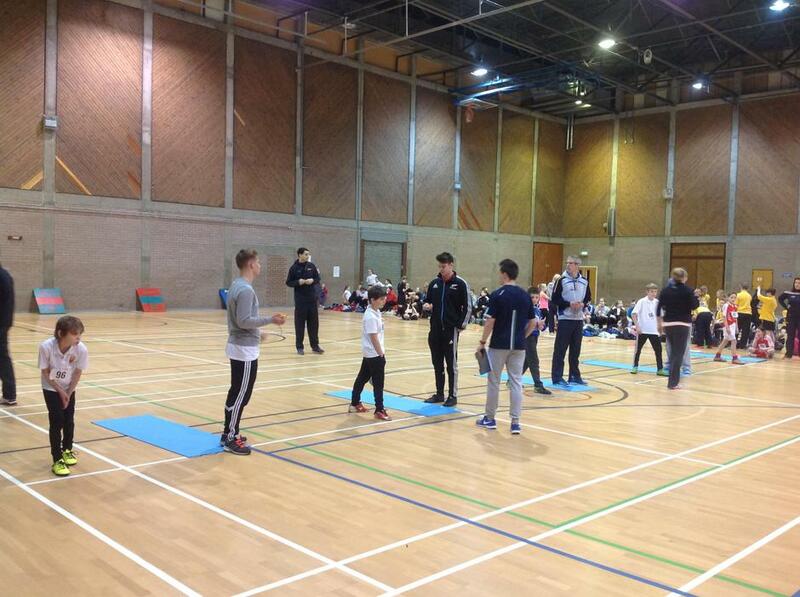 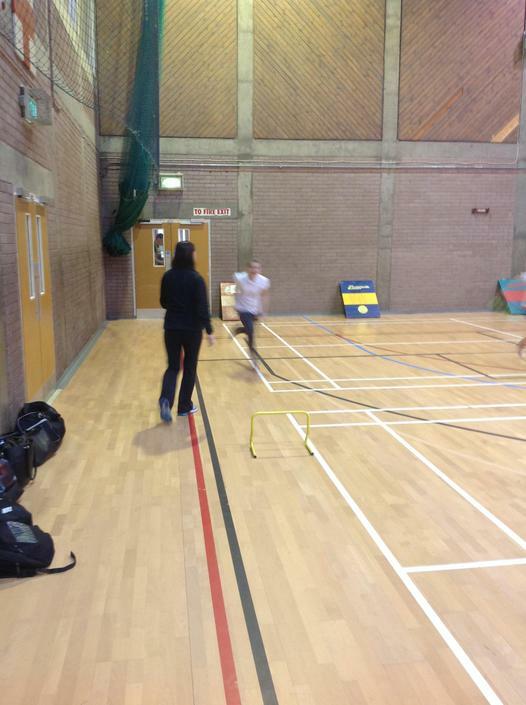 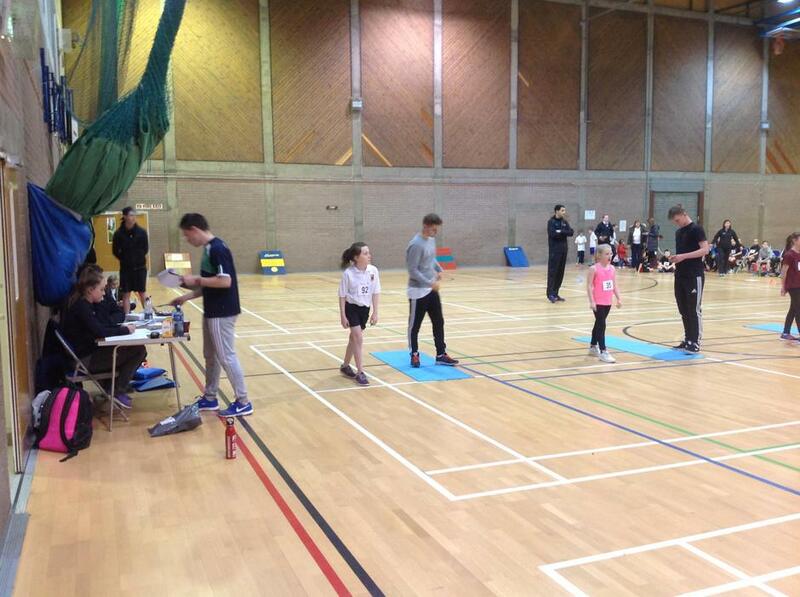 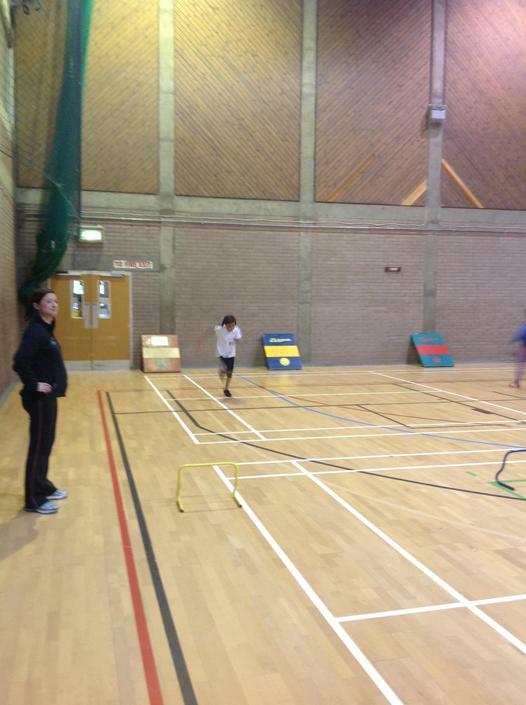 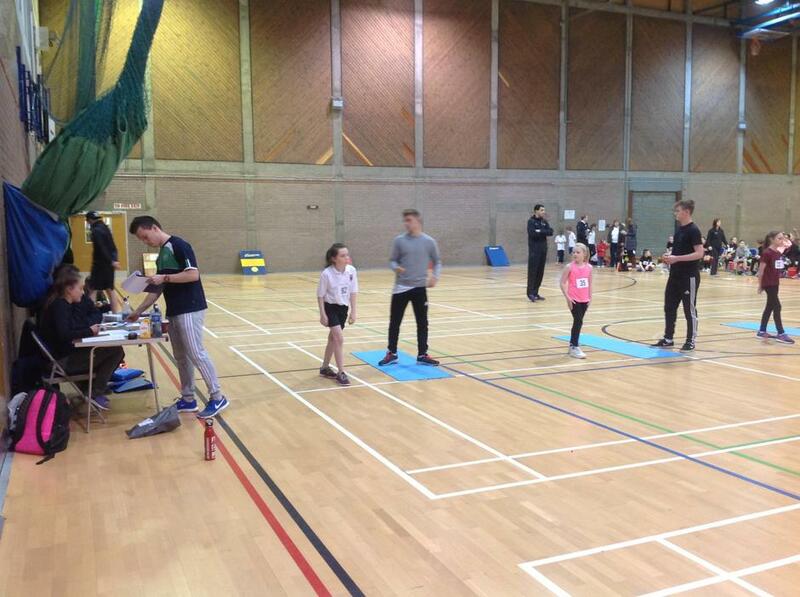 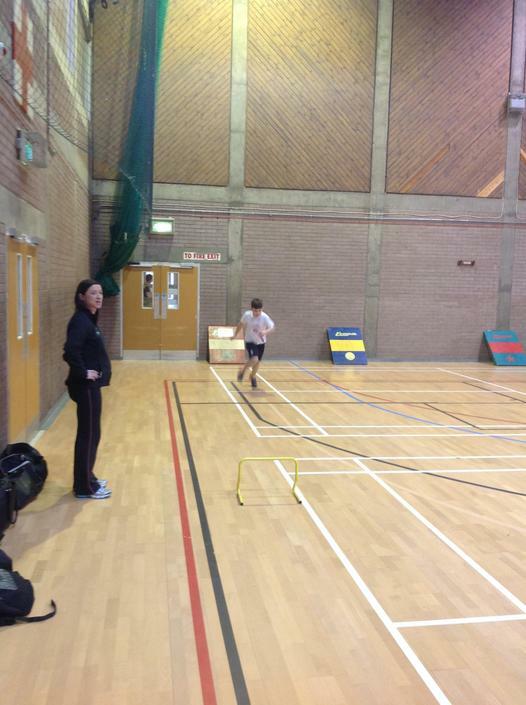 On Wednesday 4th May, 9 children from Antrim Primary took part in a triathlon event at Antrim Forum. 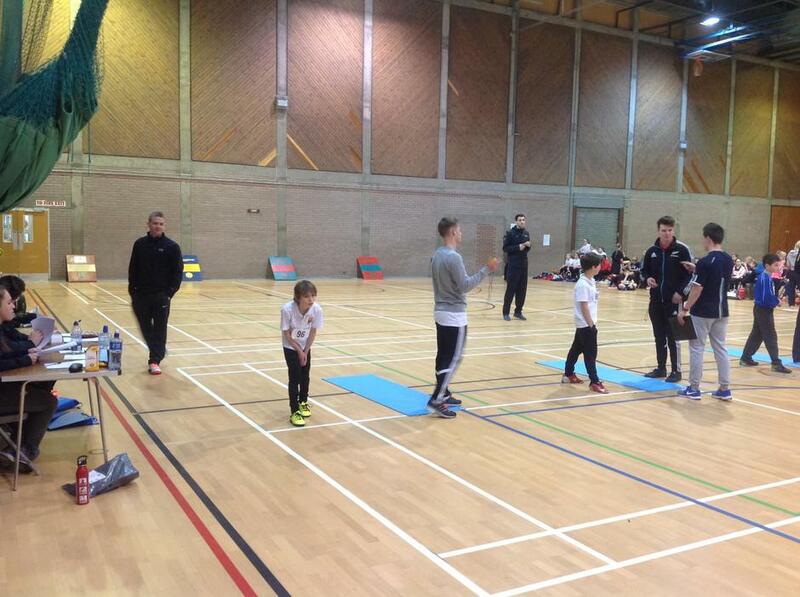 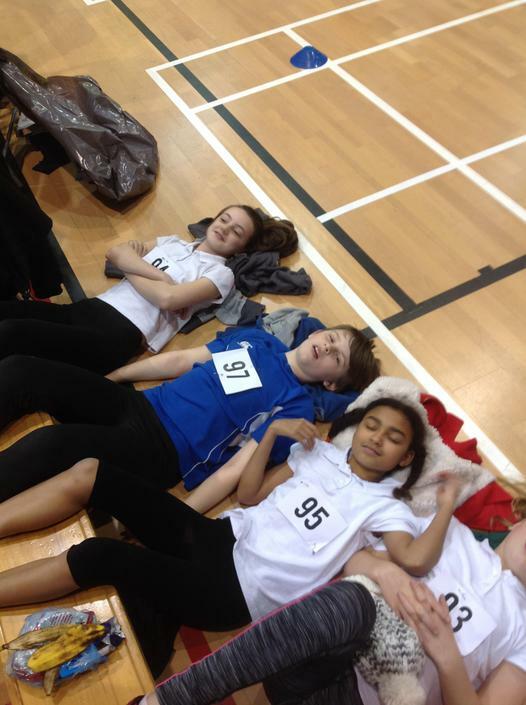 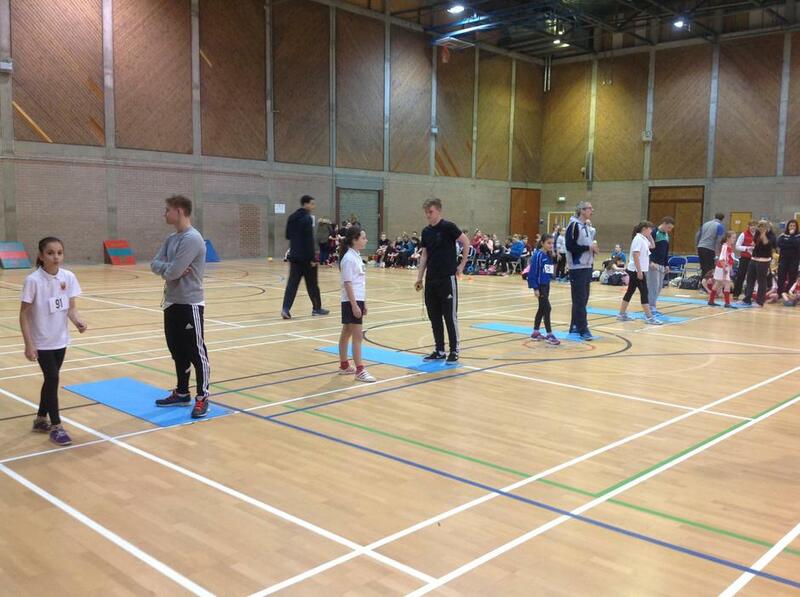 The event entailed a 100m swim, an 800m cycle and 400m run. 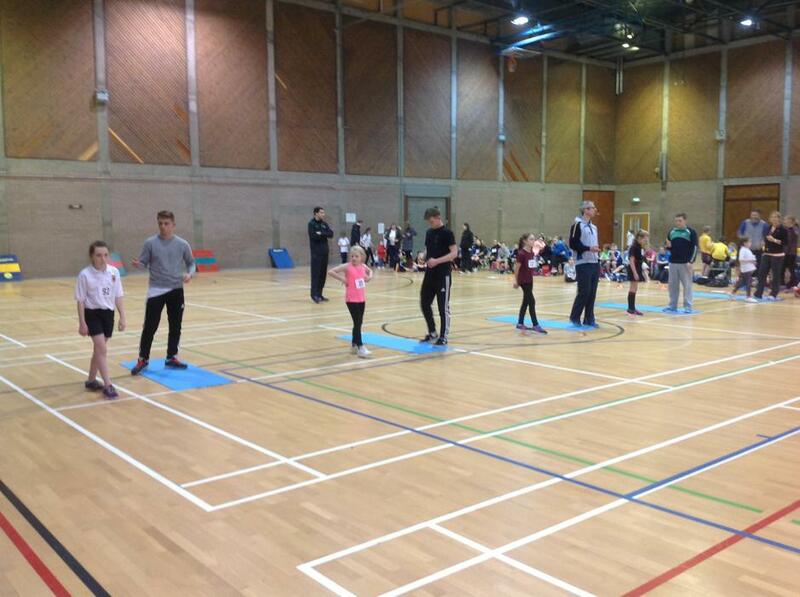 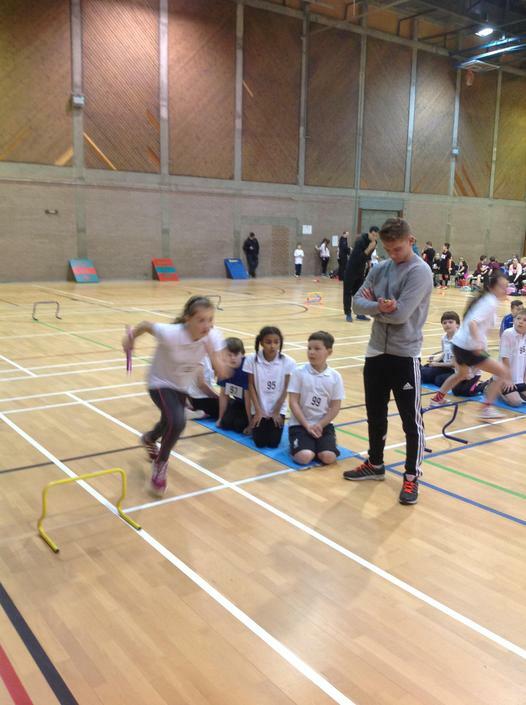 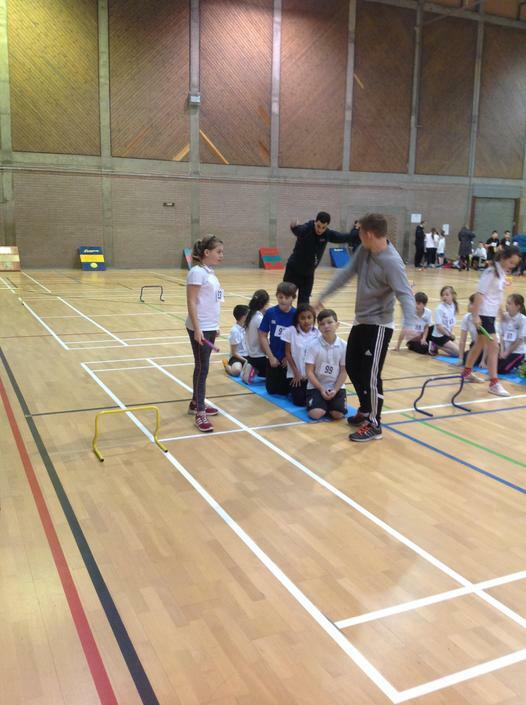 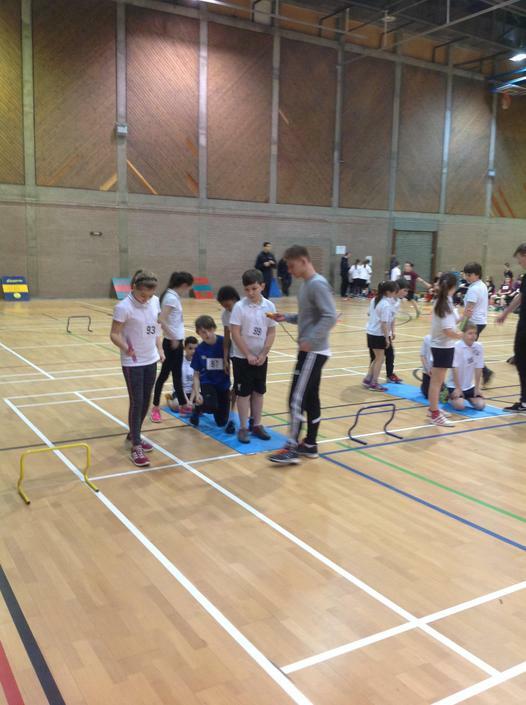 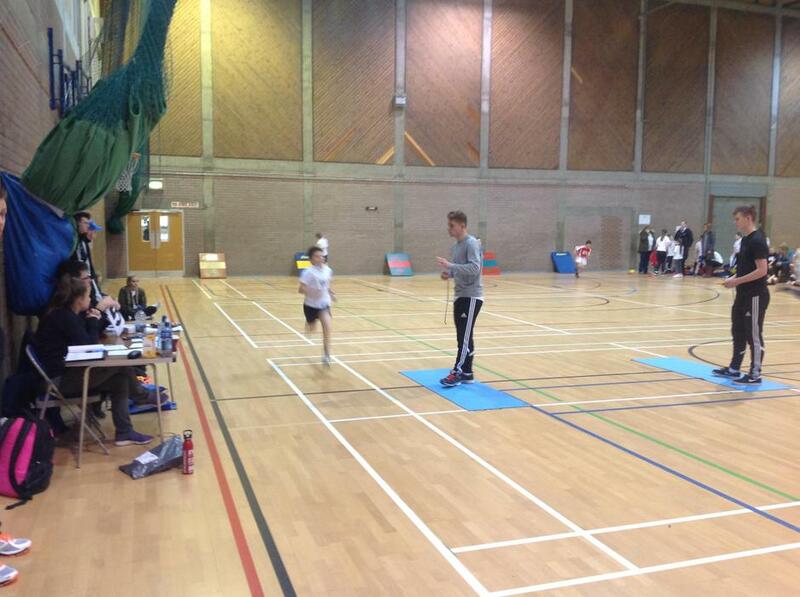 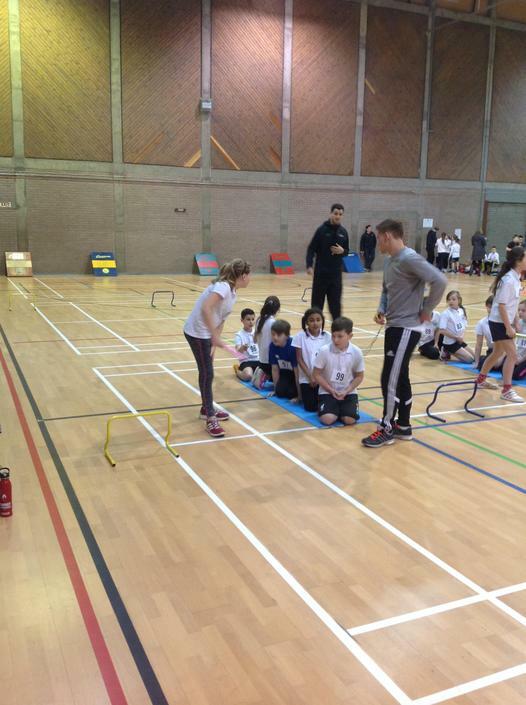 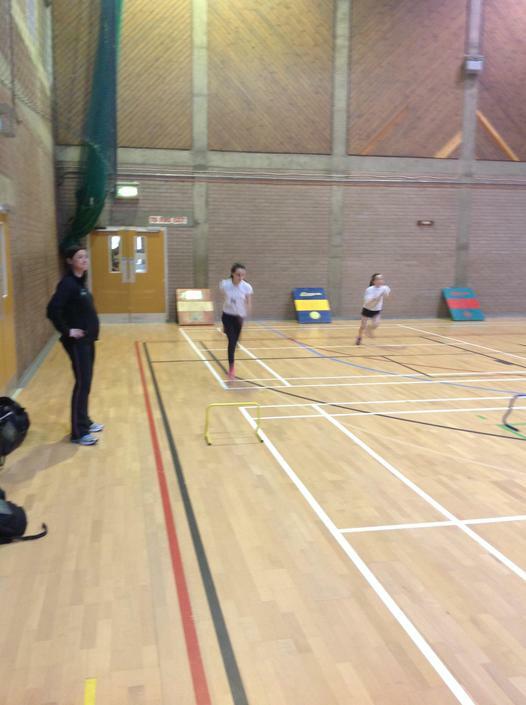 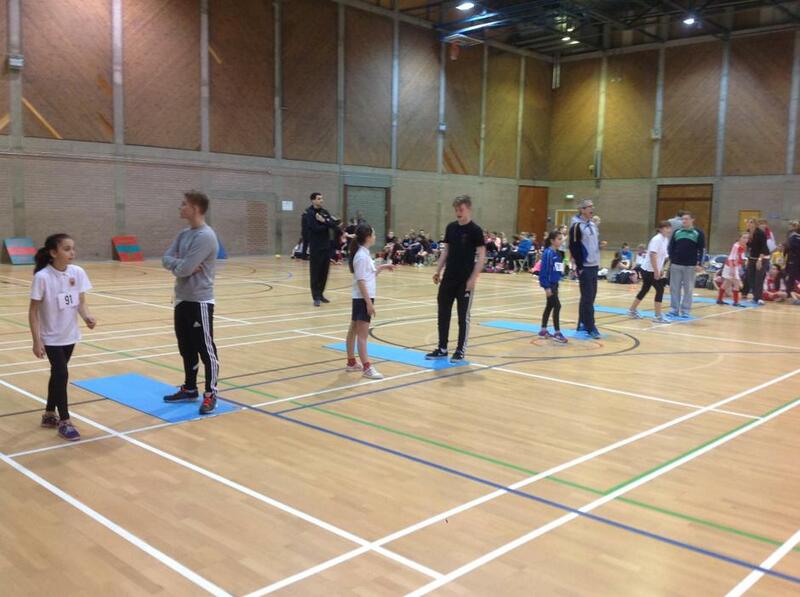 All the children who participated were great ambassadors for Antrim Primary and competed well throughout the event. 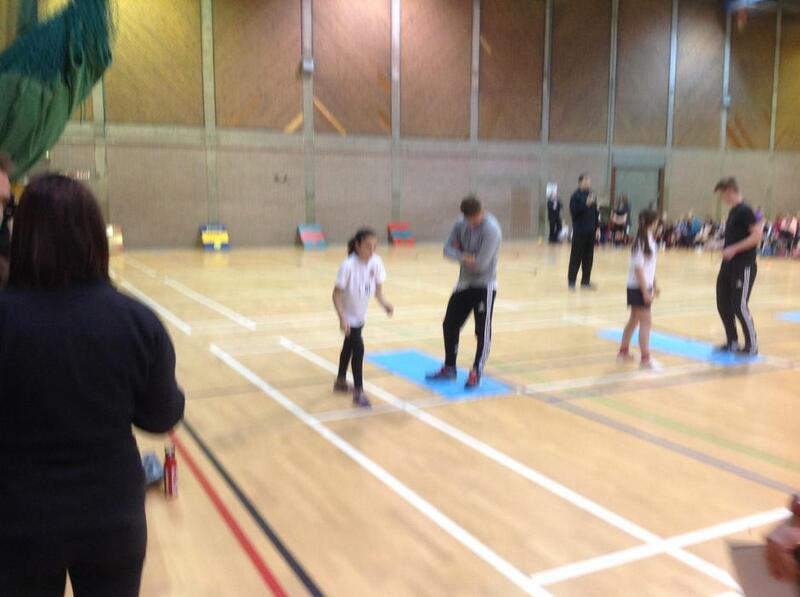 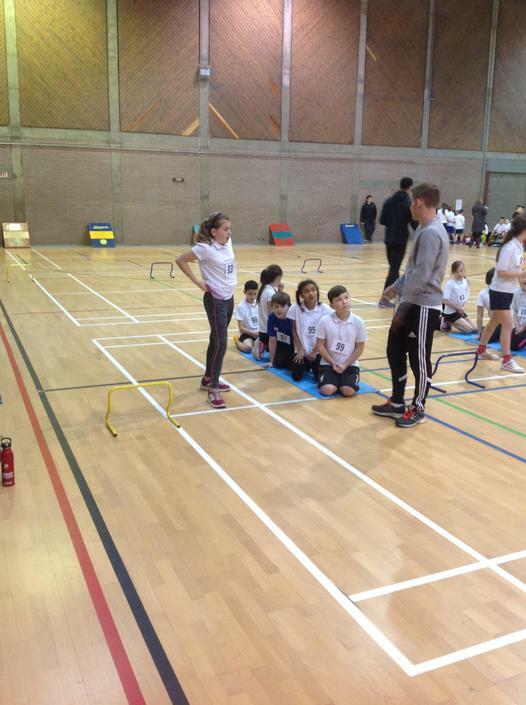 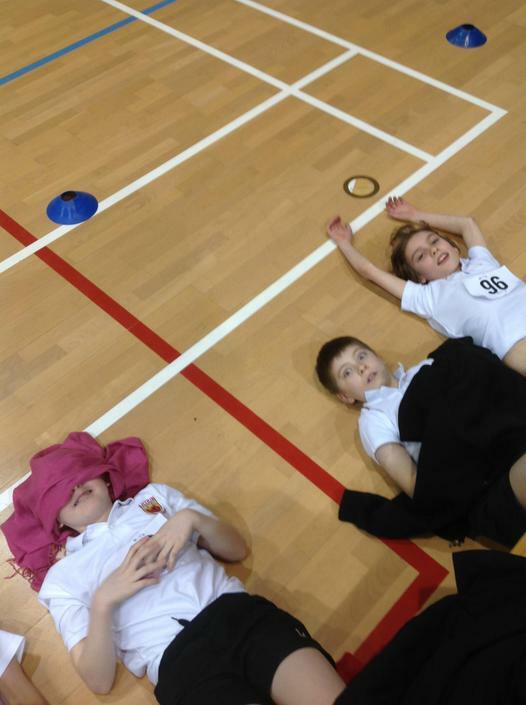 Triathlon is a tough discipline but all the children undertook the challenge and did not give up. 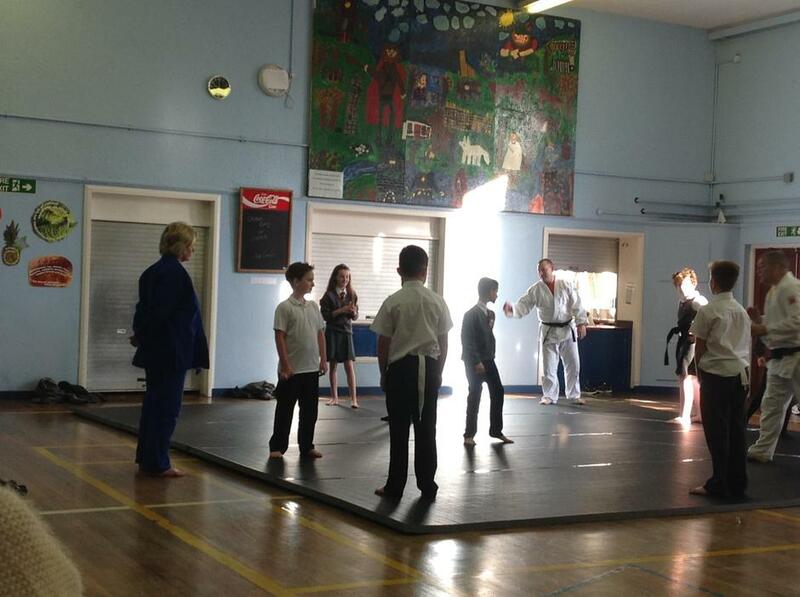 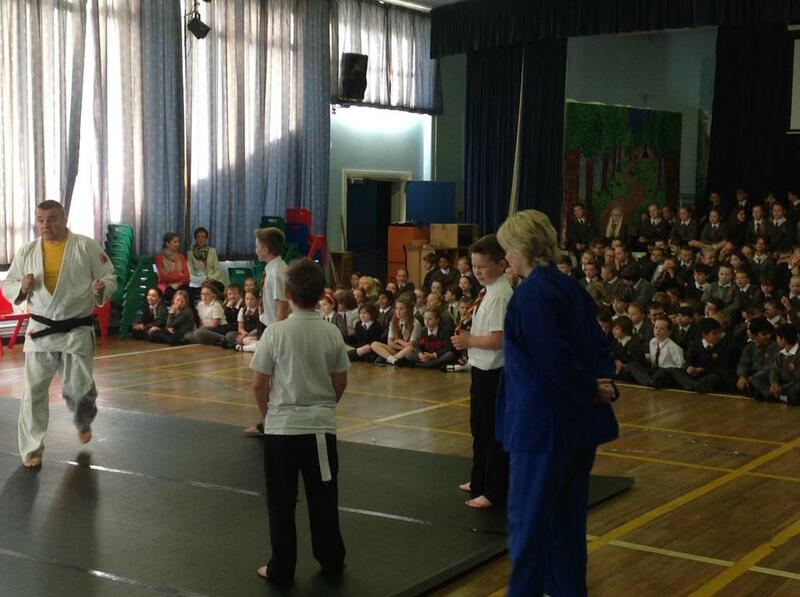 All children performed extremely well, but the performance of the younger P6 children is to be particularly commended. 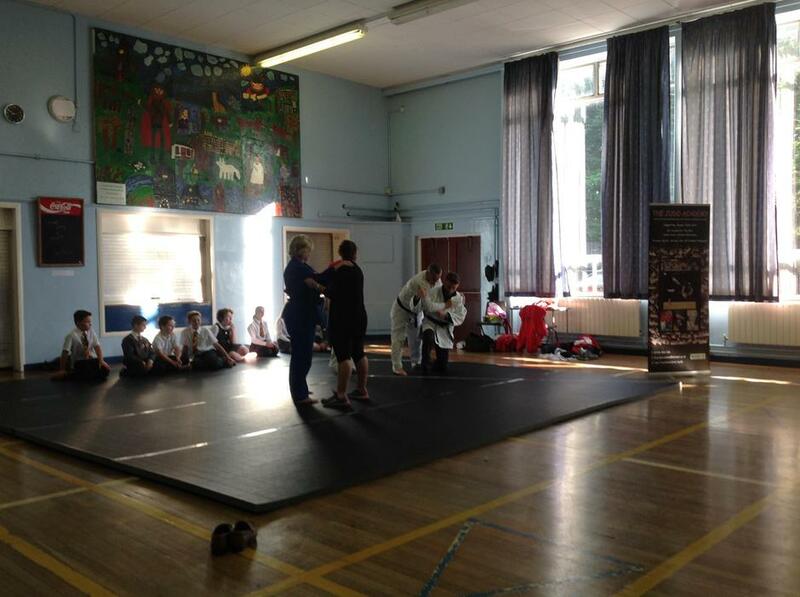 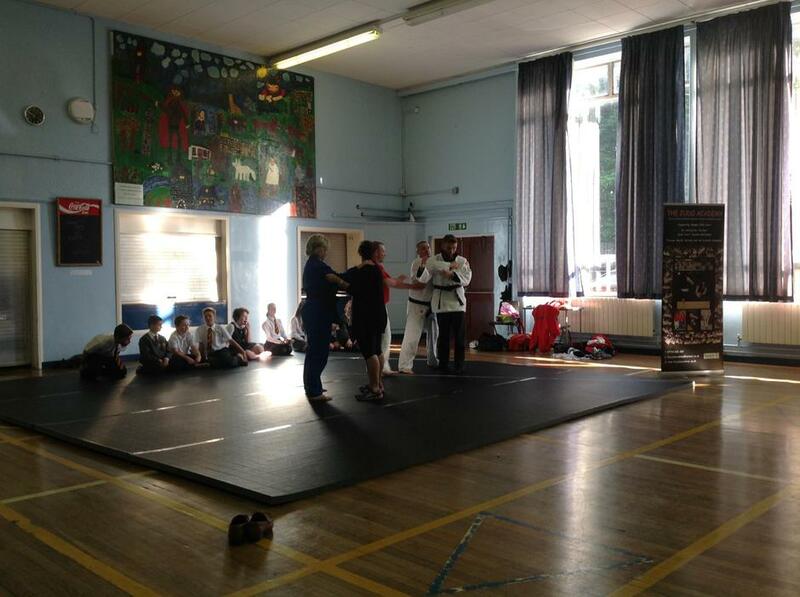 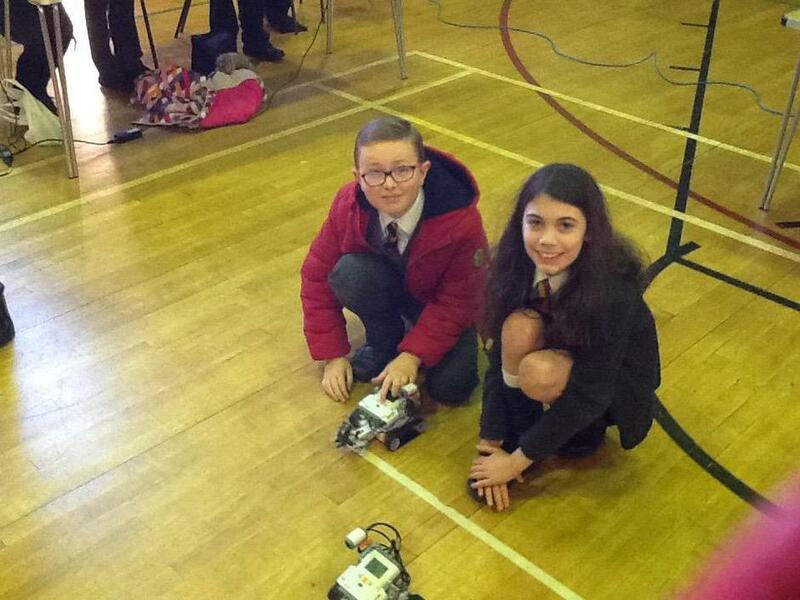 Many thanks to Mr Rainey and Mrs McPherson for attending the event. 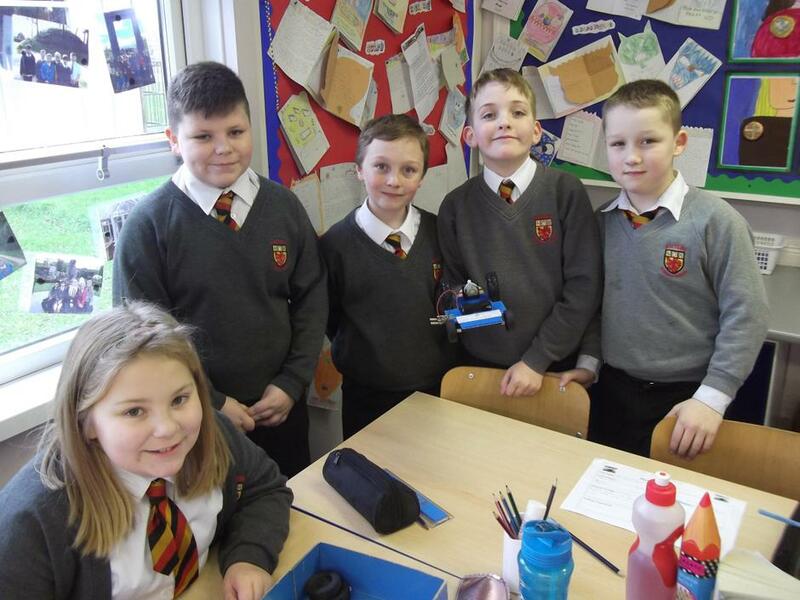 On Wednesday 9th March, 13 boys and 2 girls travelled to the Antrim Forum to take part in a Fairtrade Football competition. 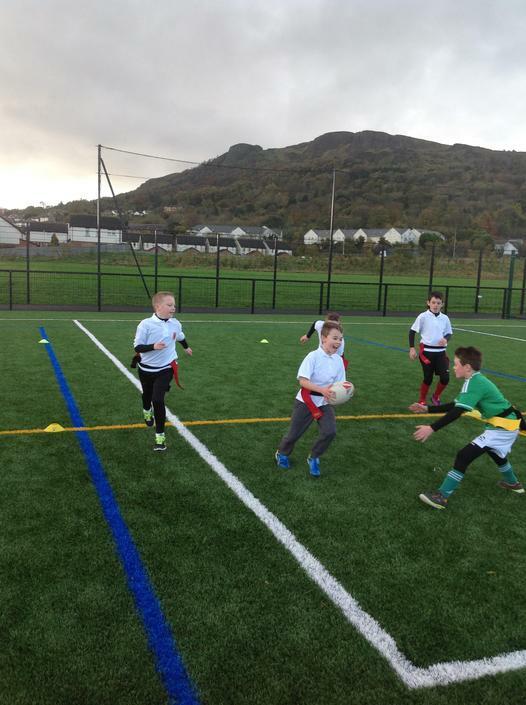 All the children represented their school with distinction and were great ambassadors for Antrim Primary School, showing great sportsmanship throughout the tournament. 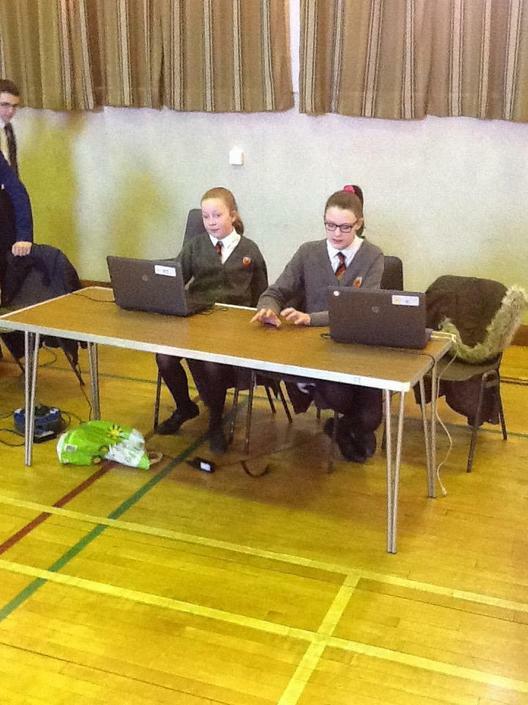 The B team played well and improved as the tournament progressed. 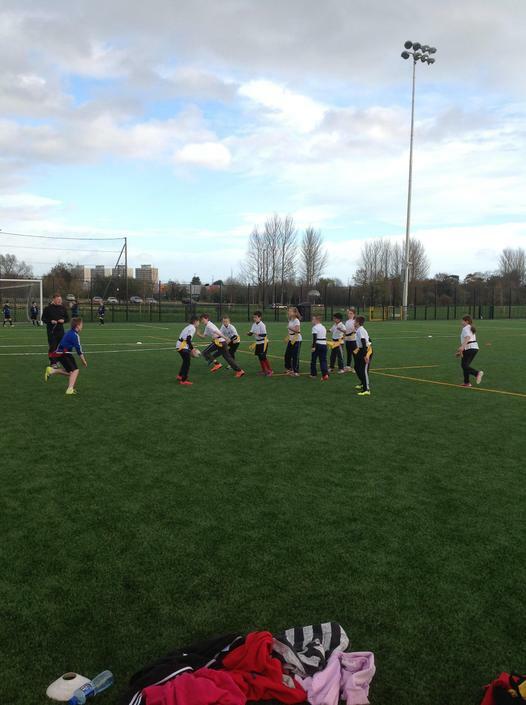 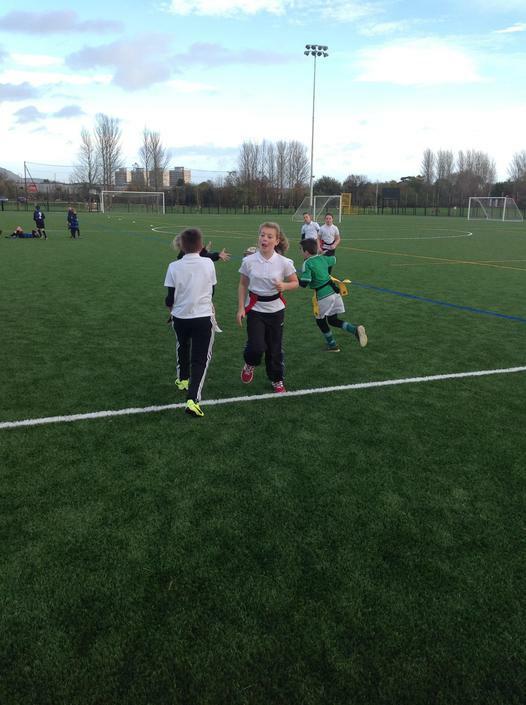 However, it was the A team, containing many P6 boys, who got through to the final. 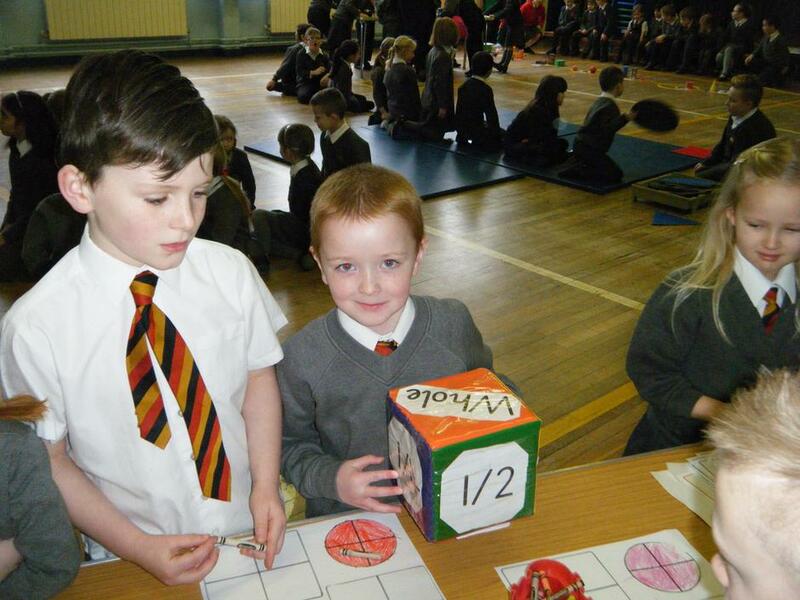 Unfortunately the A team lost to a very competitive St Michael's team. 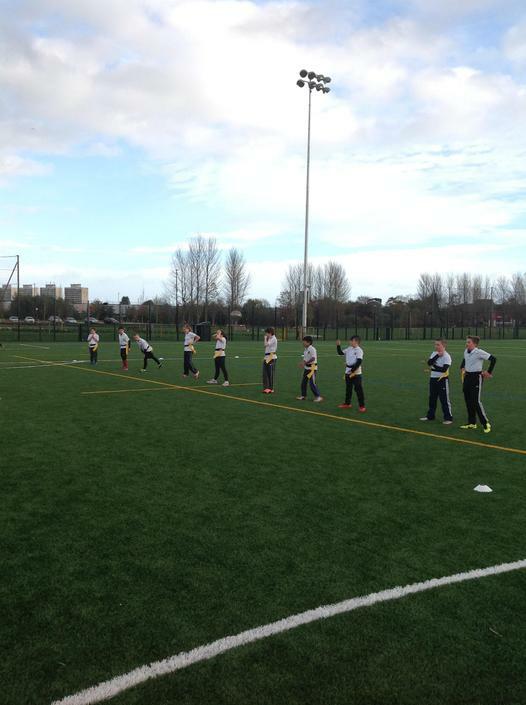 Congratulations to all the players involved. 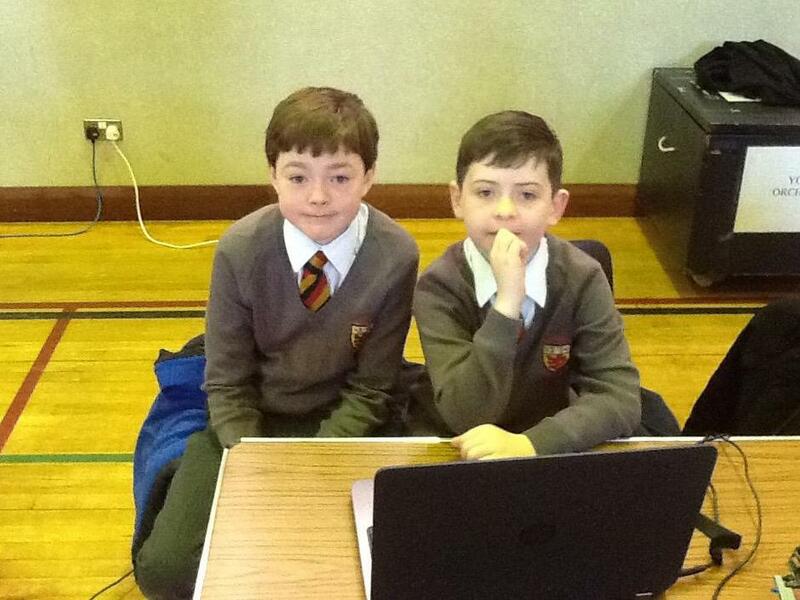 Special thanks to Mr Rainey and Mrs McCloskey for escorting the boys to the tournament and coaching the teams. 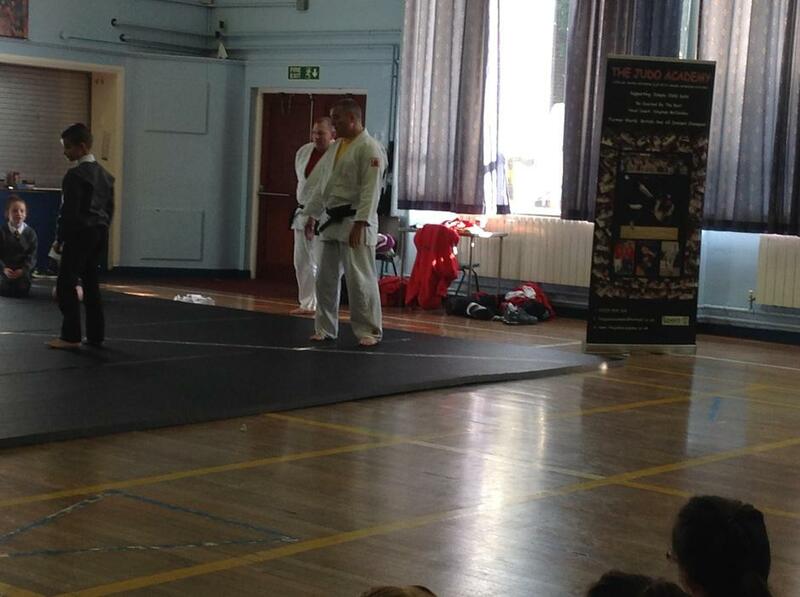 Also a huge thank you to Scott and John for helping with the refereeing during the tournament. 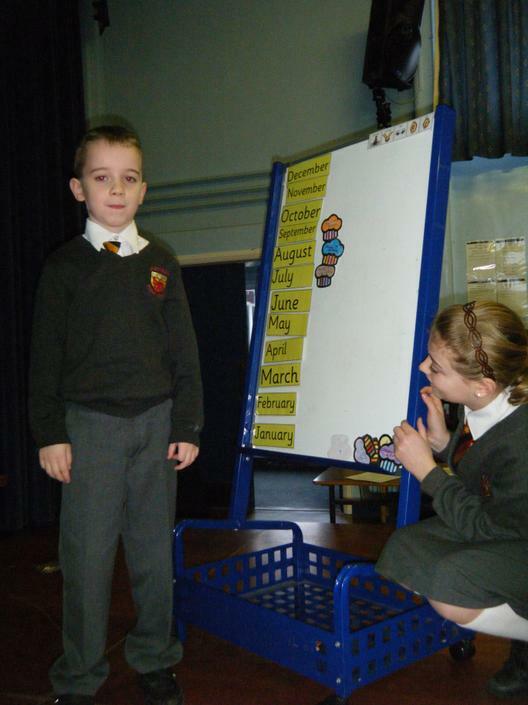 On Friday 26th February before 9a.m. 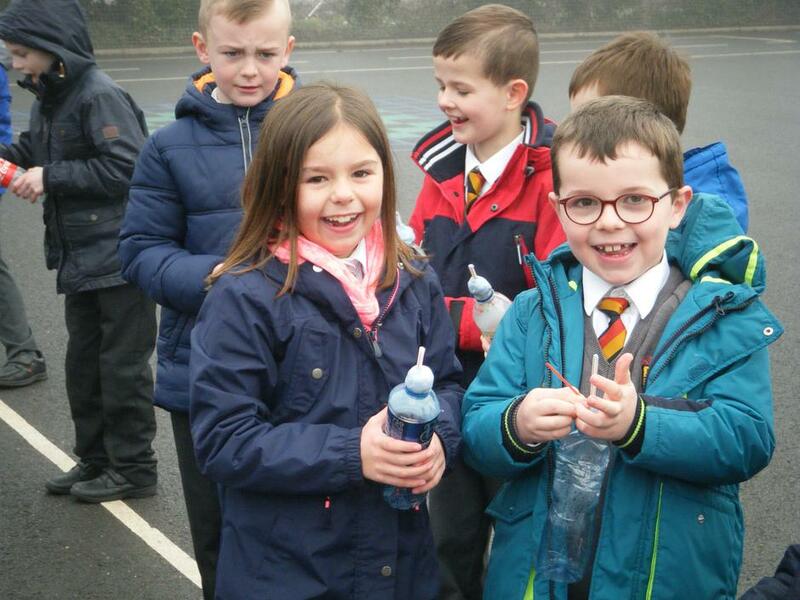 the school orchestra boarded a bus bound for the Braid, Ballymena. 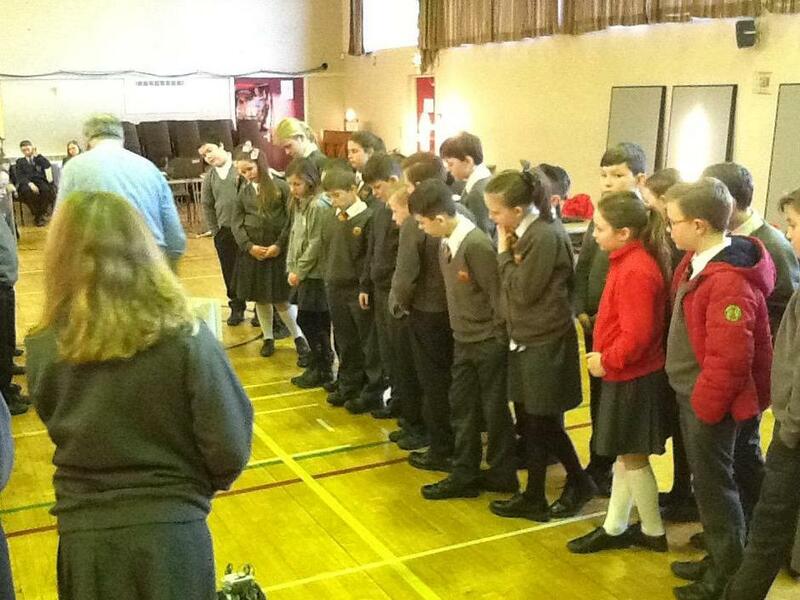 We were to perform at Ballymena Music Festival in Class 169 for Primary School Orchestras. 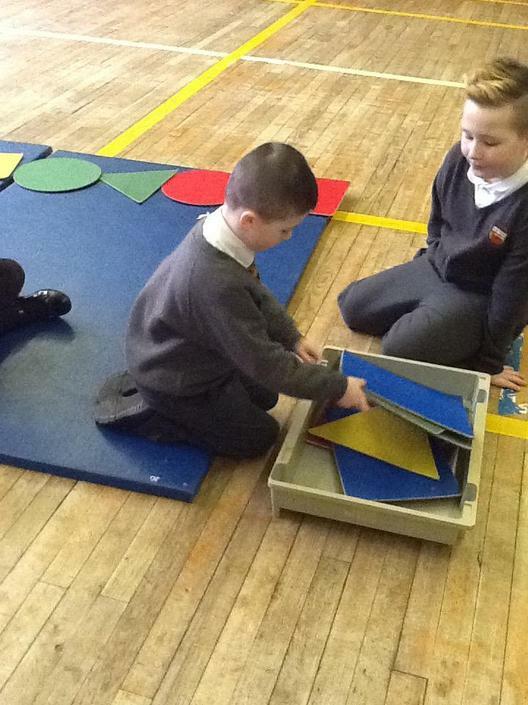 When we arrived we went up to a room to unpack our instruments, music stands and music. 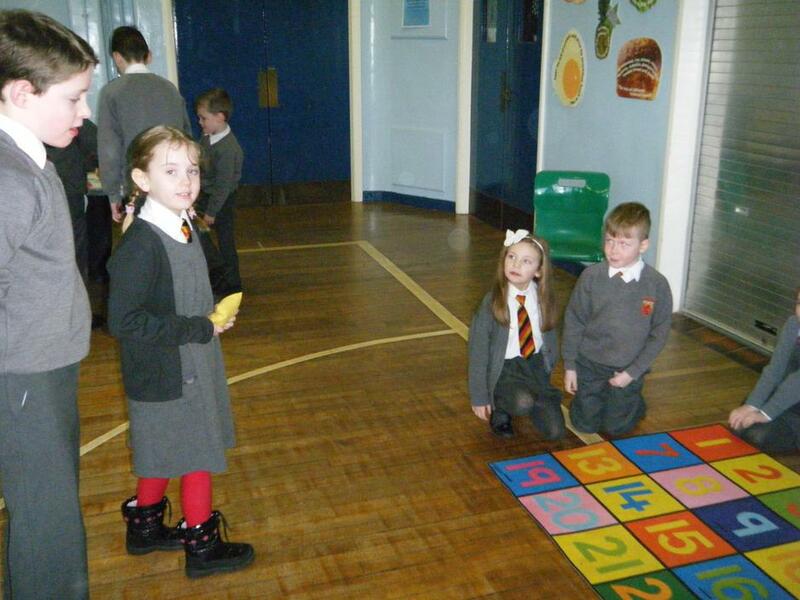 Then we were ushered up another flight of stairs to the theatre. 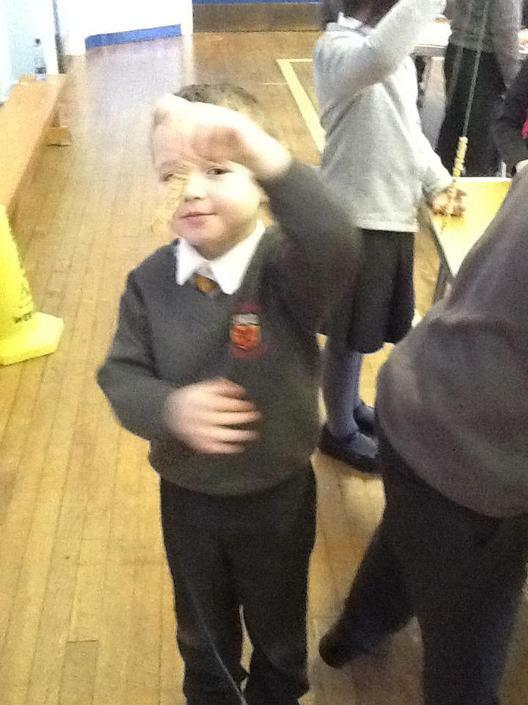 We were the second of the four orchestras to perform. 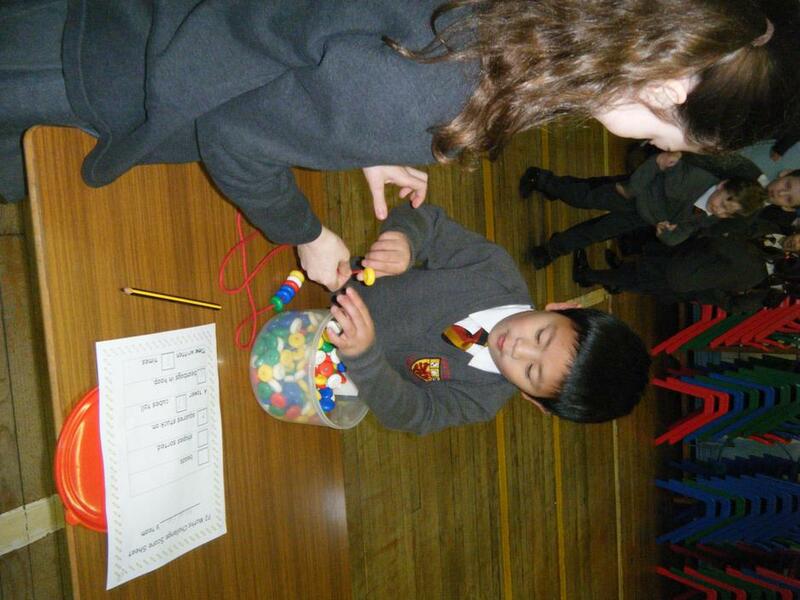 Our first piece was called “Spring” from Vivaldi’s Four Seasons. 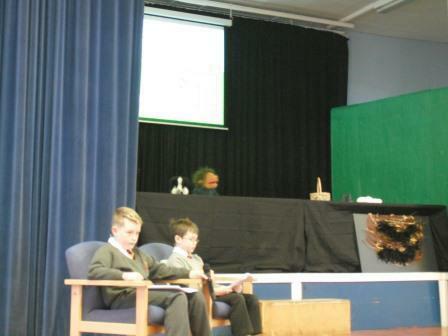 We had a few feathered friends sing in between our first and second renditions of the piece. 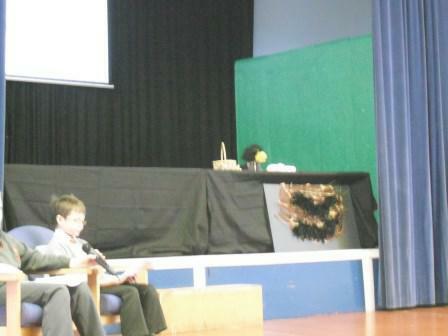 To conclude our programme we played “Western Frontier” and Ben Watson, our lead trumpeter, introduced it bedecked in a cowboy hat and he spoke with an American accent. 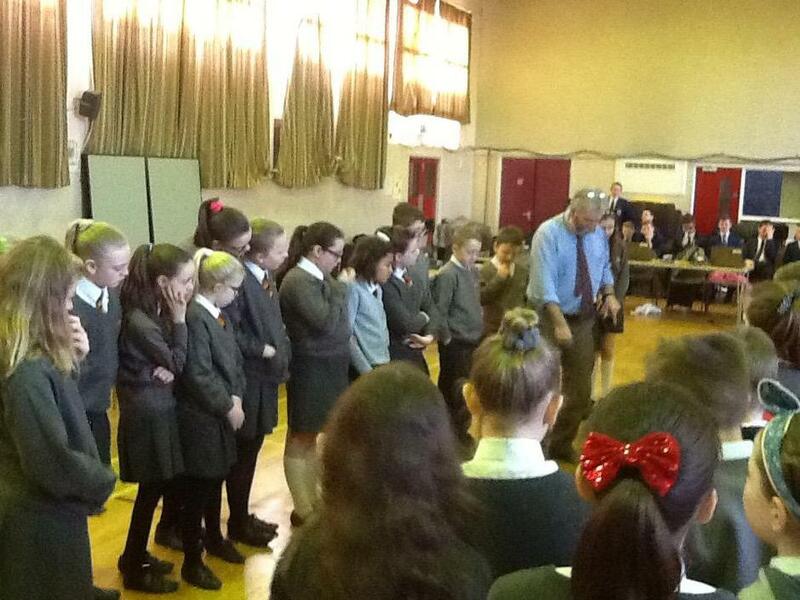 At the end of our performance we stood up to bow and acknowledge our audience. 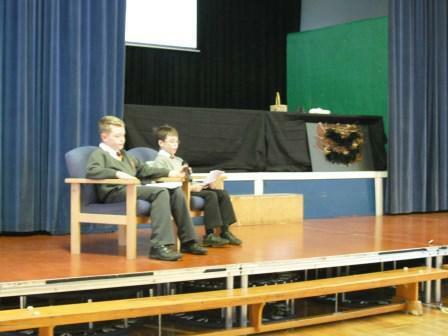 Next we sat down in the auditorium to listen to the performances given by orchestras 3 and 4. 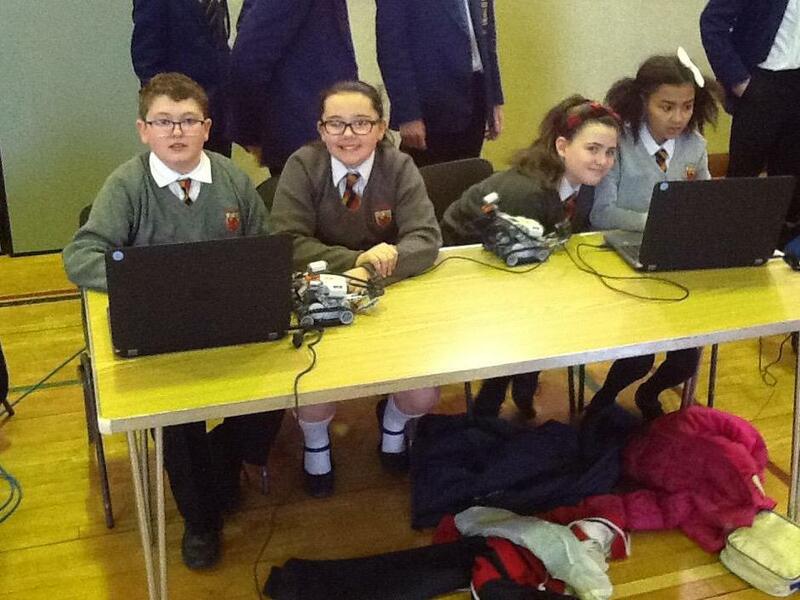 It was a good experience to hear the other groups play. 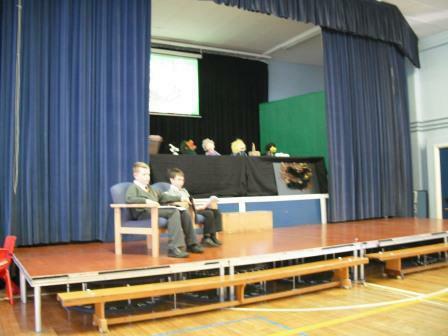 The adjudicator, Mrs Marilynne Davies, went on stage to give her adjudication. 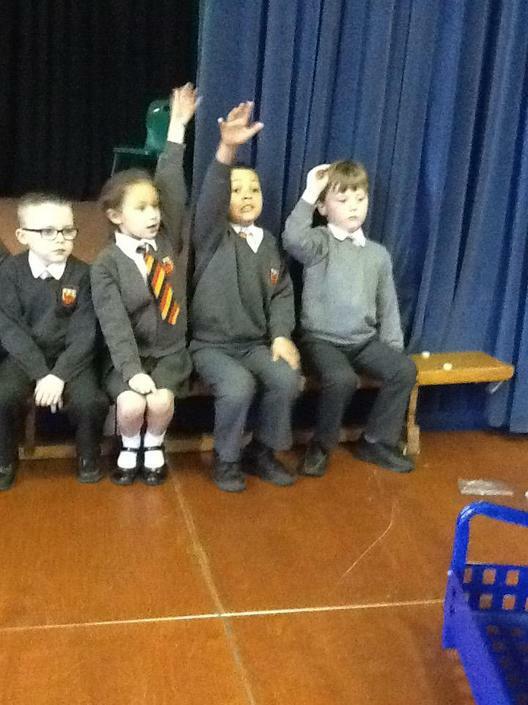 She asked the 4 conductors and 2 members of each orchestra to join her on stage. 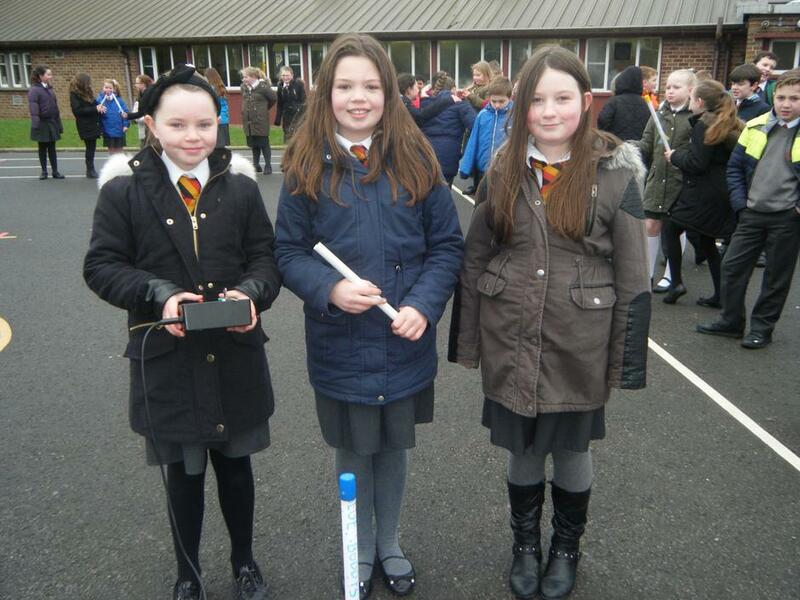 Beth Taylor, Maria Garvin and Mrs Moore climbed the steps to join her on the platform. 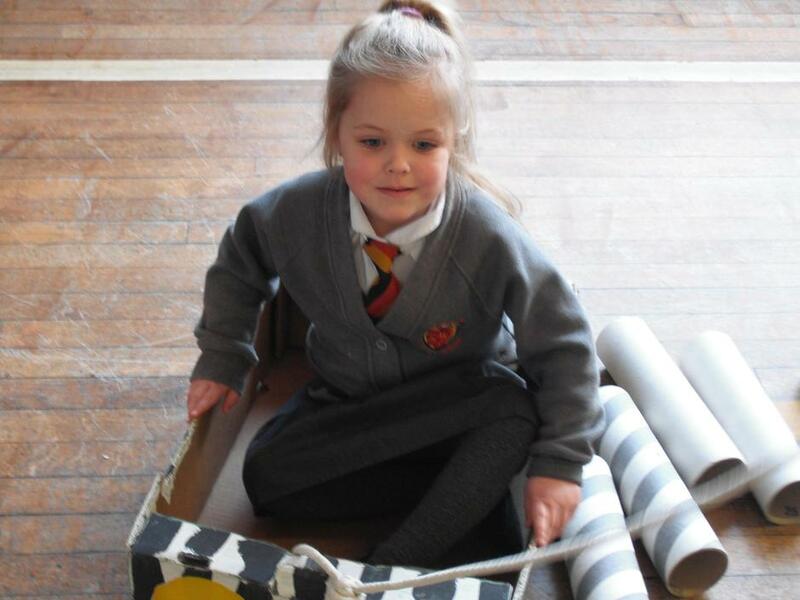 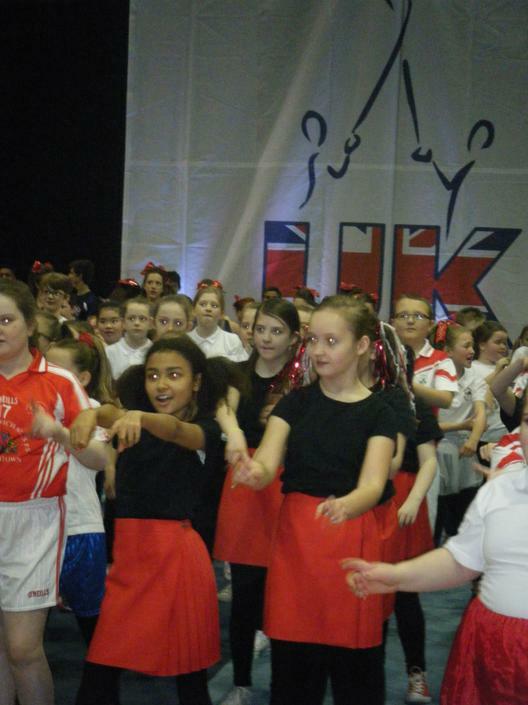 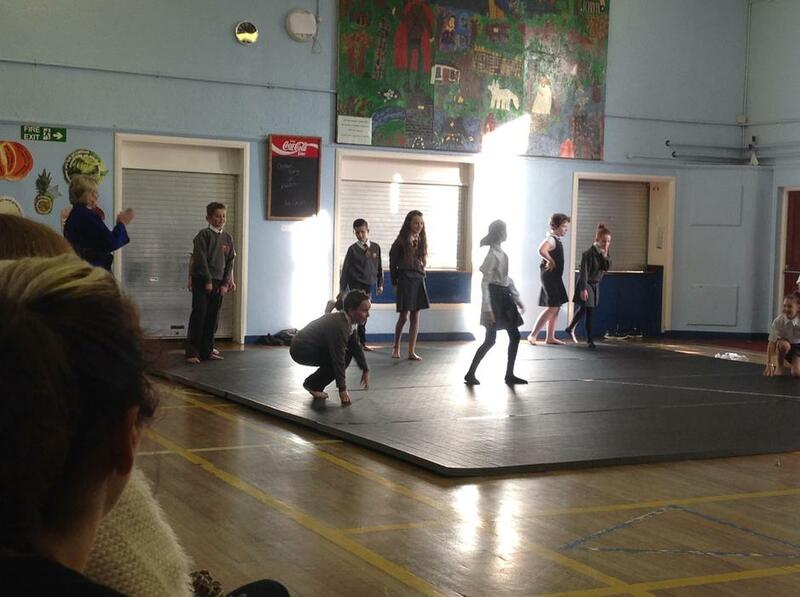 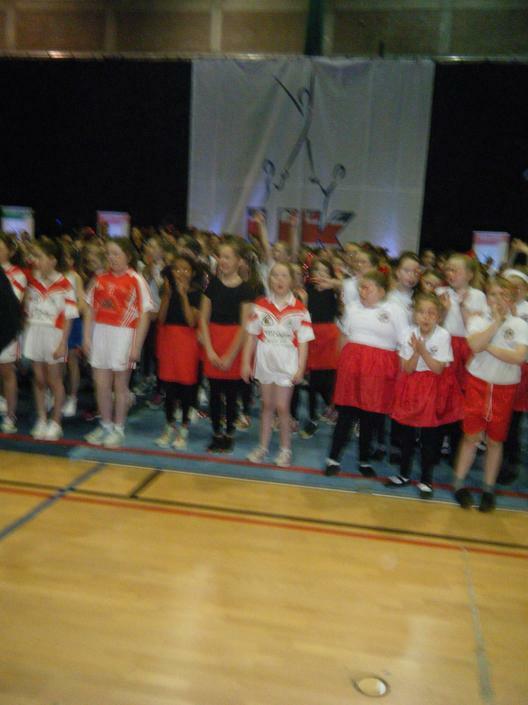 She gave a brief critique of each of the performances and announced Antrim Primary School as the winners. 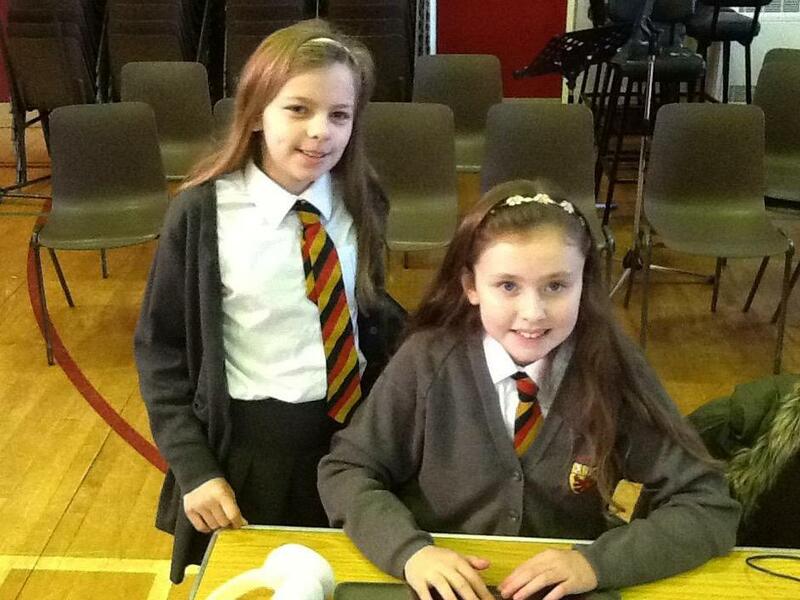 Maria and Beth were presented with a huge shield – The Kyle McNamara award for Primary School Orchestra. 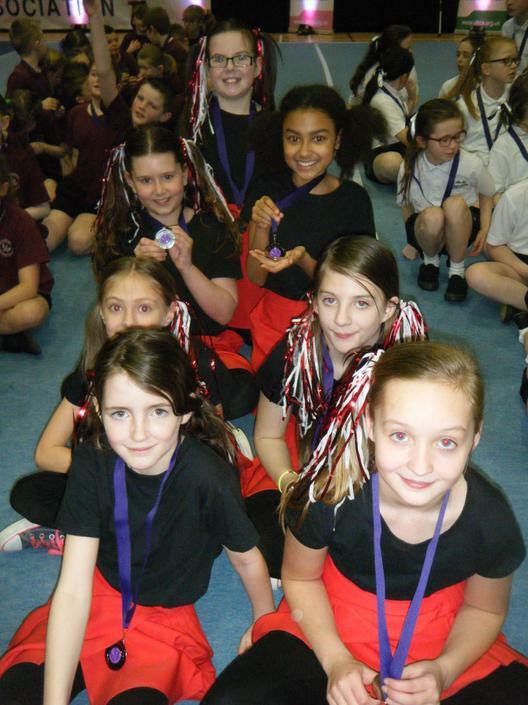 This is an excerpt from the adjudicator’s remarks:- “Super to see such a large primary school orchestra on stage. 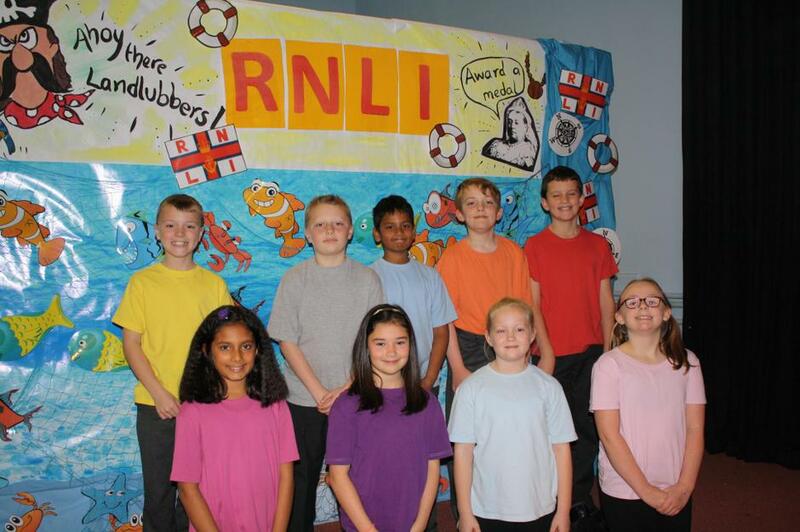 So much of this programme was very secure and you were always well together. 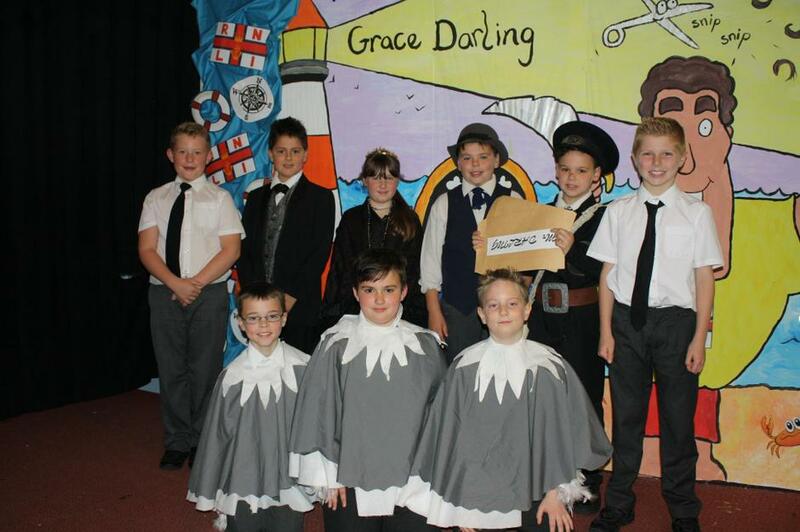 Carry on playing together and really enjoying it”. 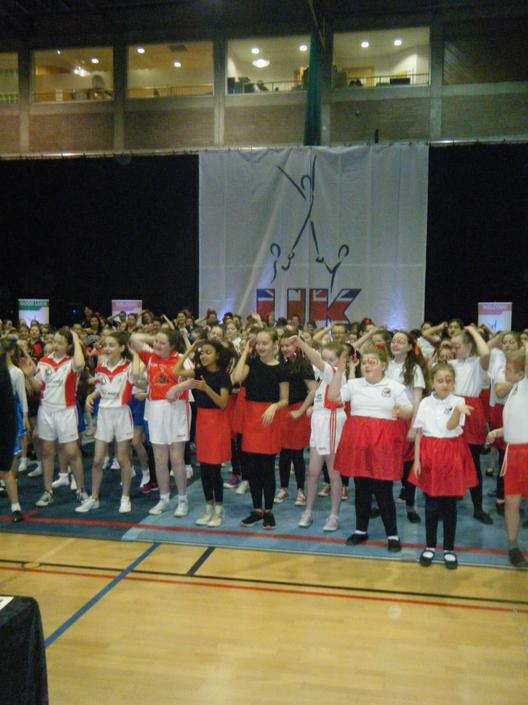 The festival was the culmination of much hard work carried out since Christmas. 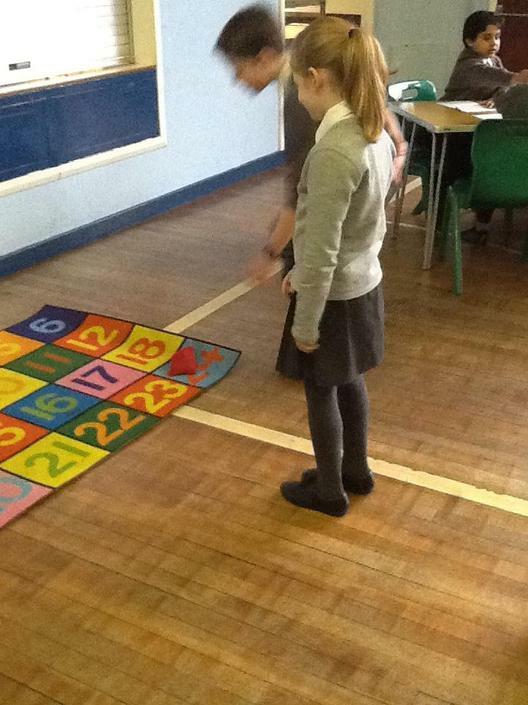 On top of our weekly orchestra practices we also had a weekly sectional rehearsal. 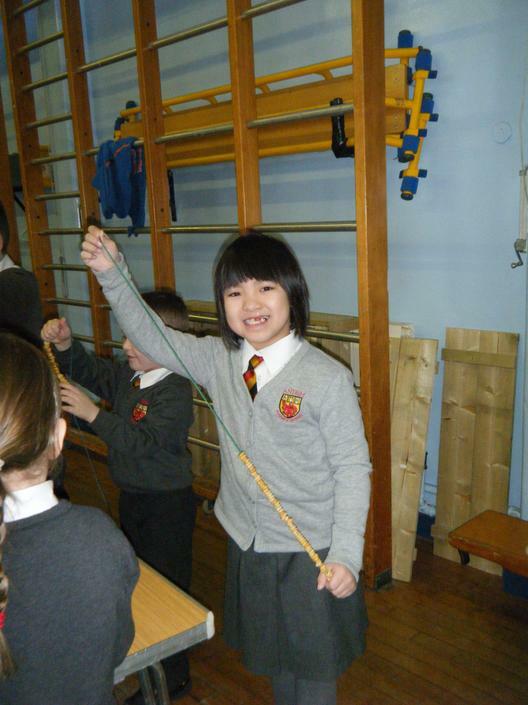 Everyone worked together to make our orchestra the best it could be and to prepare our pieces to the highest possible standard. 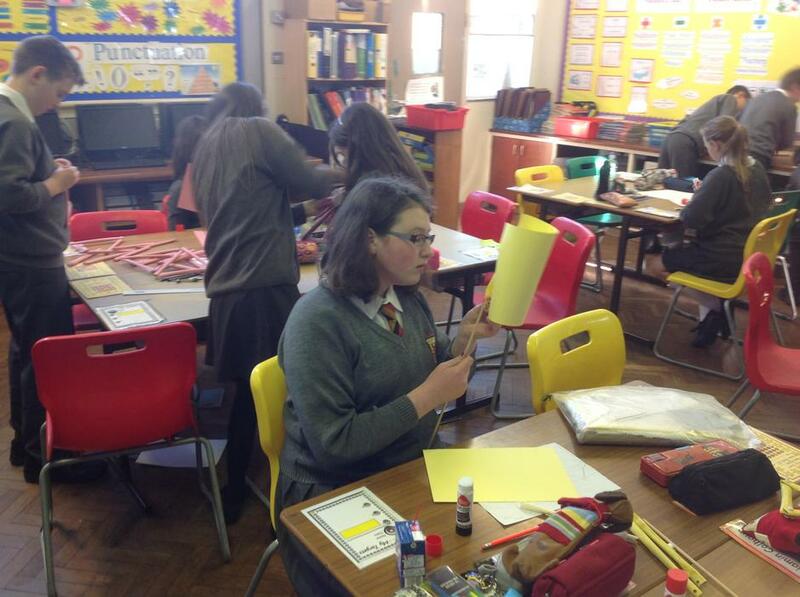 Our thanks must go to the peripatetic music staff – Mr. Lowry, Mr. Heron, Miss Heaney and Mr. Doherty. 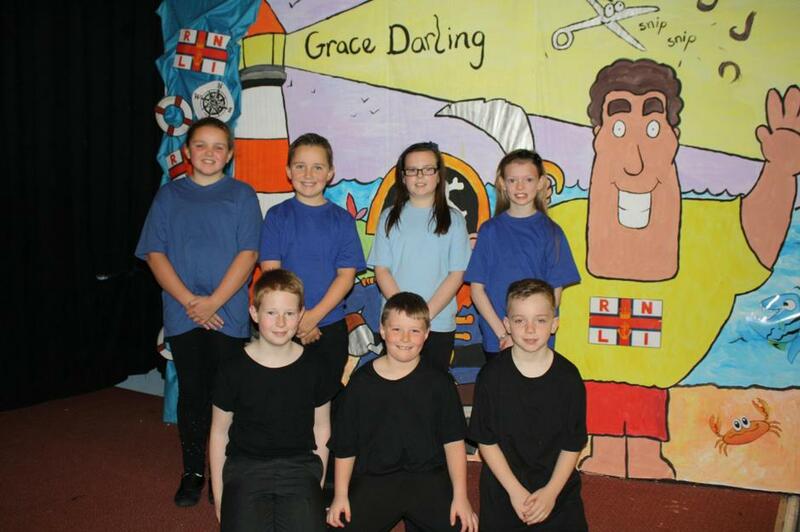 We also thank our own teachers who took sectional rehearsals – Mr. Gourley, Mrs Clinton, Miss Pankhurst, Mr. Rainey, Mrs Moore, Mrs McCormick, Mrs Reed, Mrs Mooney, Miss Malone, Miss Davison and Mrs Black. 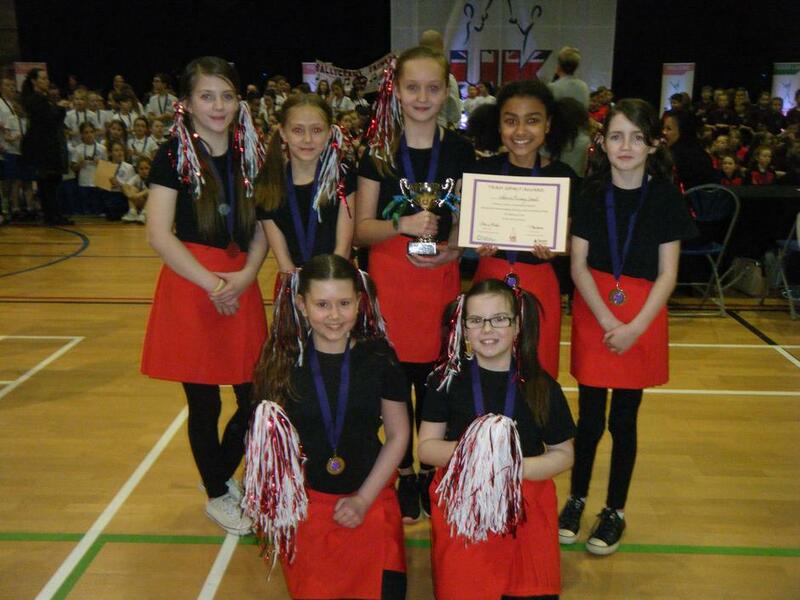 The experience of competing at the centenary festival and of being the recipients of a huge shield will be forever etched on our memories. 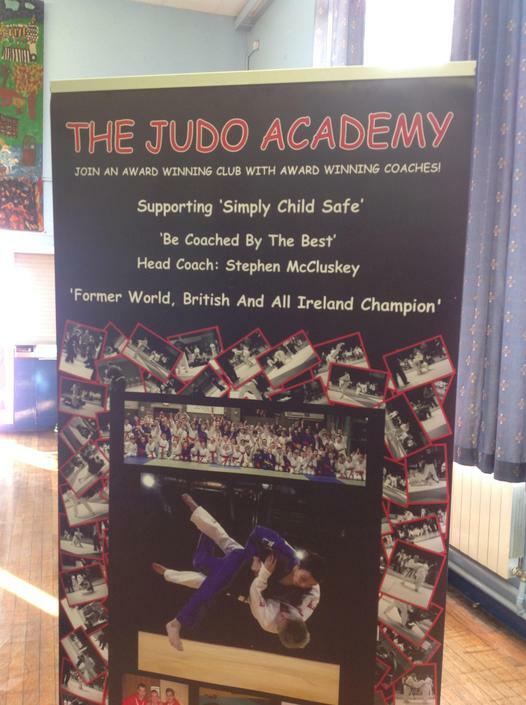 Many congratulations to everyone involved. 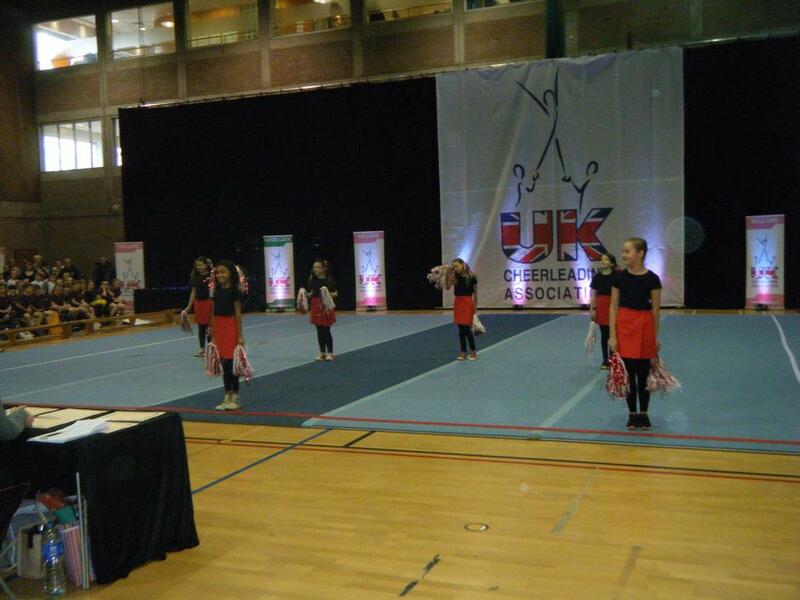 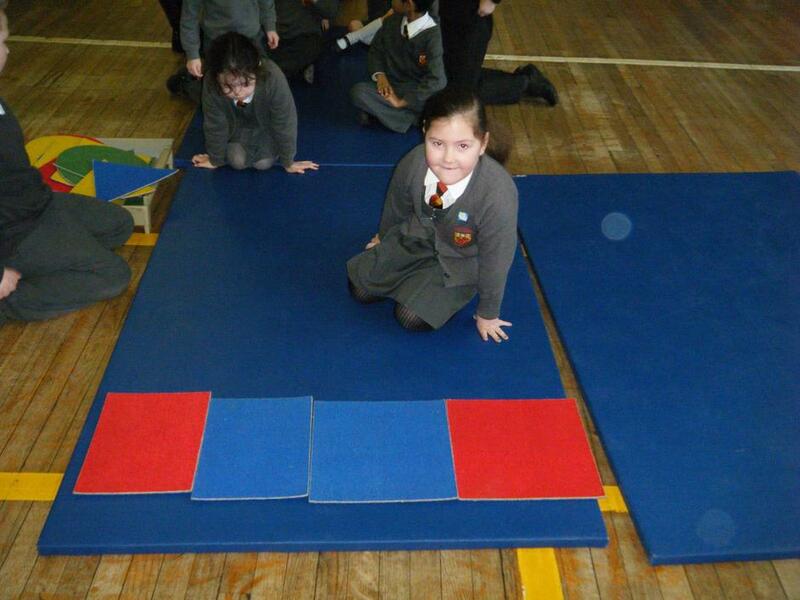 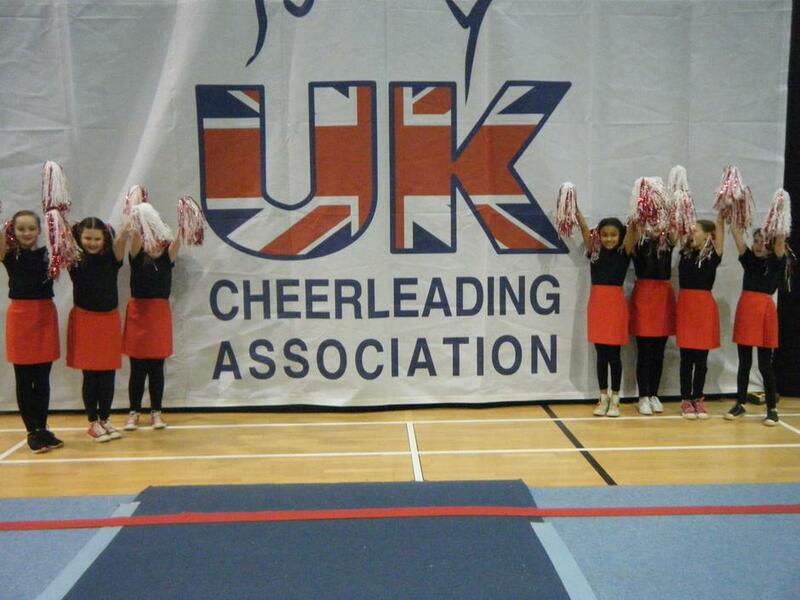 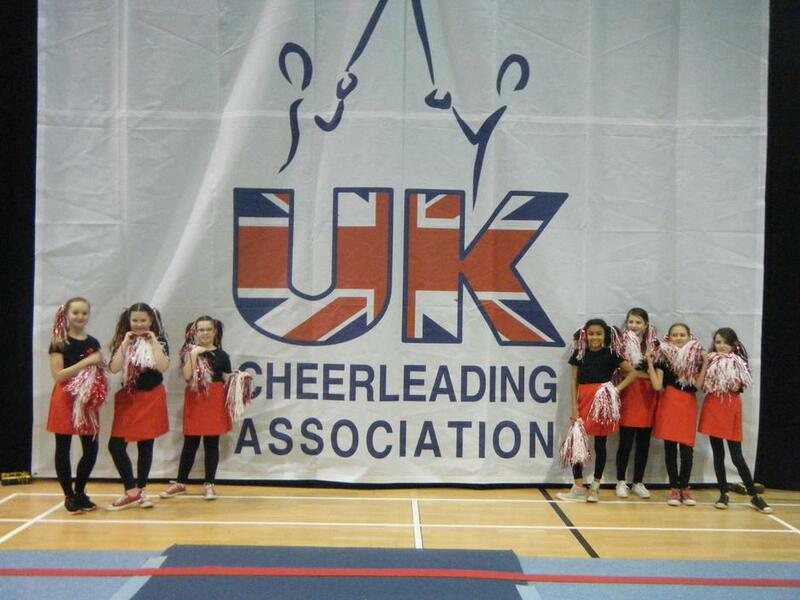 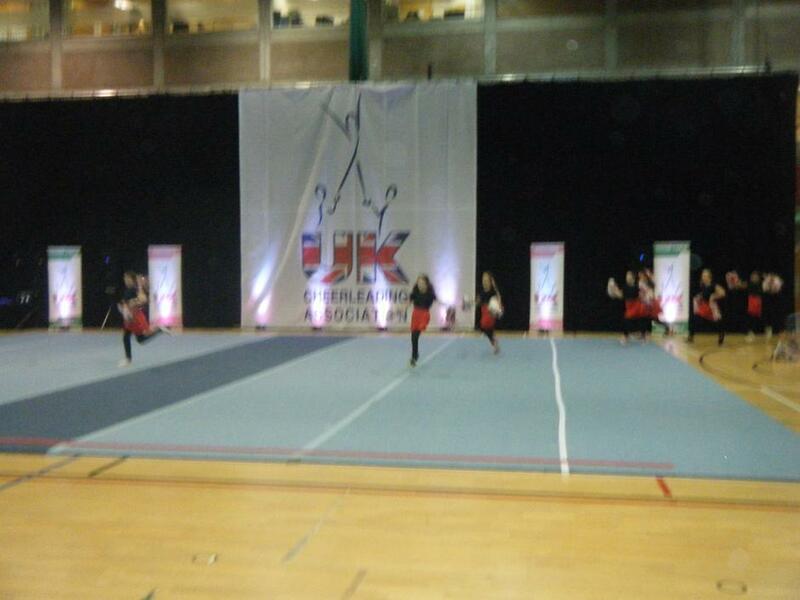 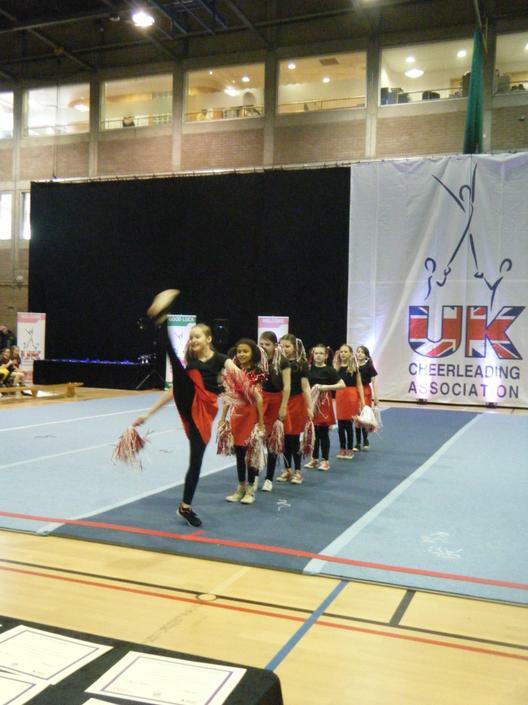 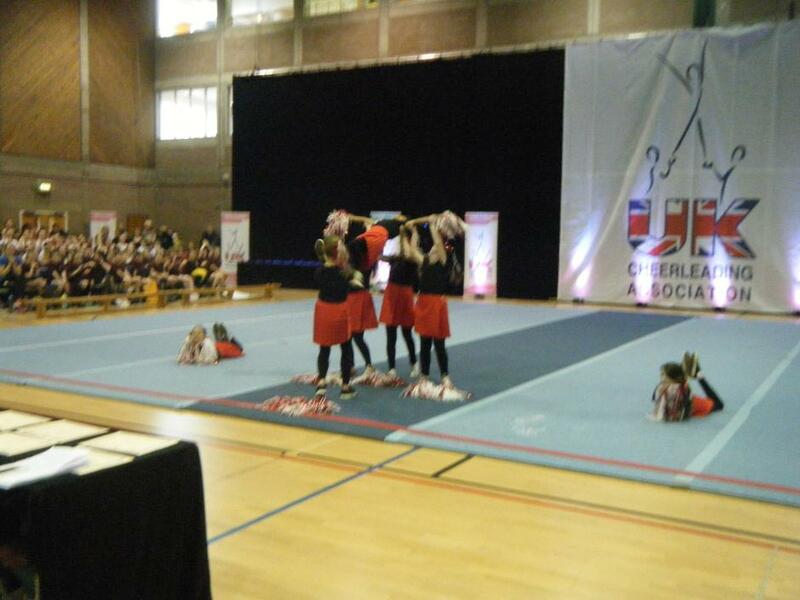 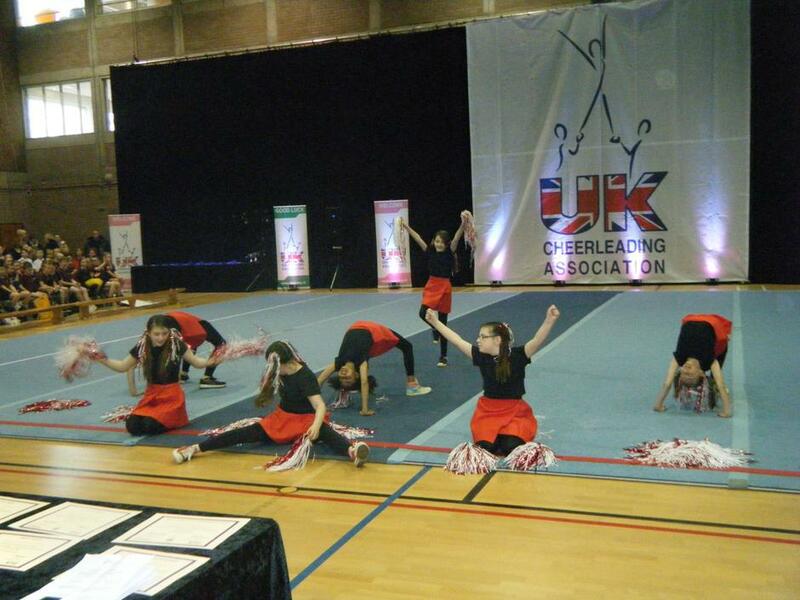 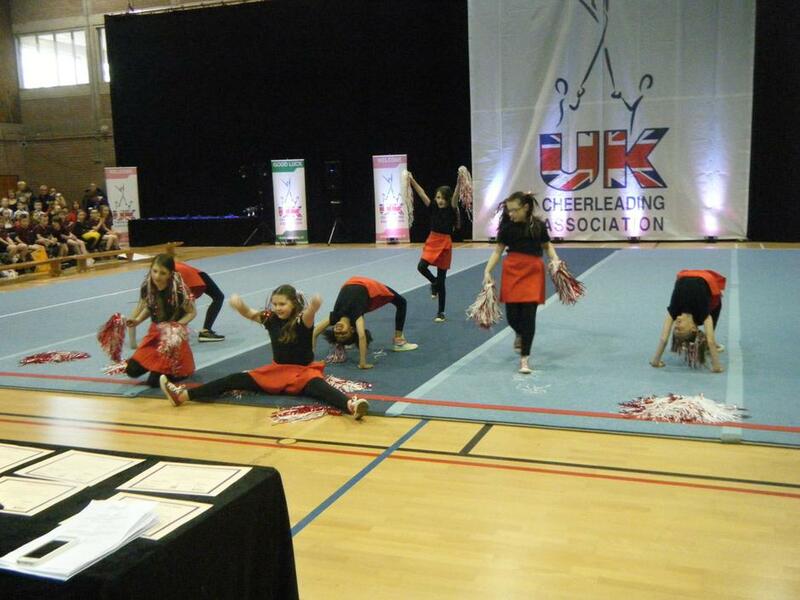 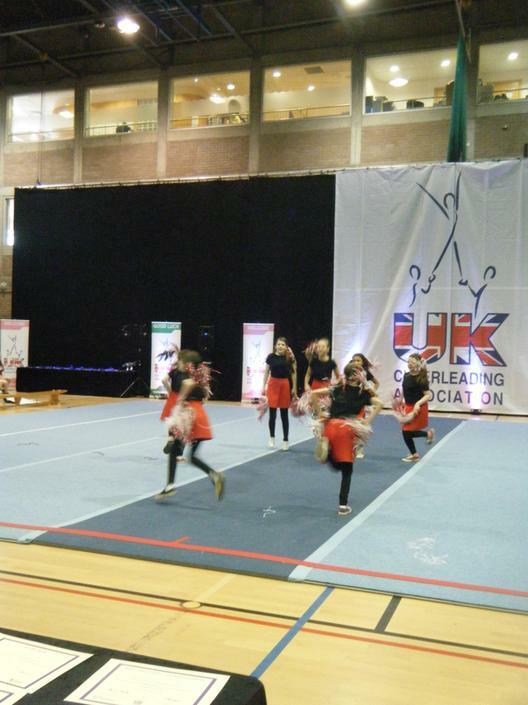 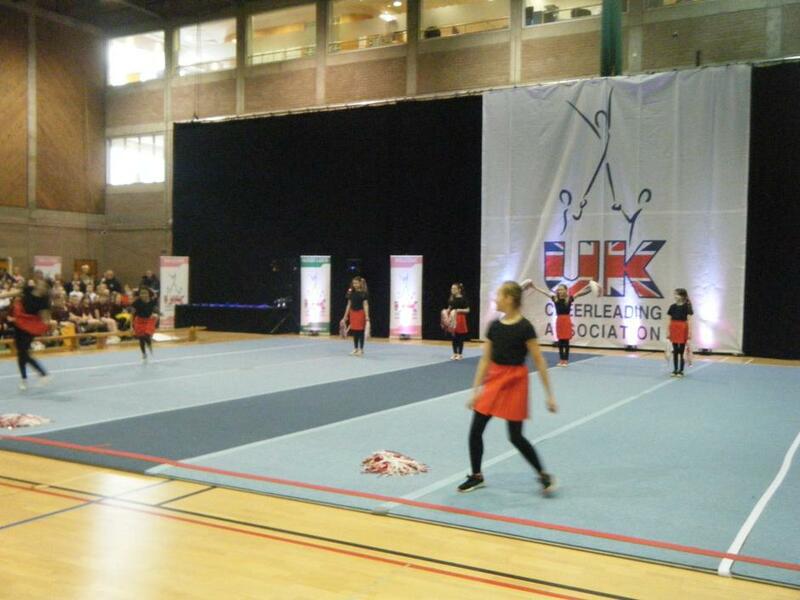 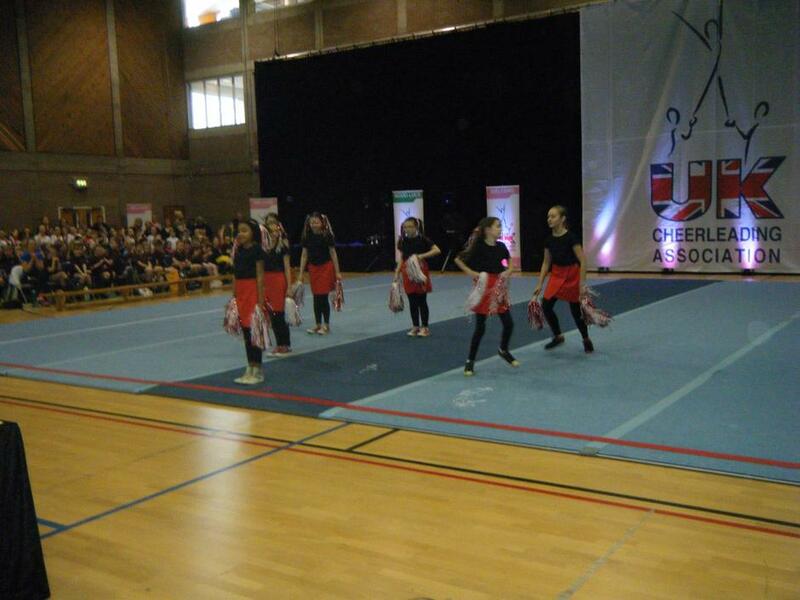 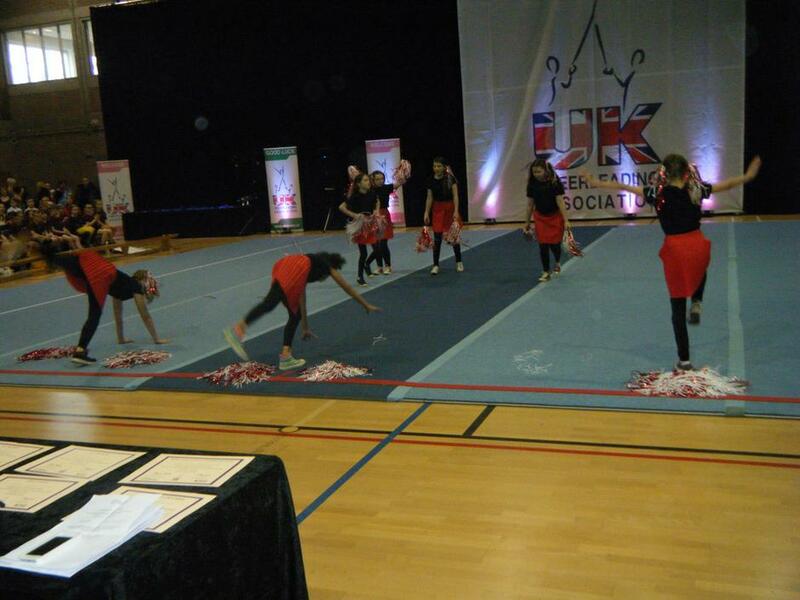 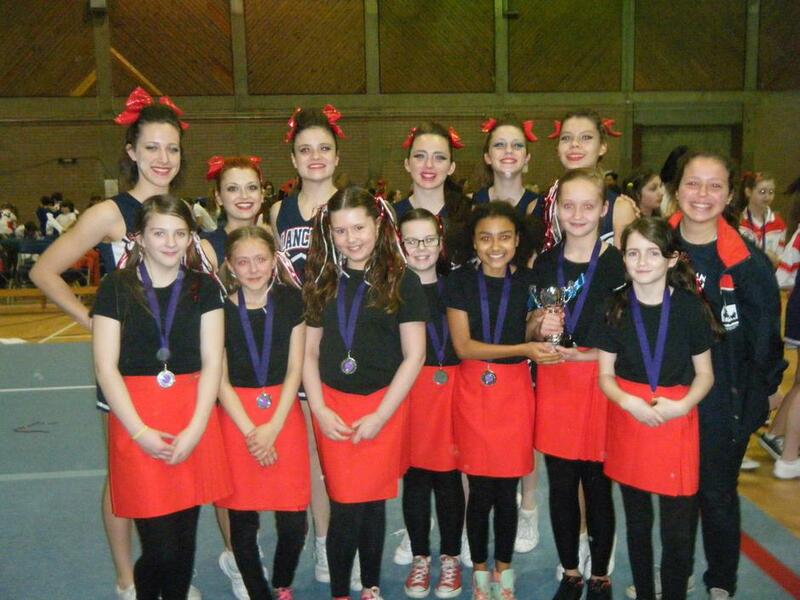 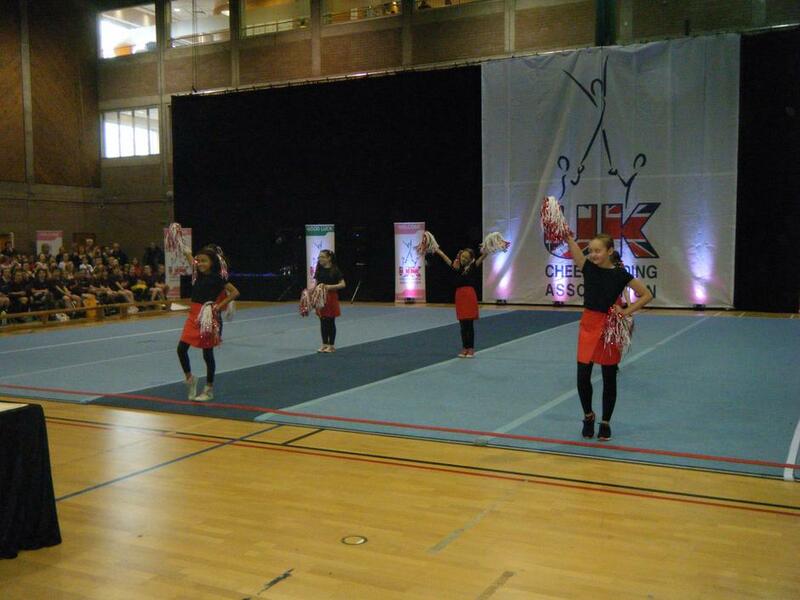 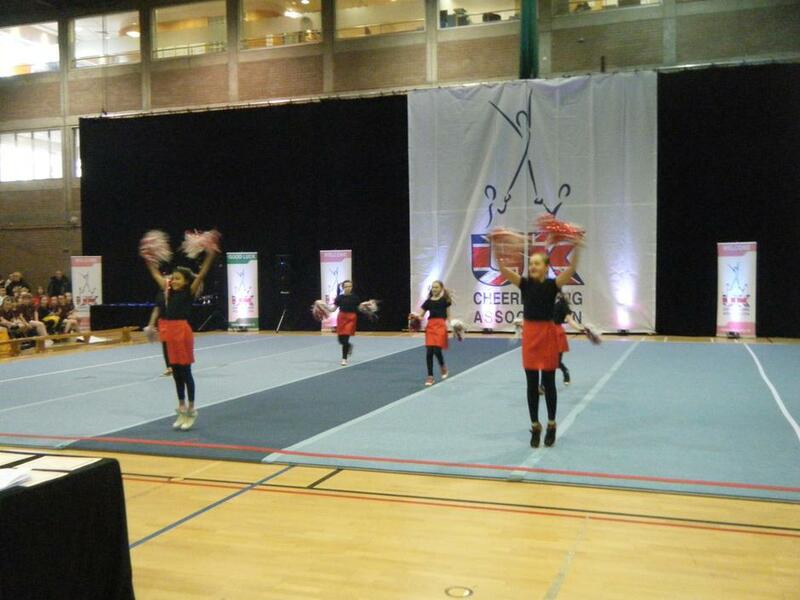 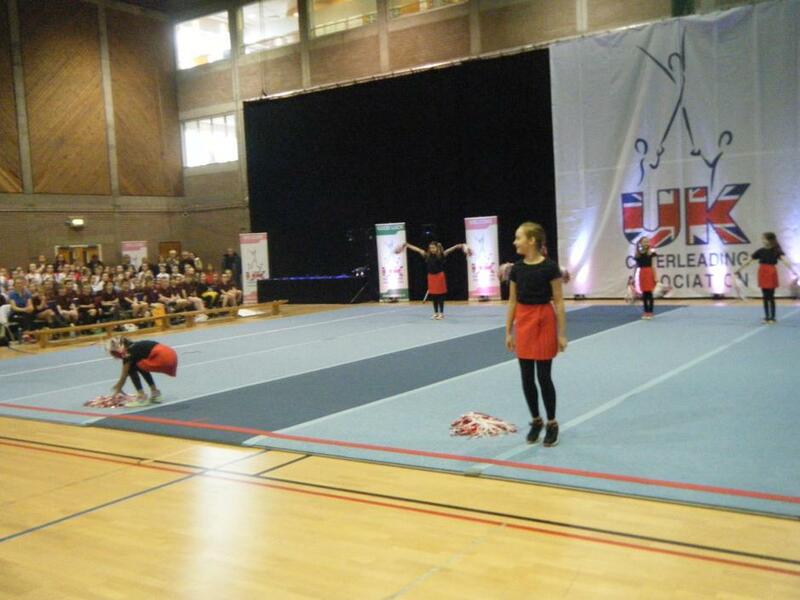 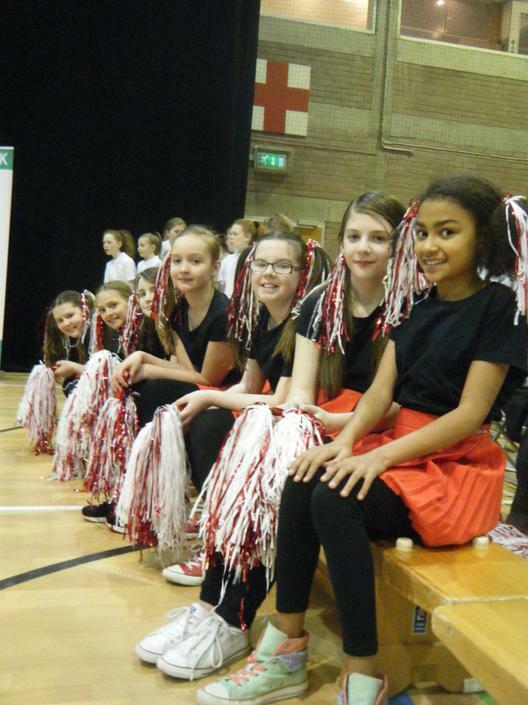 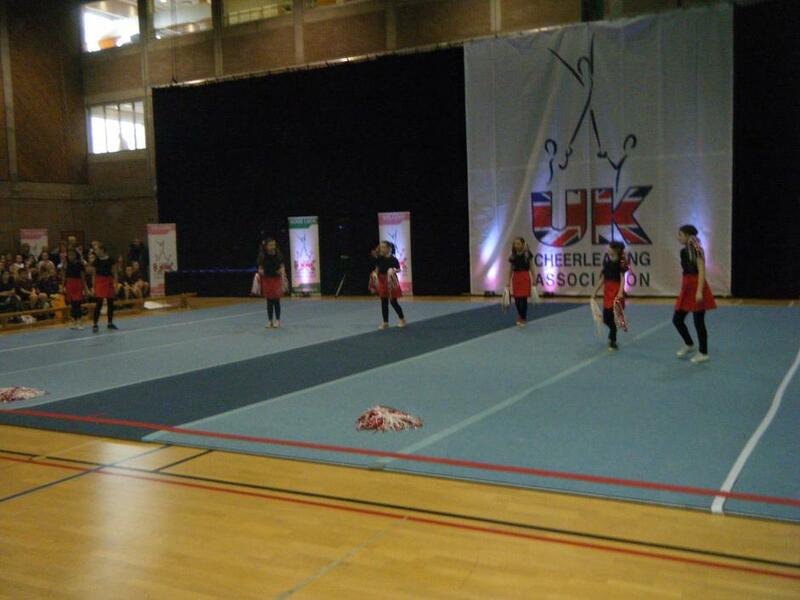 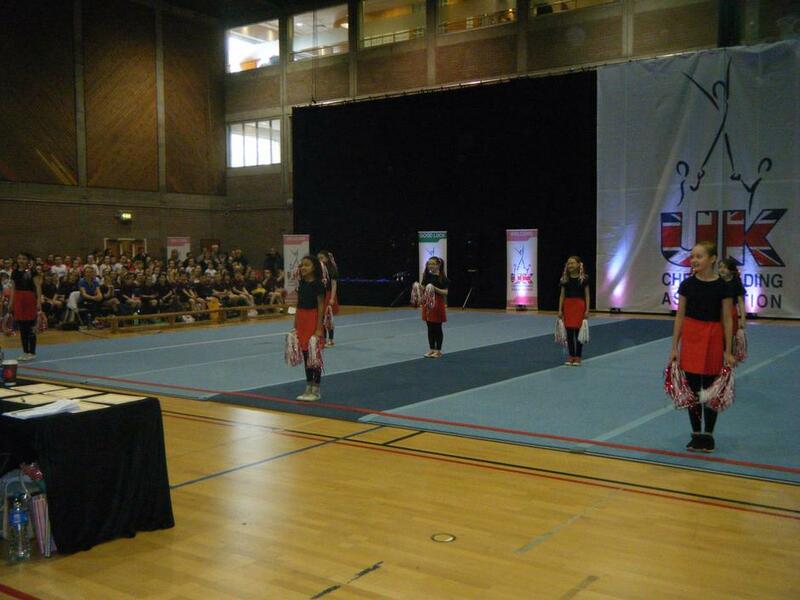 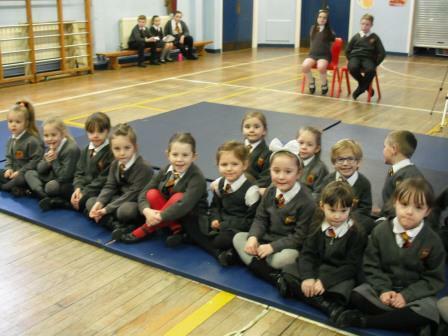 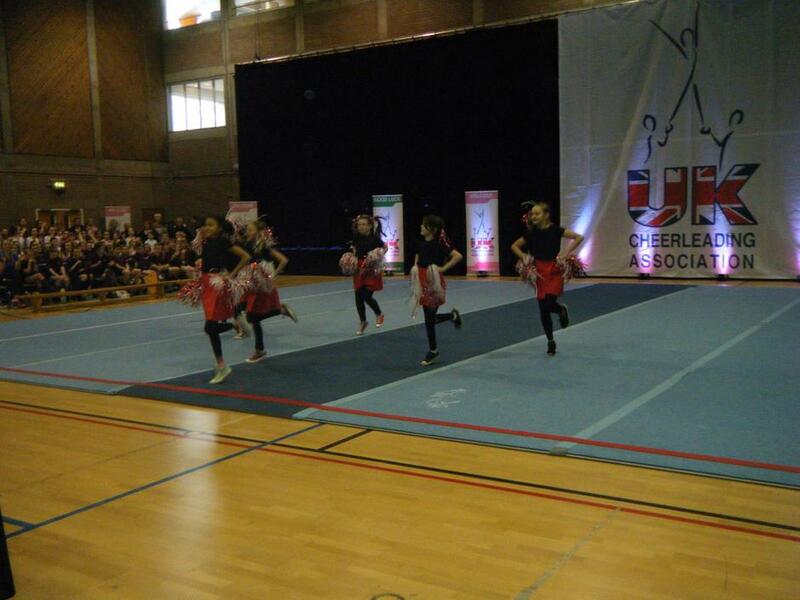 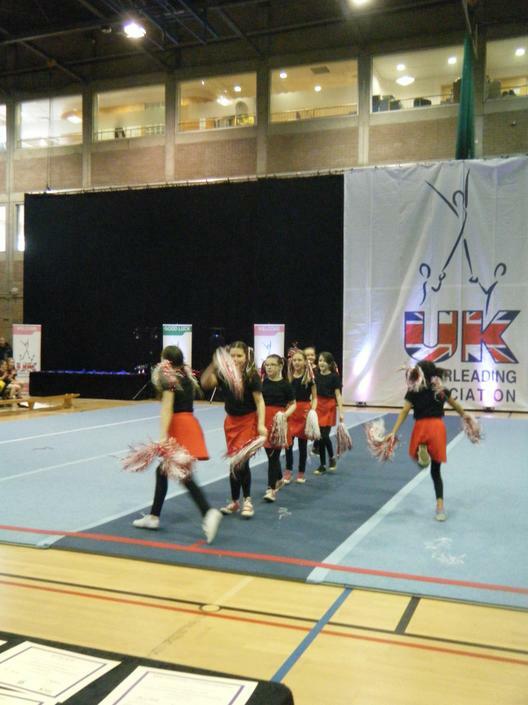 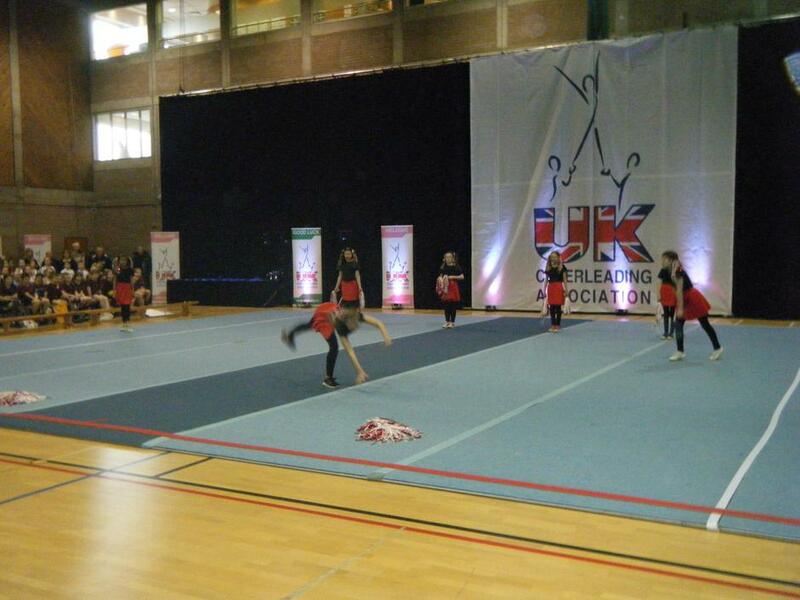 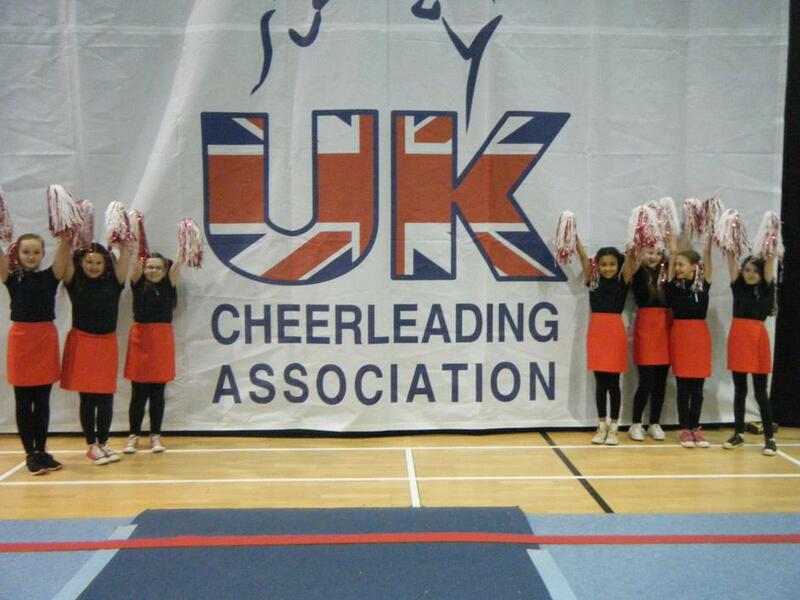 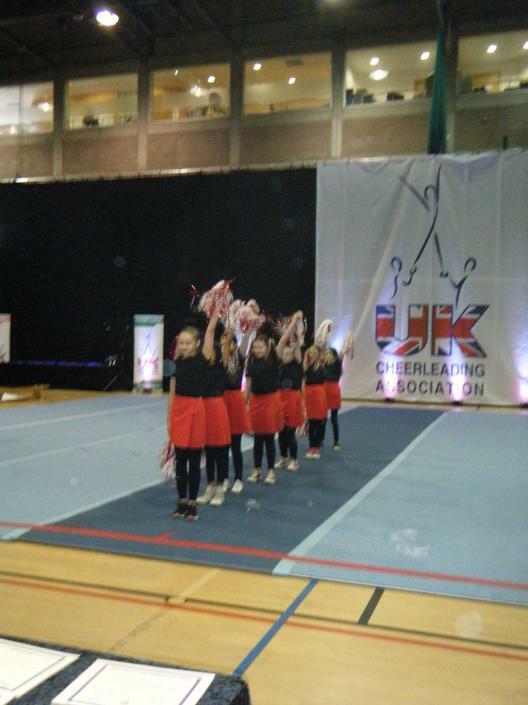 On Friday 26th February, Antrim Primary Cheerleading team took part in a competition in Antrim Forum. 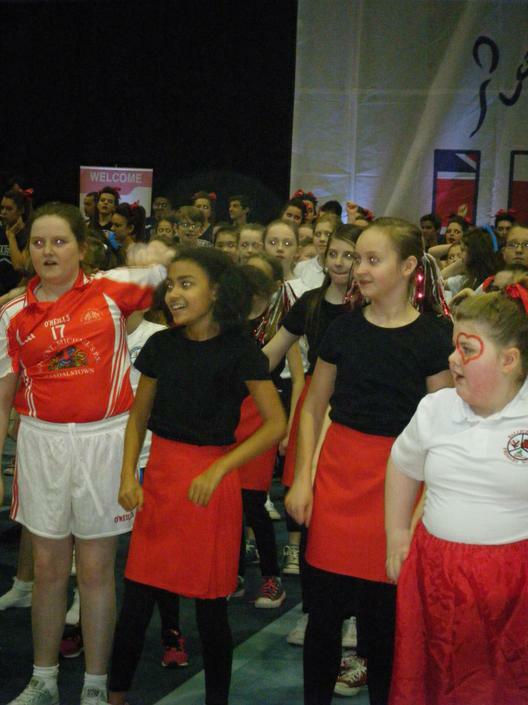 There were 12 schools represented from Antrim and Newtonabbey Council, so as you can imagine there was a fantastic atmosphere! 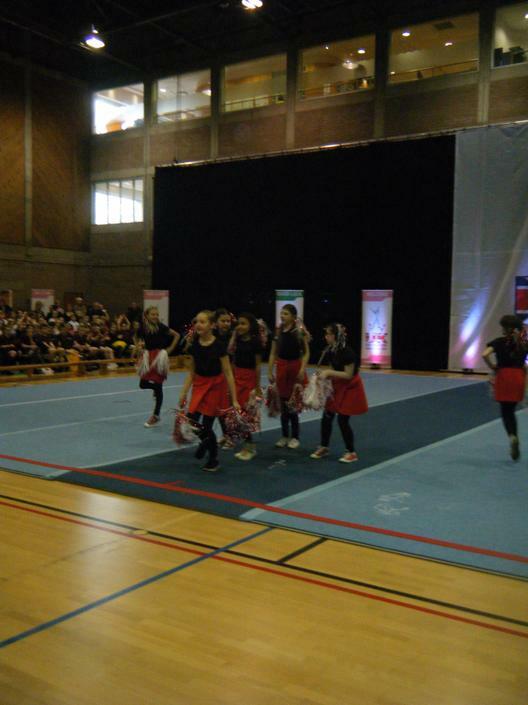 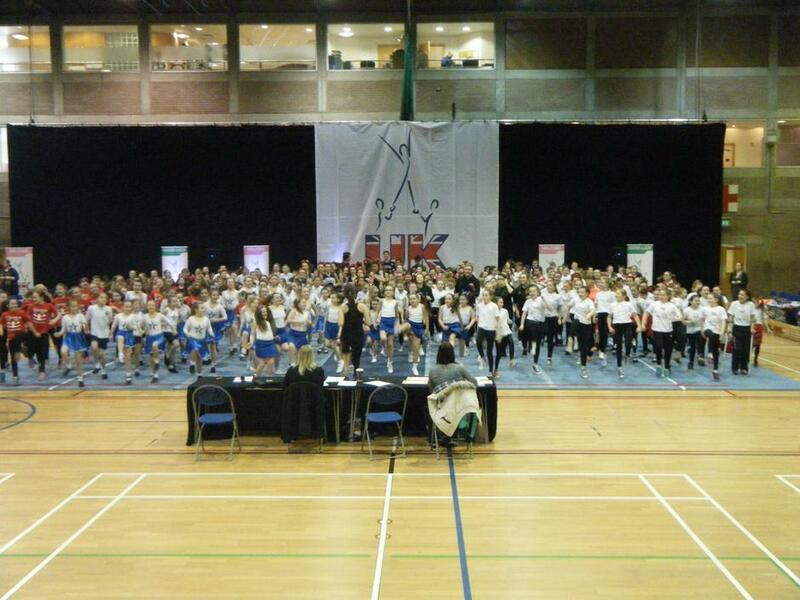 We took part in several “warm ups” as a massed team of cheerleaders – this was great fun as there was special lighting and a D.J. 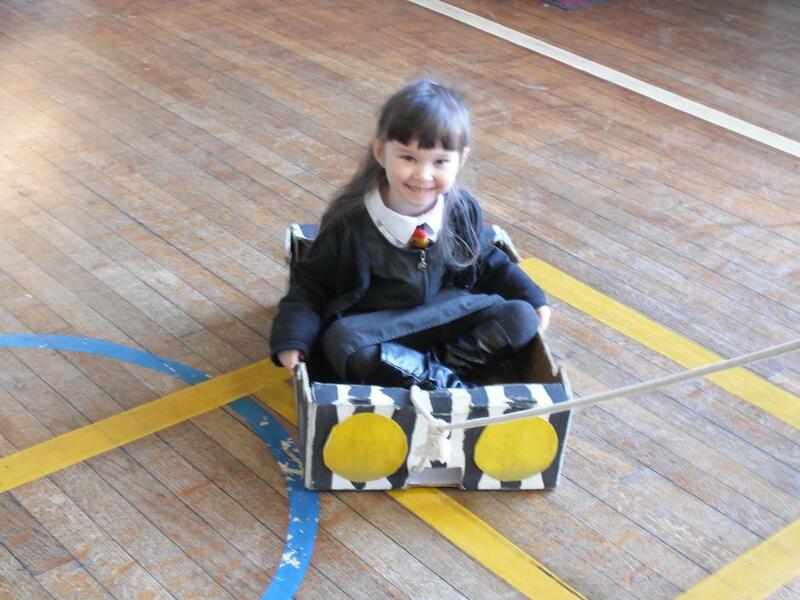 to play all the music. 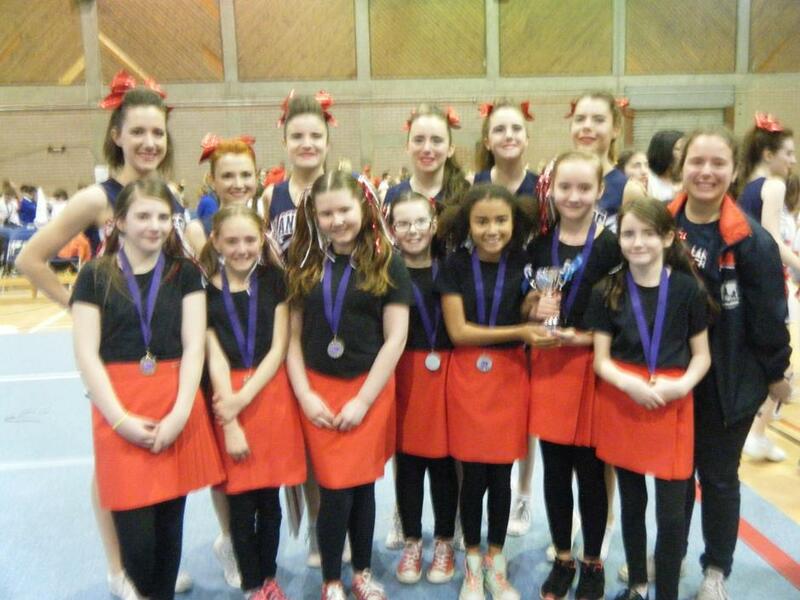 Well done to St. Josephs Primary School Crumlin on winning best overall routine. 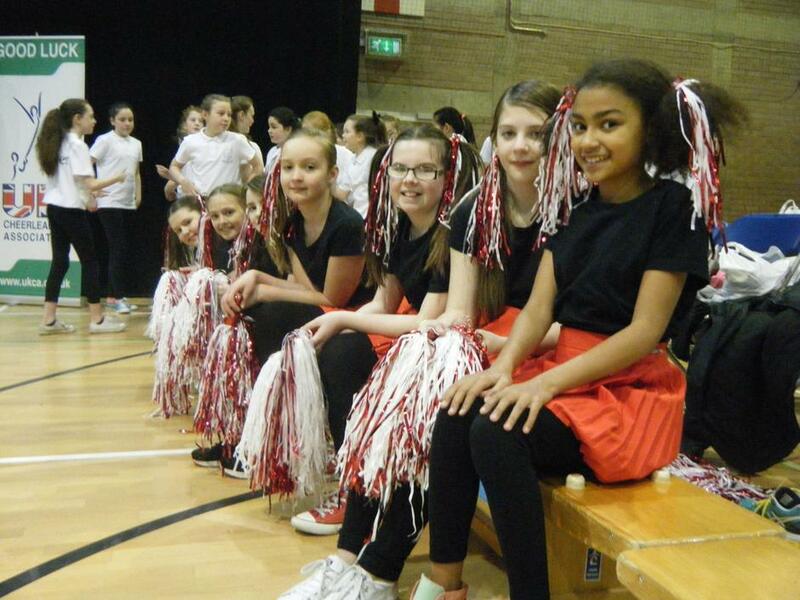 A special thank you to Claire and Miss Davison for all their hard work on Tuesday afternoons perfecting the girls routine and to Mrs. Moore for all her costume assistance. 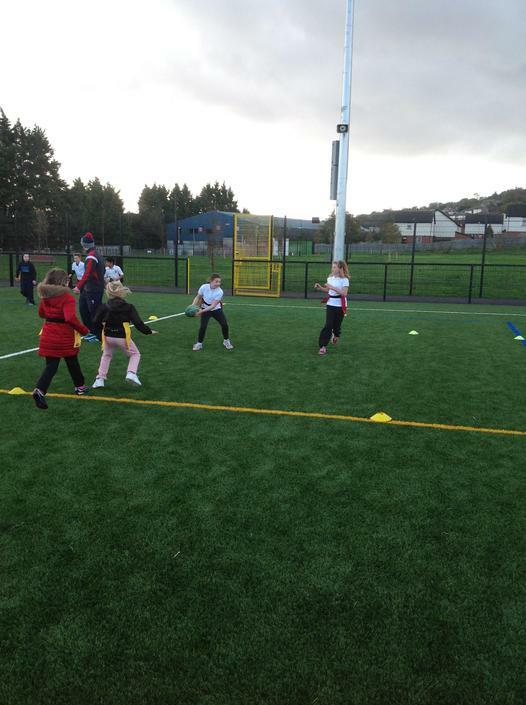 Congratulations to all the girls and boys who competed in the Regional Hockey Tournament in Ballymena on Monday 29th February. 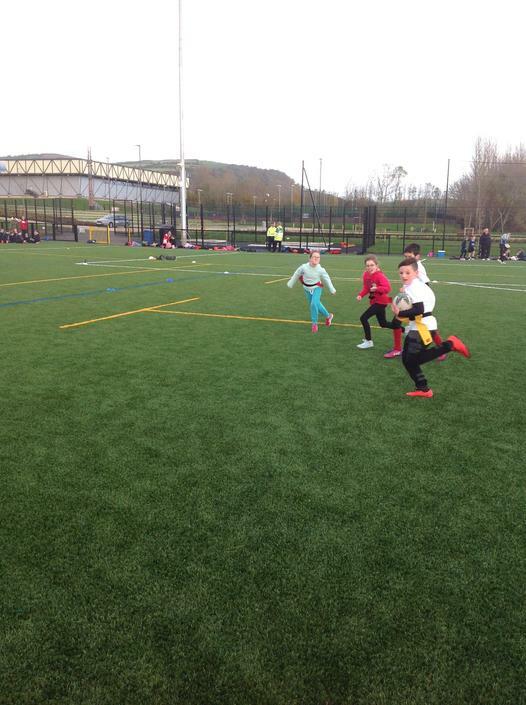 All the children performed well, in extremely wet and cold conditions, with the both A Teams finishing second and qualifying for the NI Finals in Hillsborough. 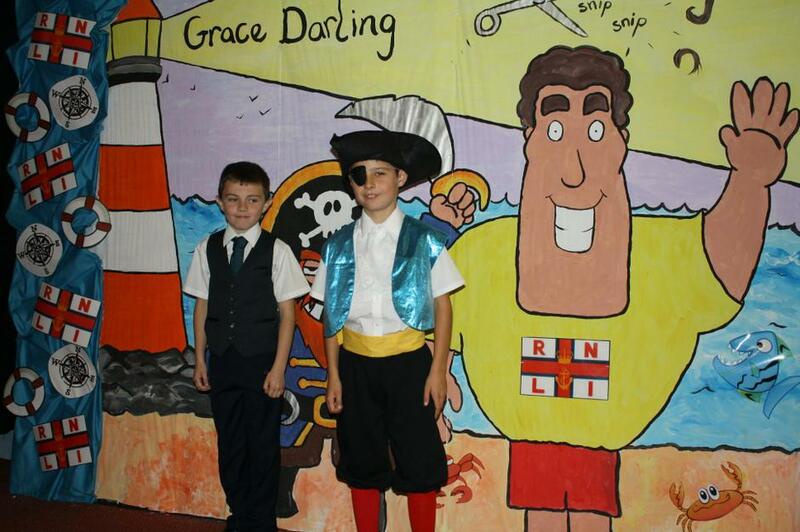 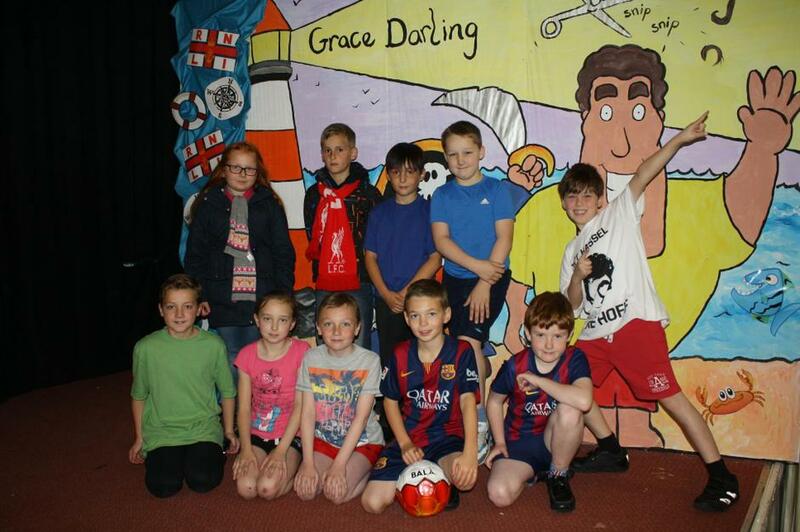 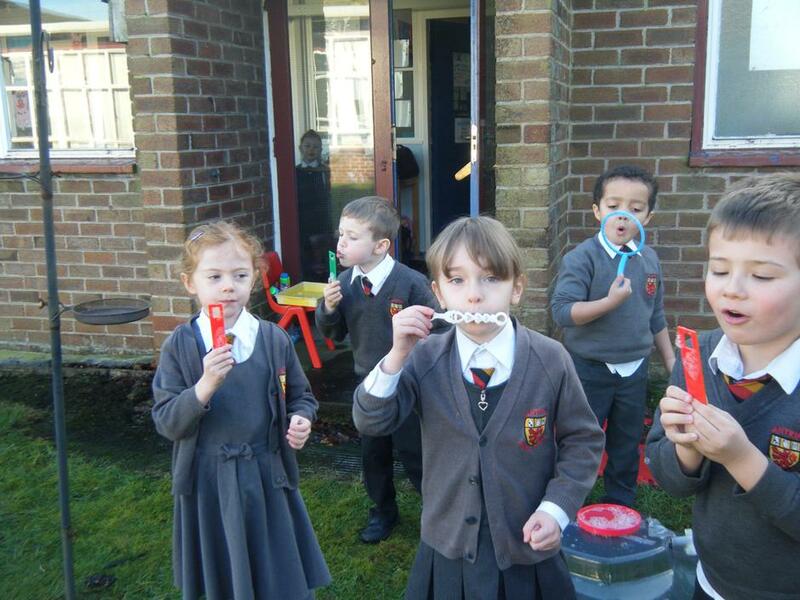 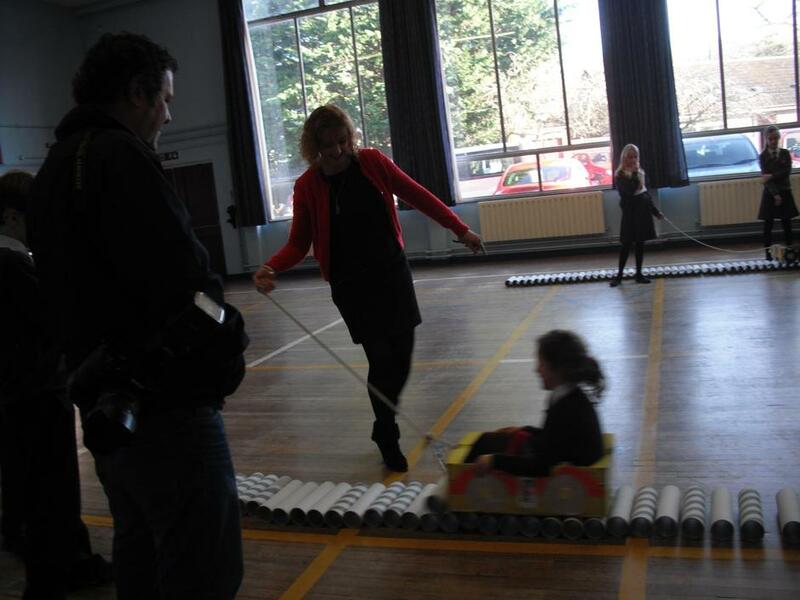 Well done to all involved and a special thanks to staff and parents who accompanied the children. 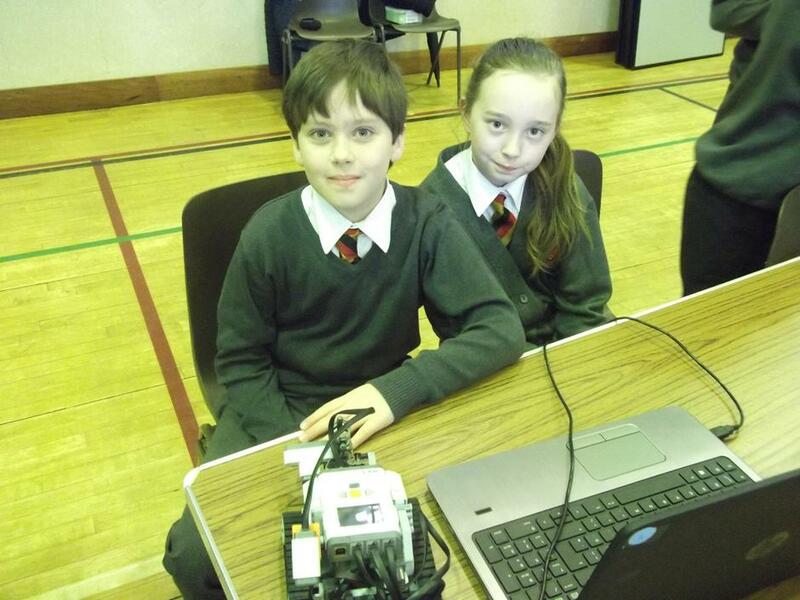 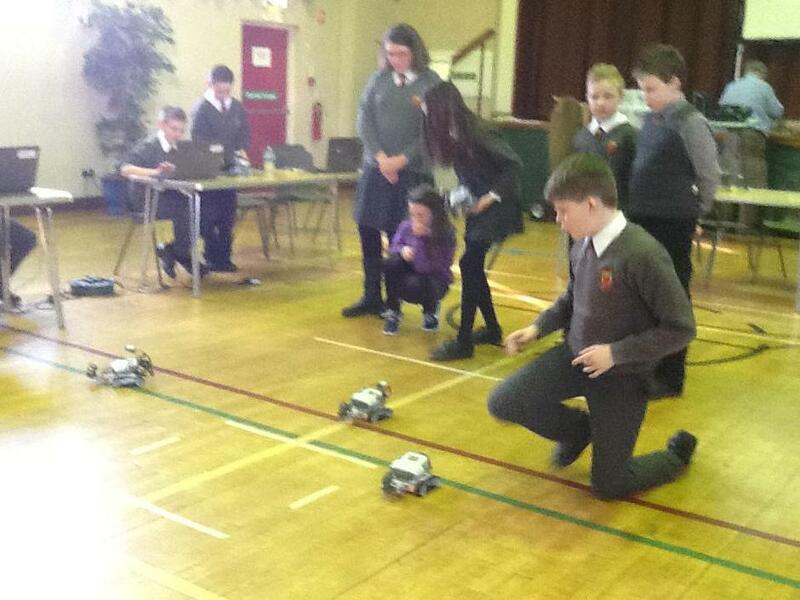 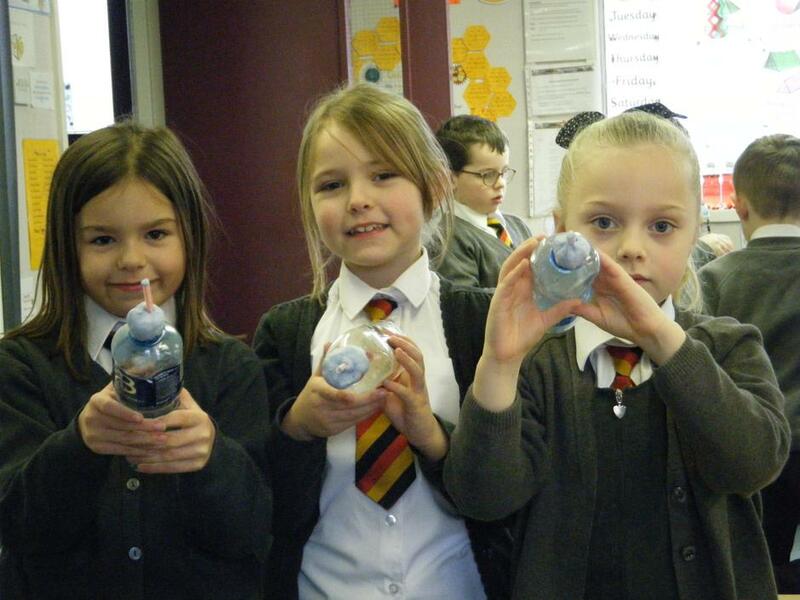 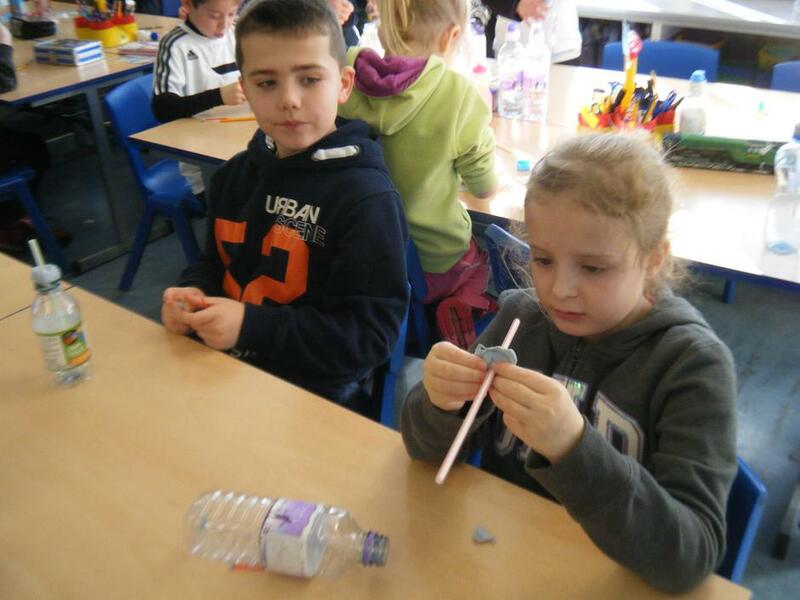 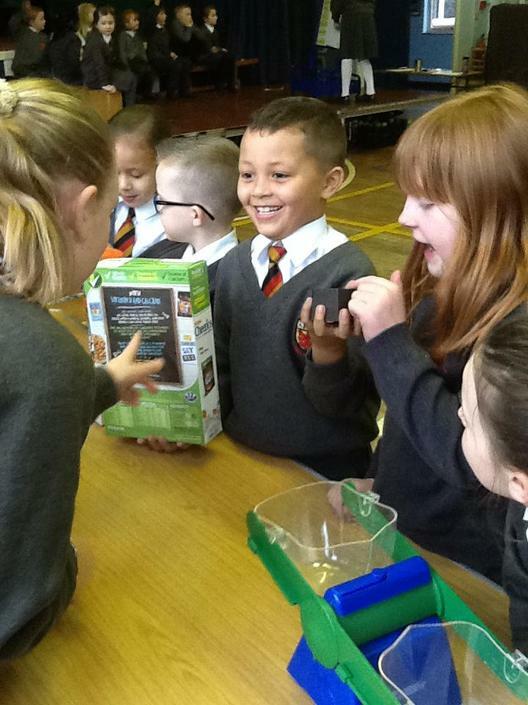 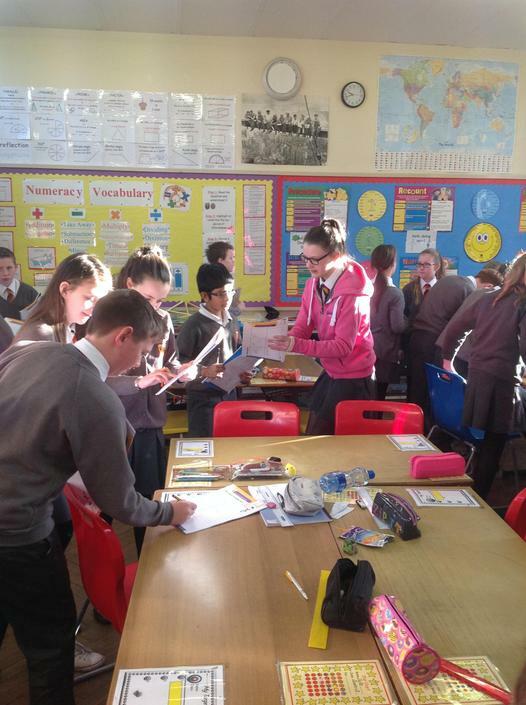 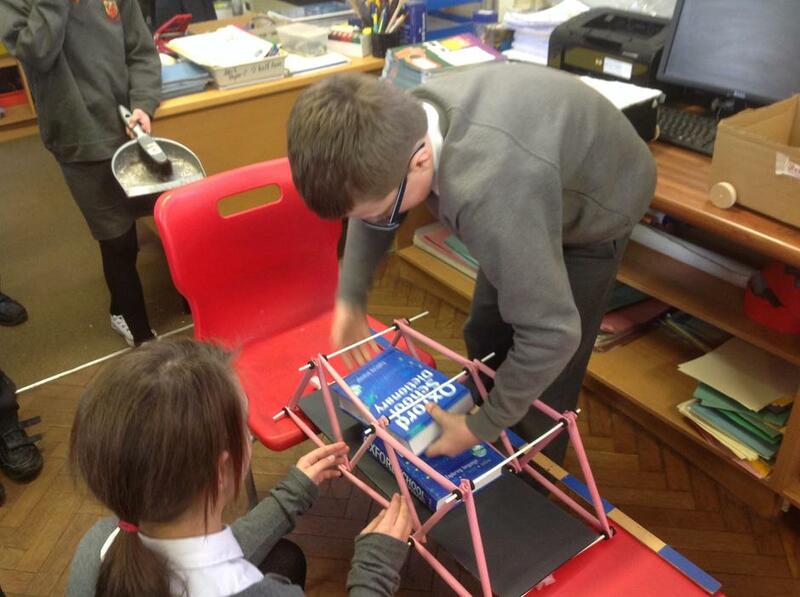 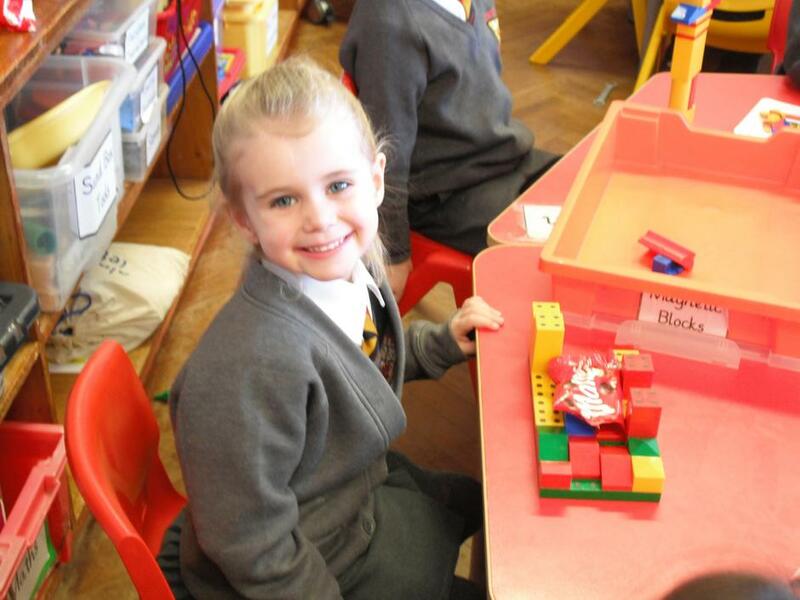 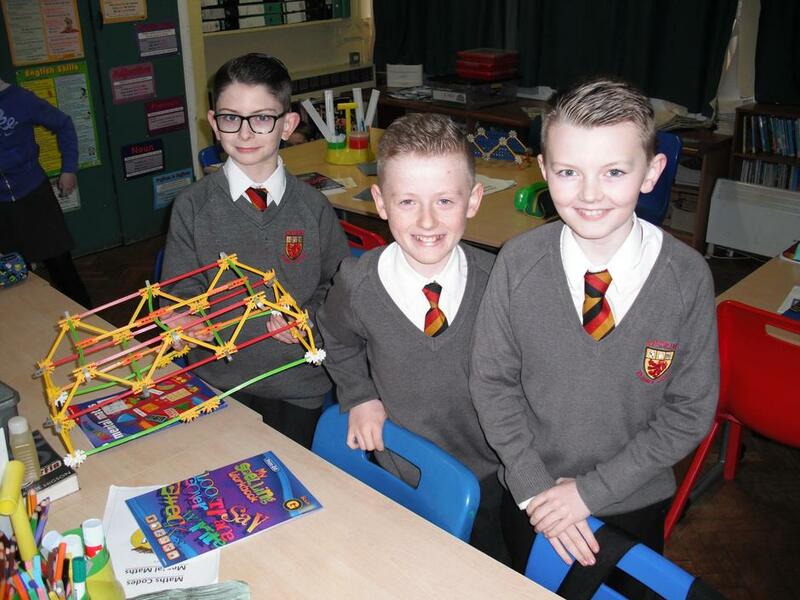 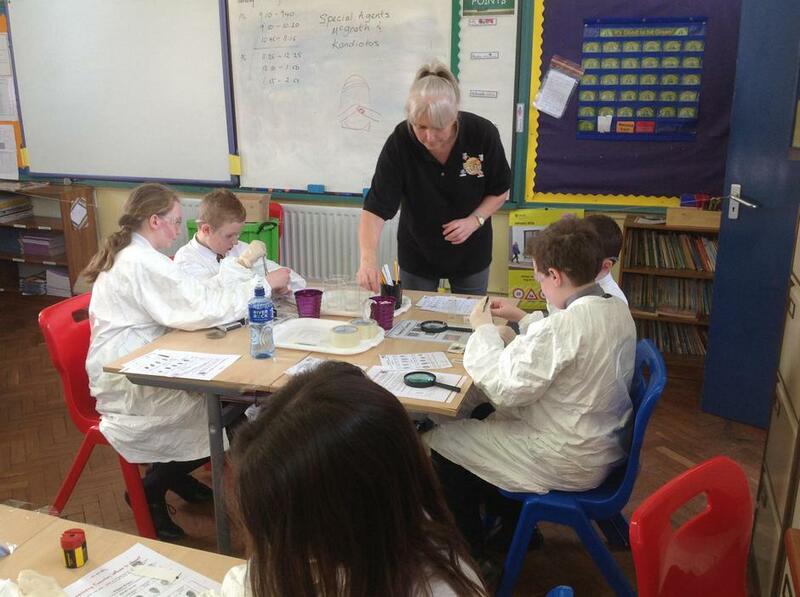 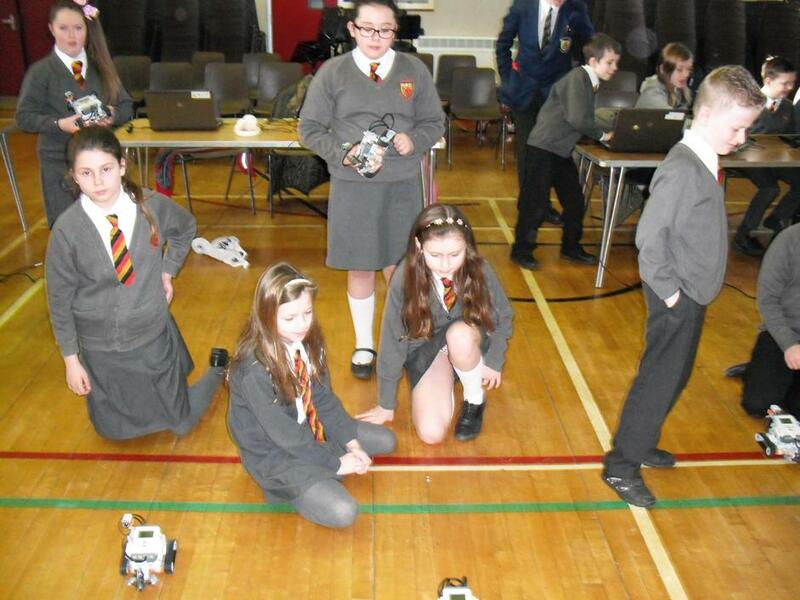 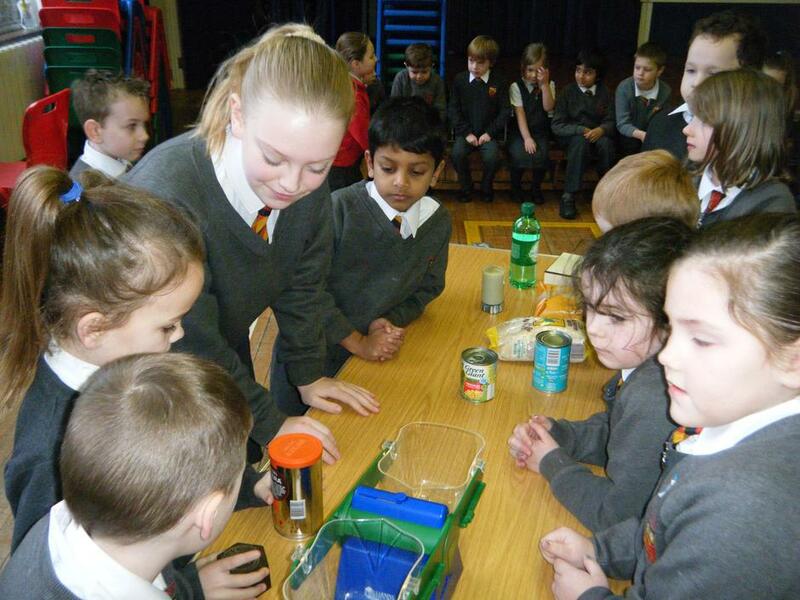 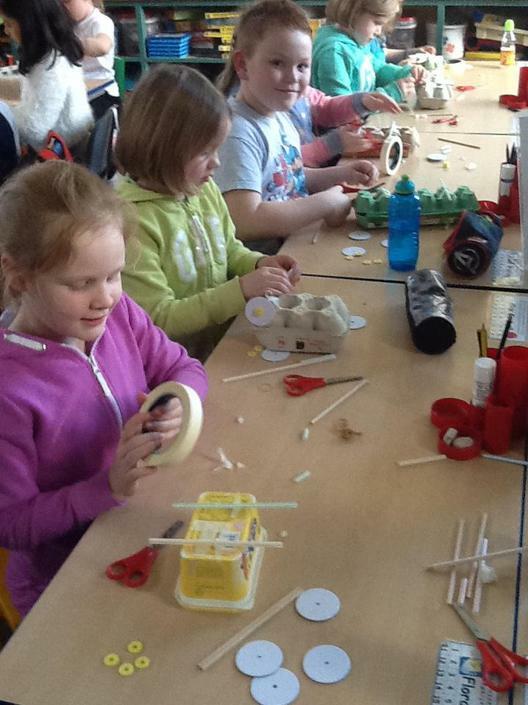 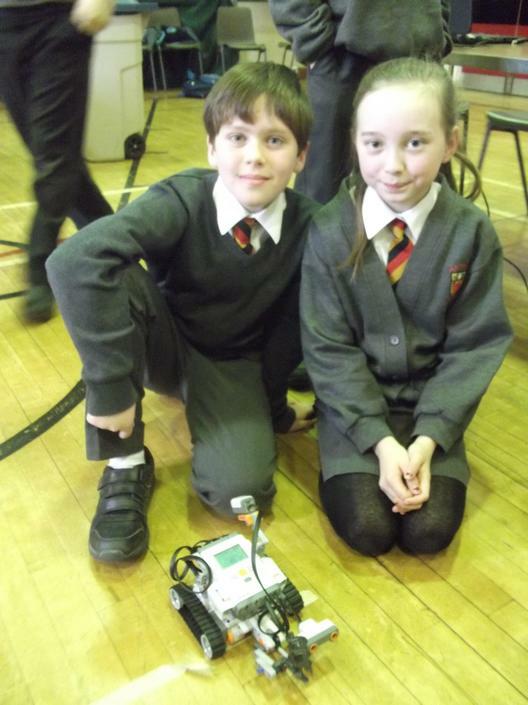 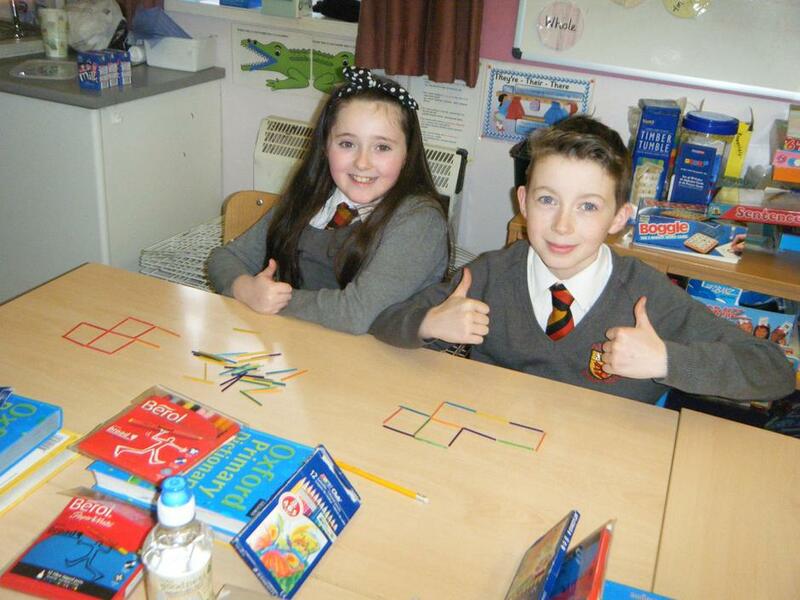 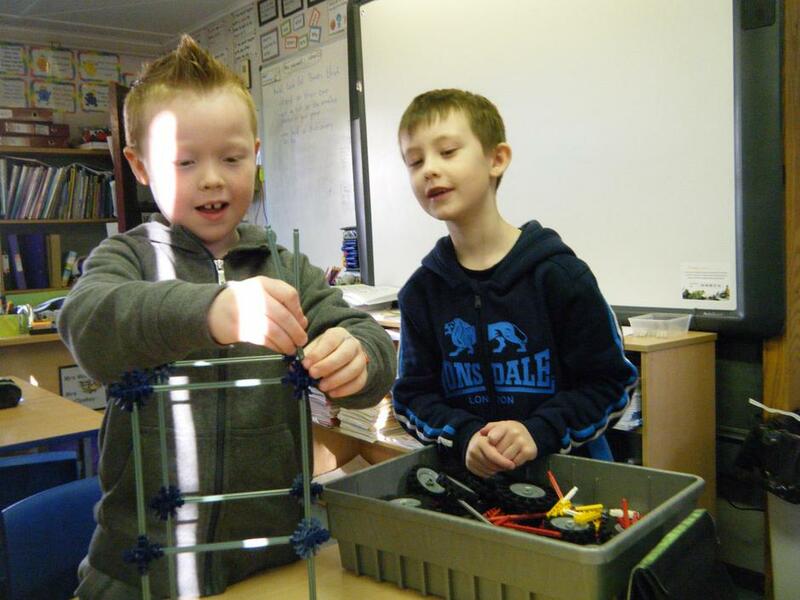 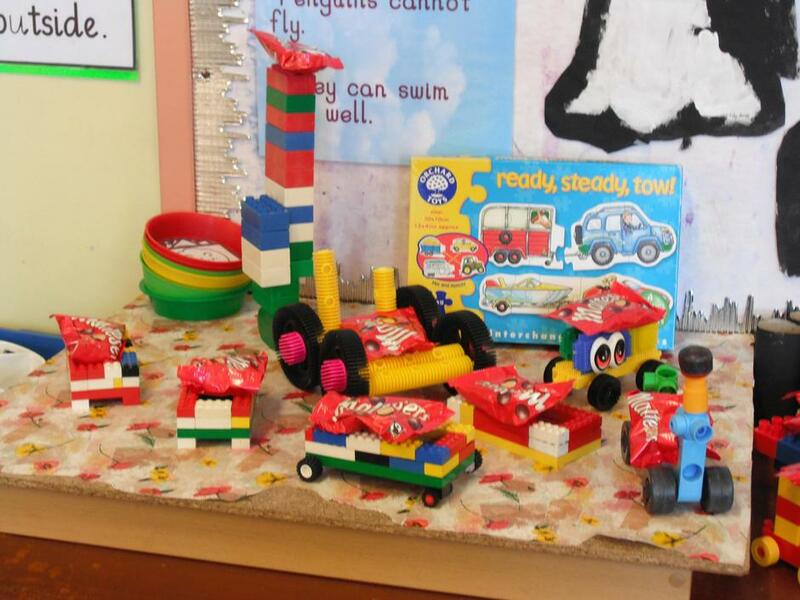 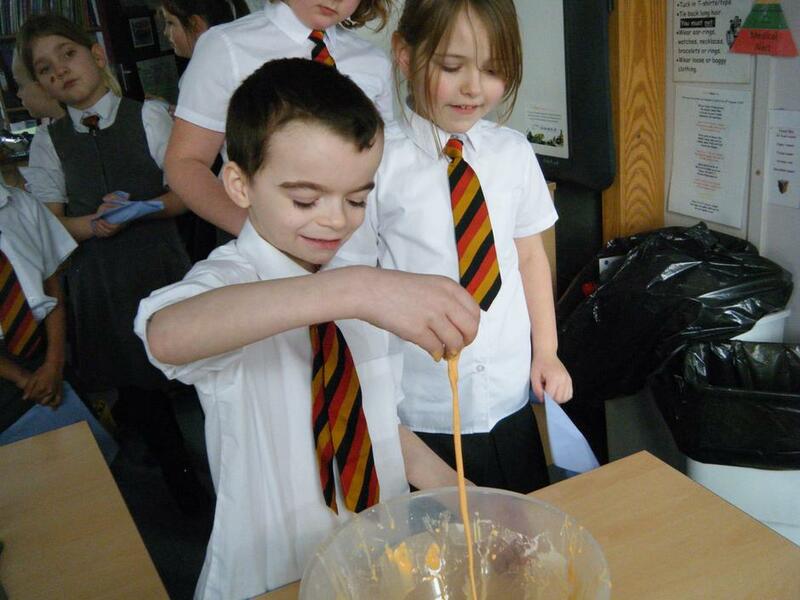 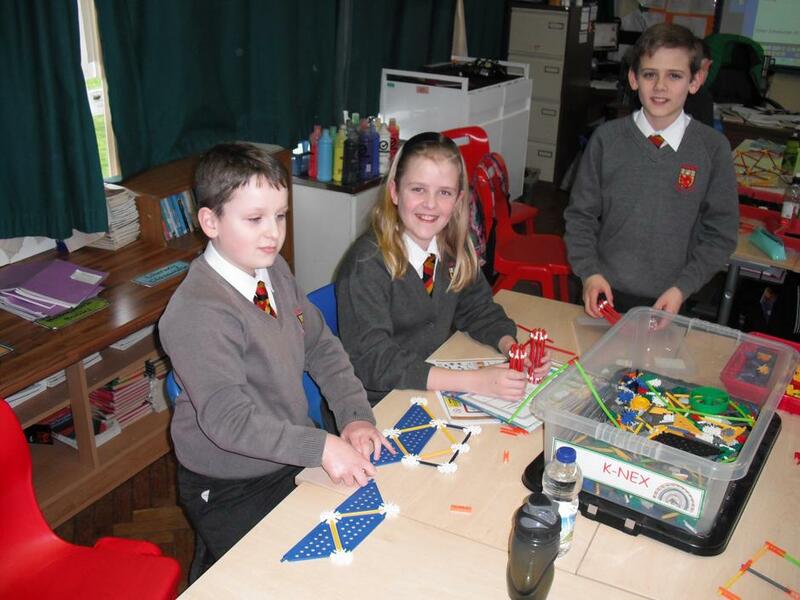 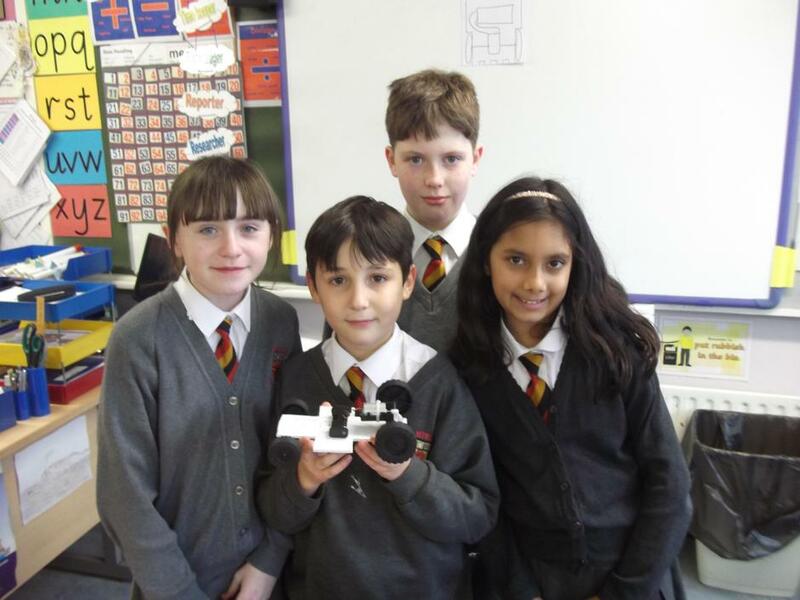 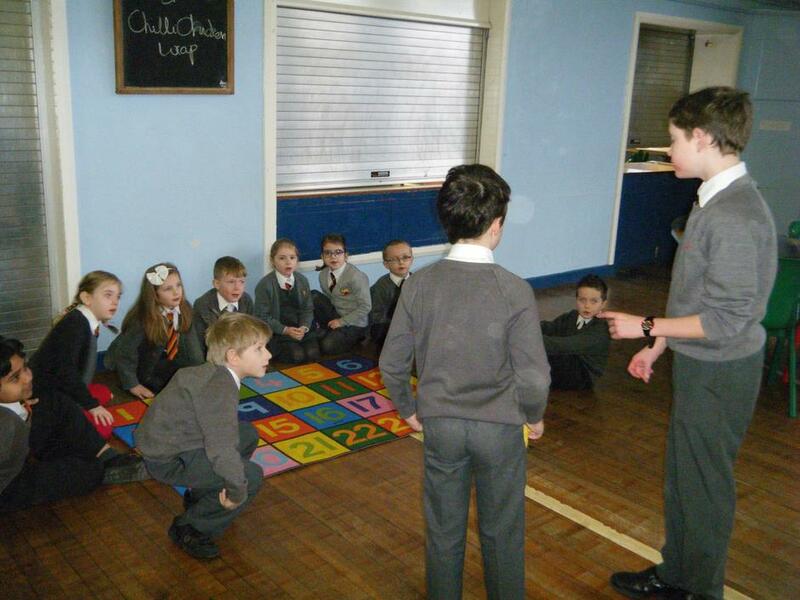 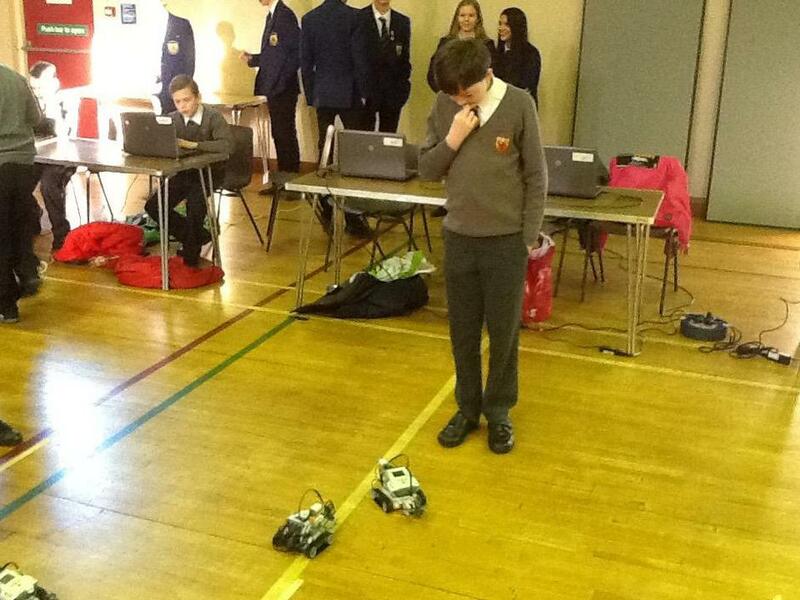 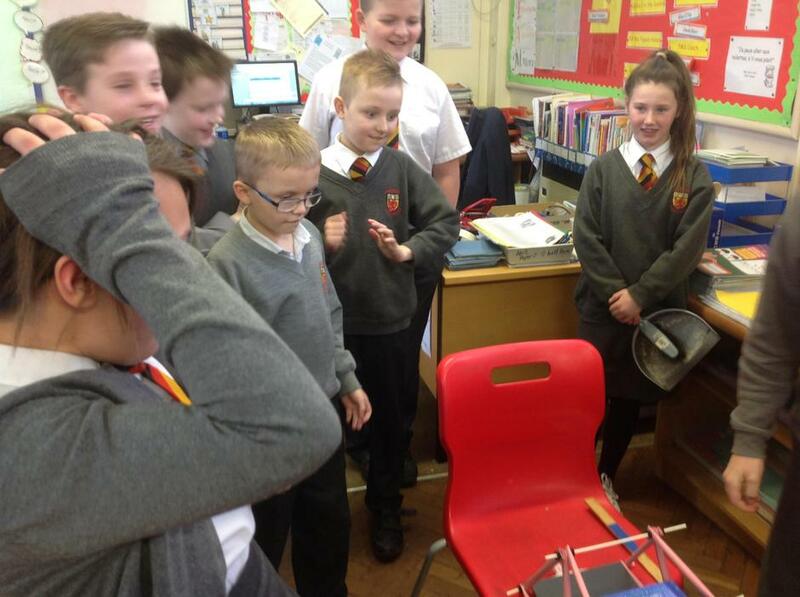 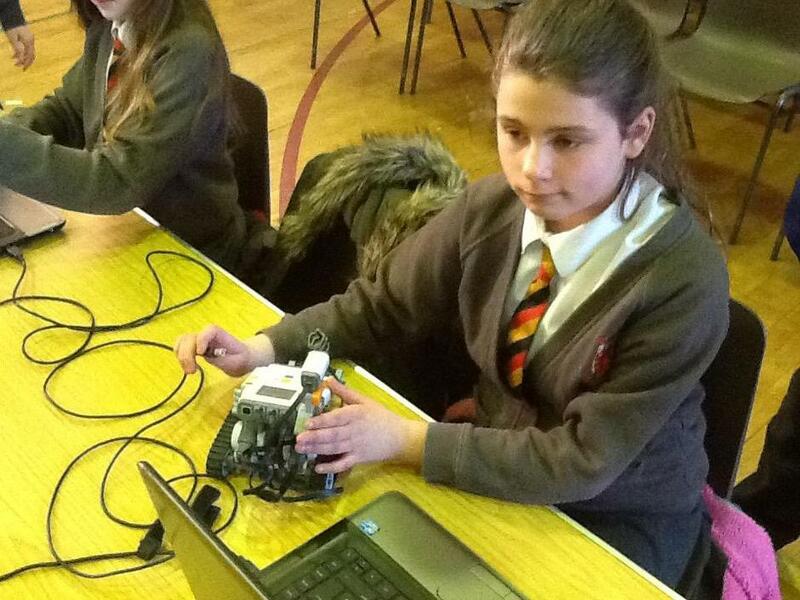 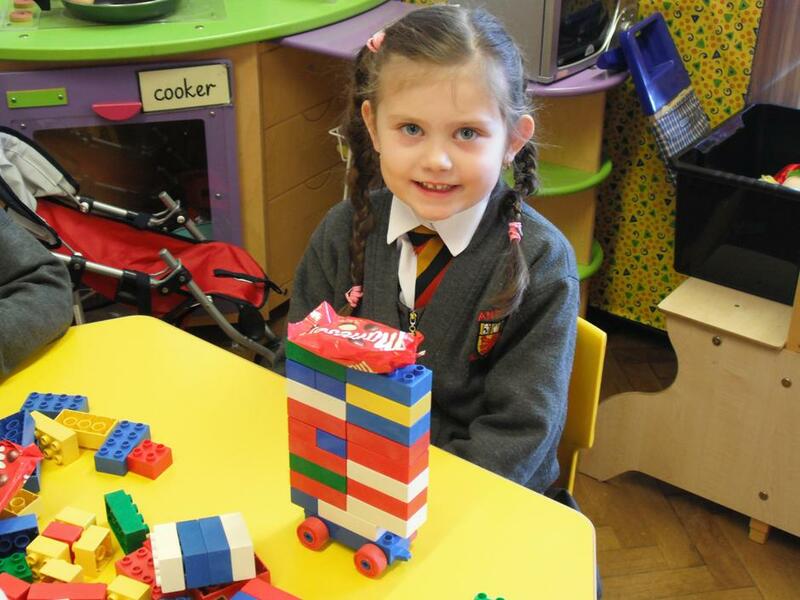 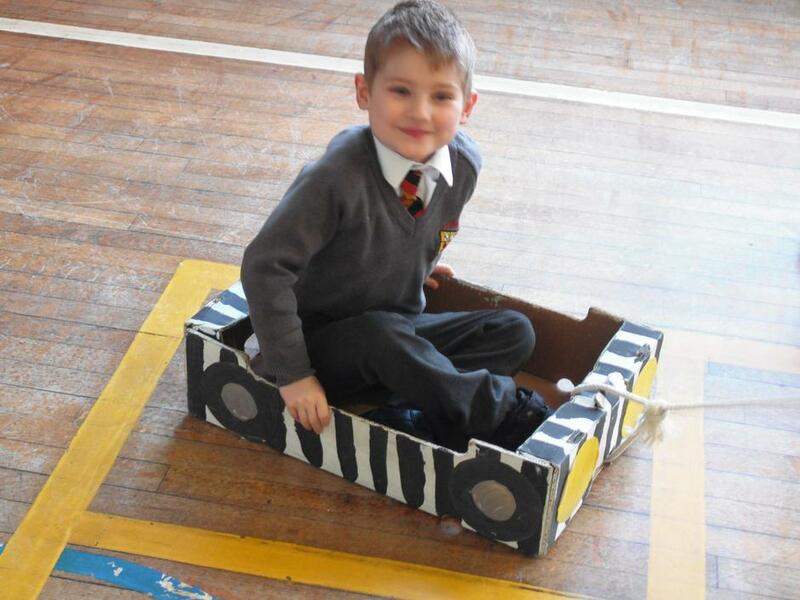 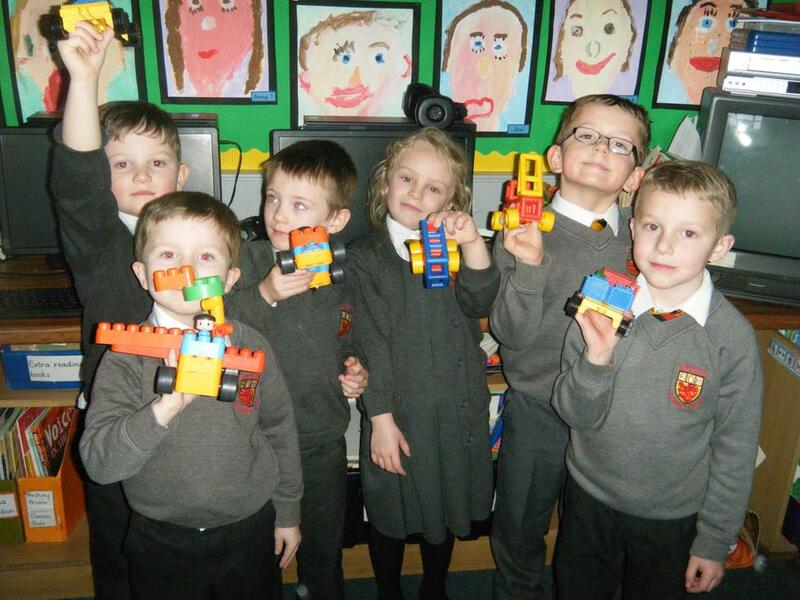 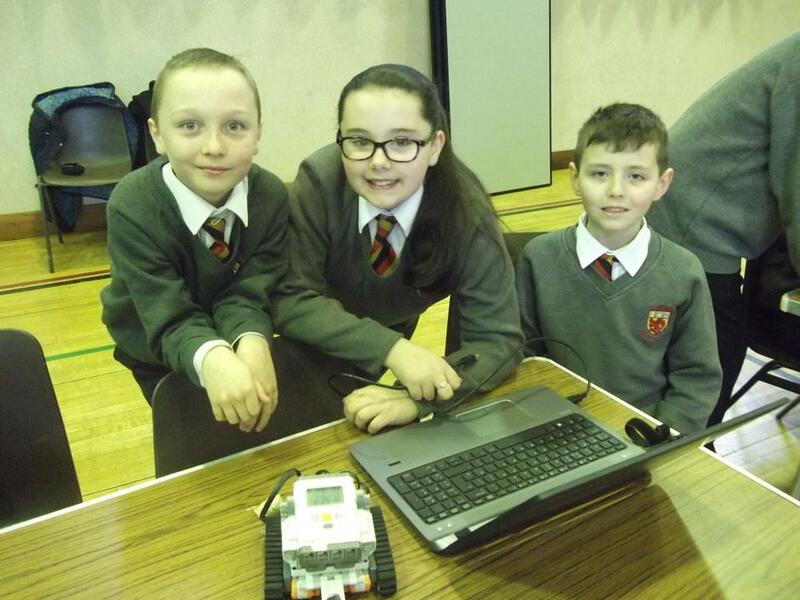 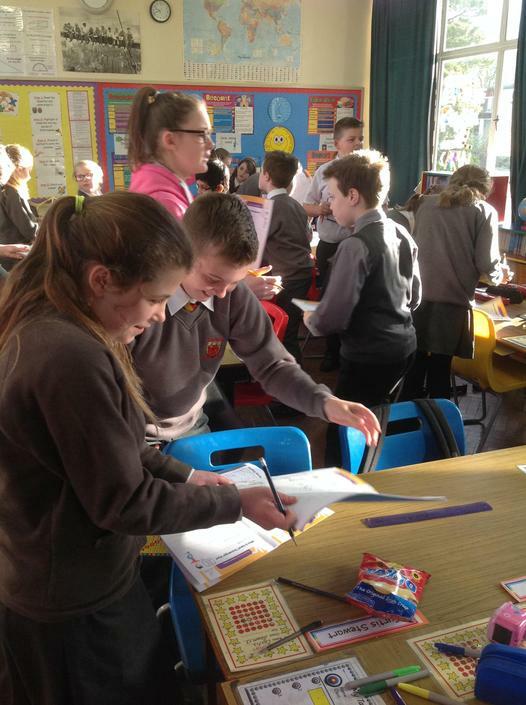 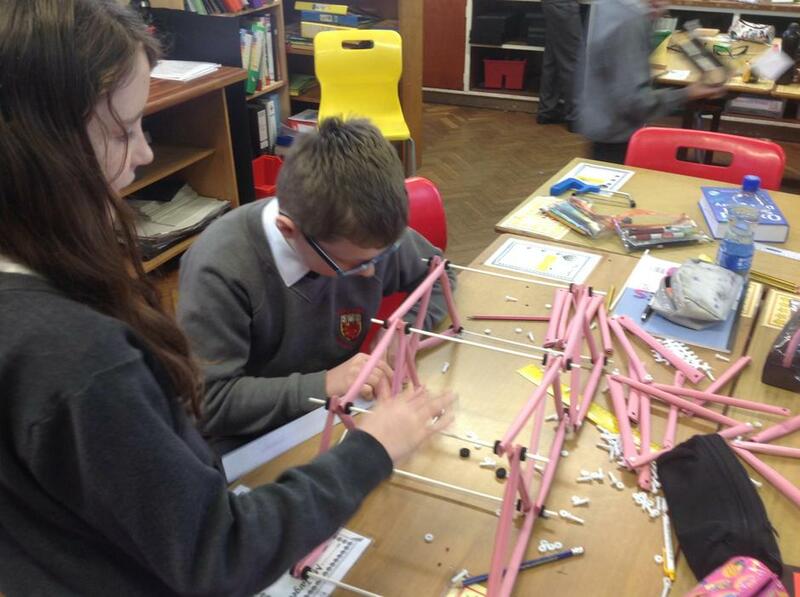 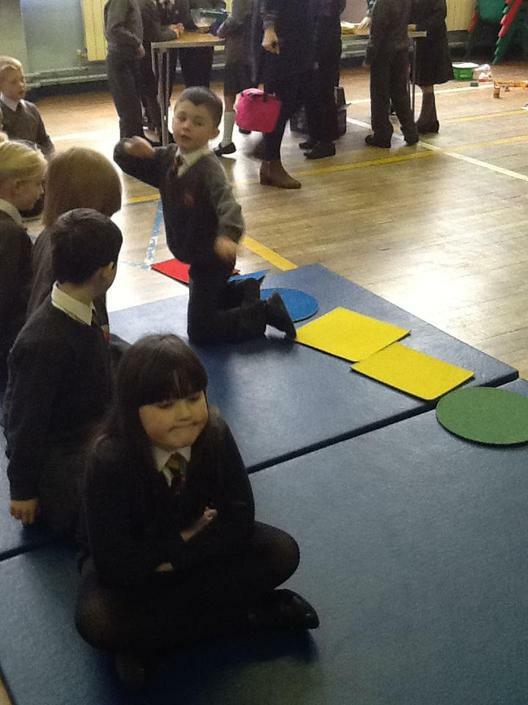 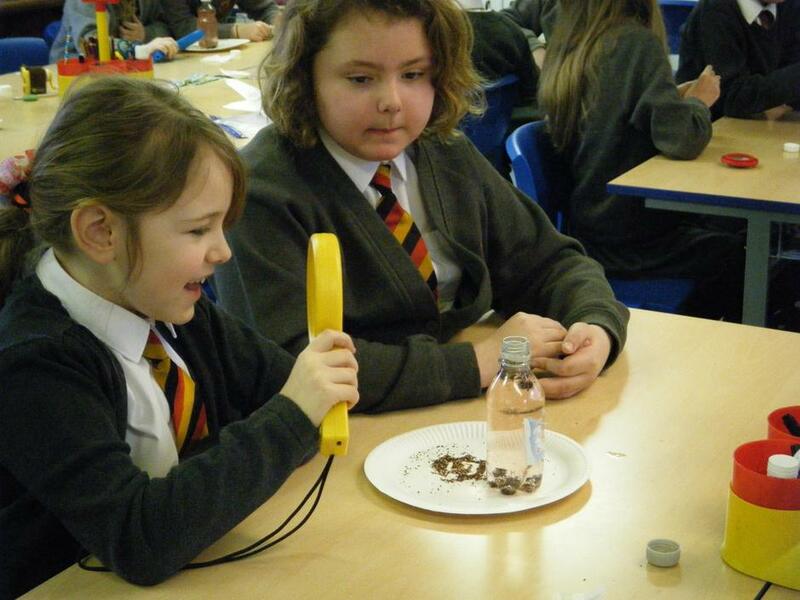 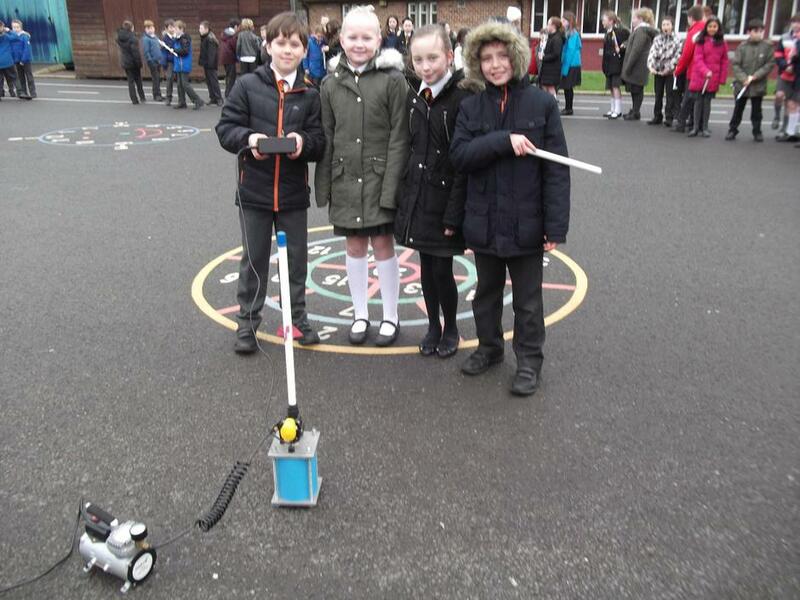 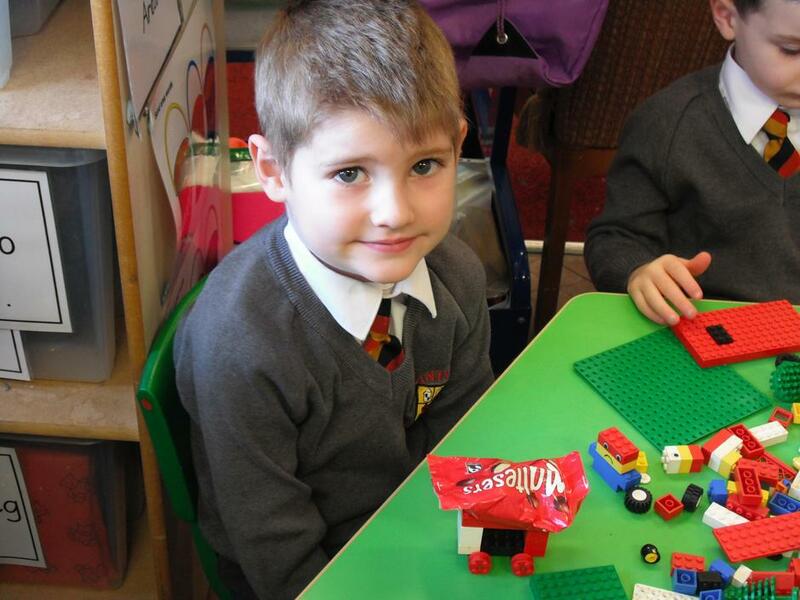 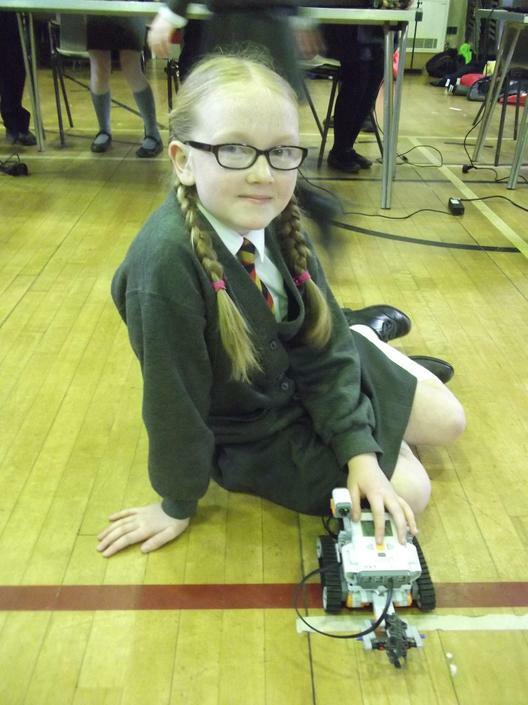 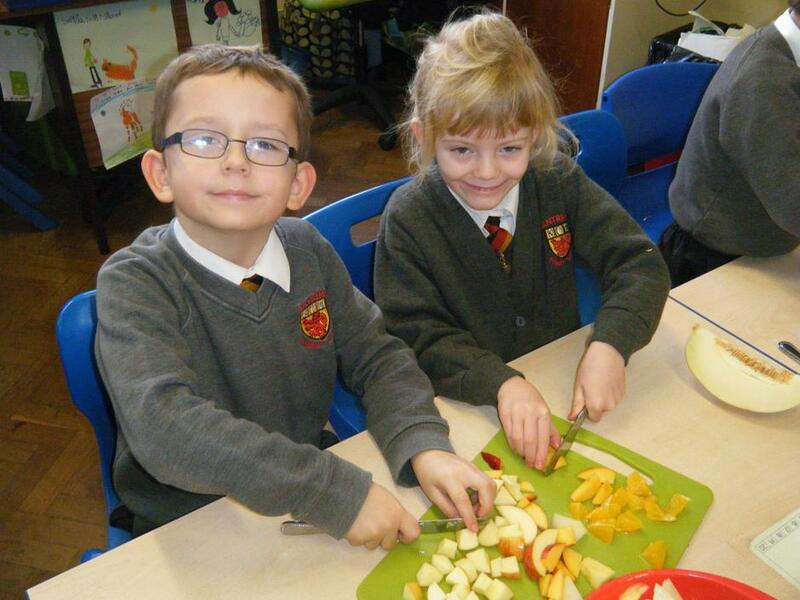 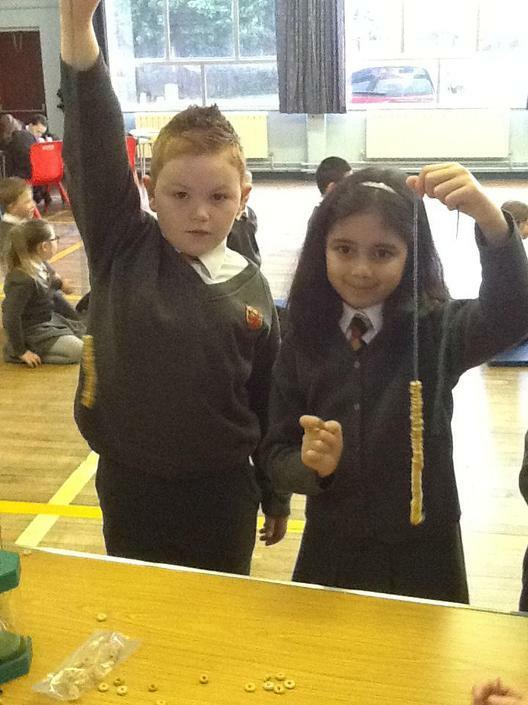 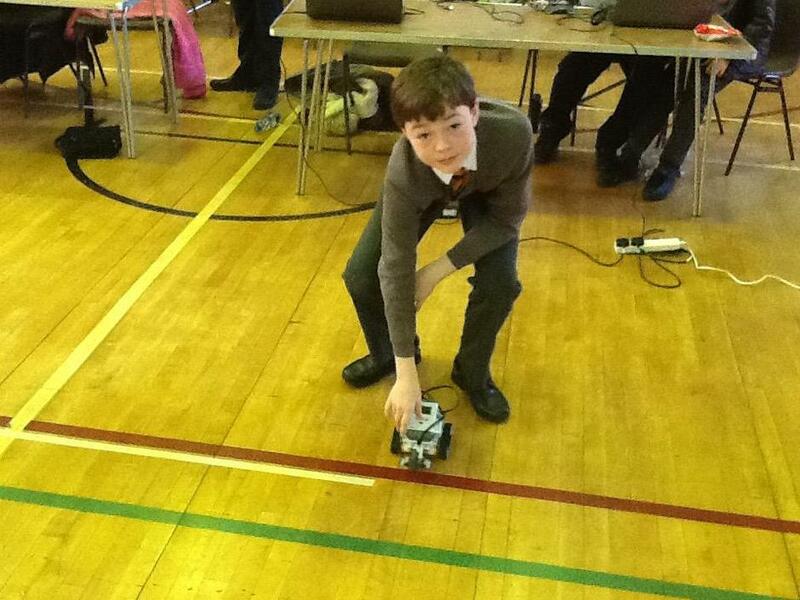 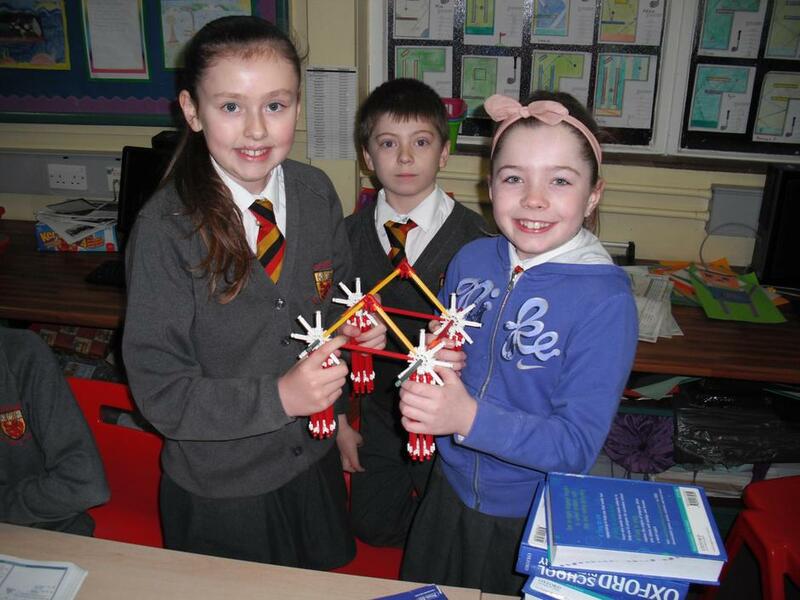 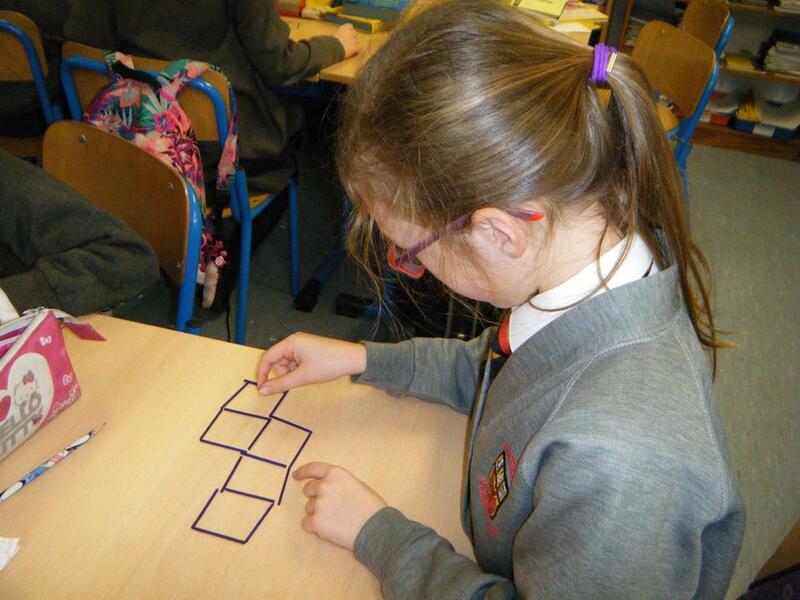 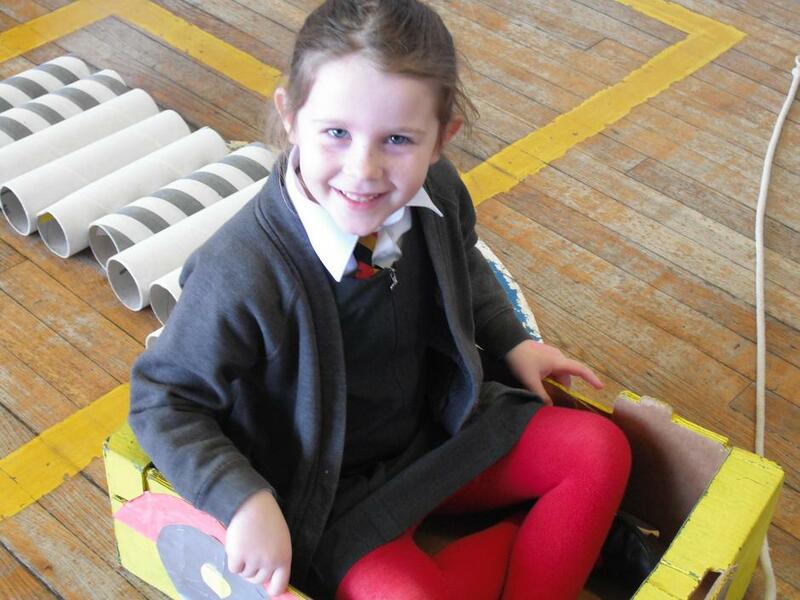 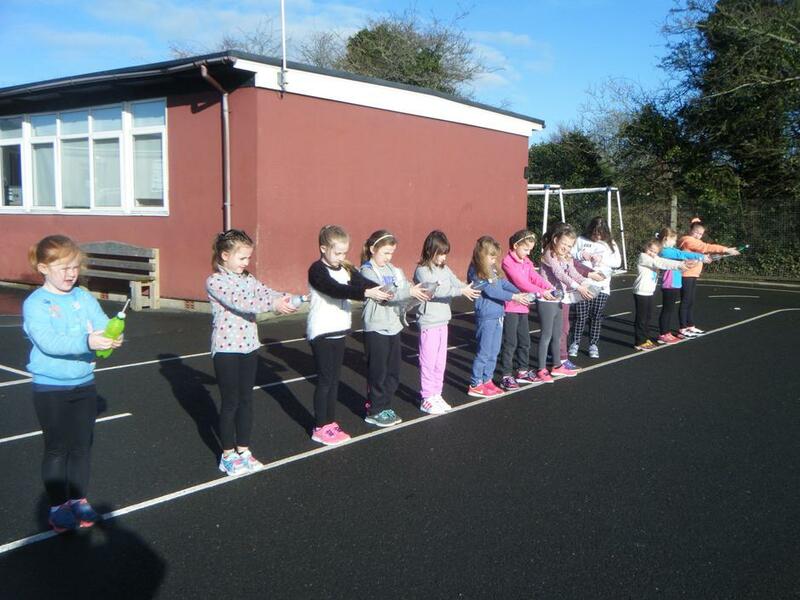 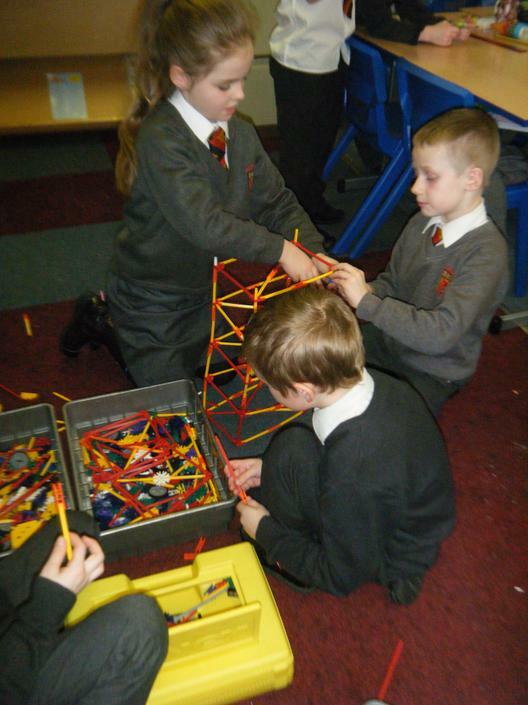 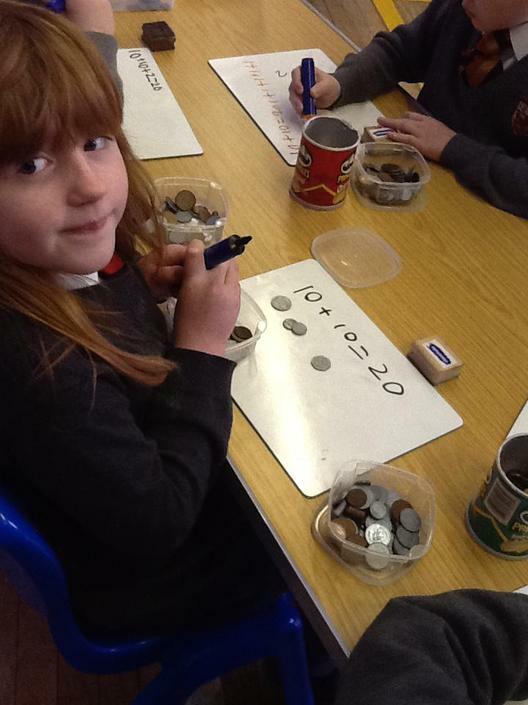 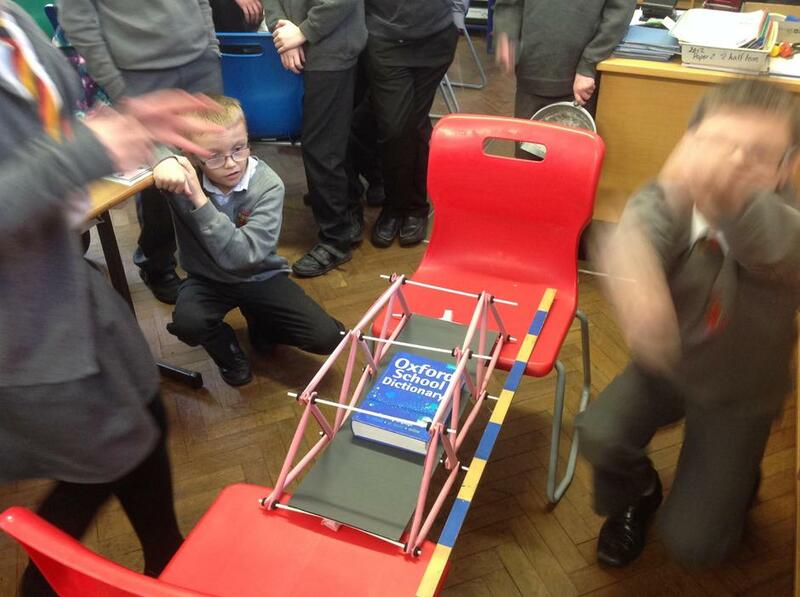 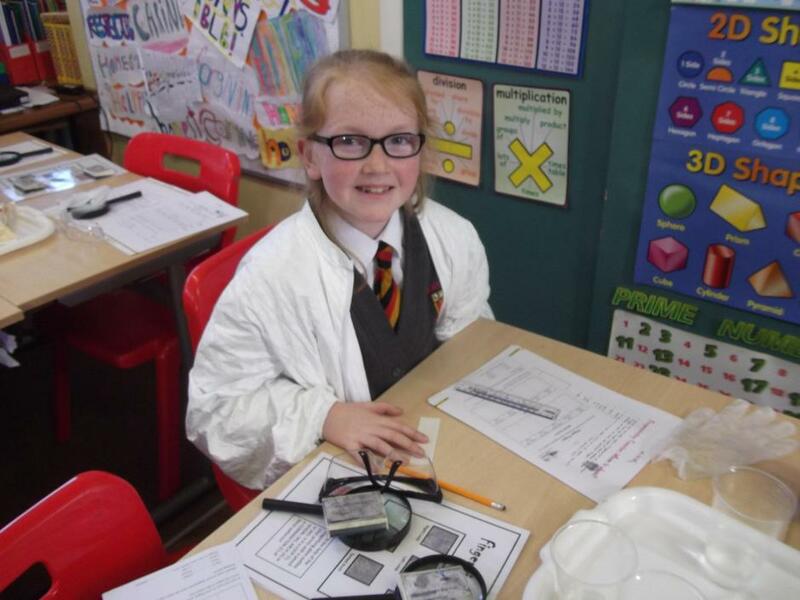 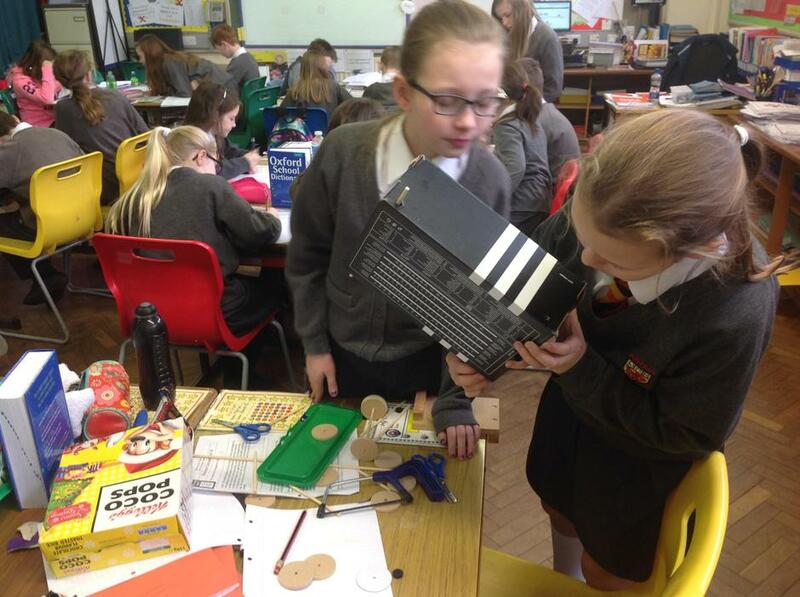 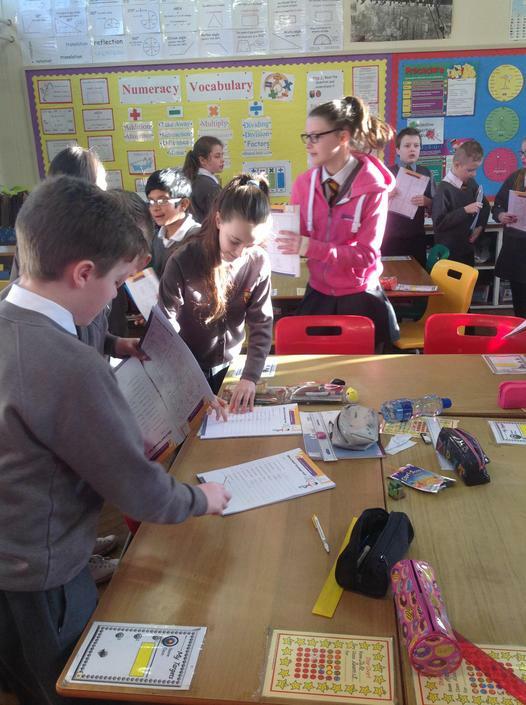 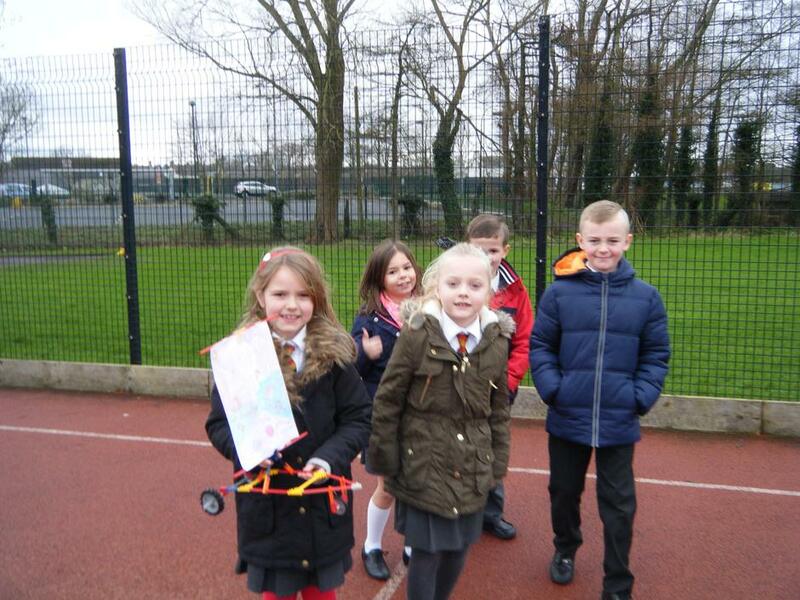 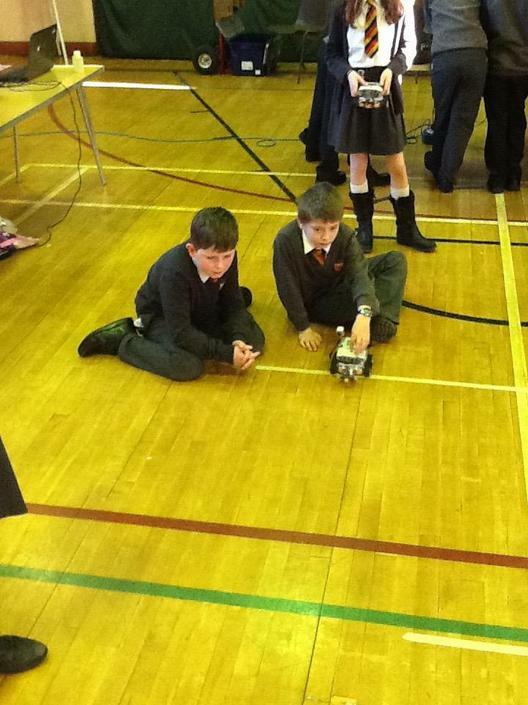 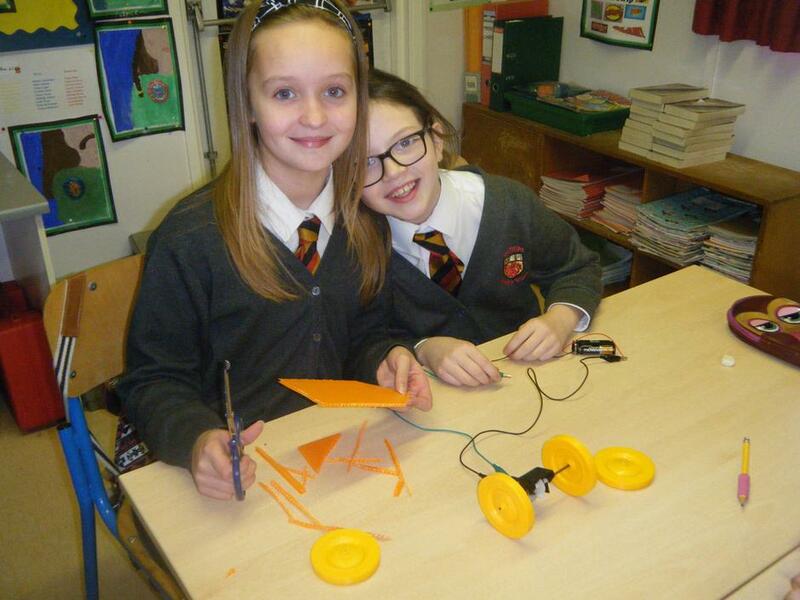 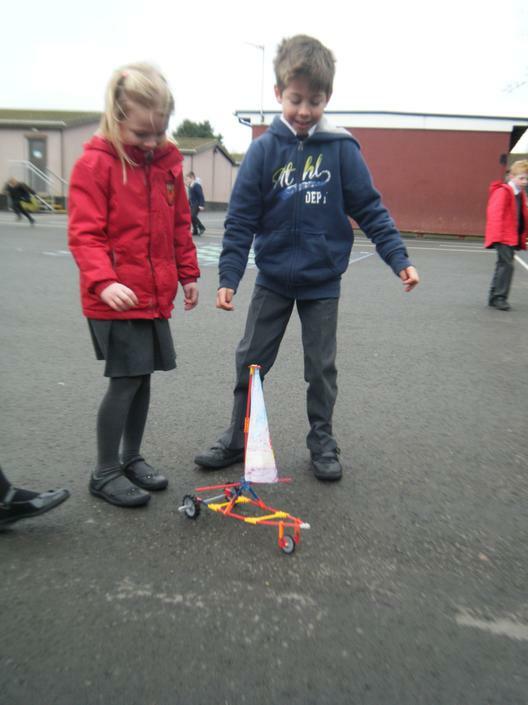 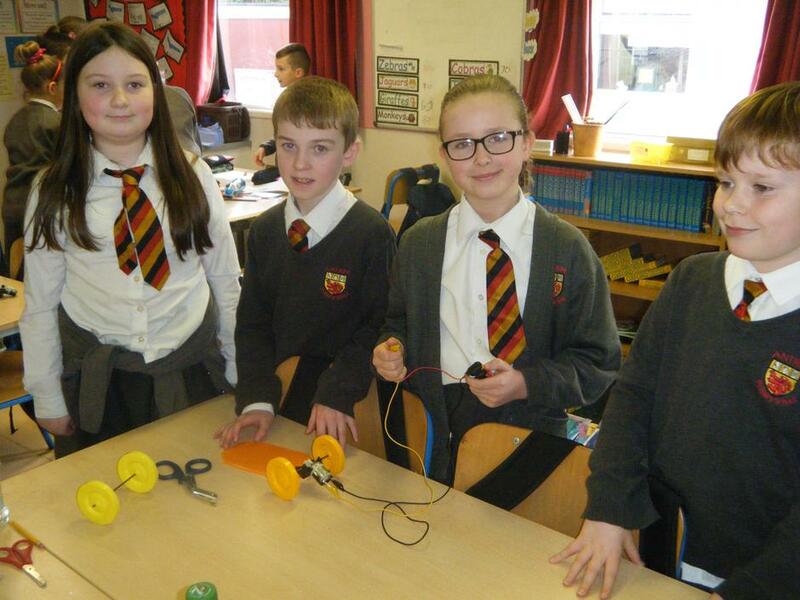 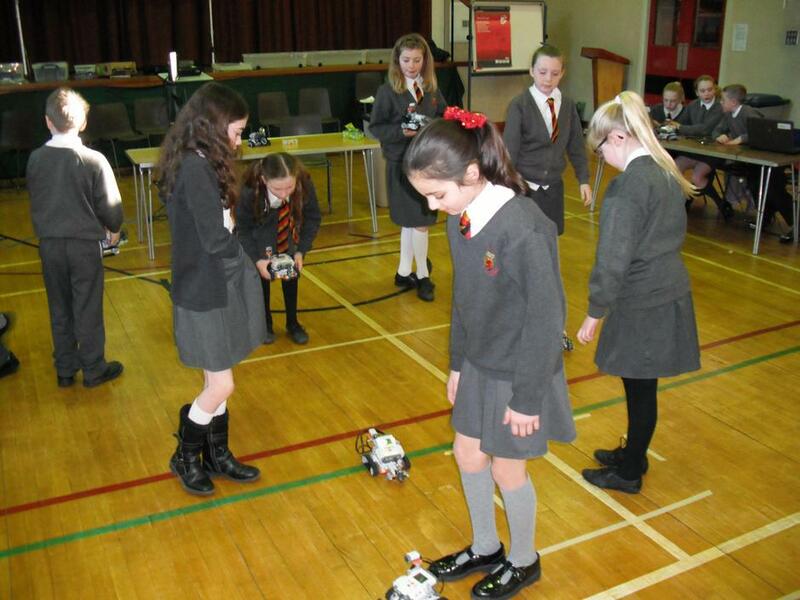 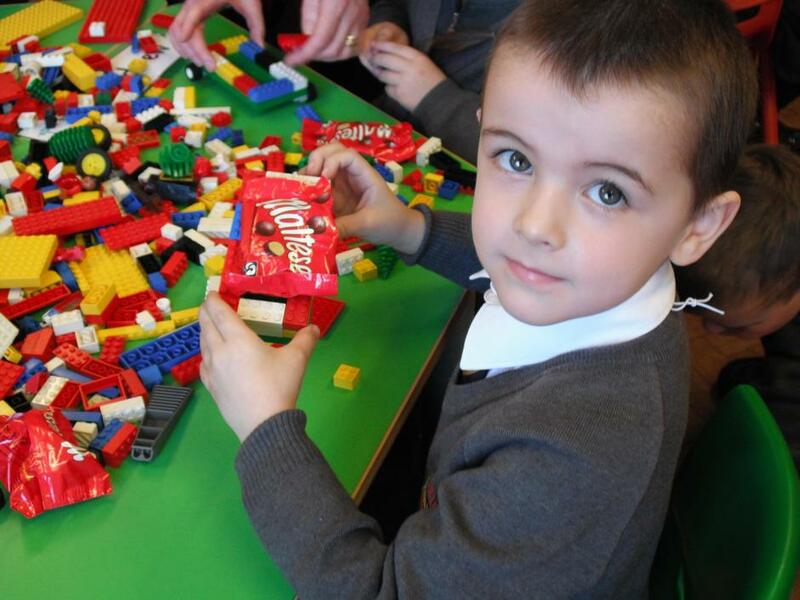 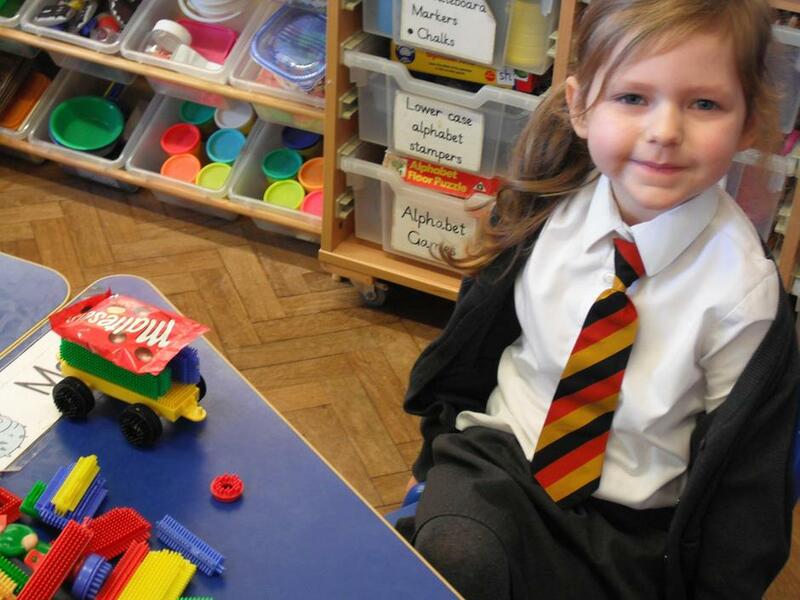 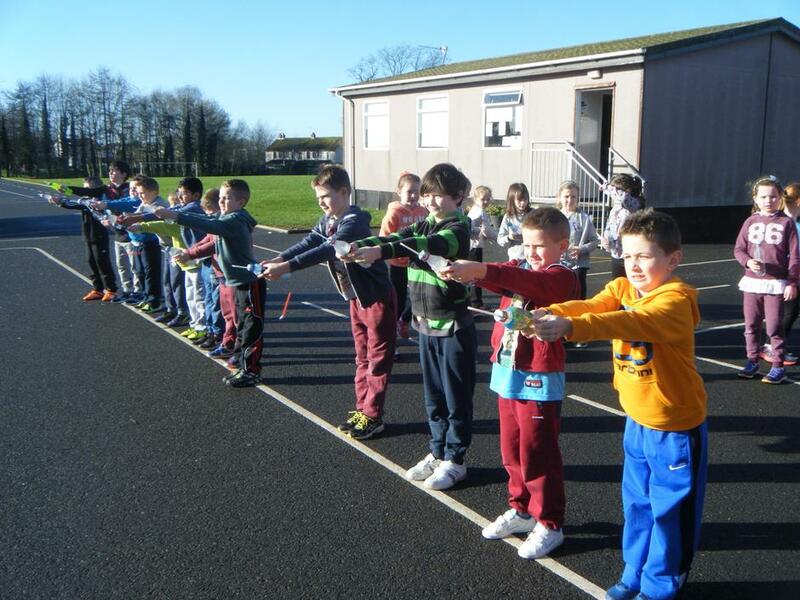 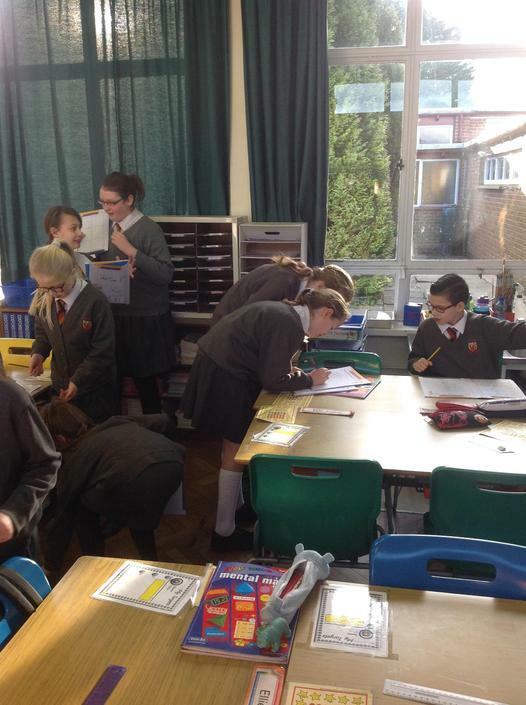 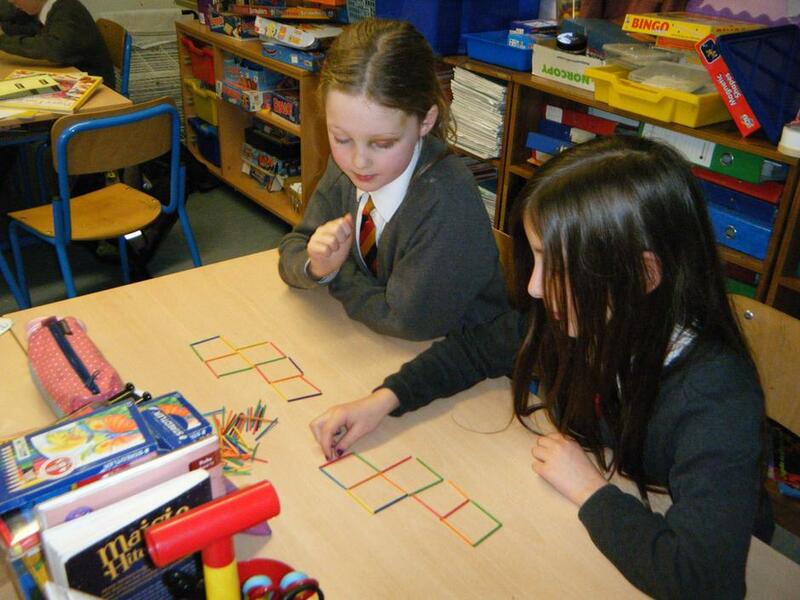 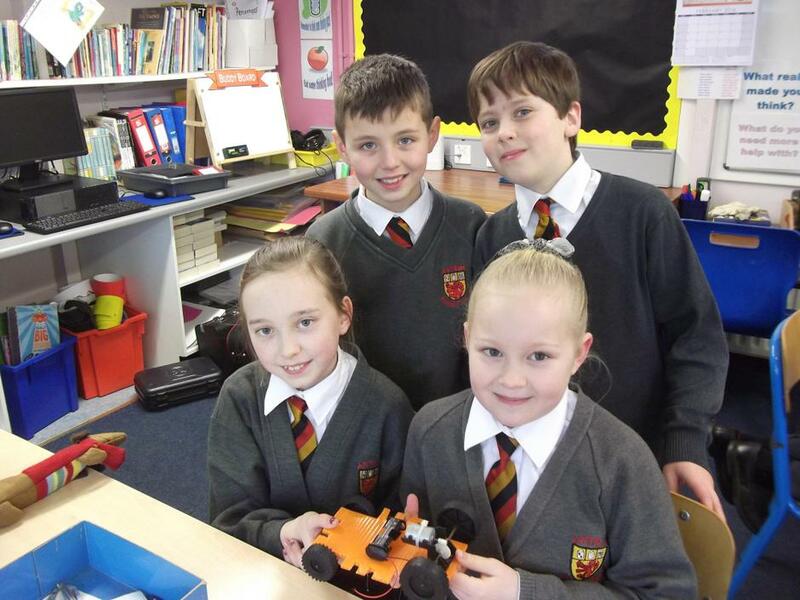 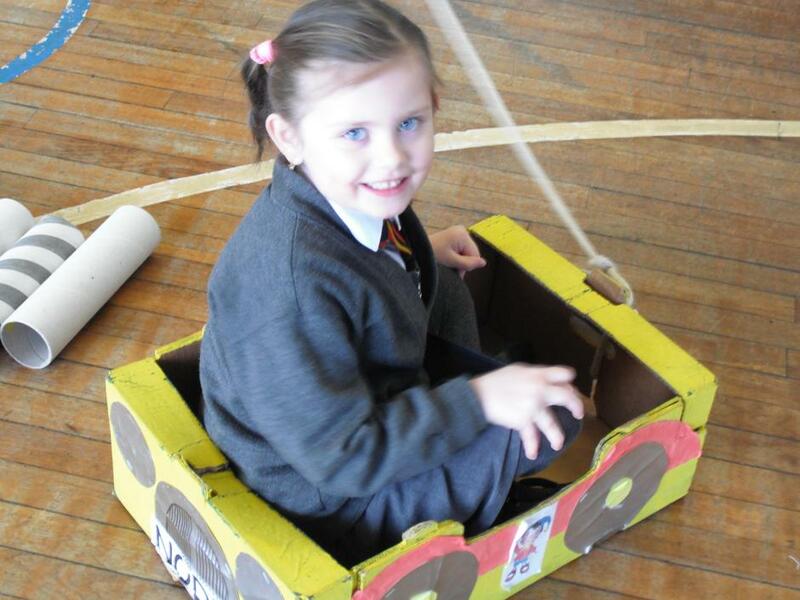 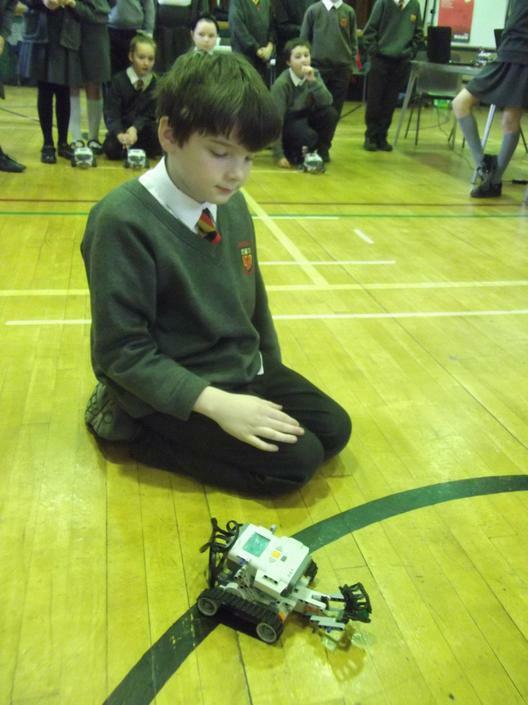 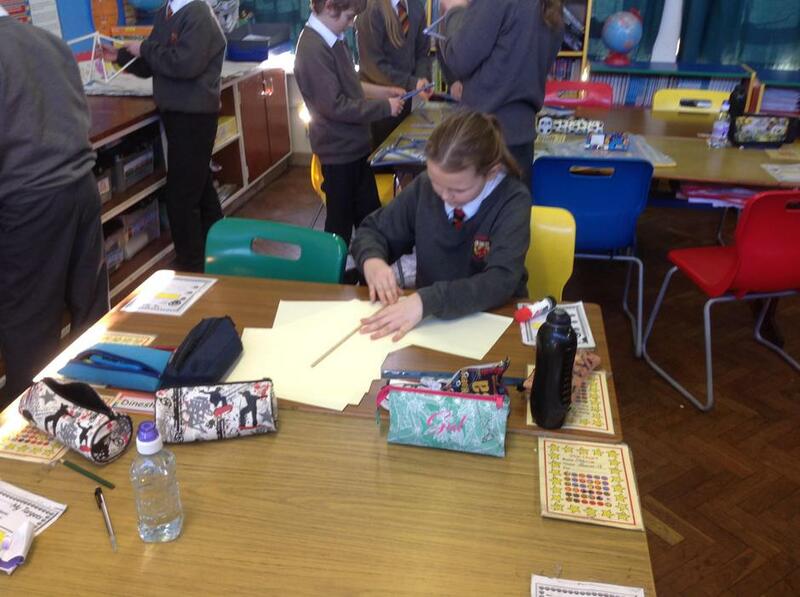 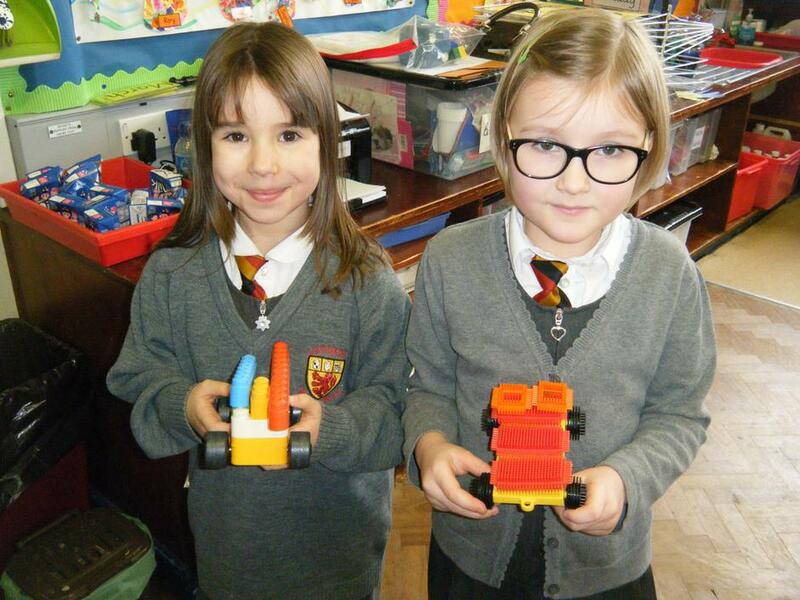 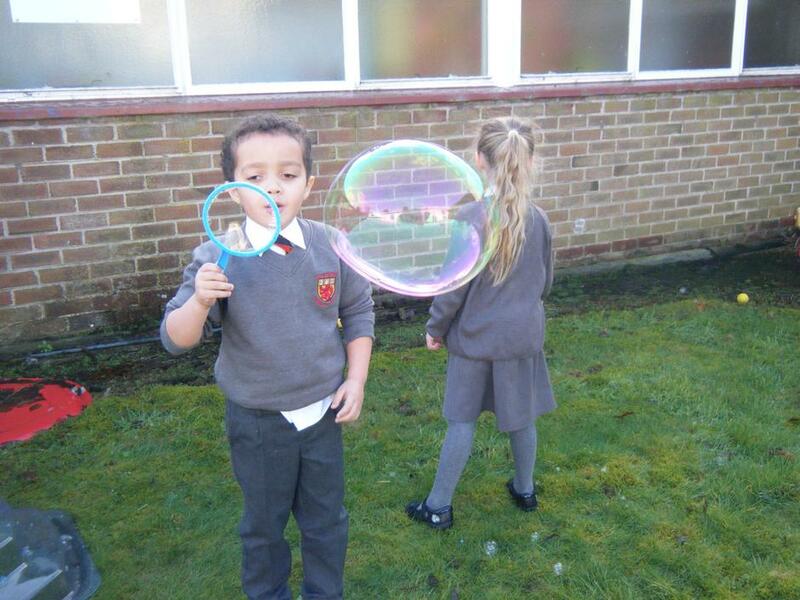 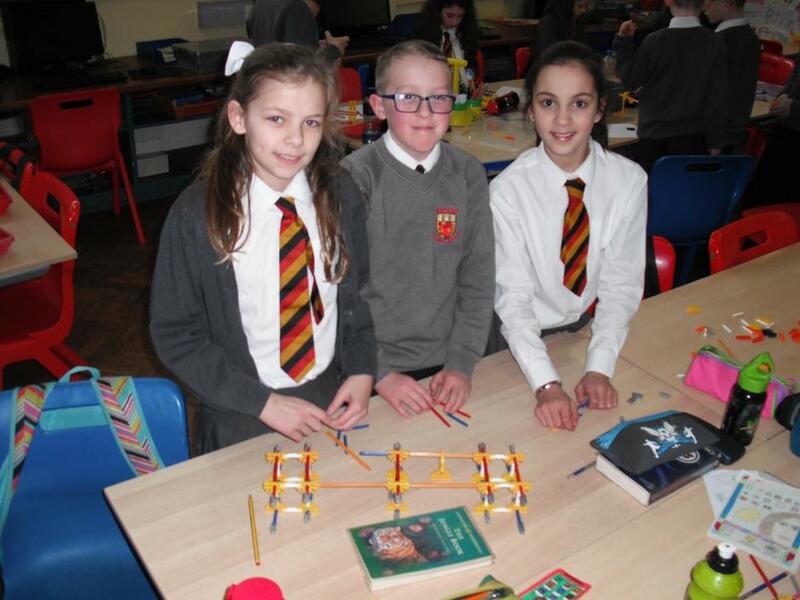 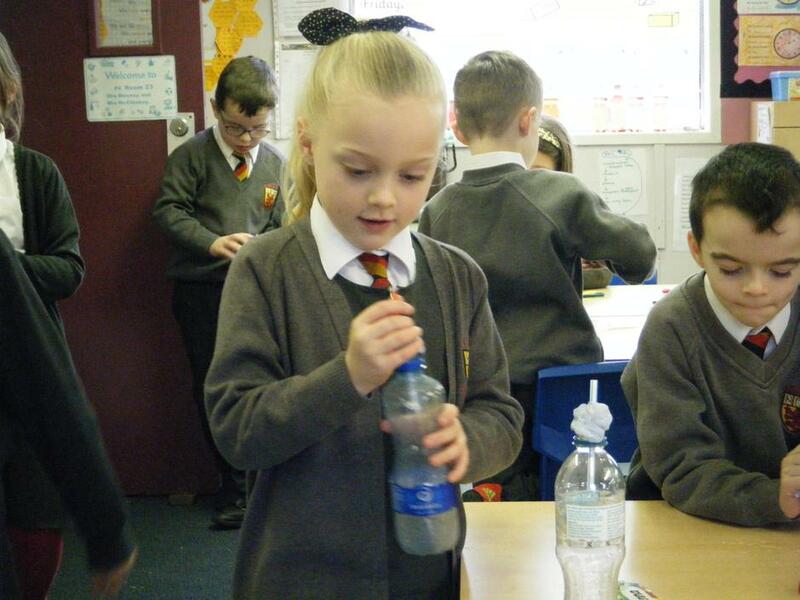 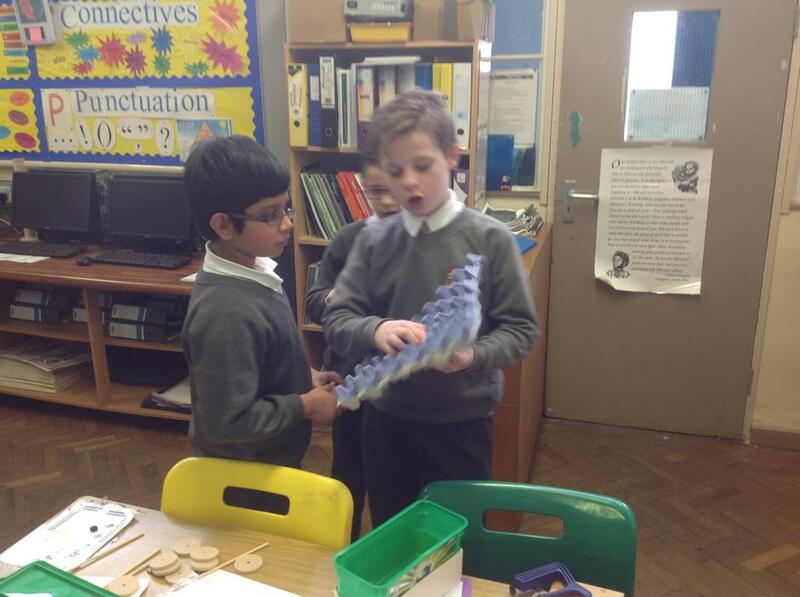 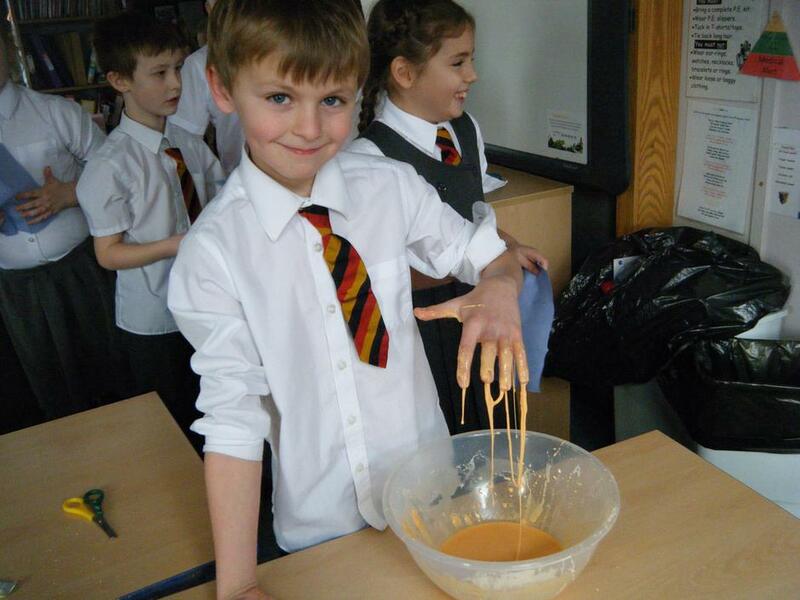 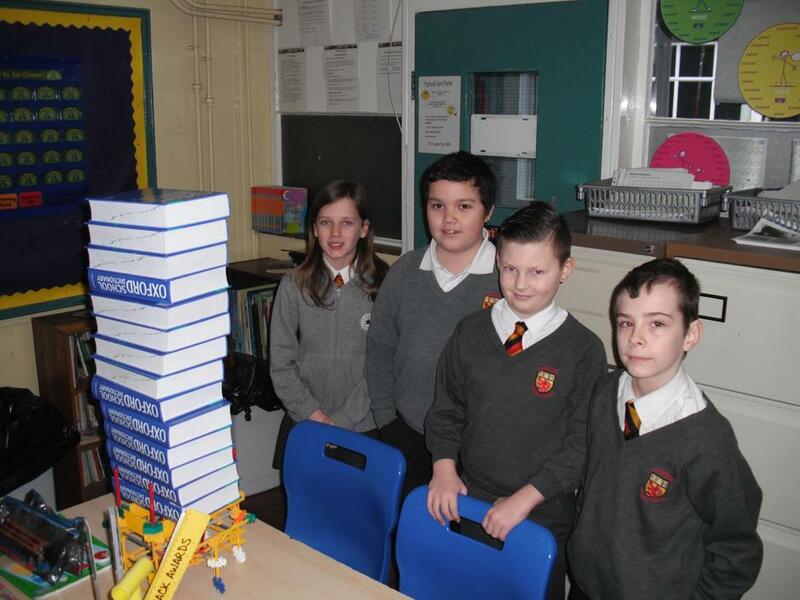 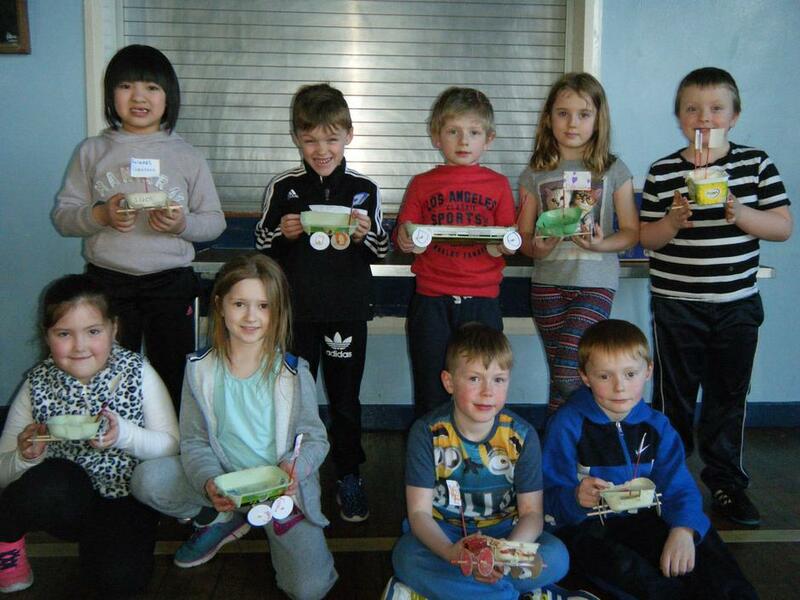 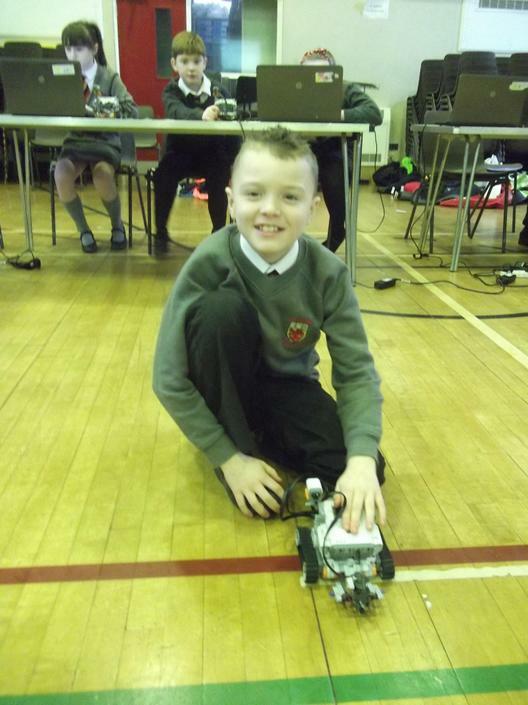 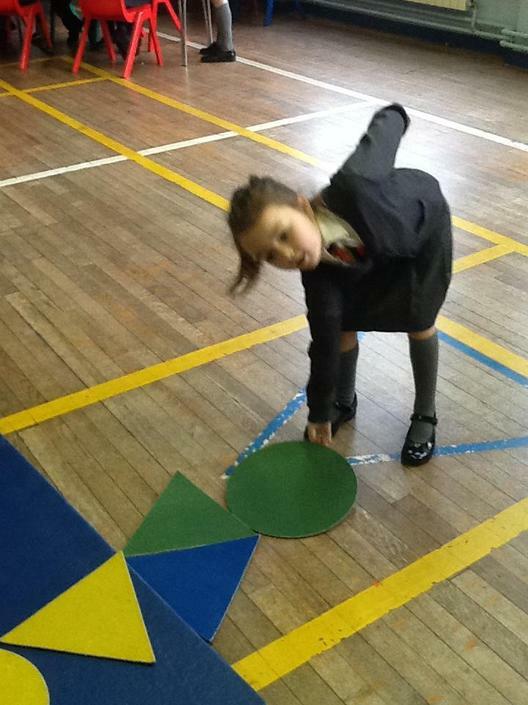 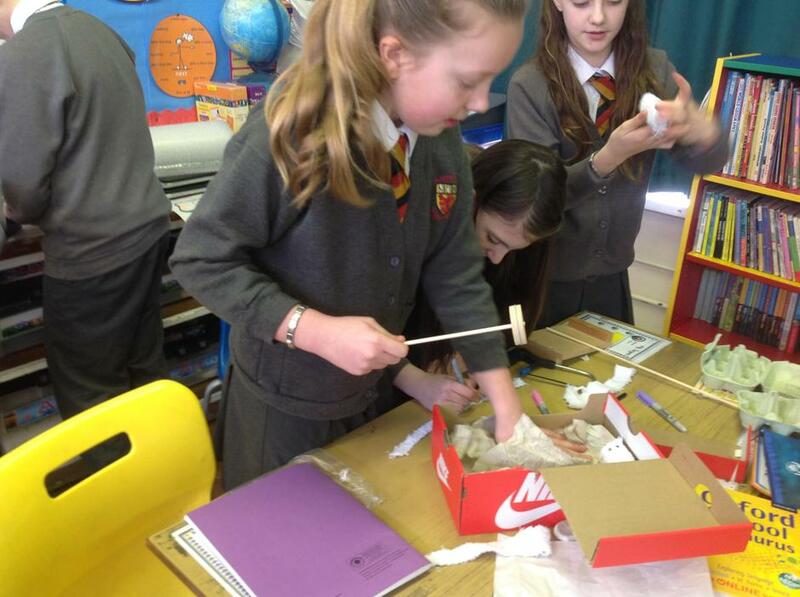 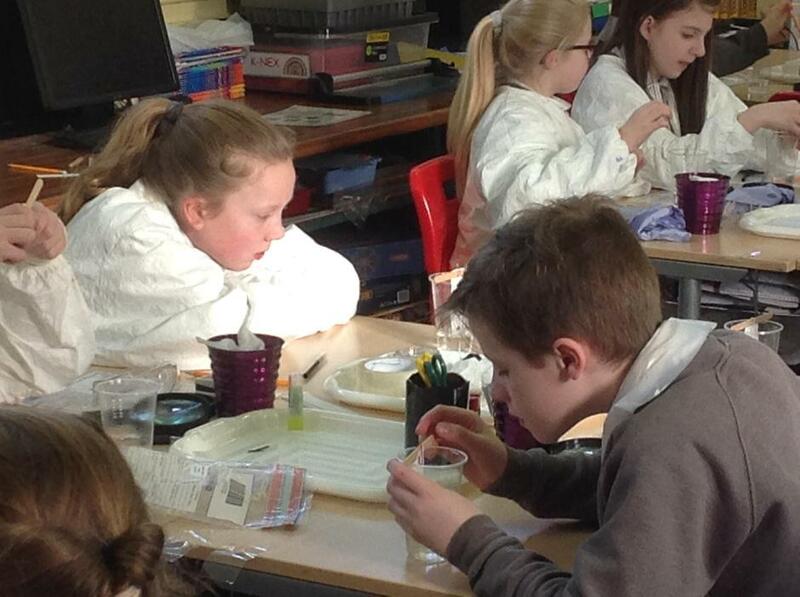 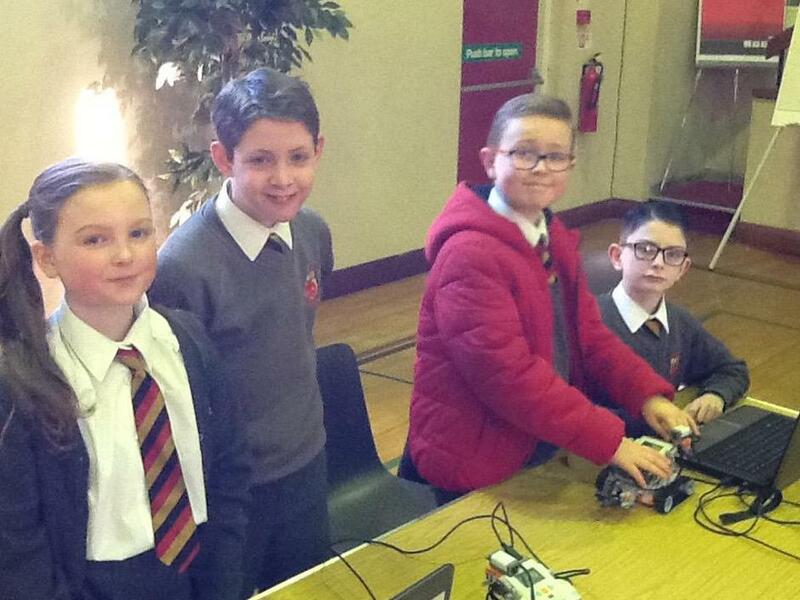 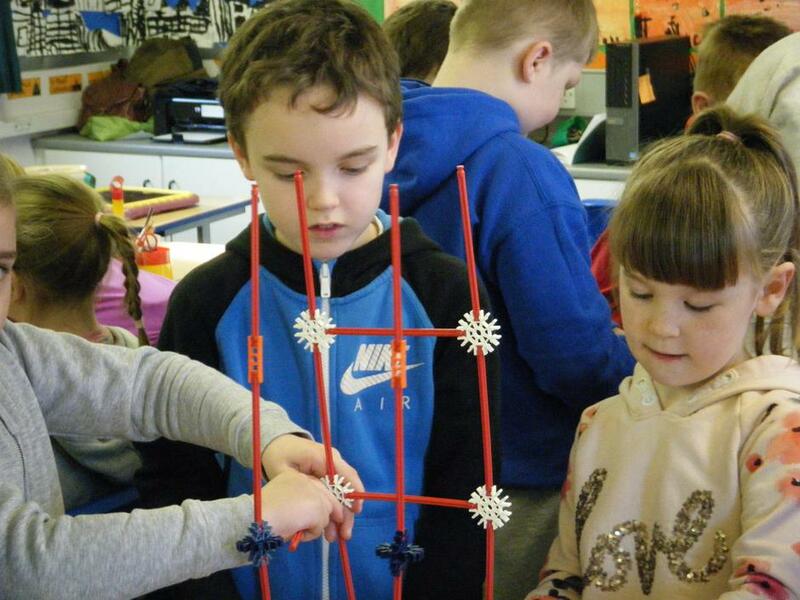 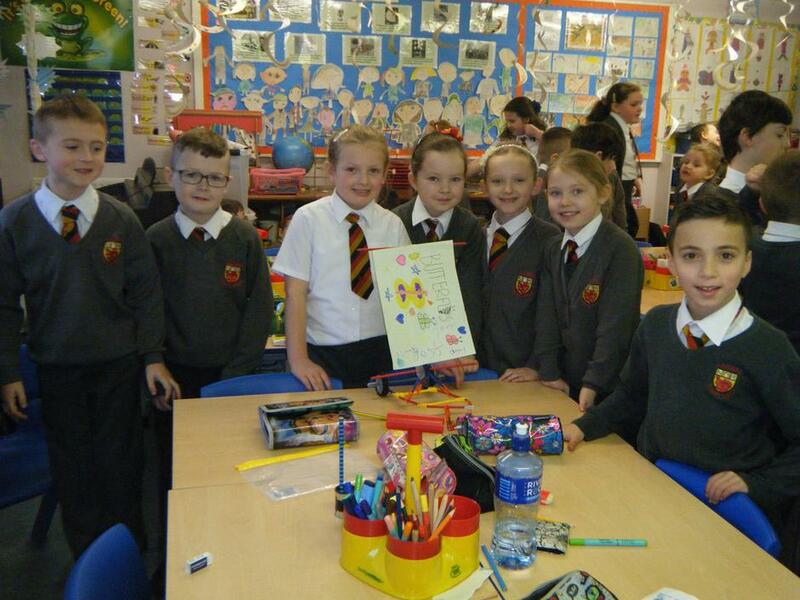 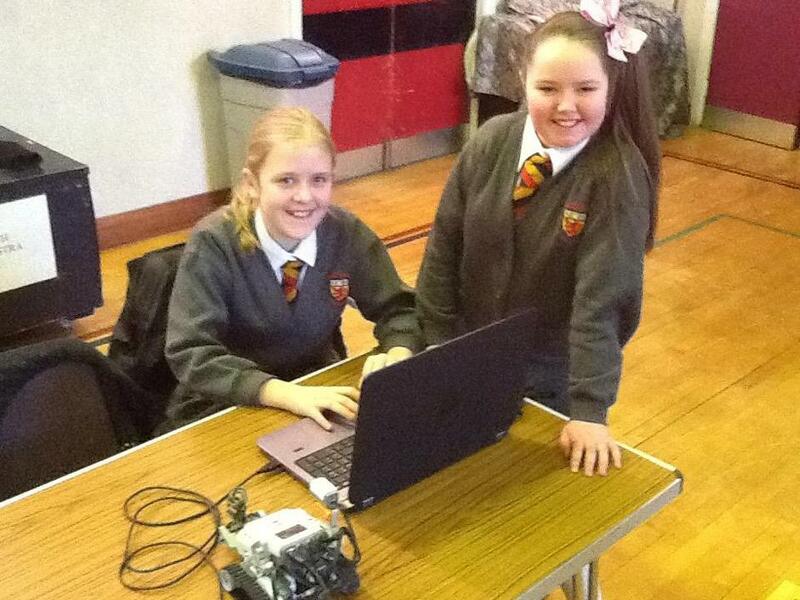 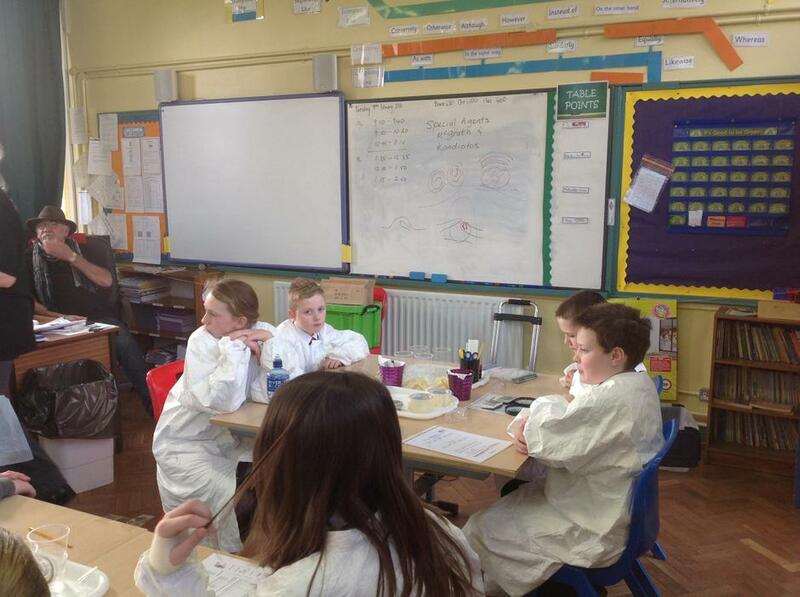 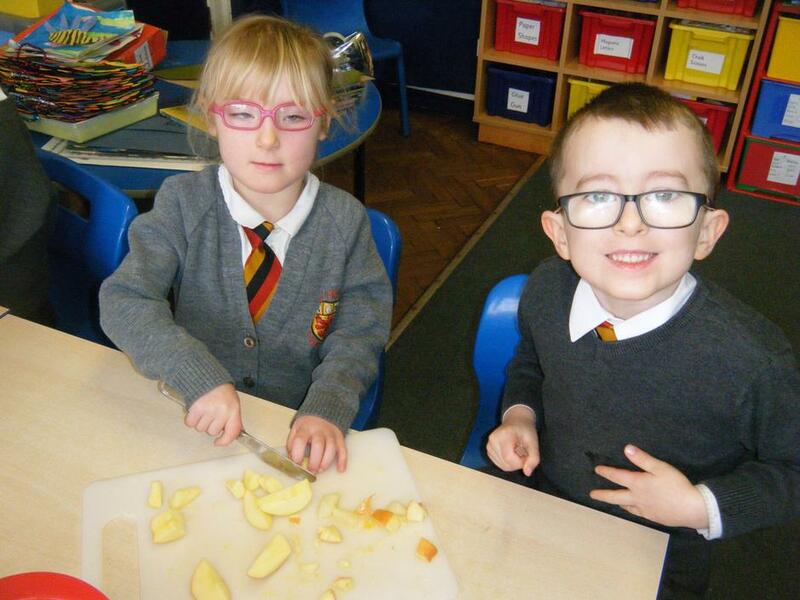 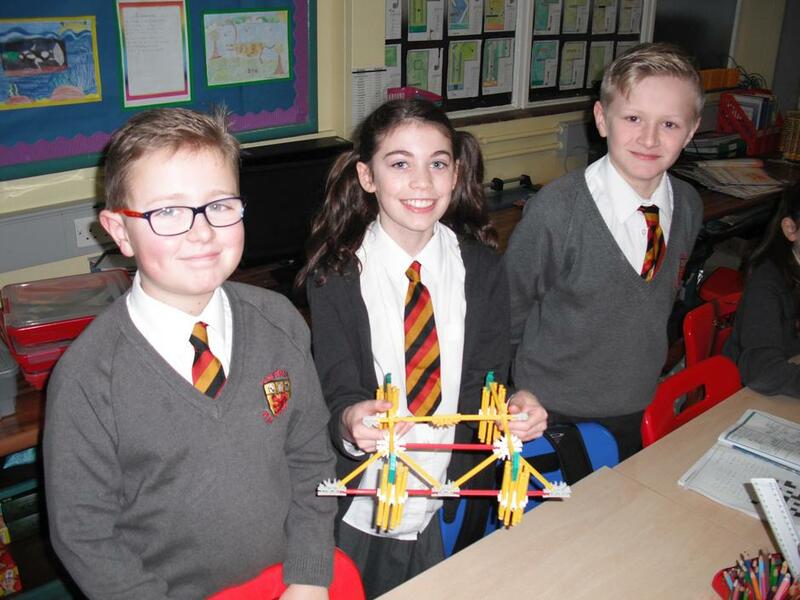 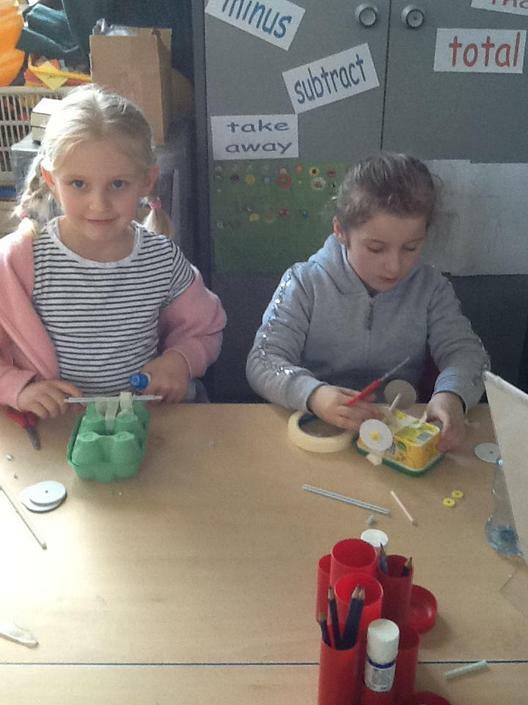 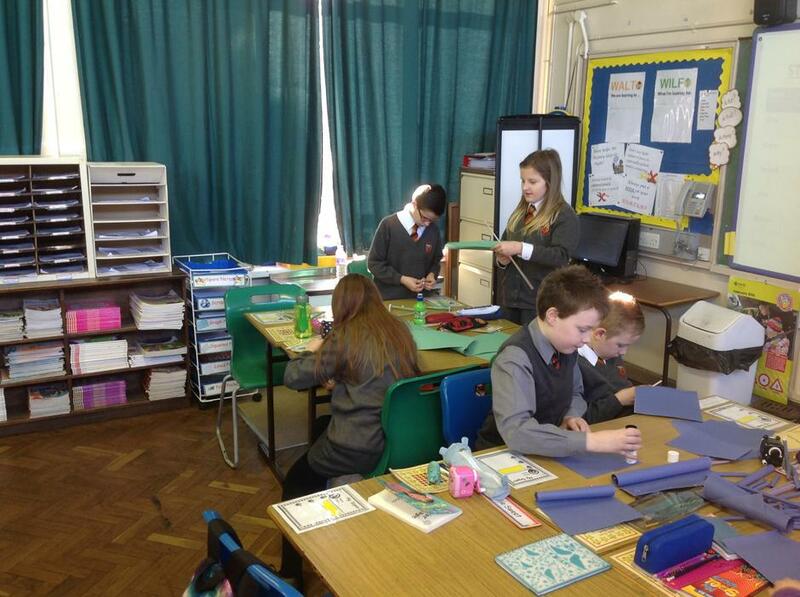 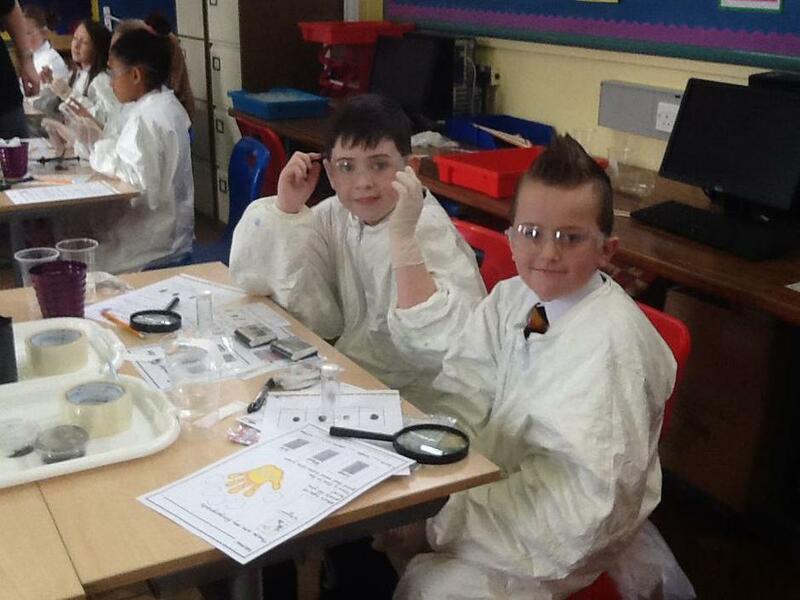 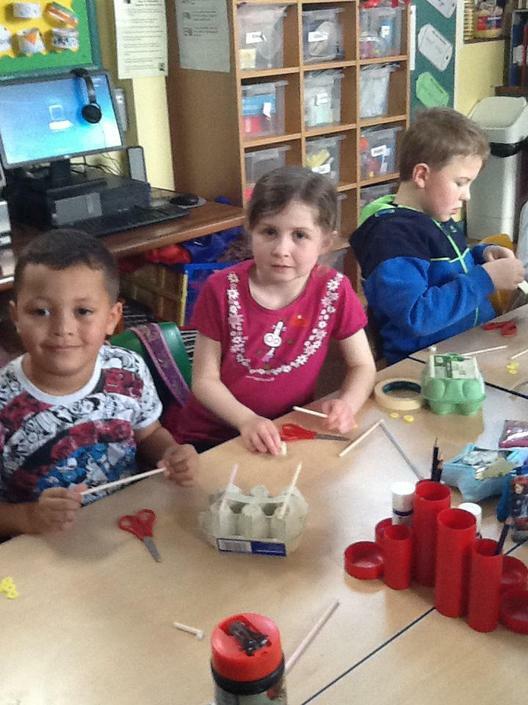 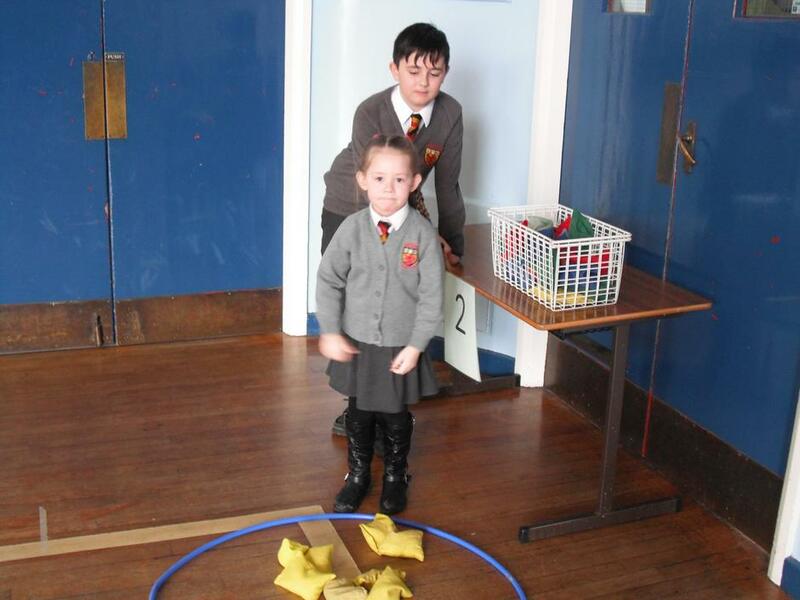 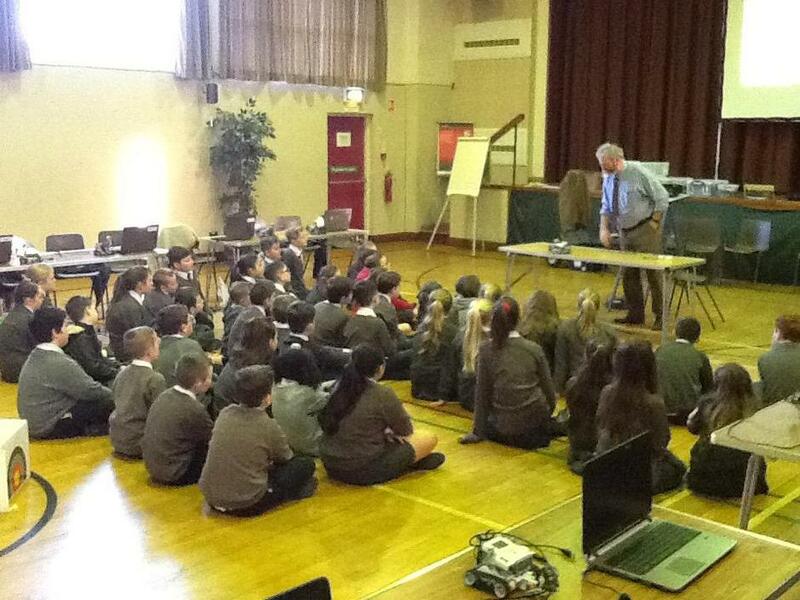 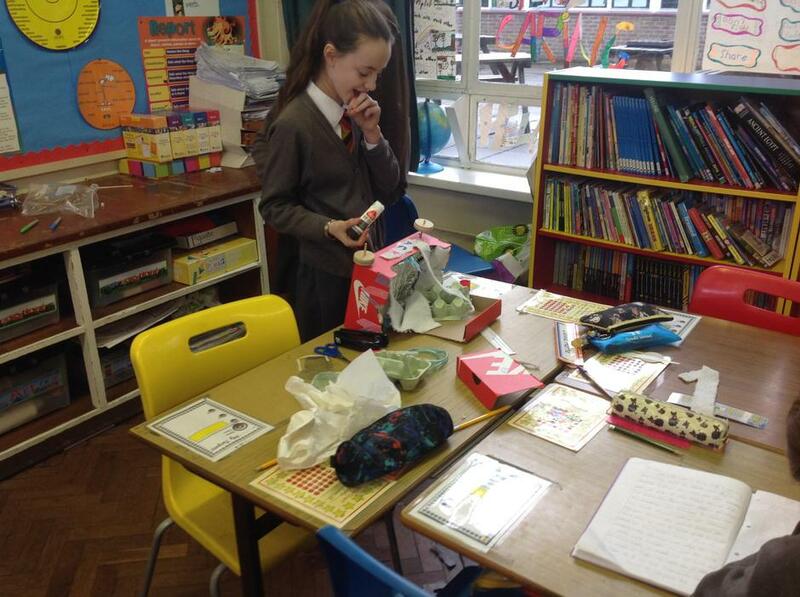 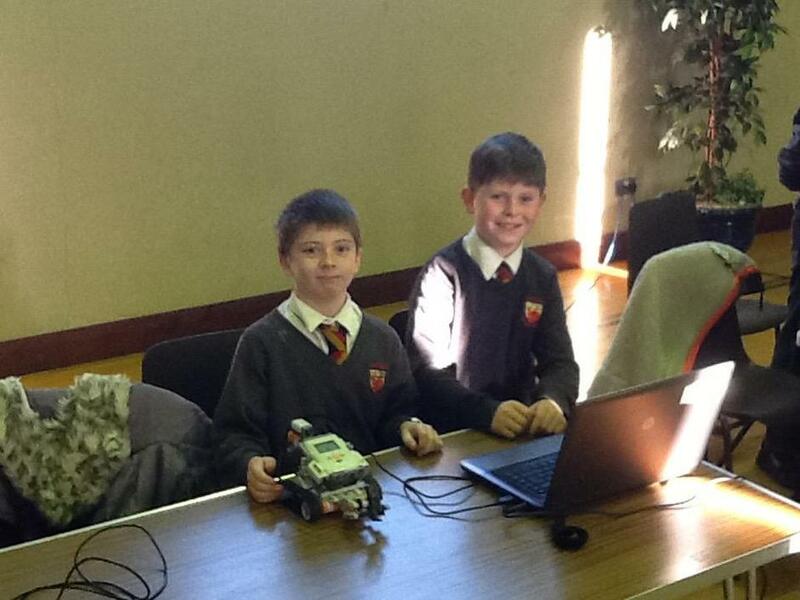 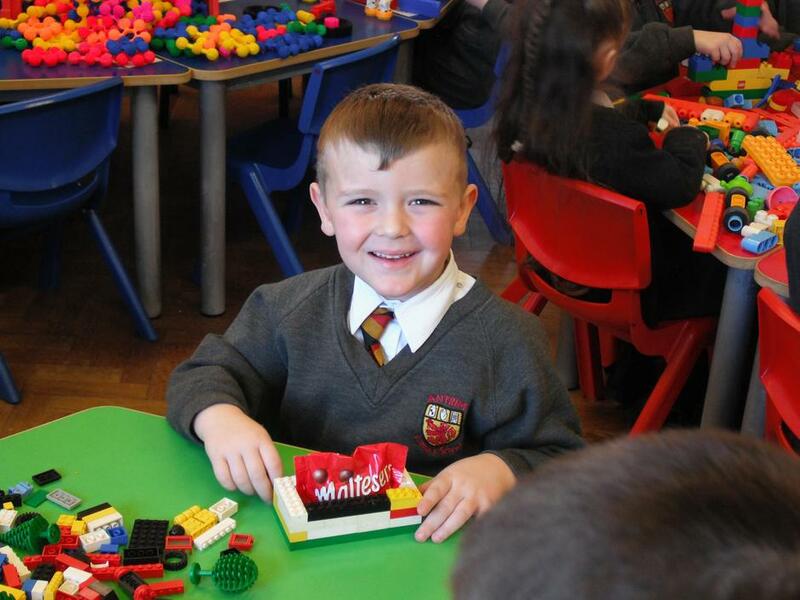 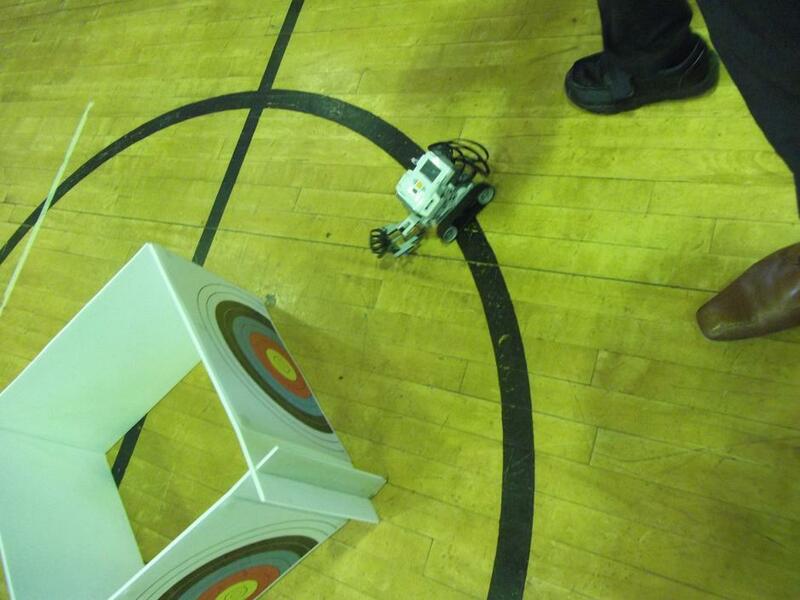 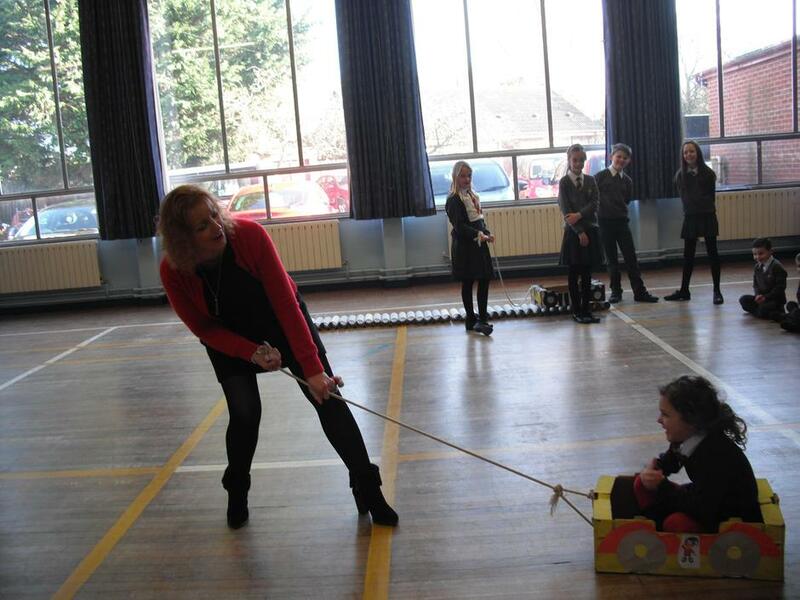 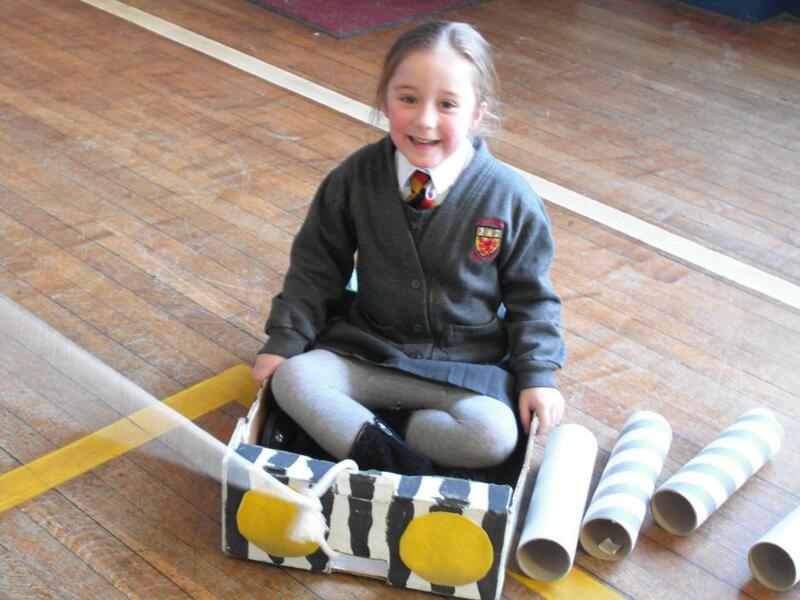 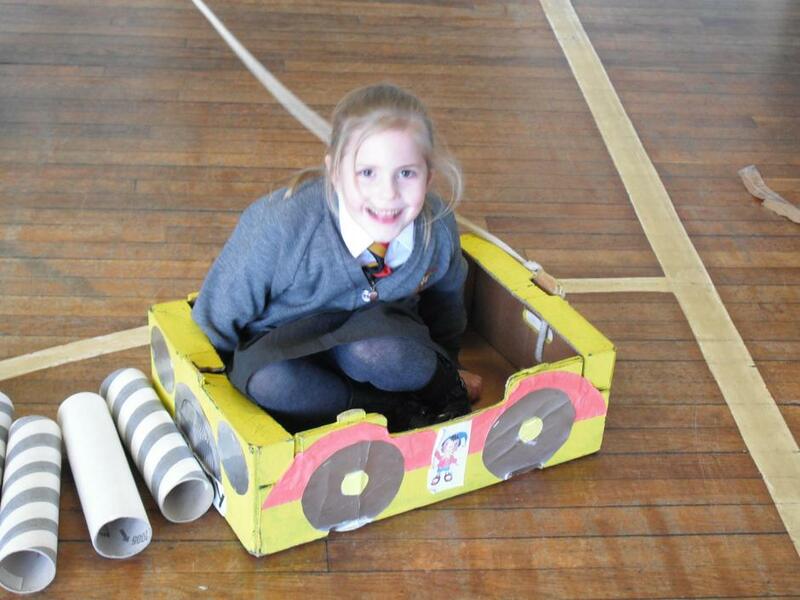 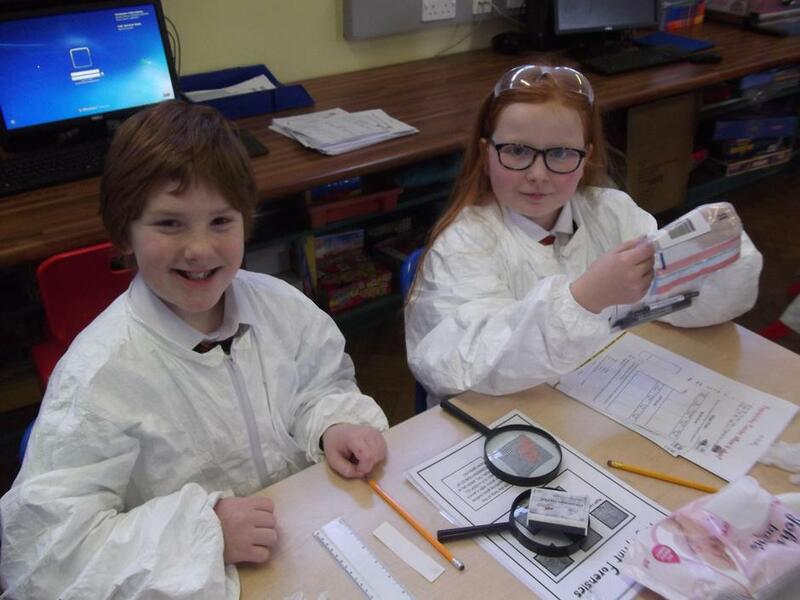 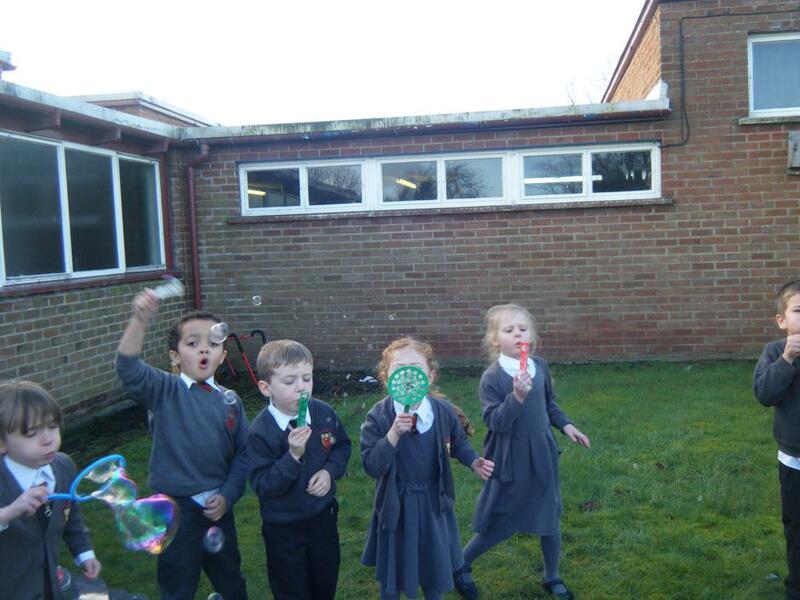 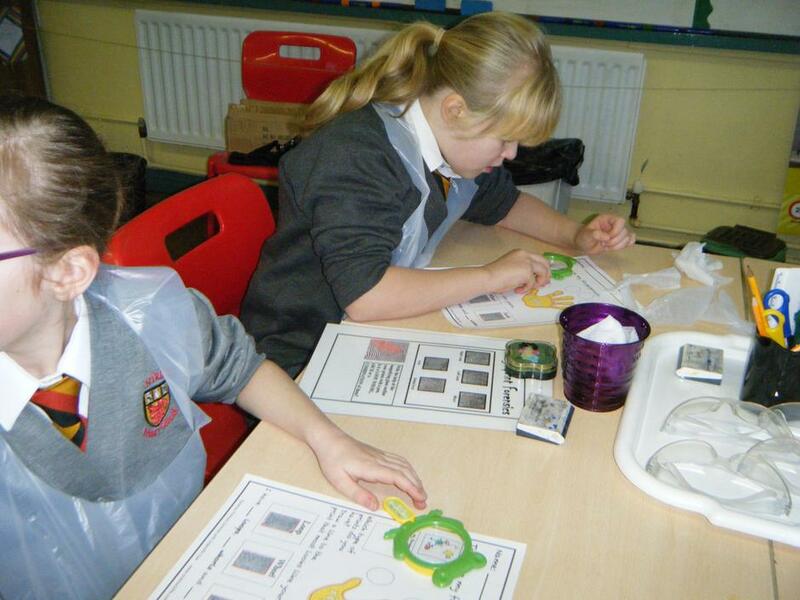 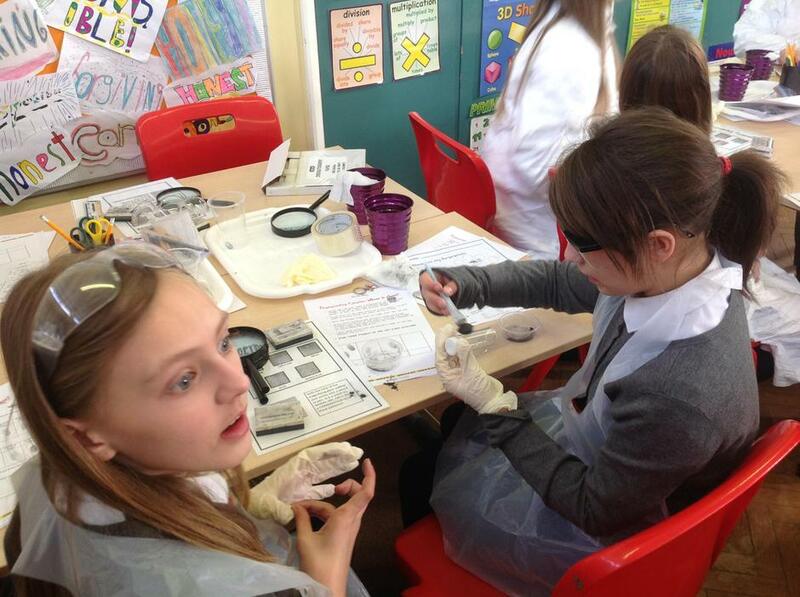 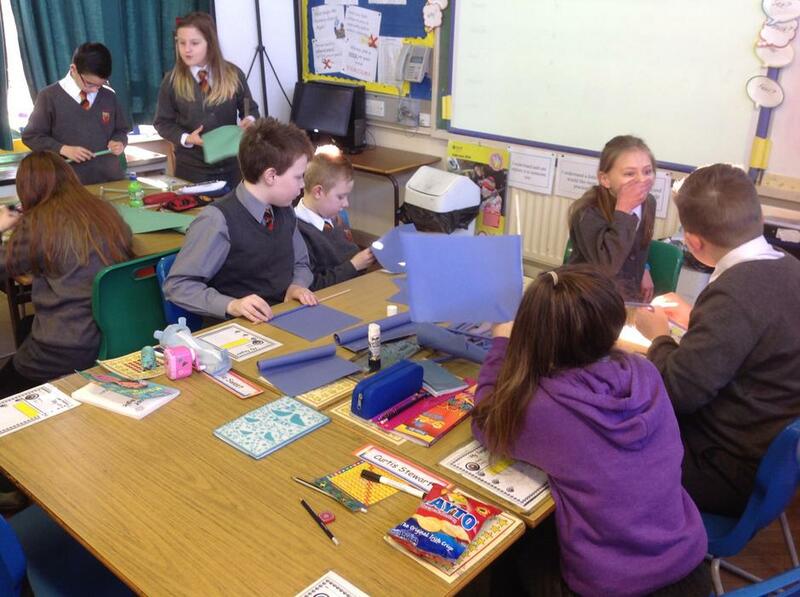 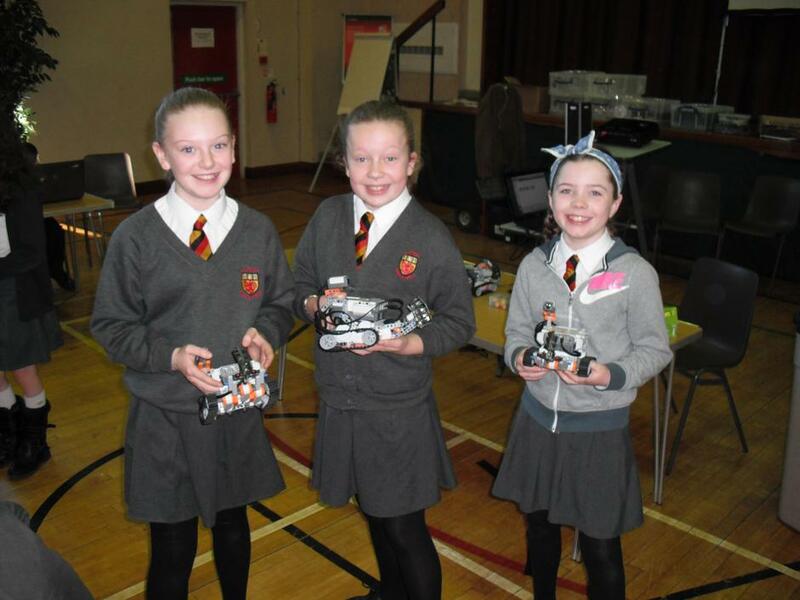 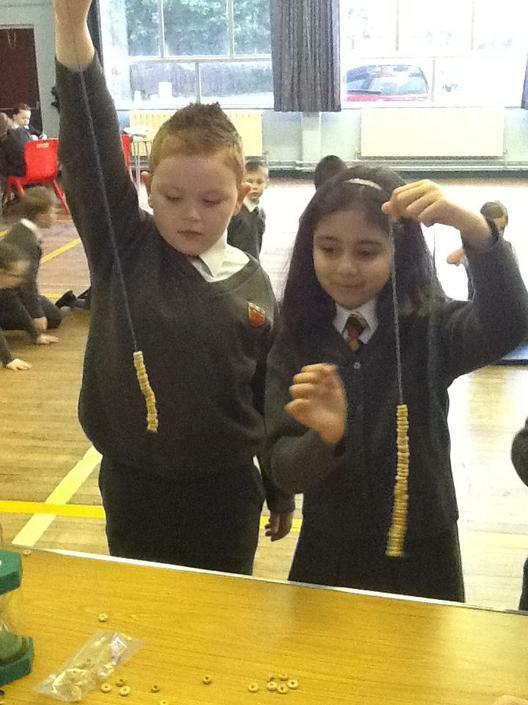 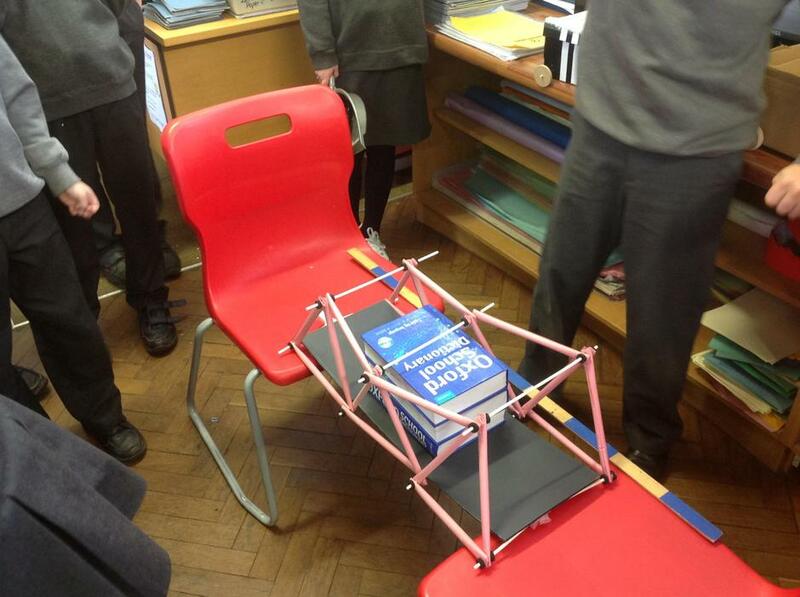 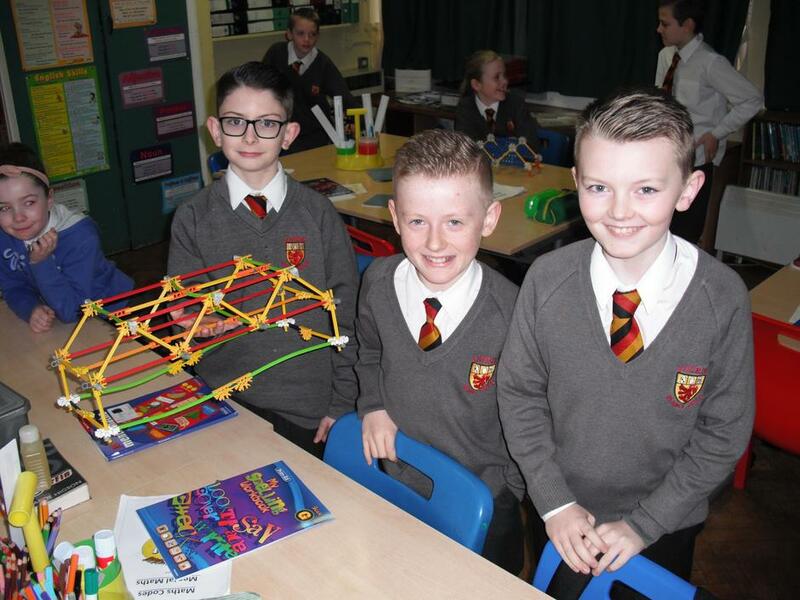 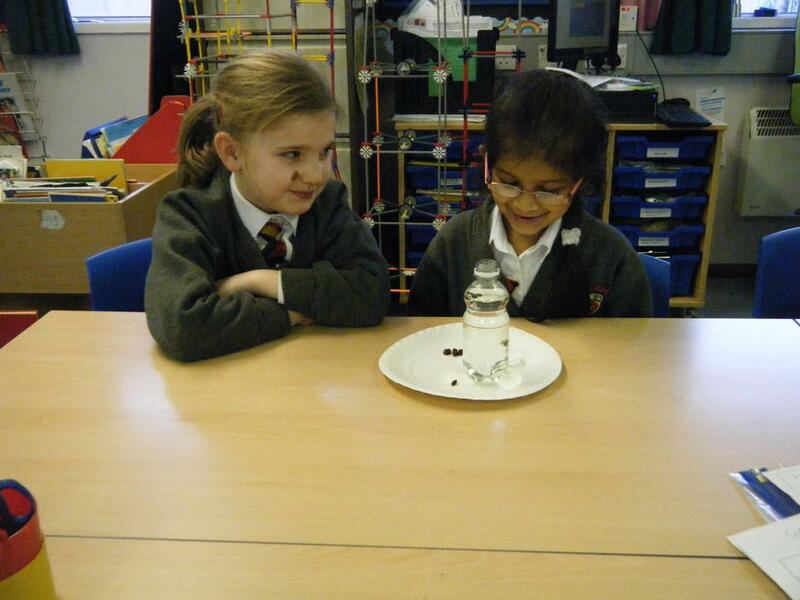 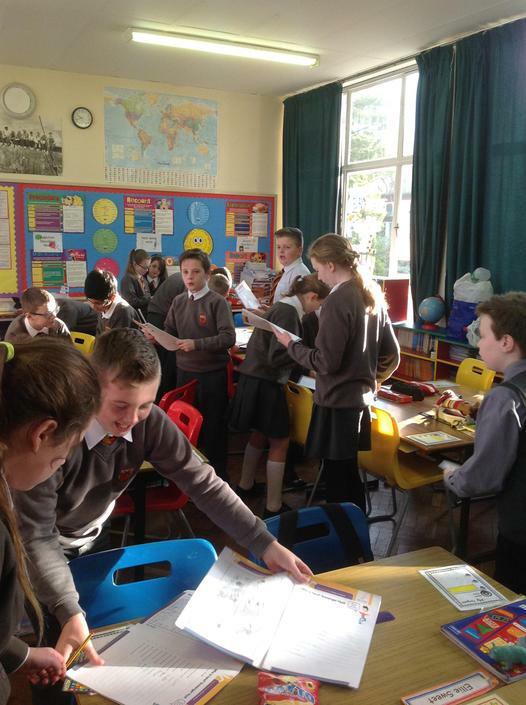 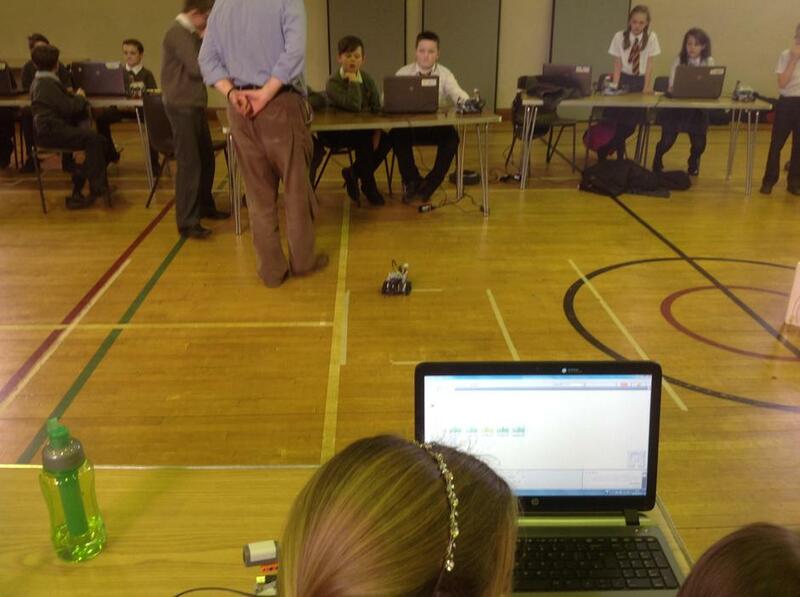 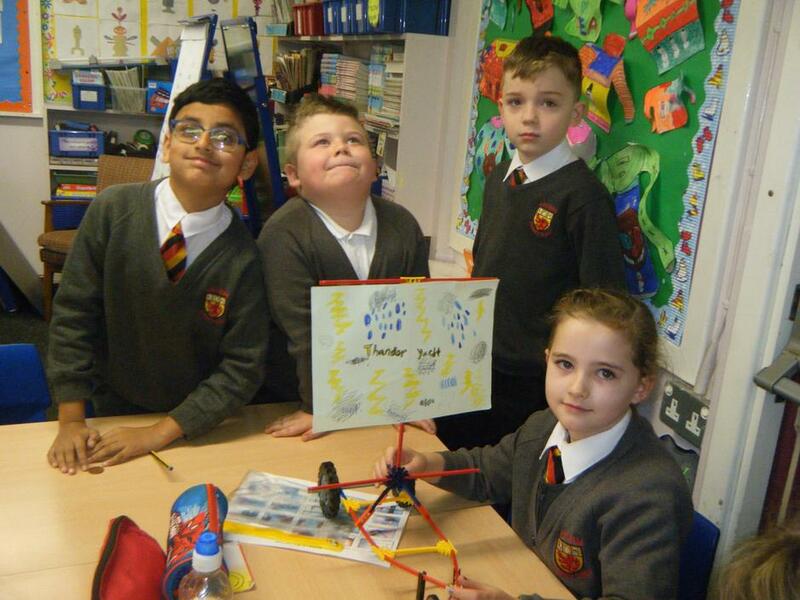 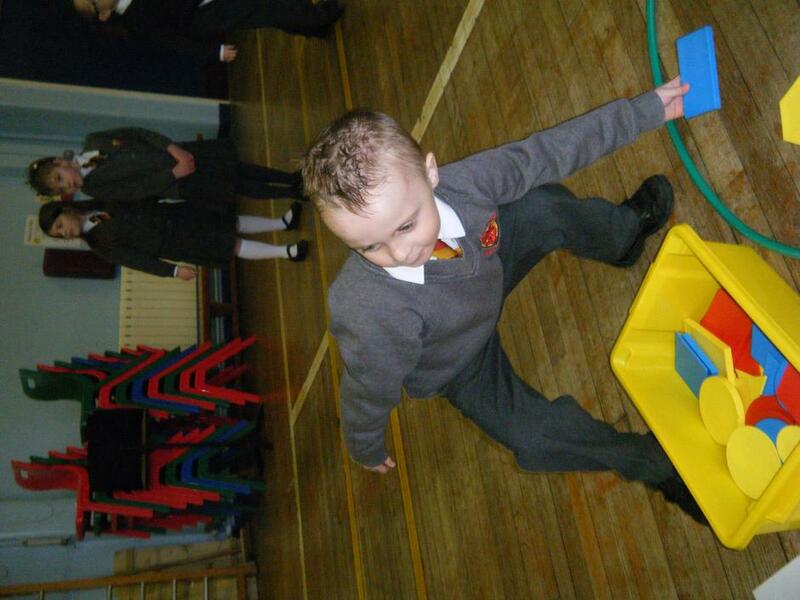 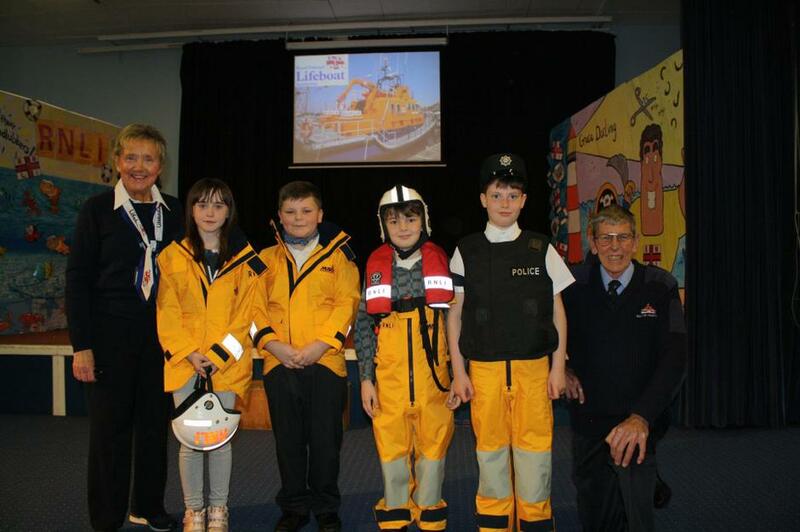 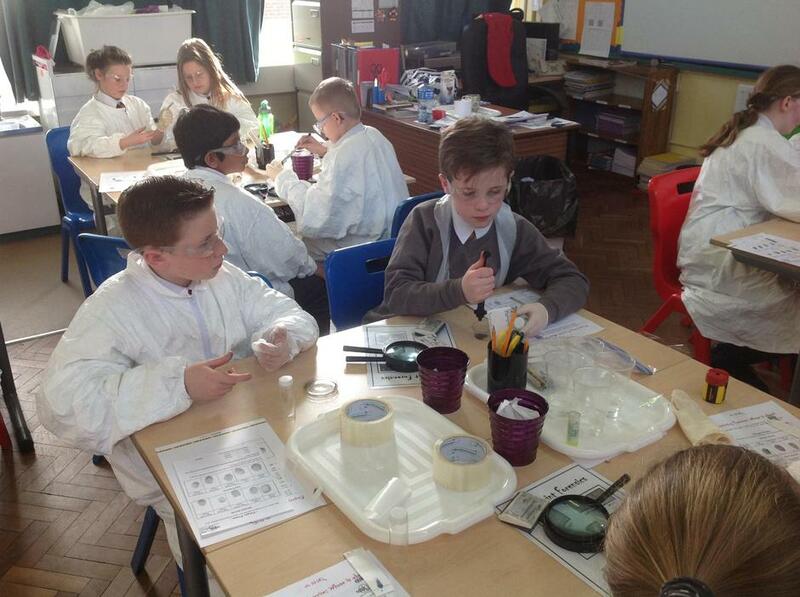 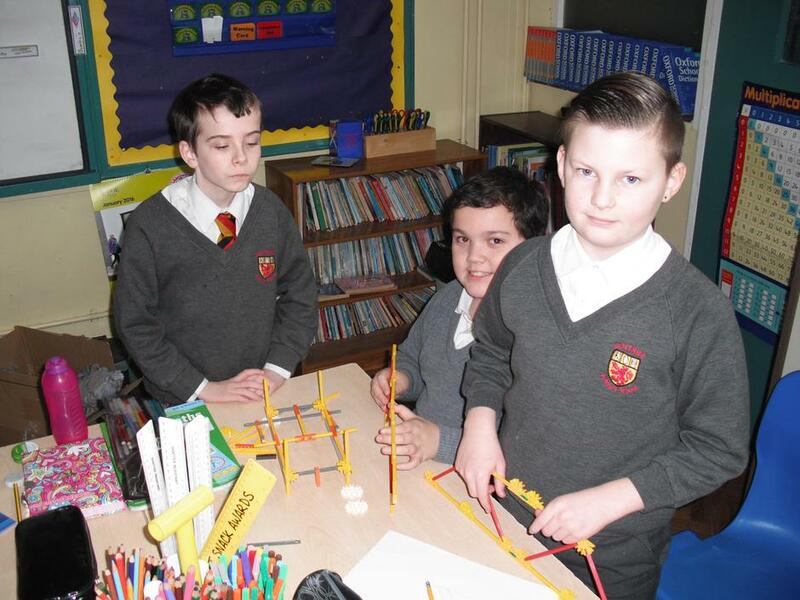 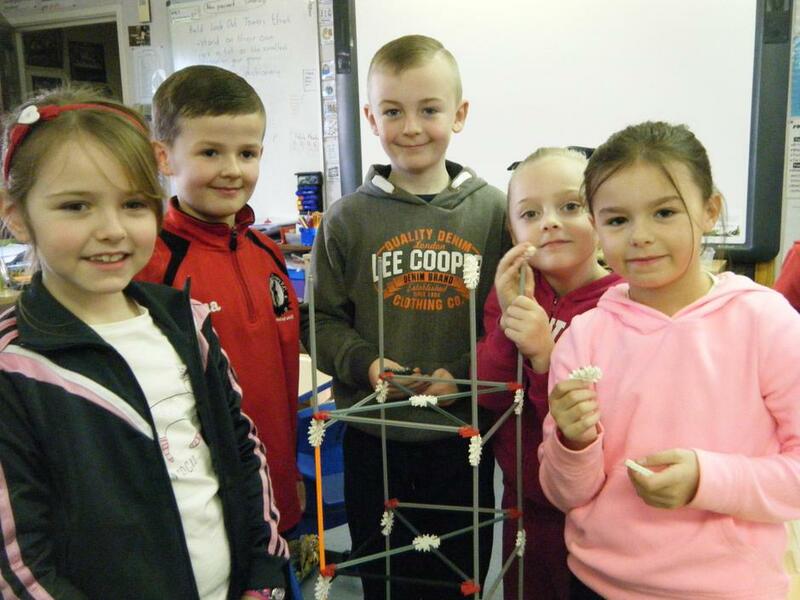 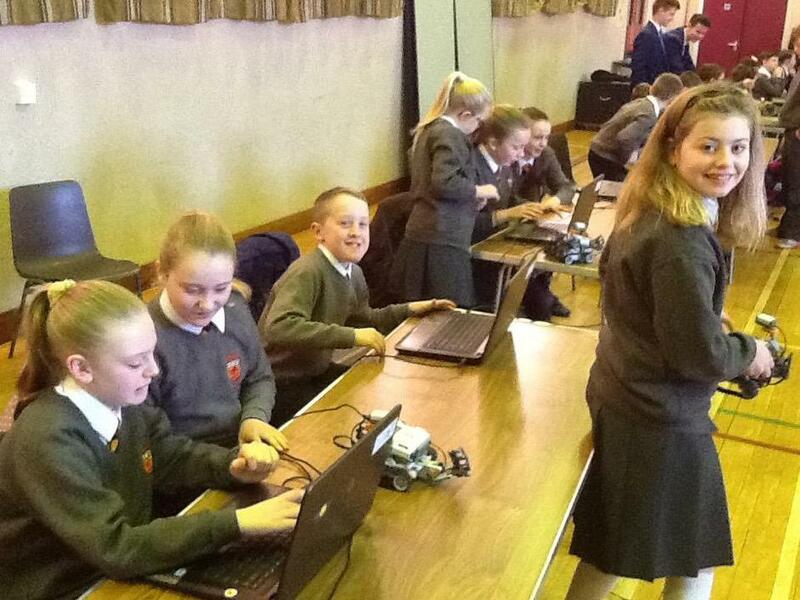 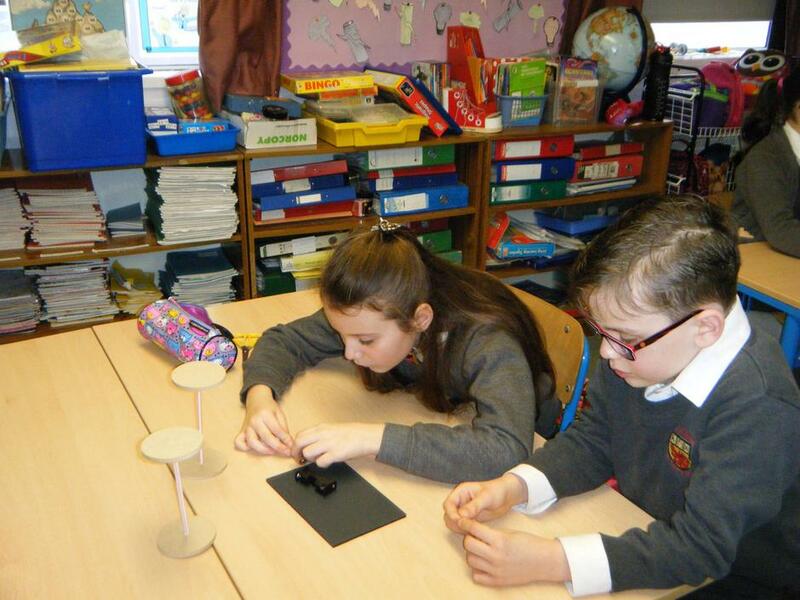 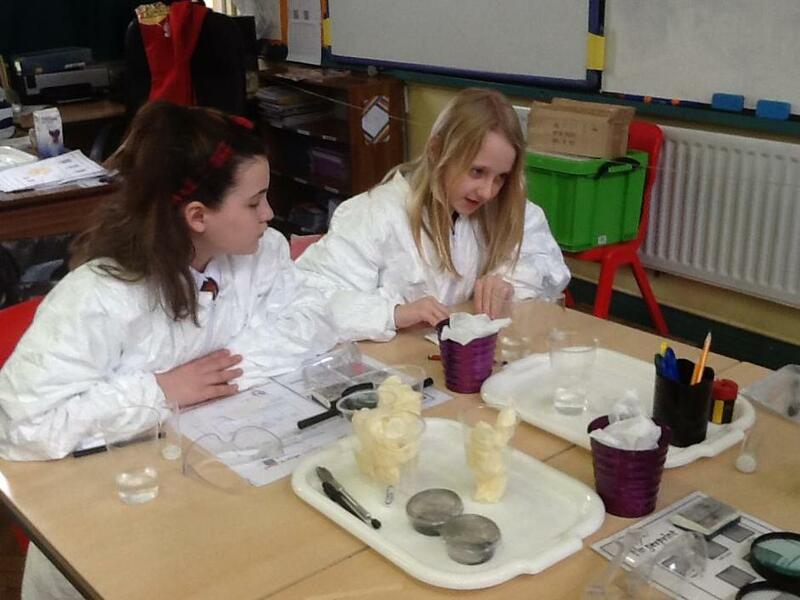 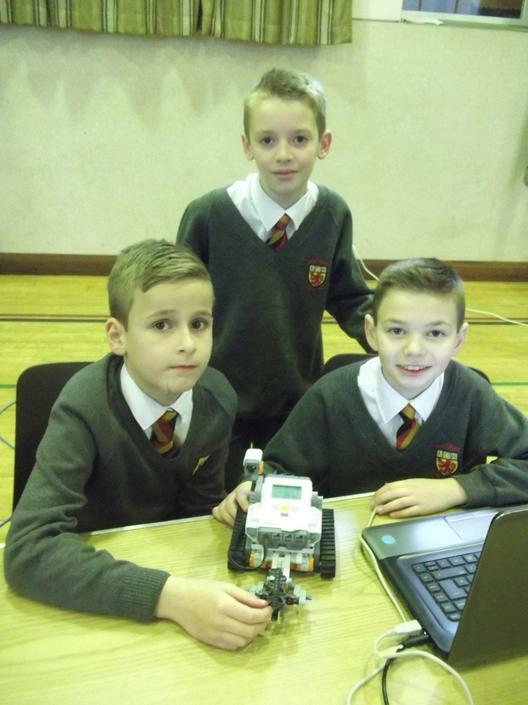 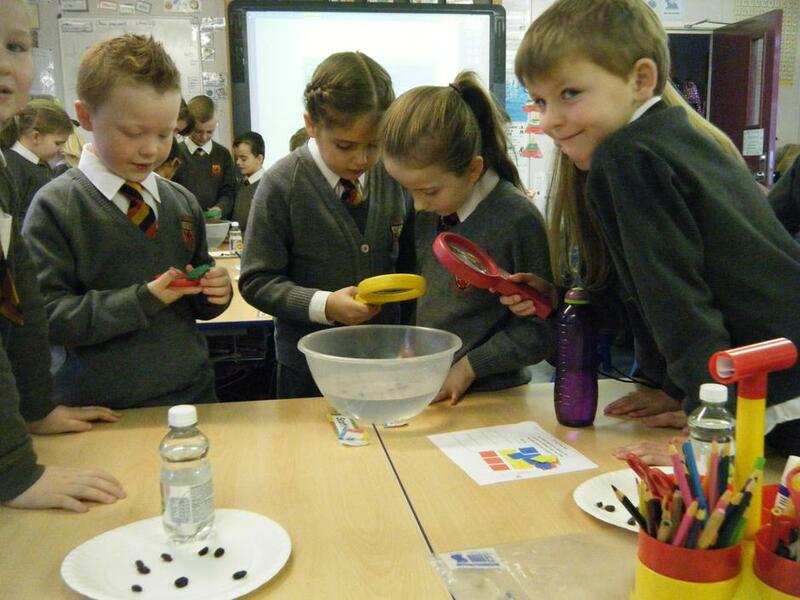 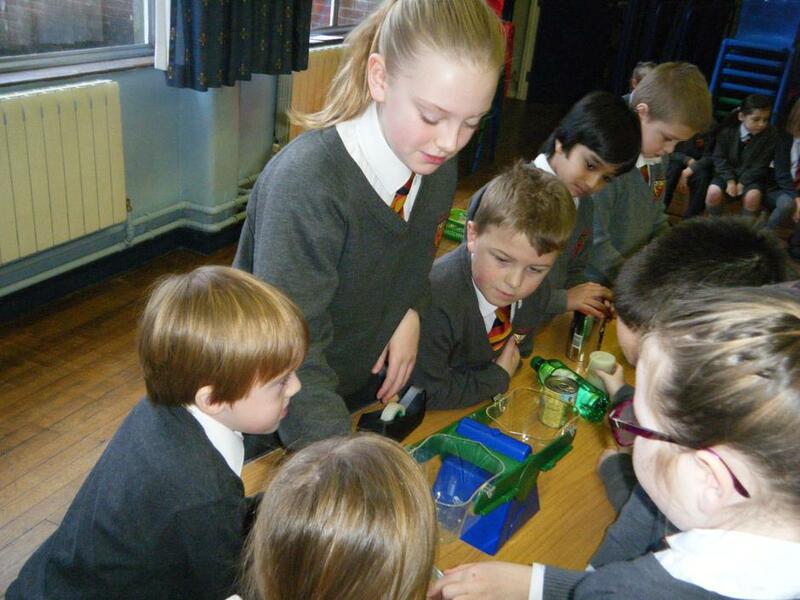 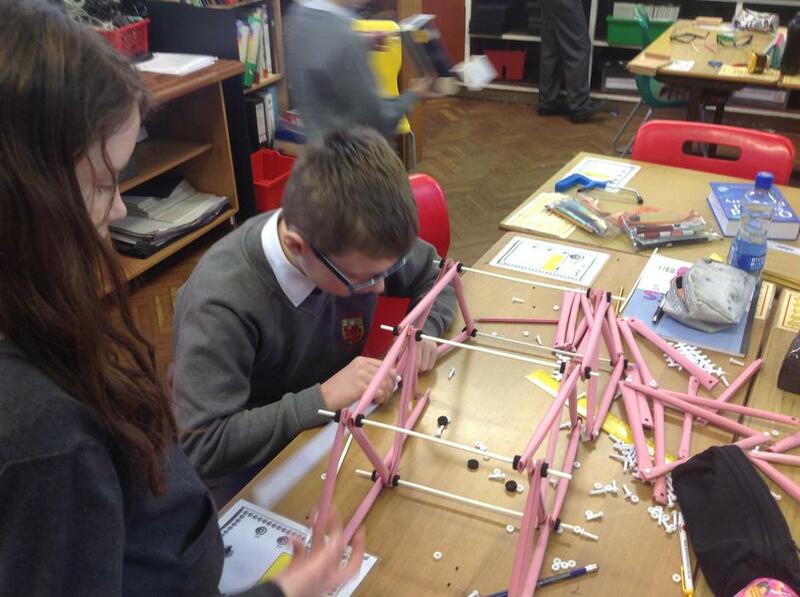 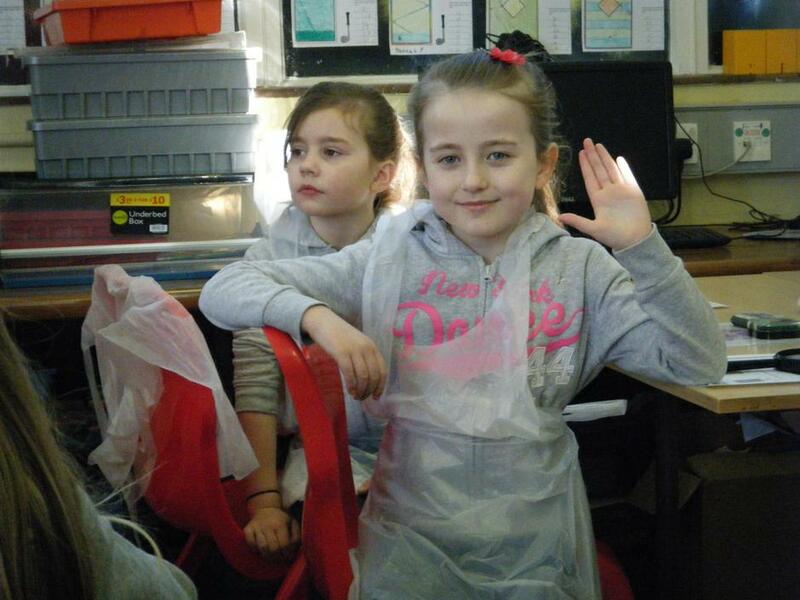 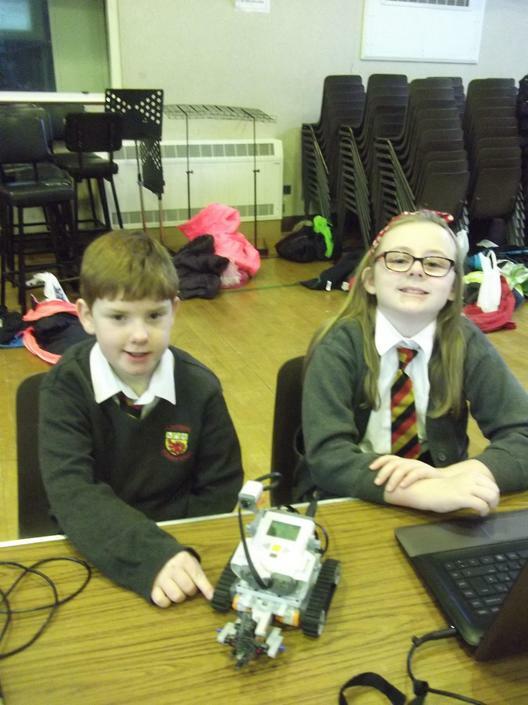 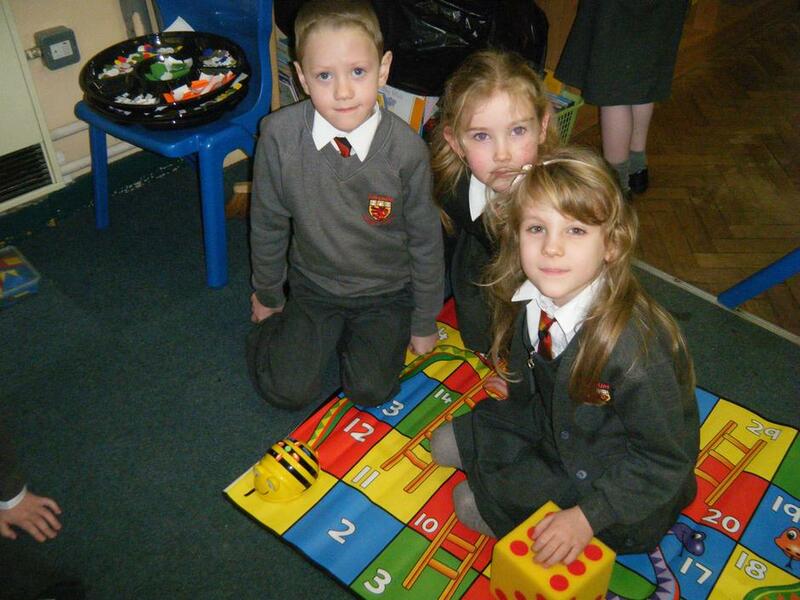 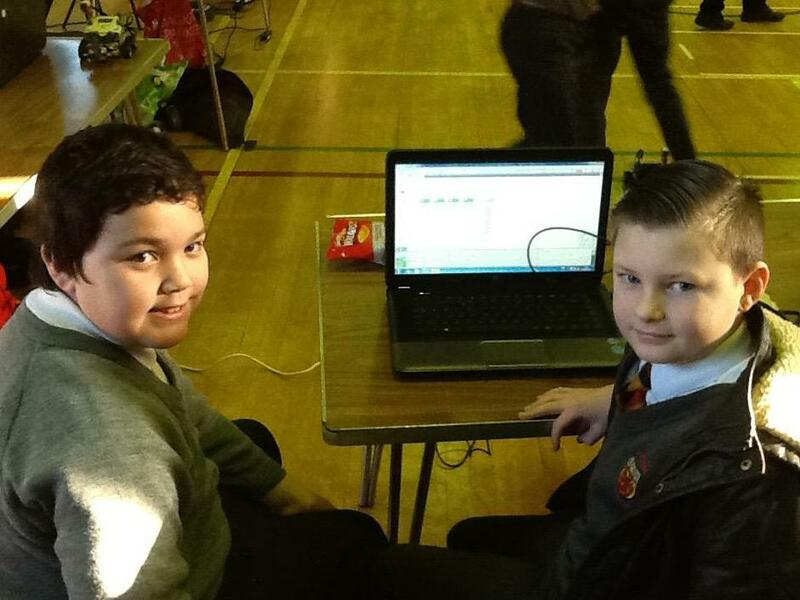 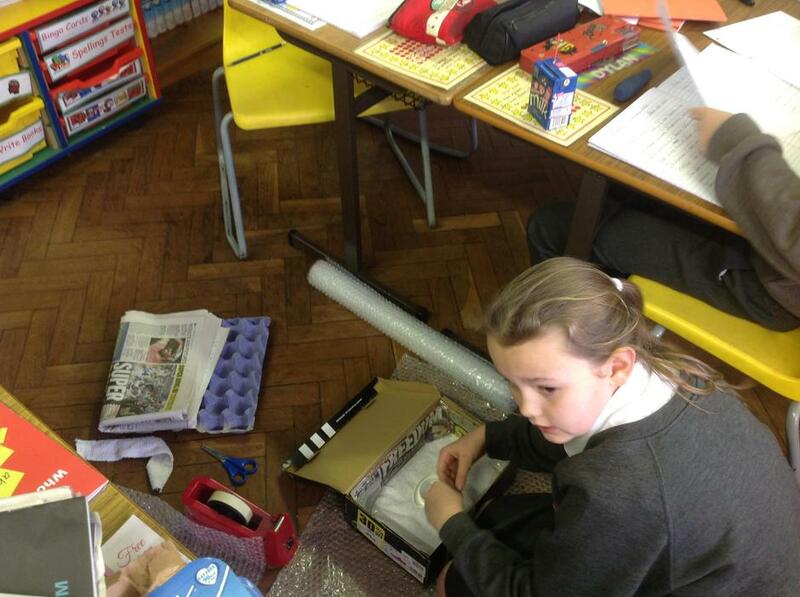 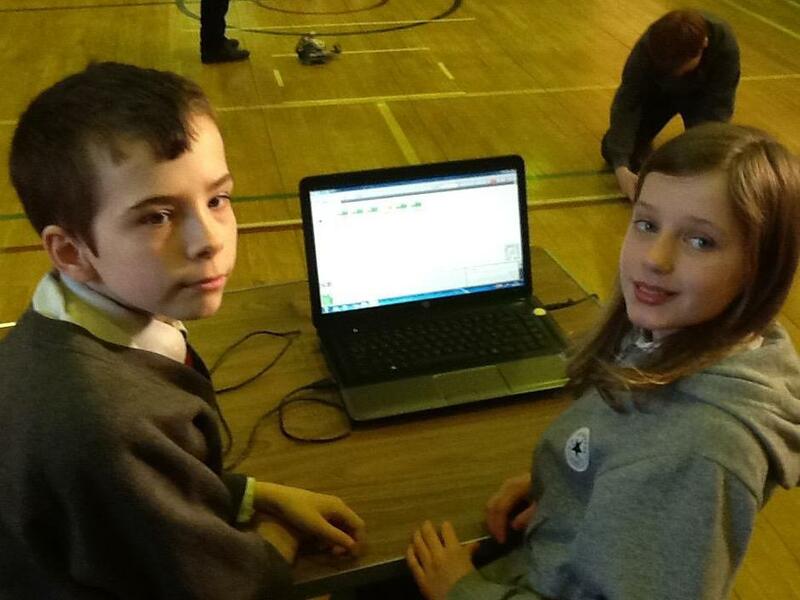 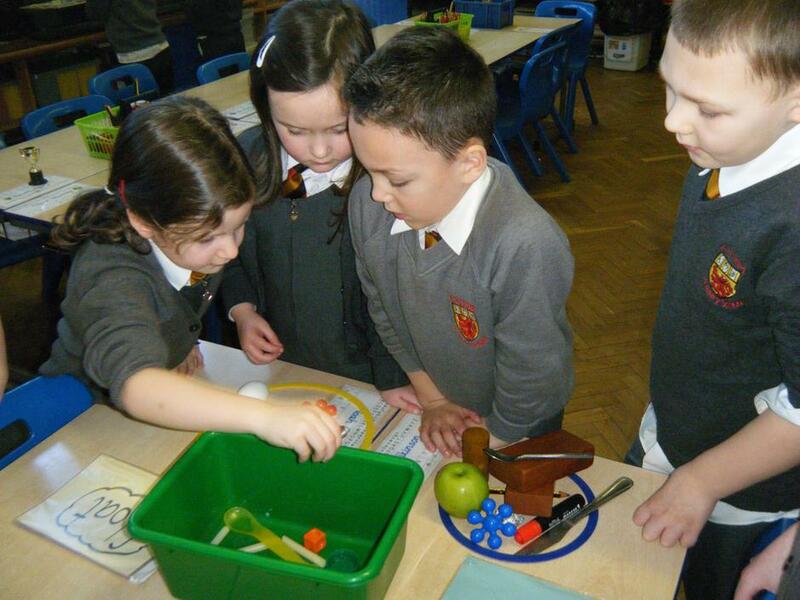 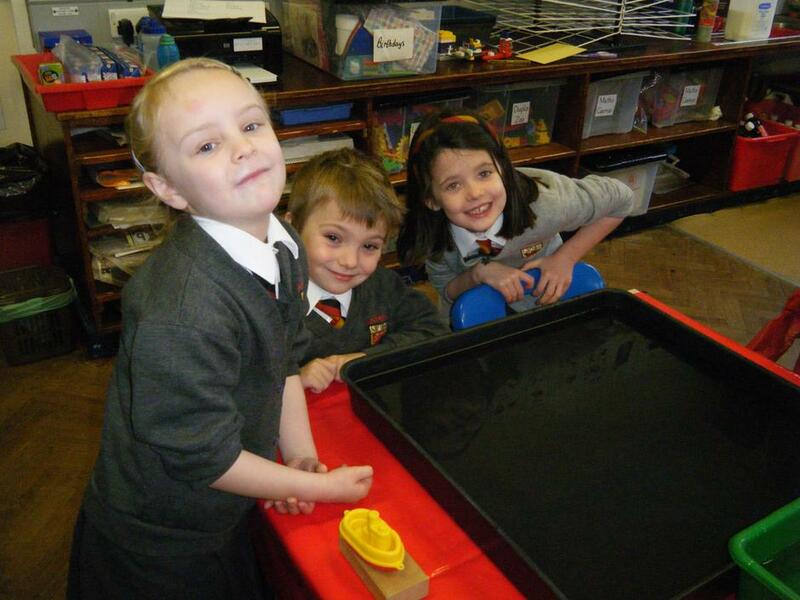 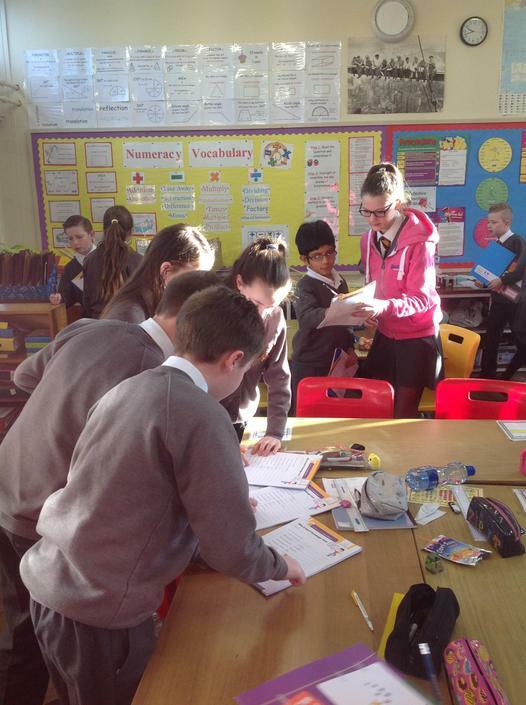 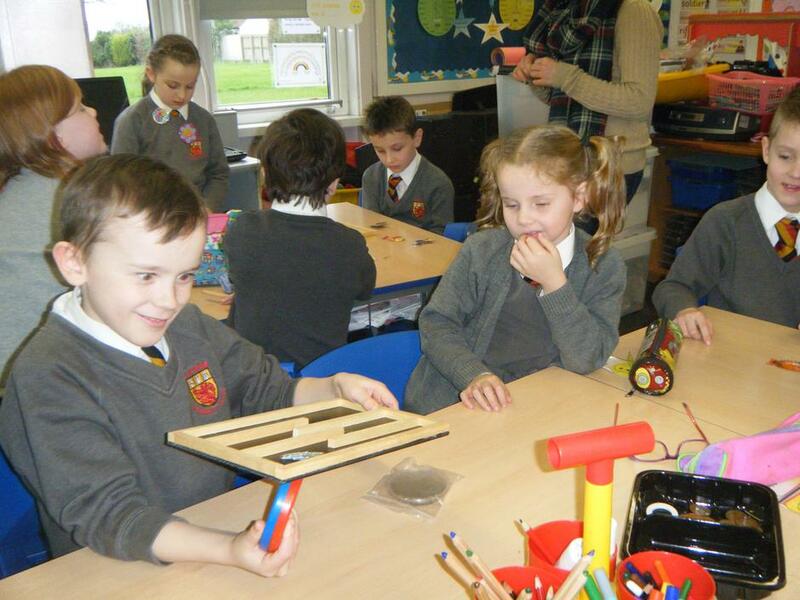 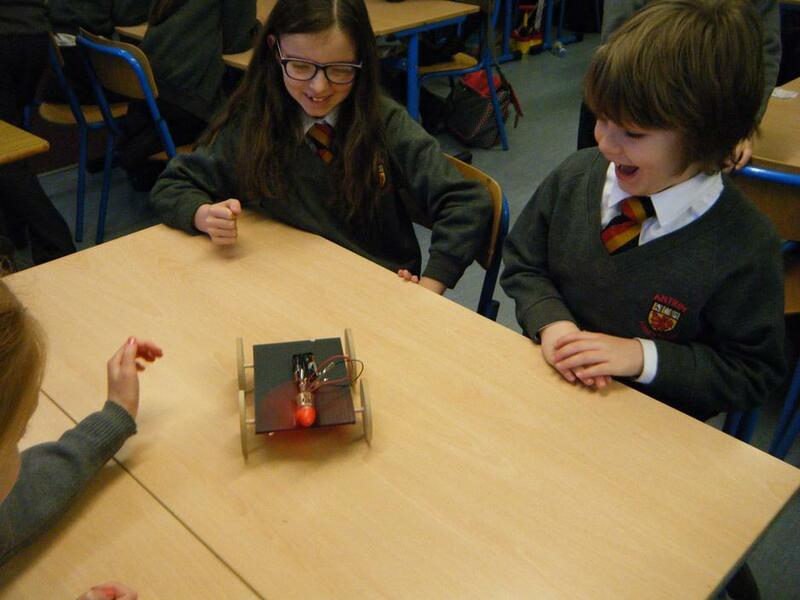 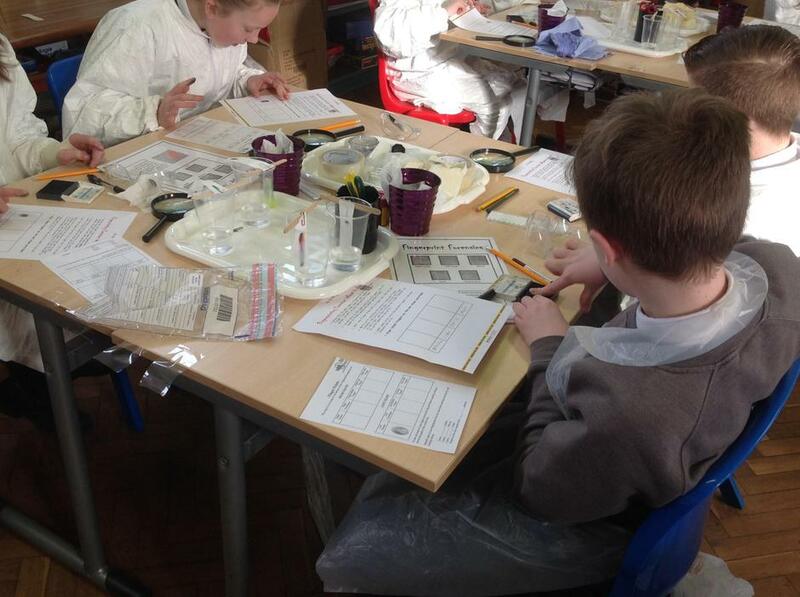 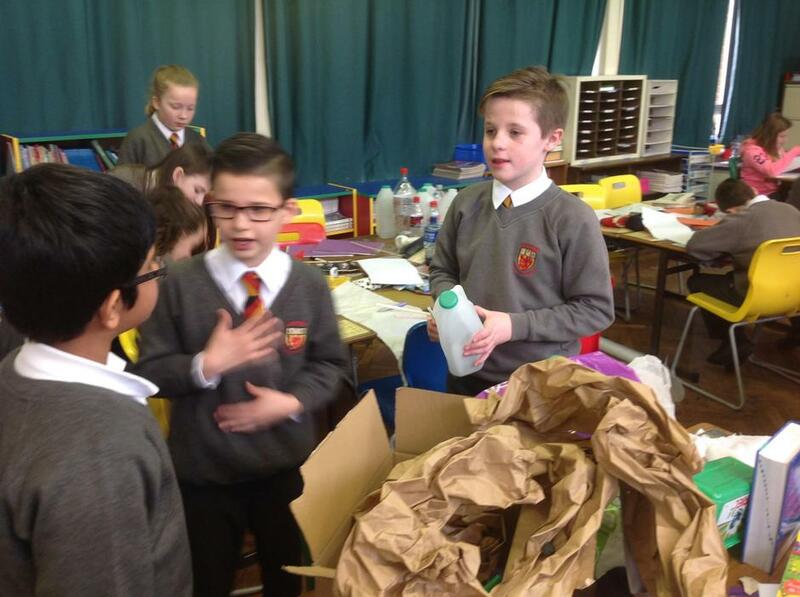 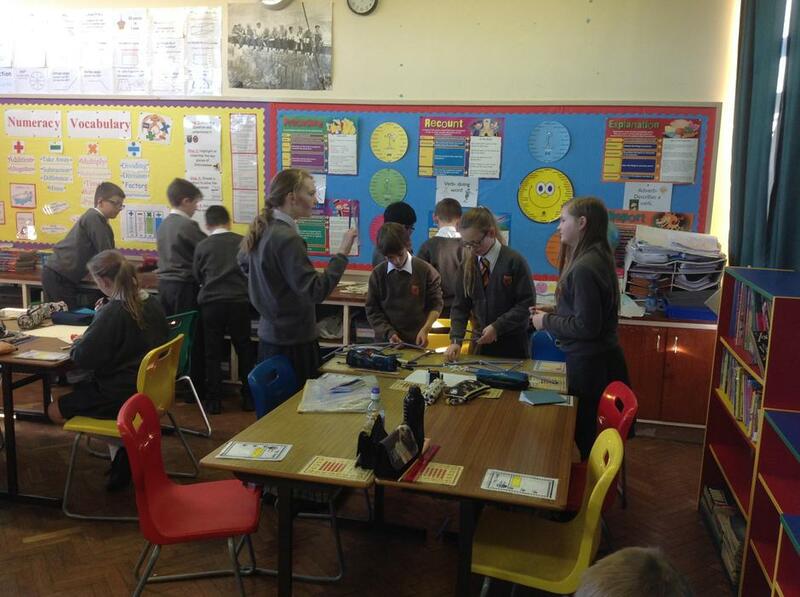 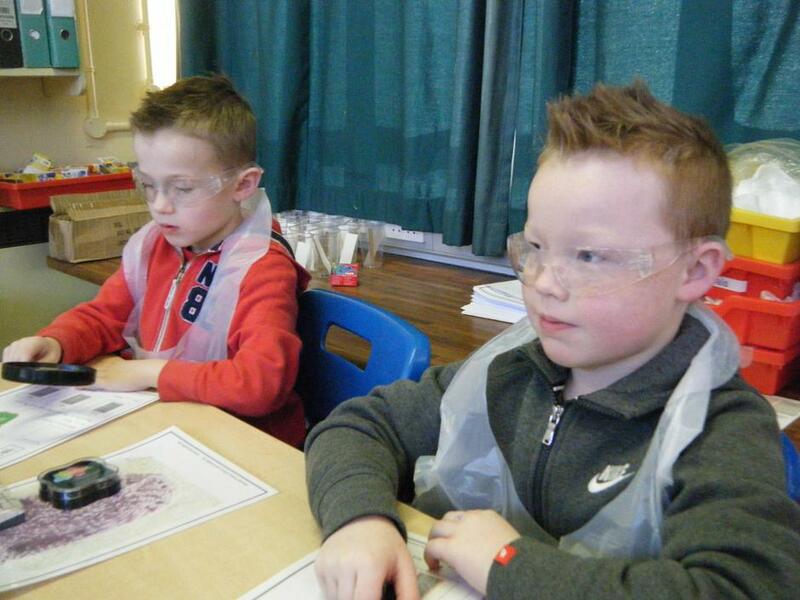 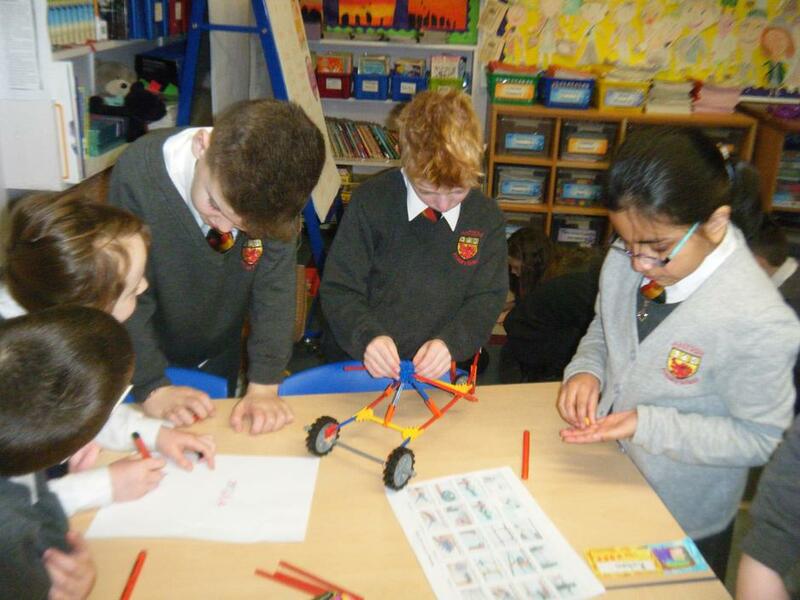 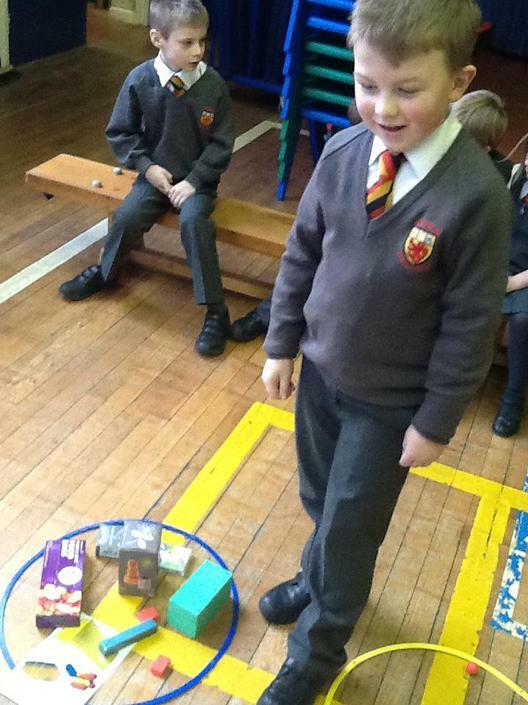 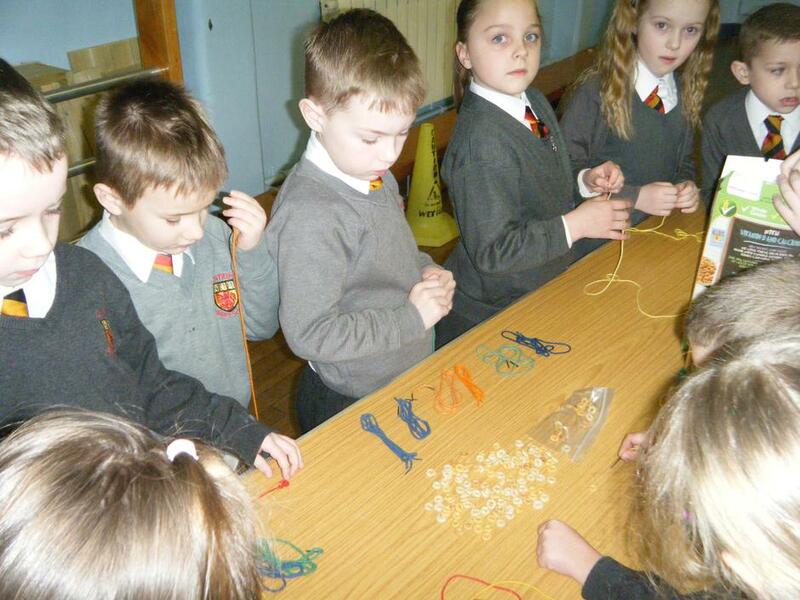 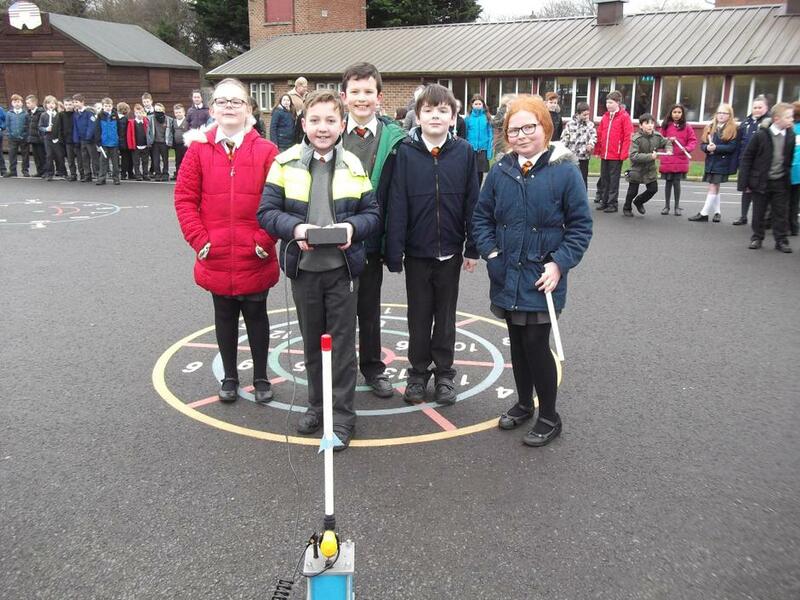 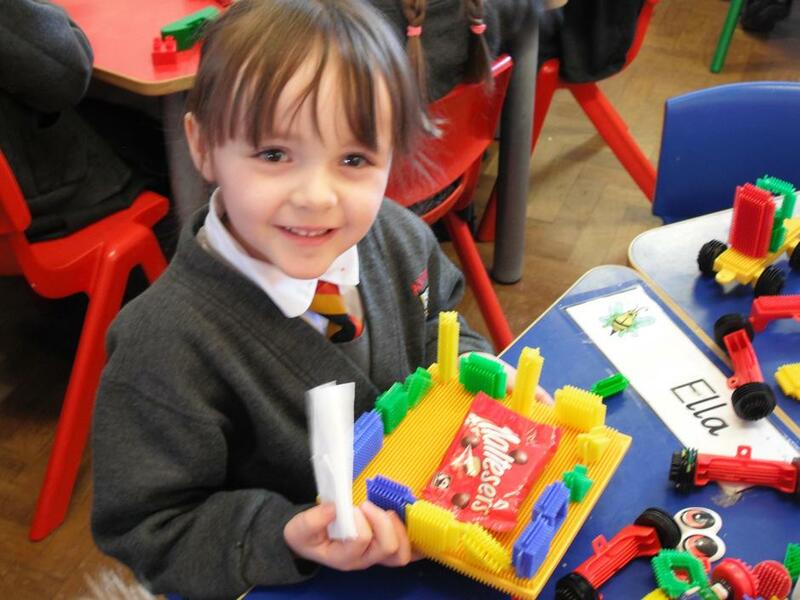 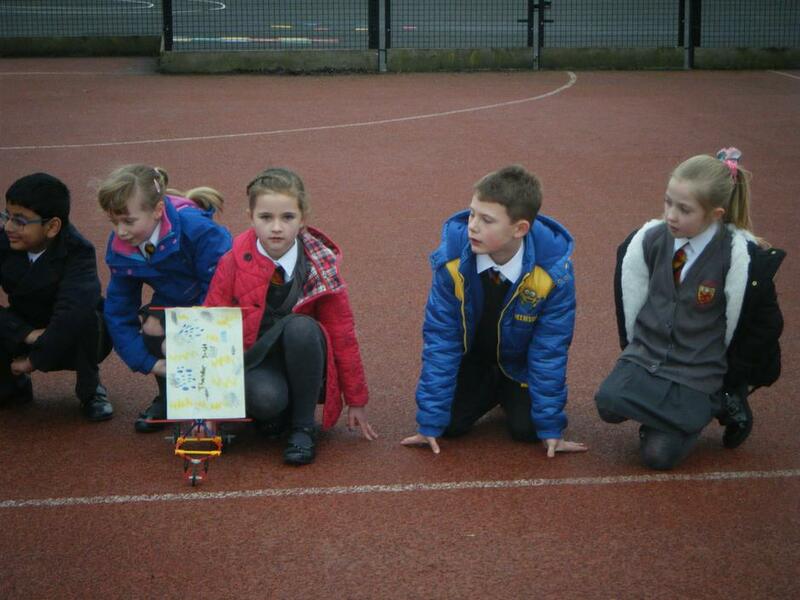 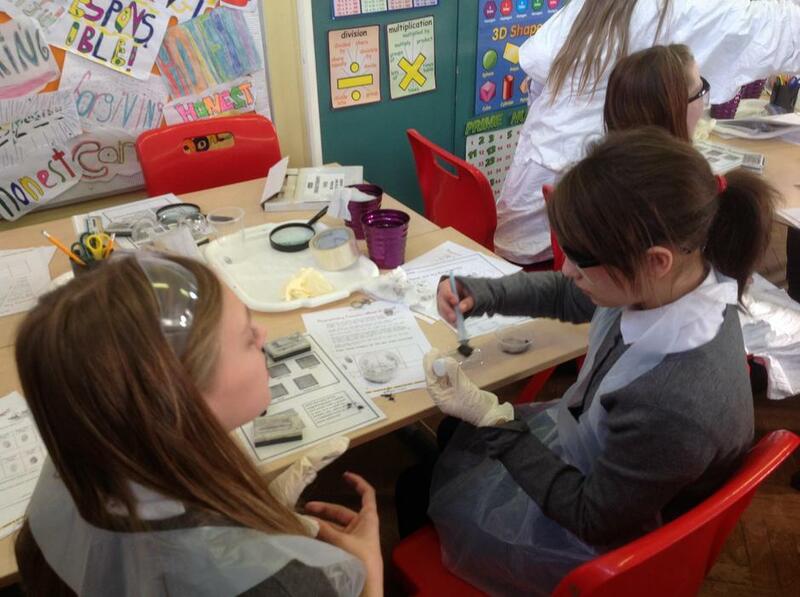 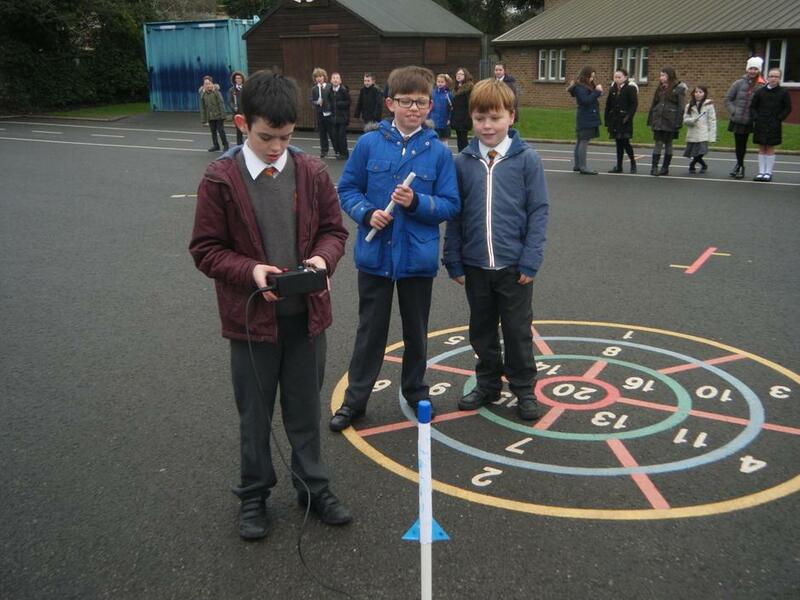 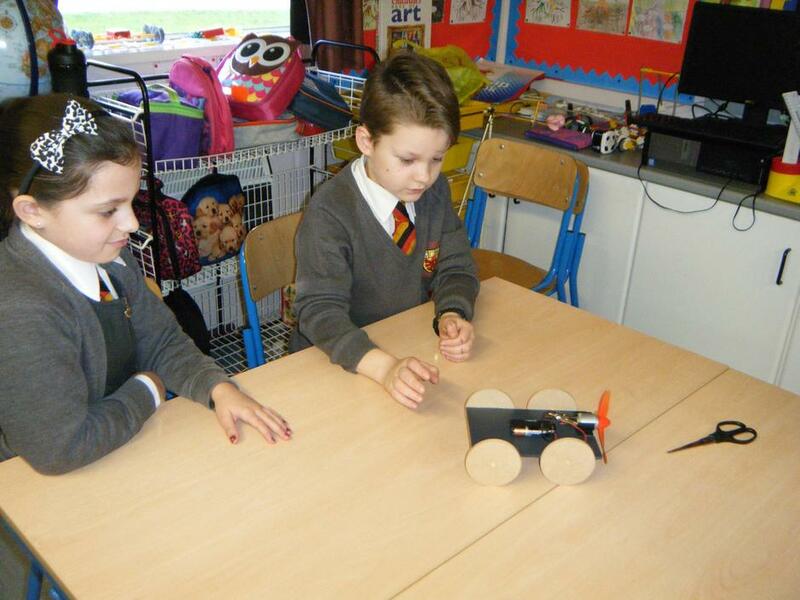 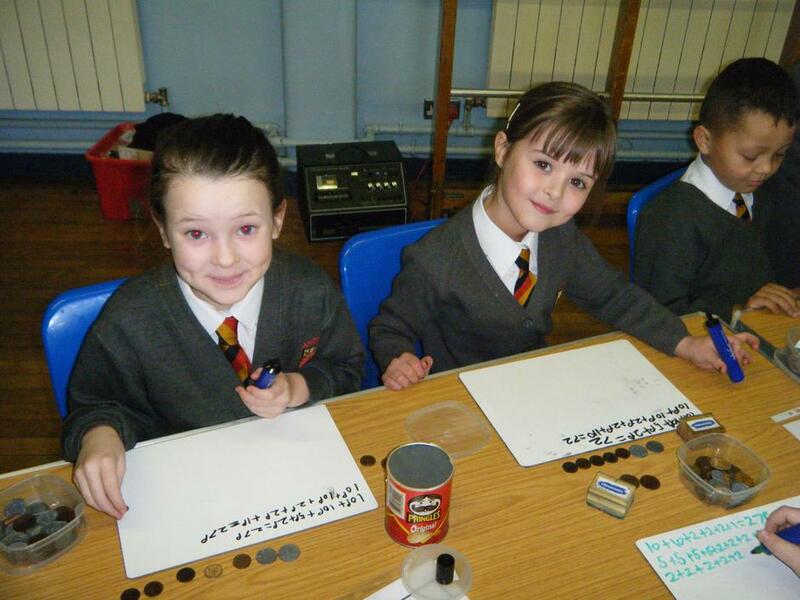 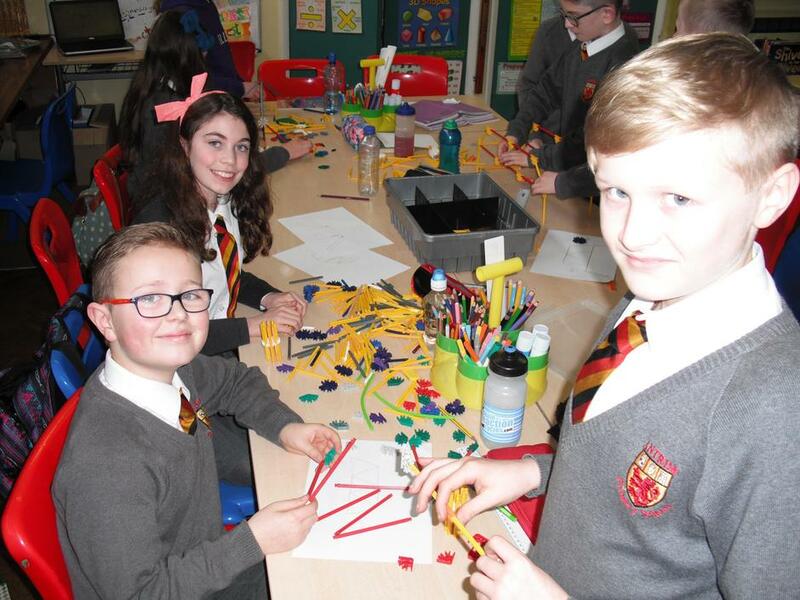 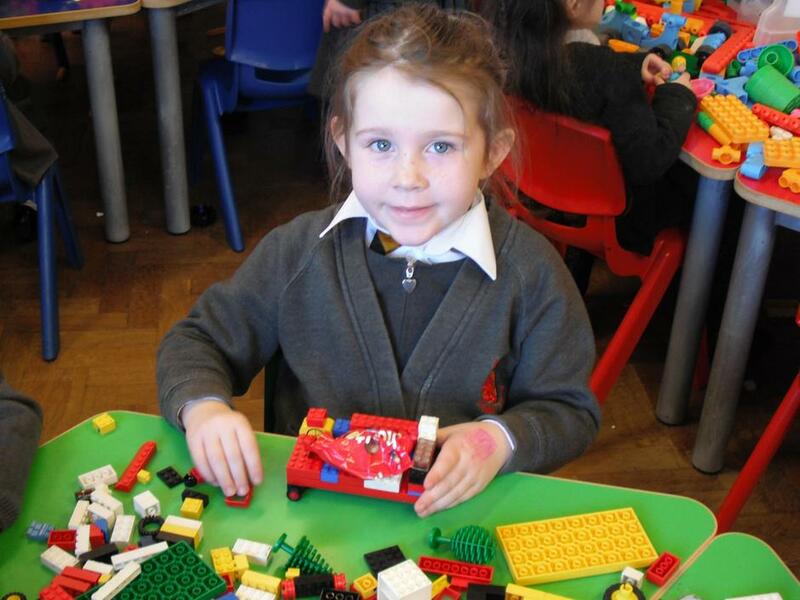 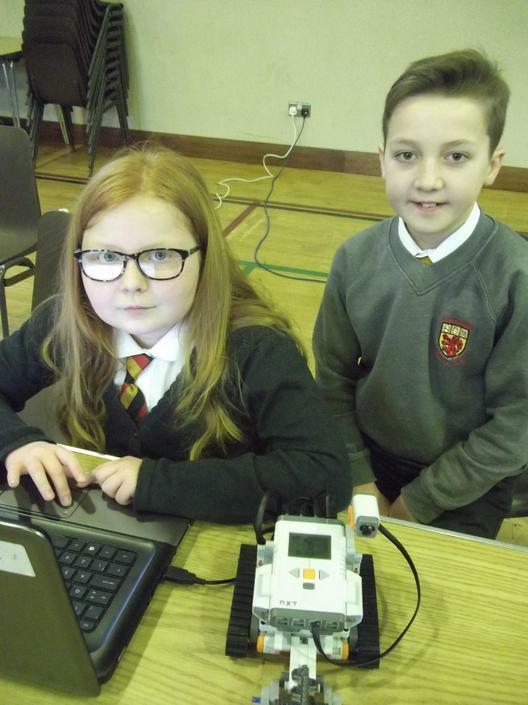 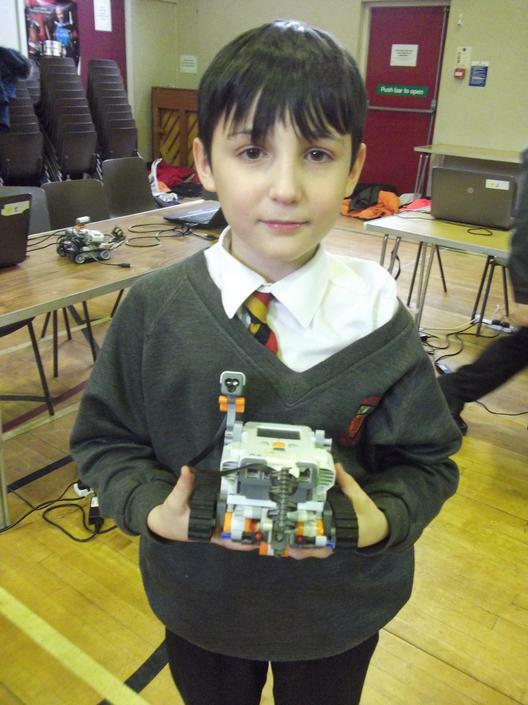 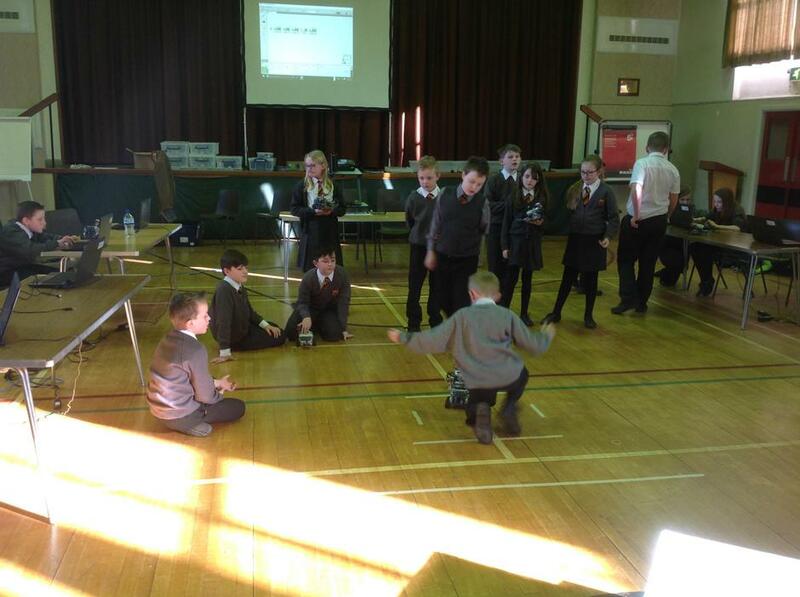 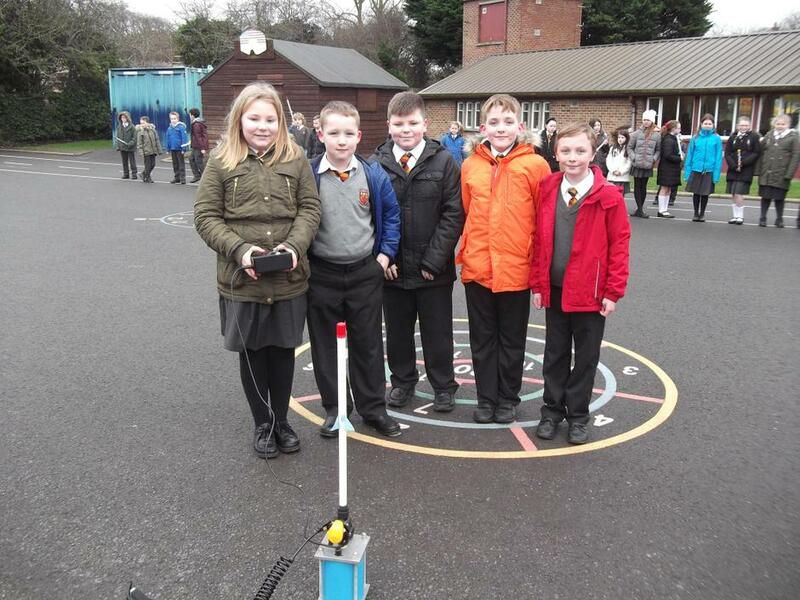 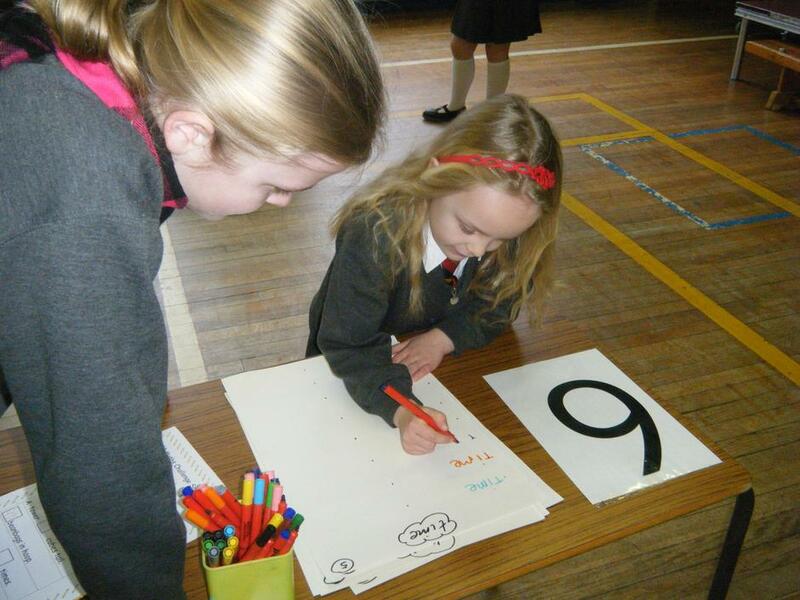 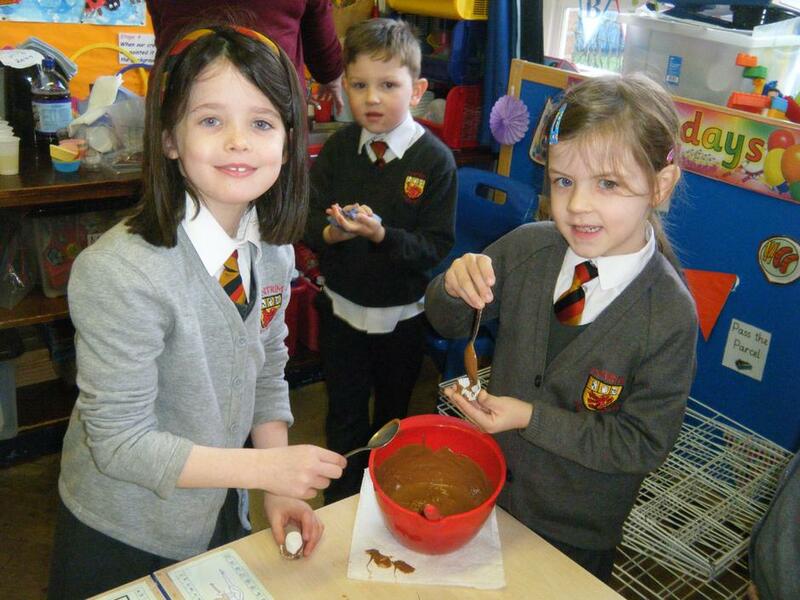 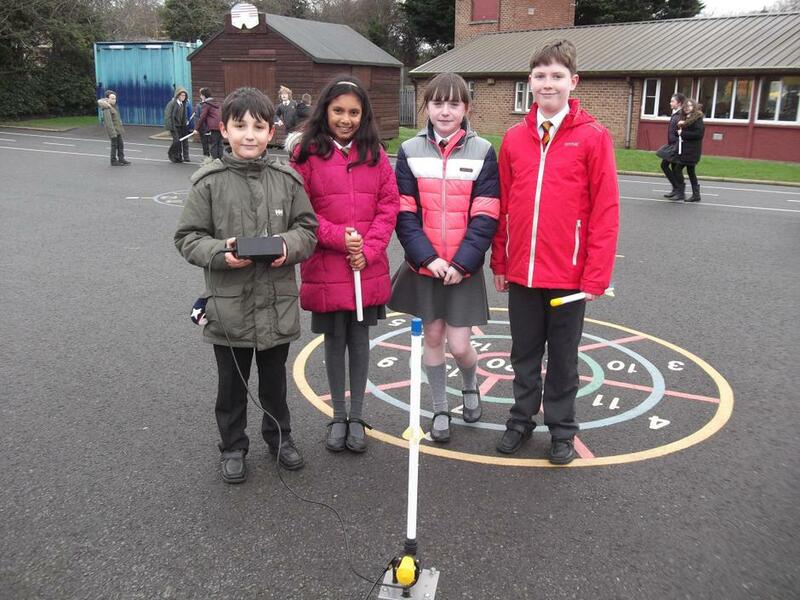 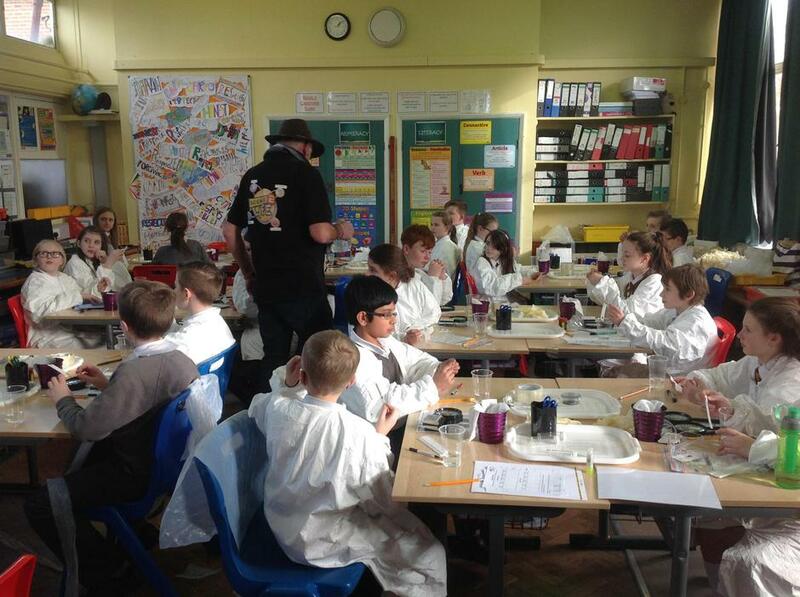 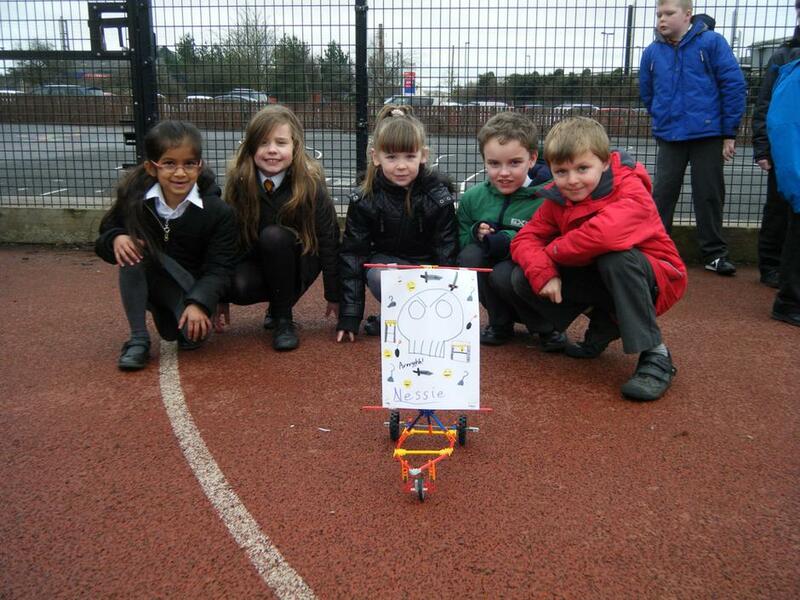 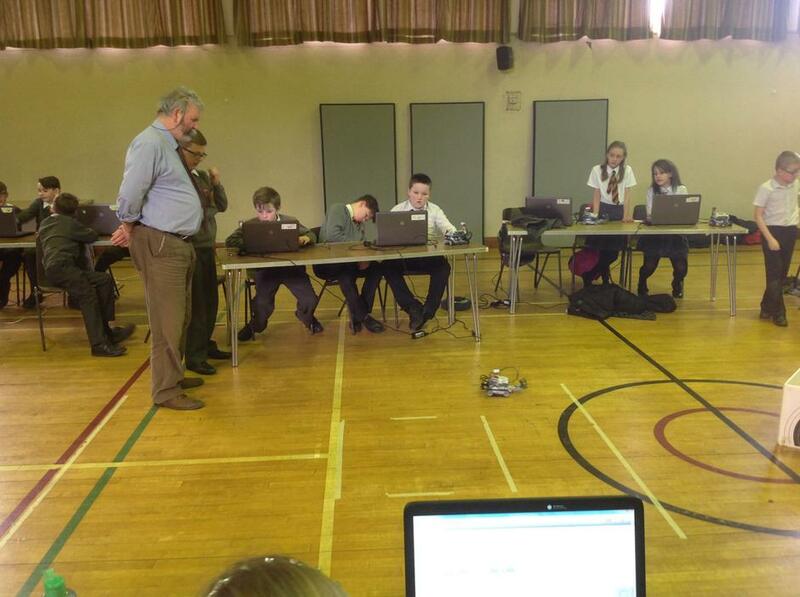 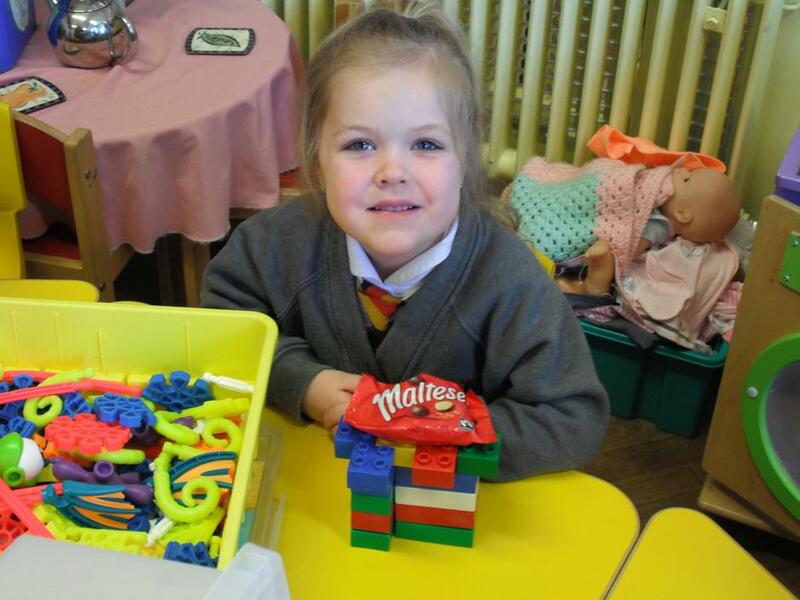 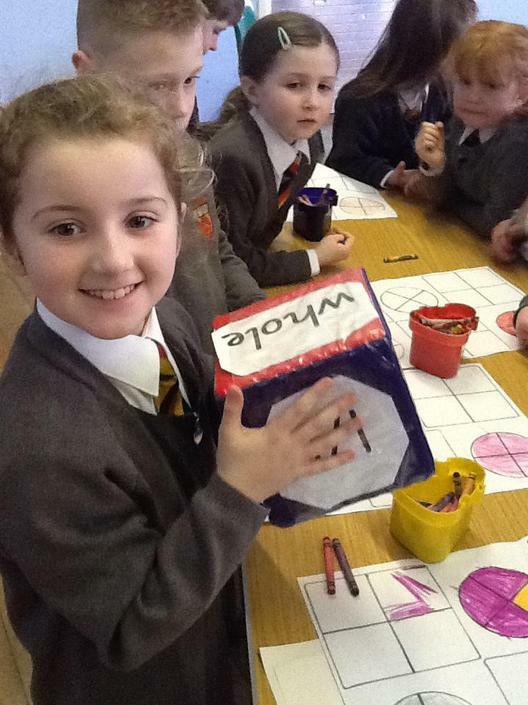 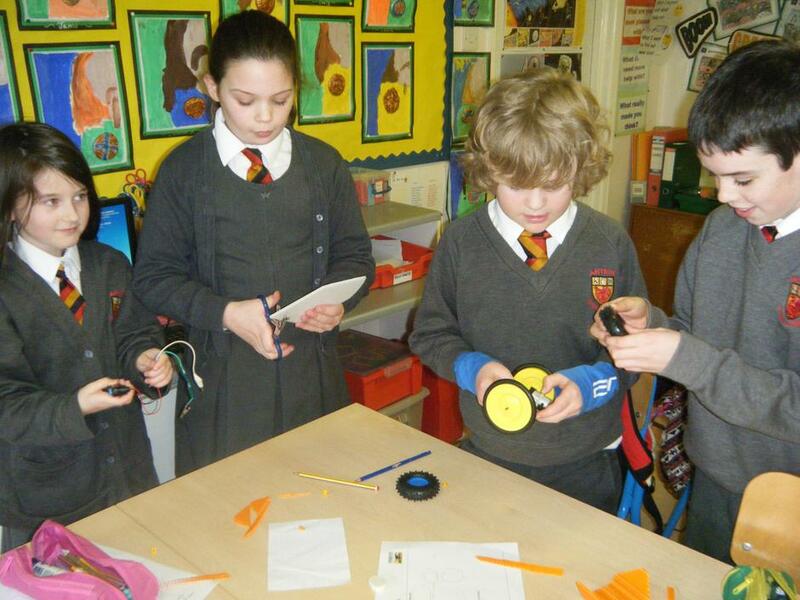 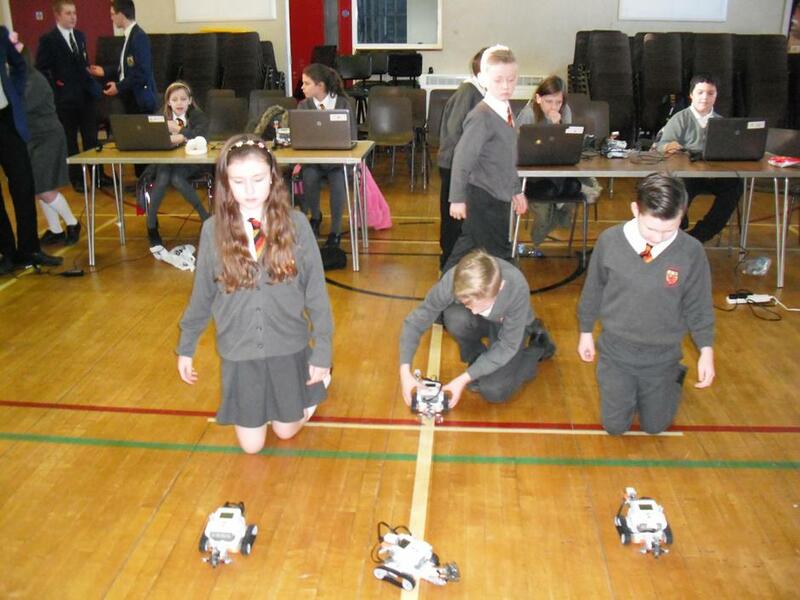 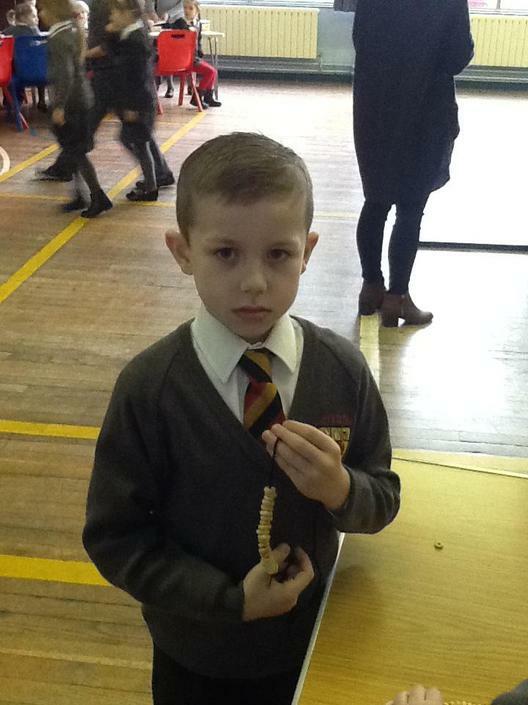 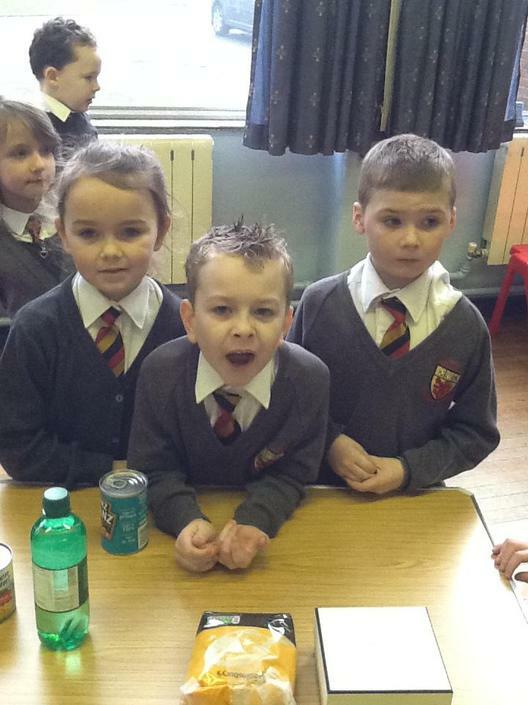 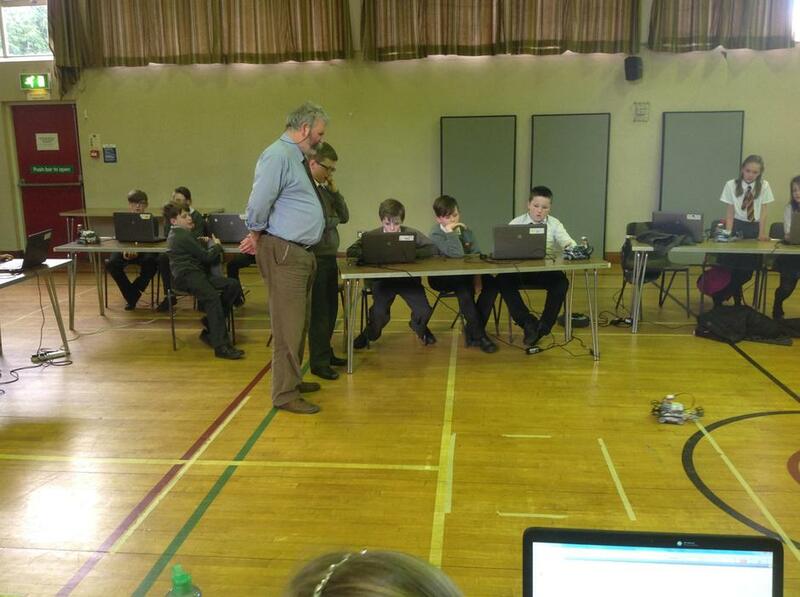 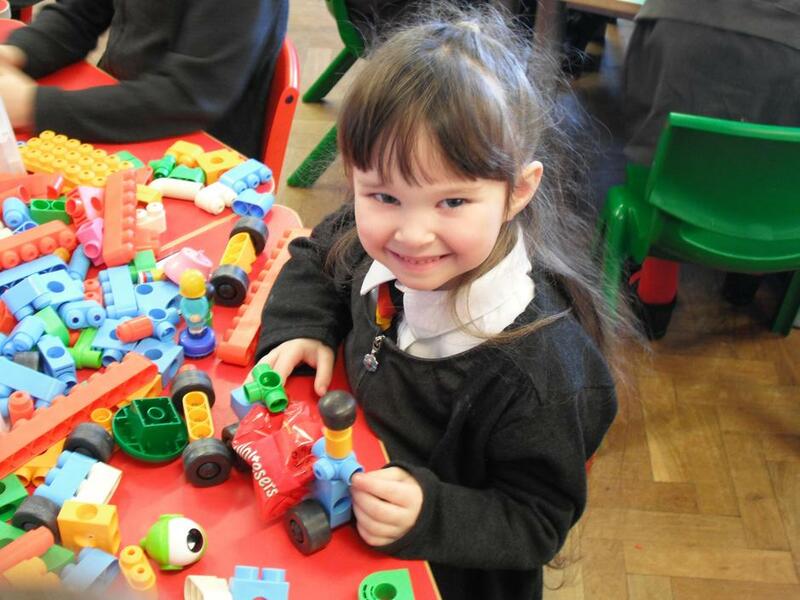 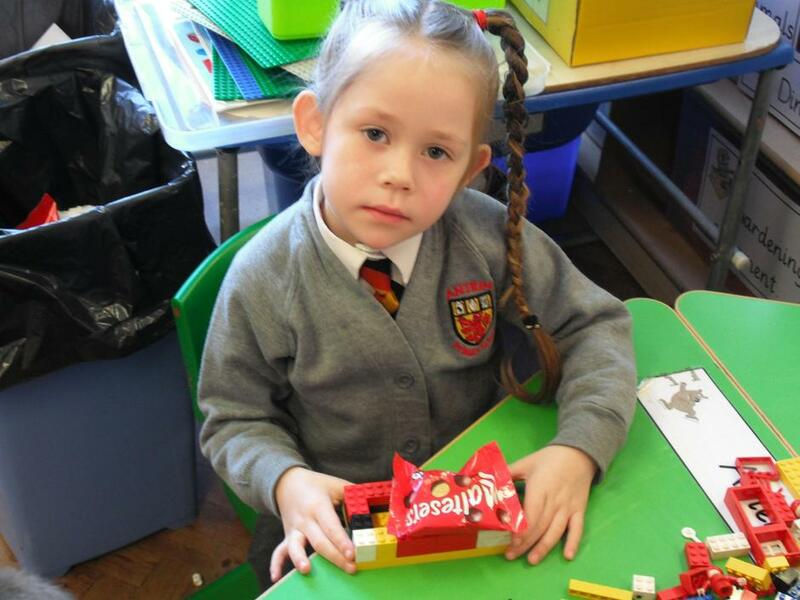 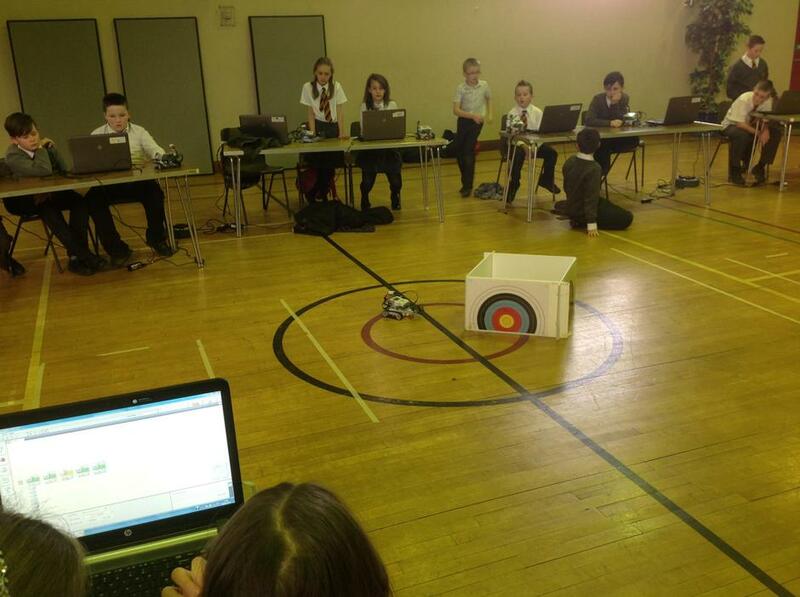 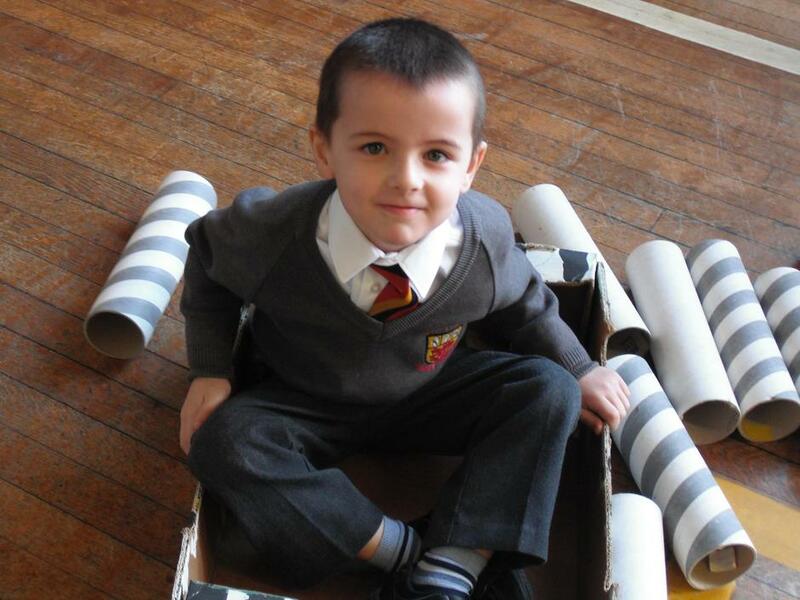 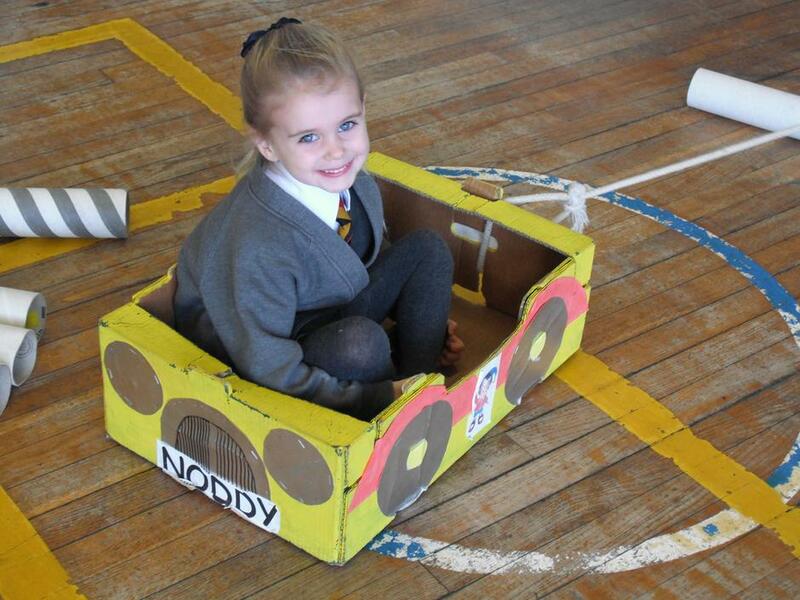 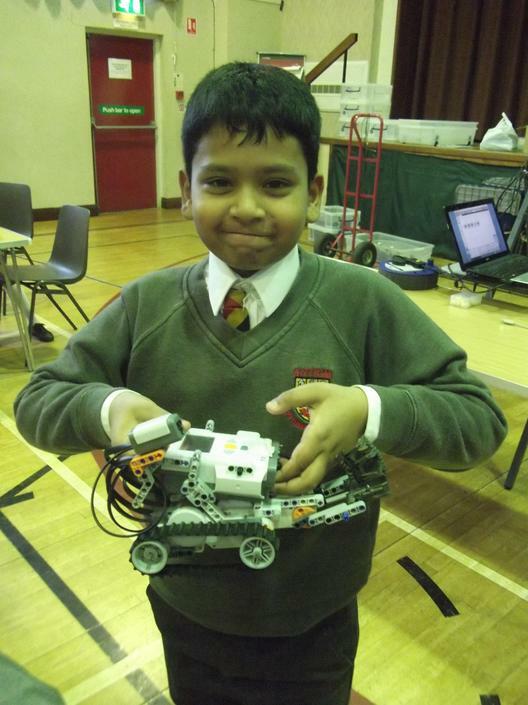 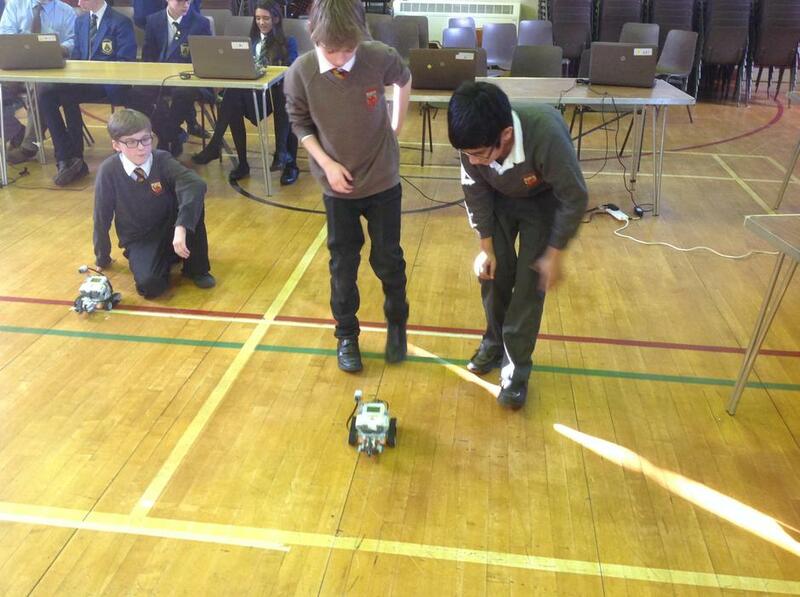 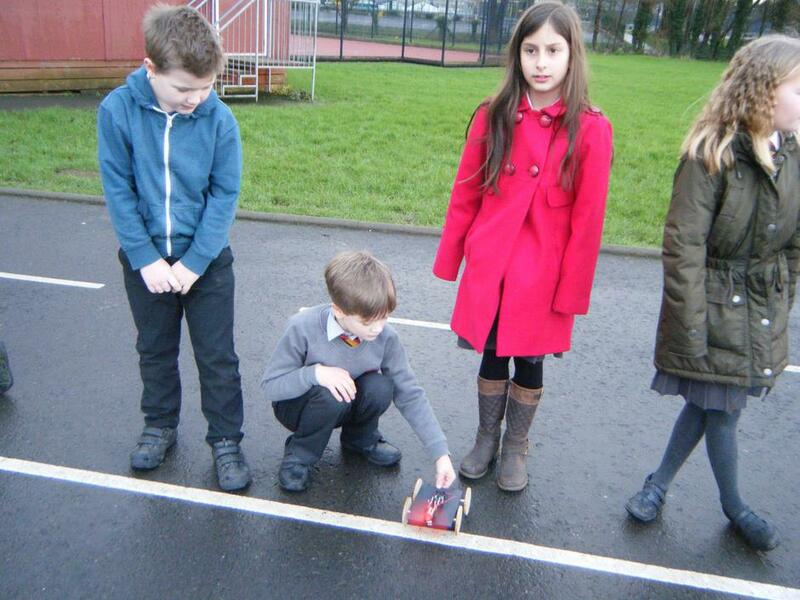 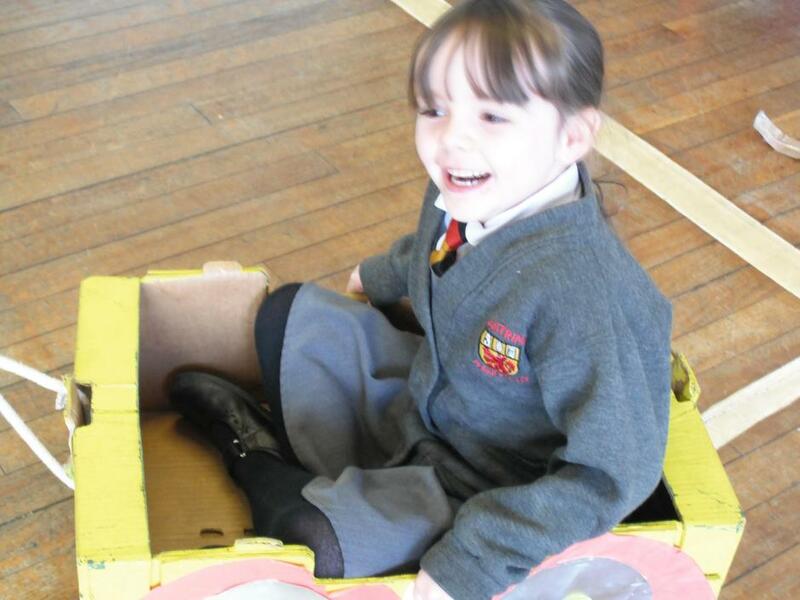 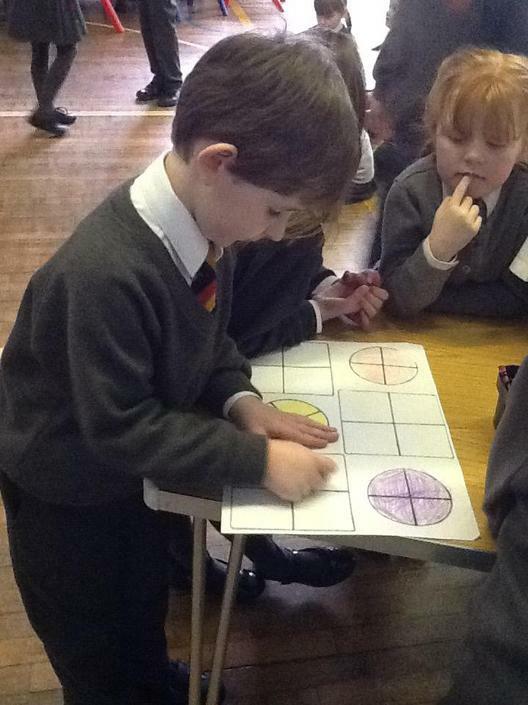 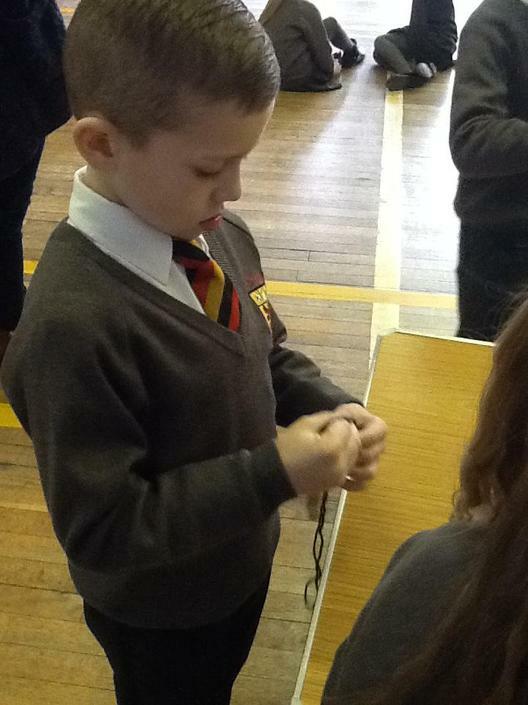 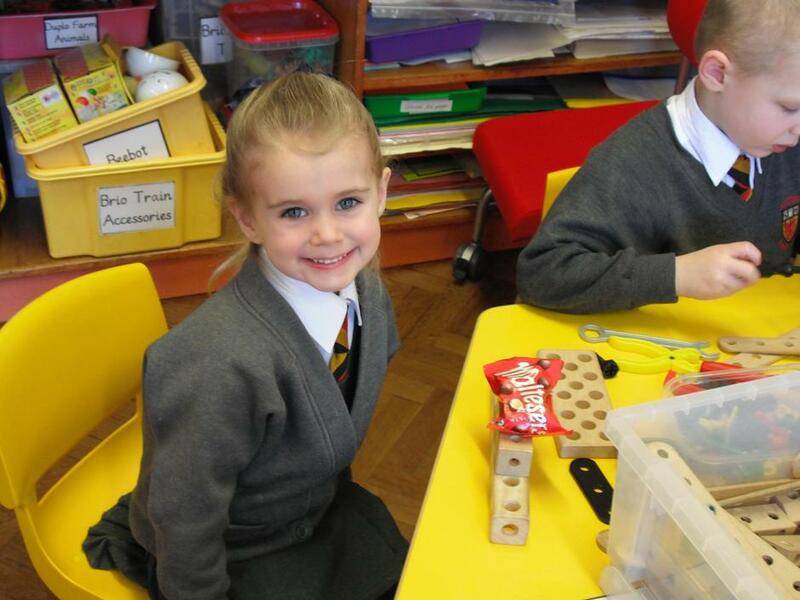 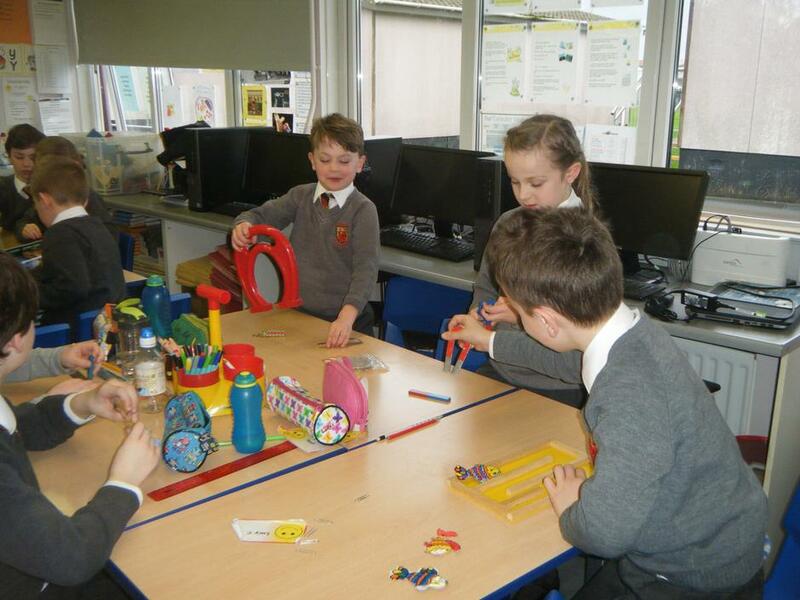 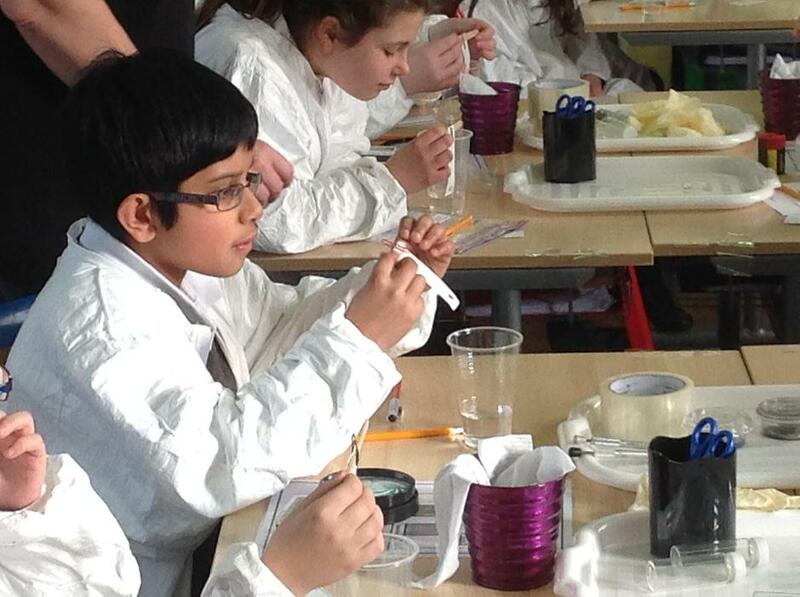 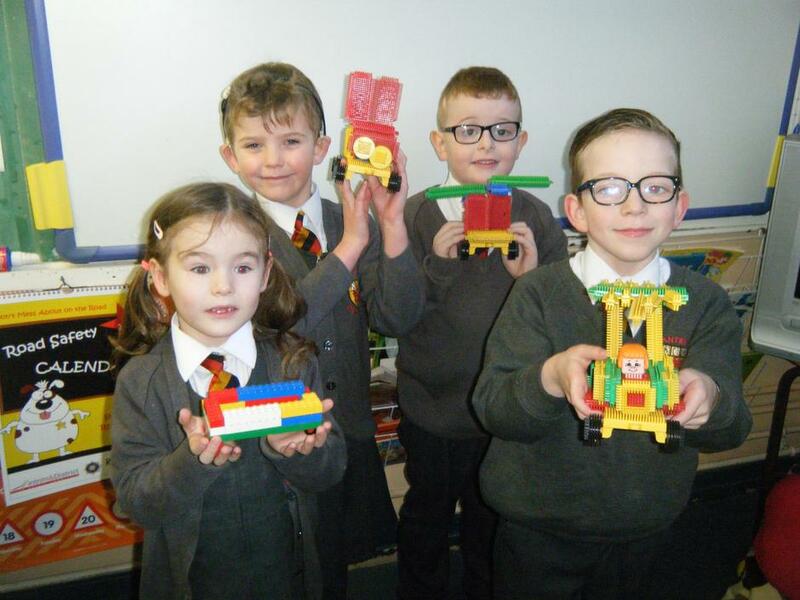 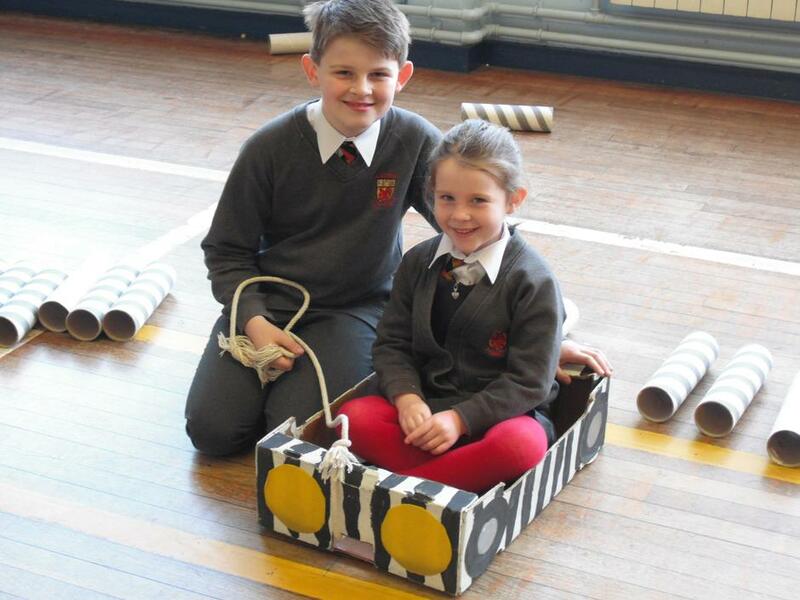 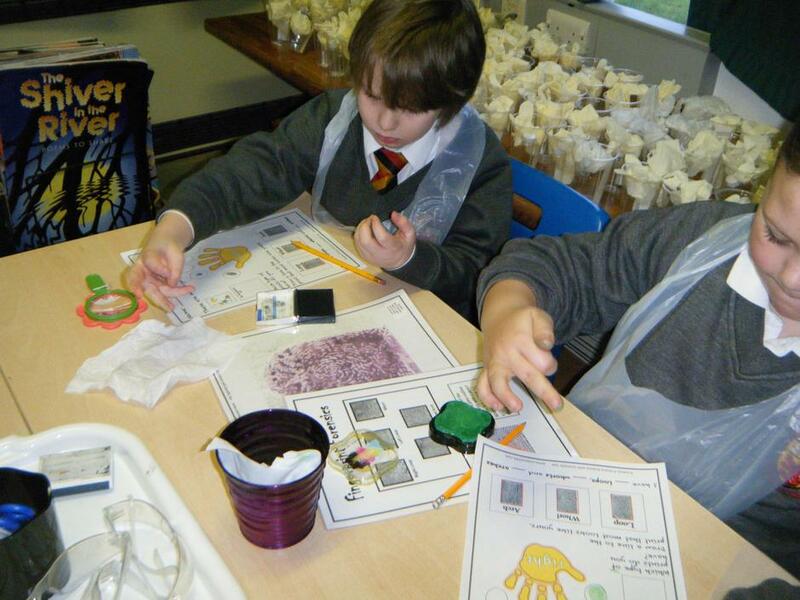 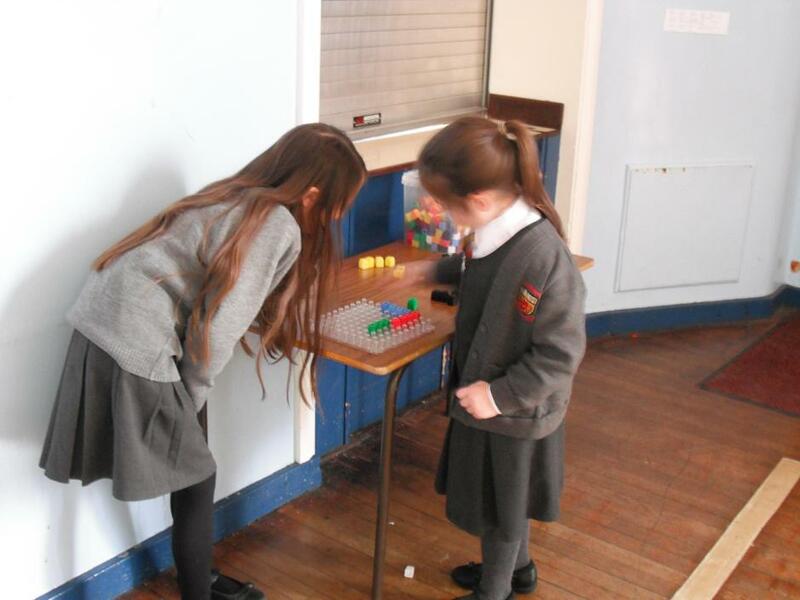 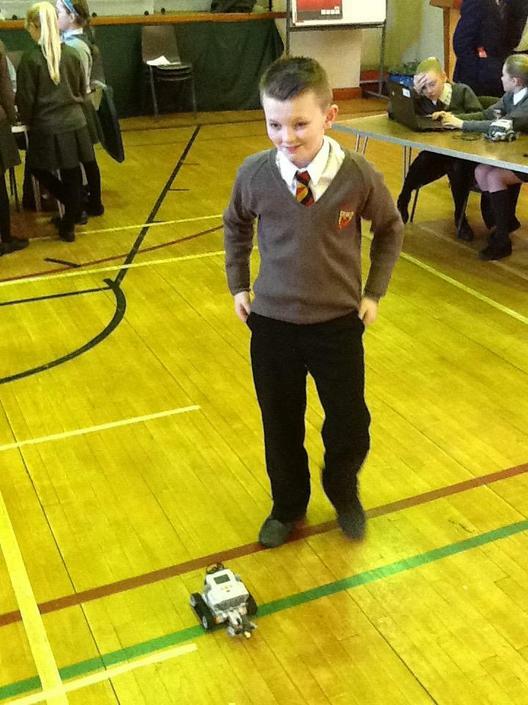 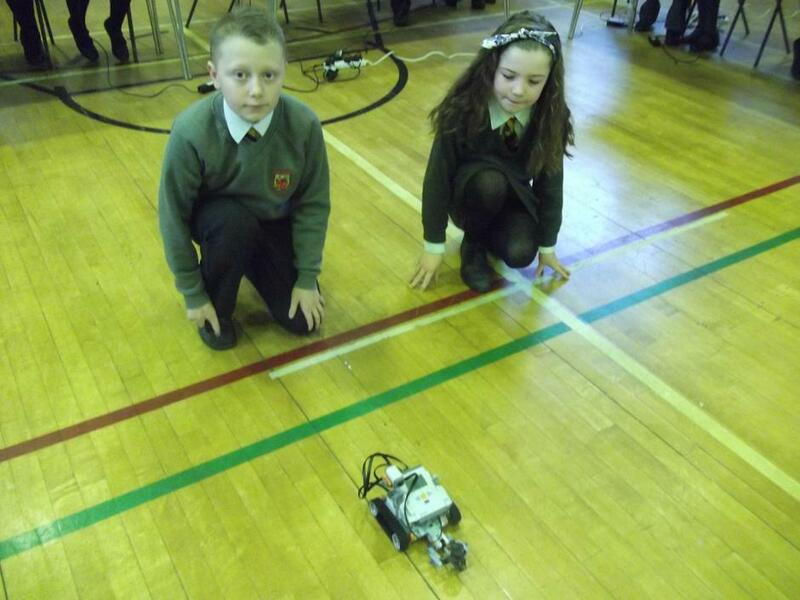 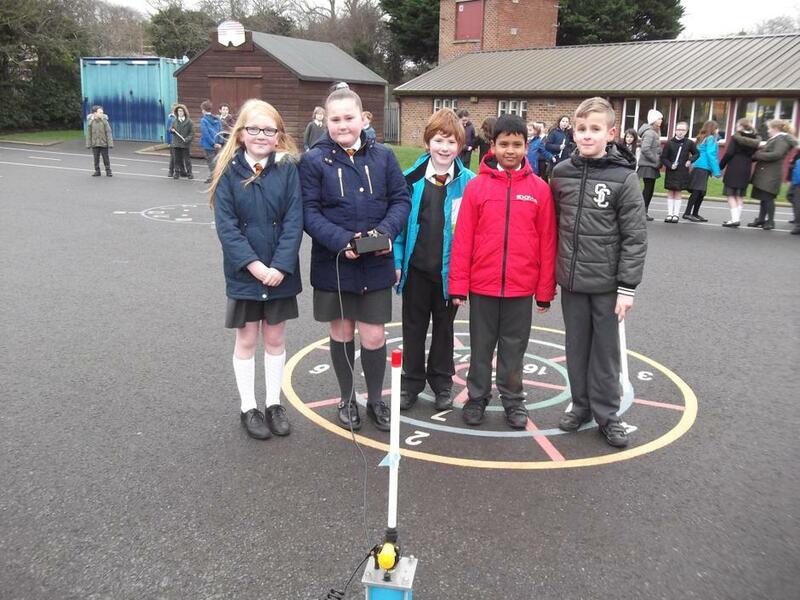 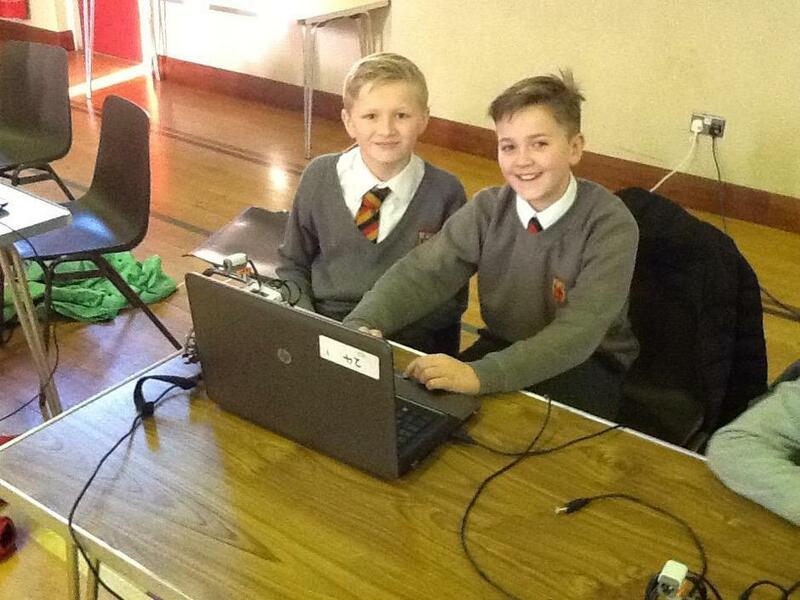 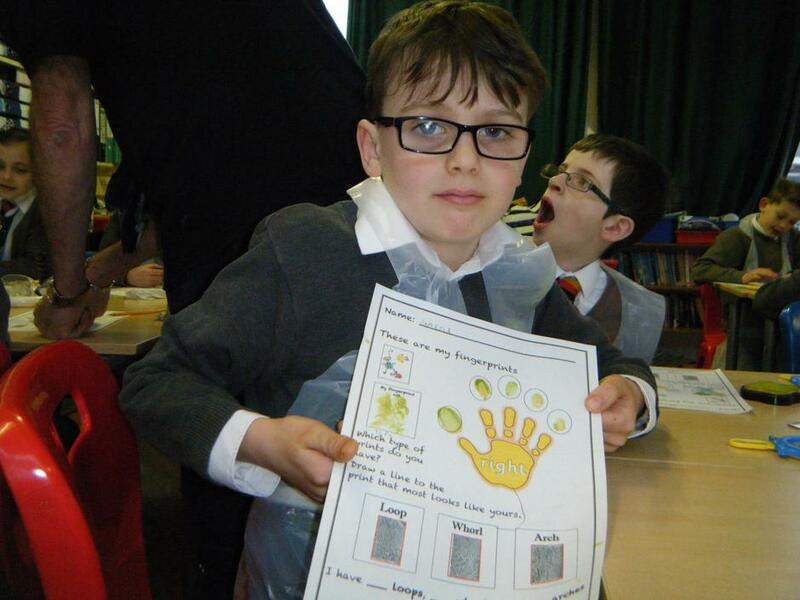 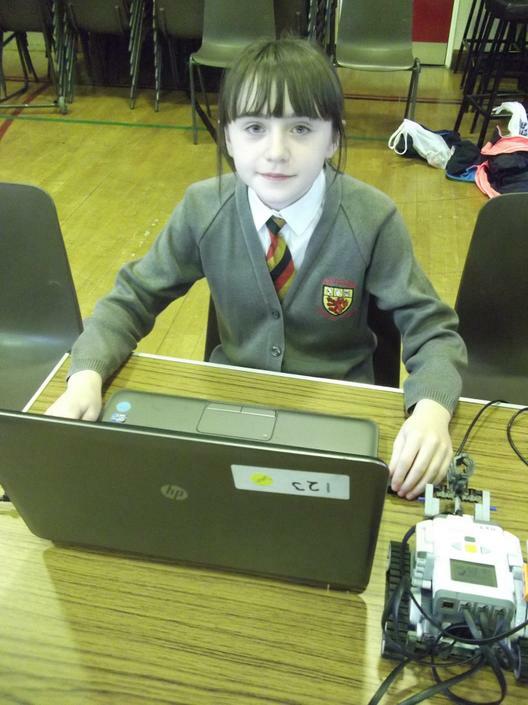 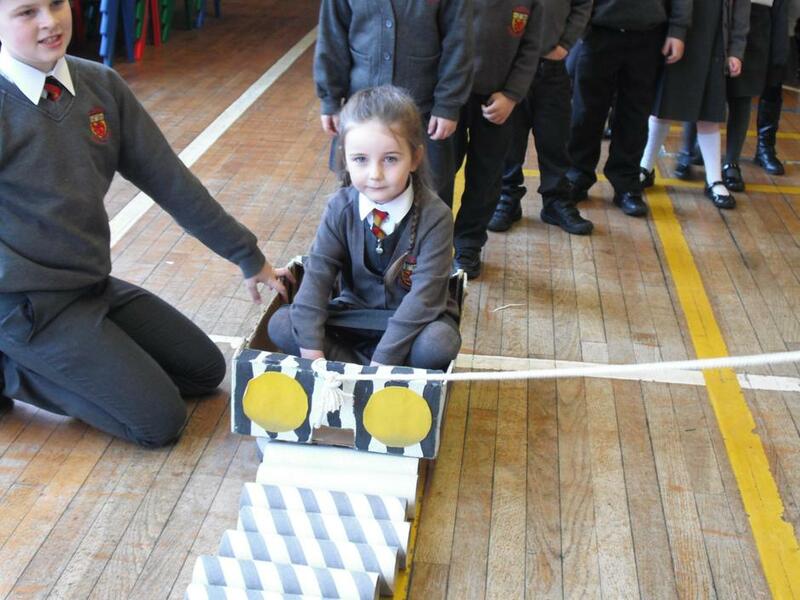 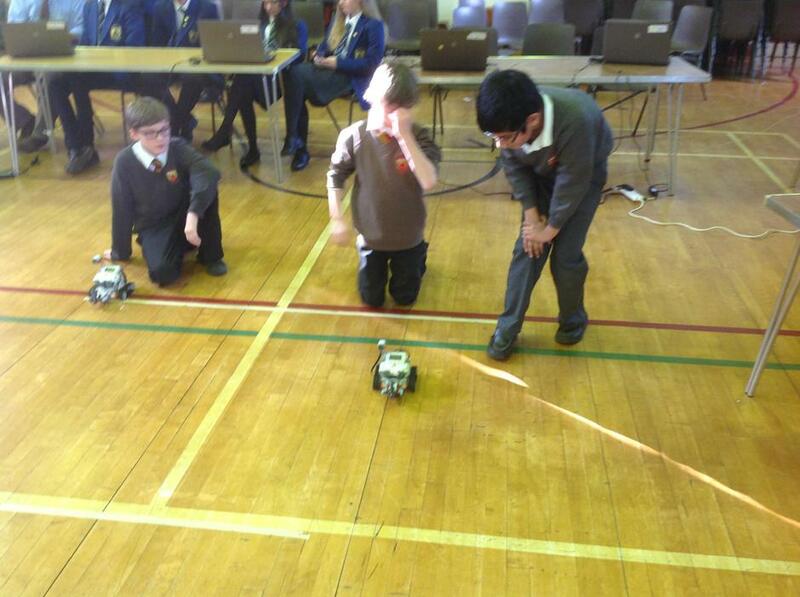 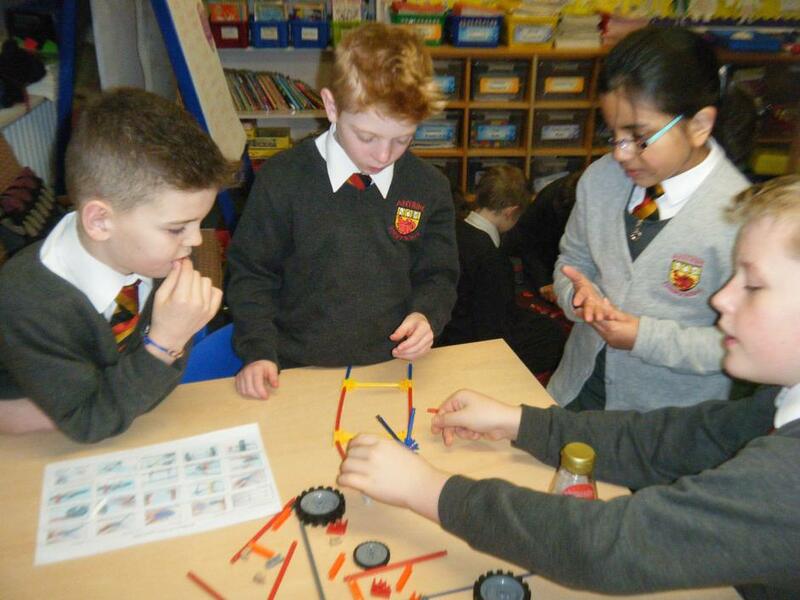 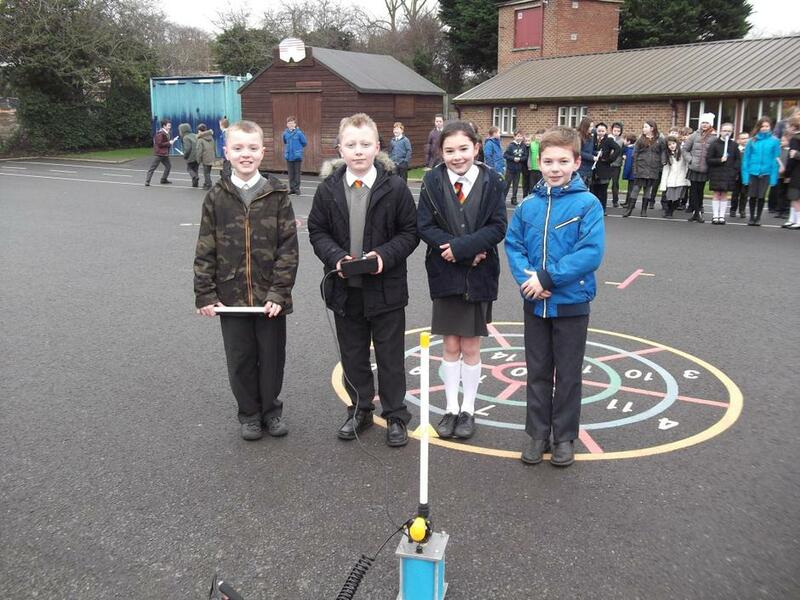 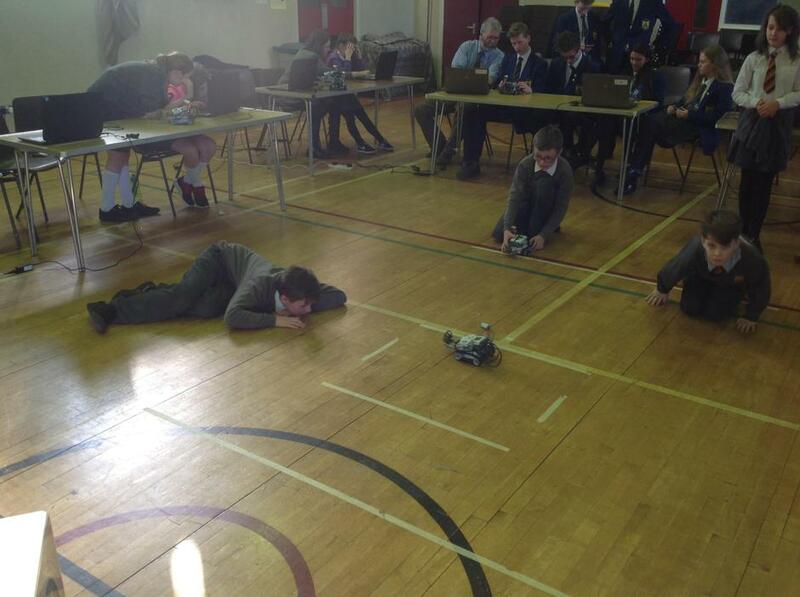 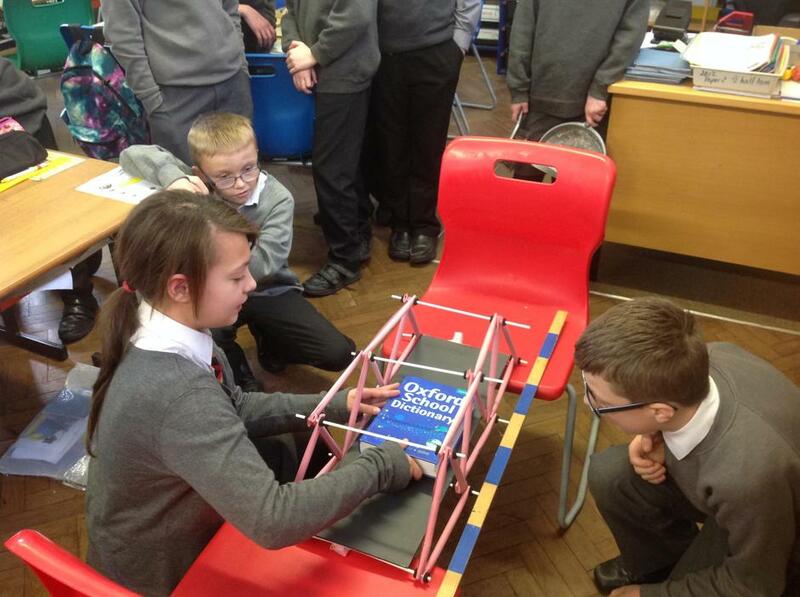 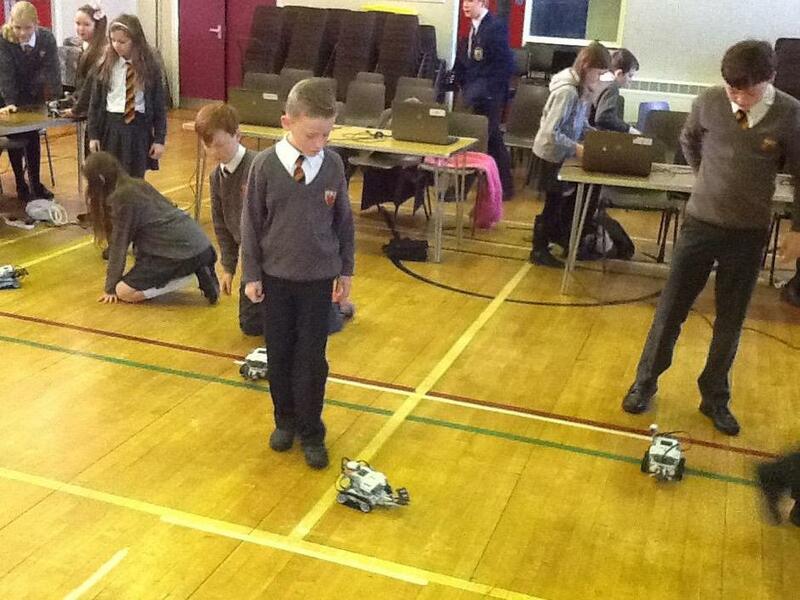 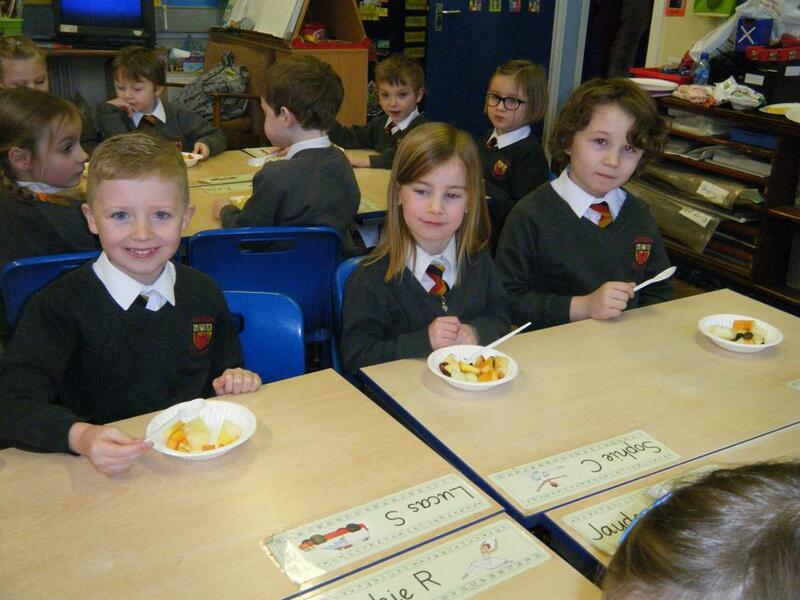 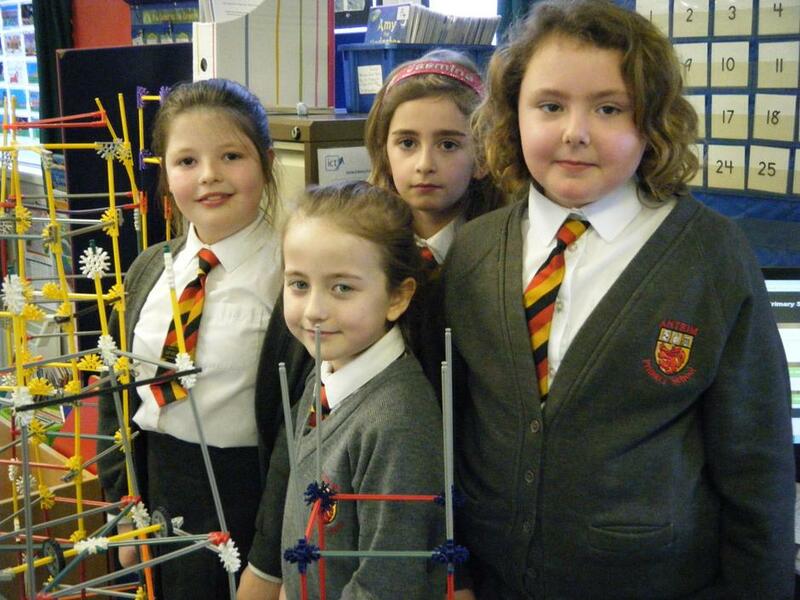 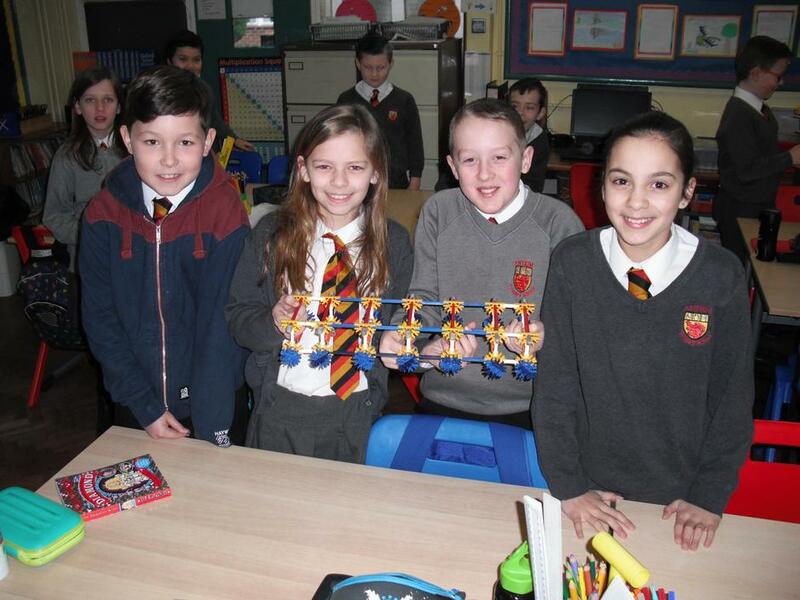 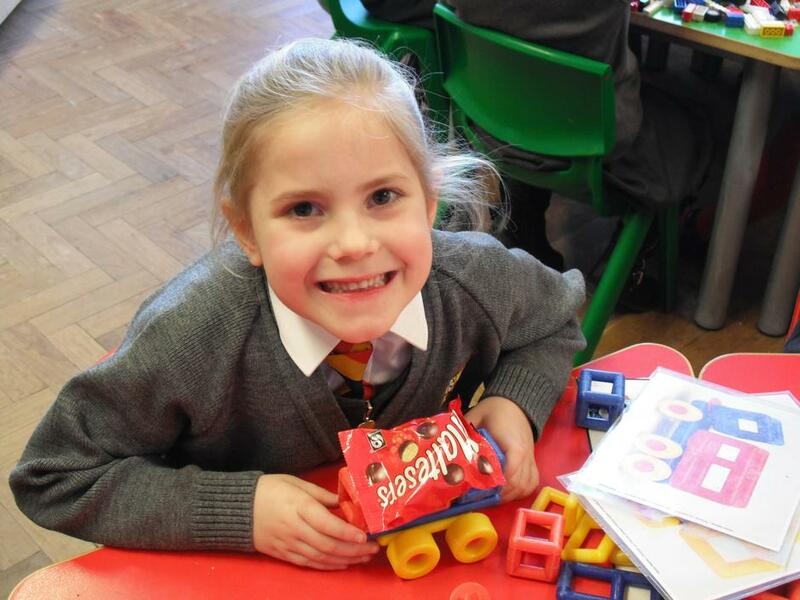 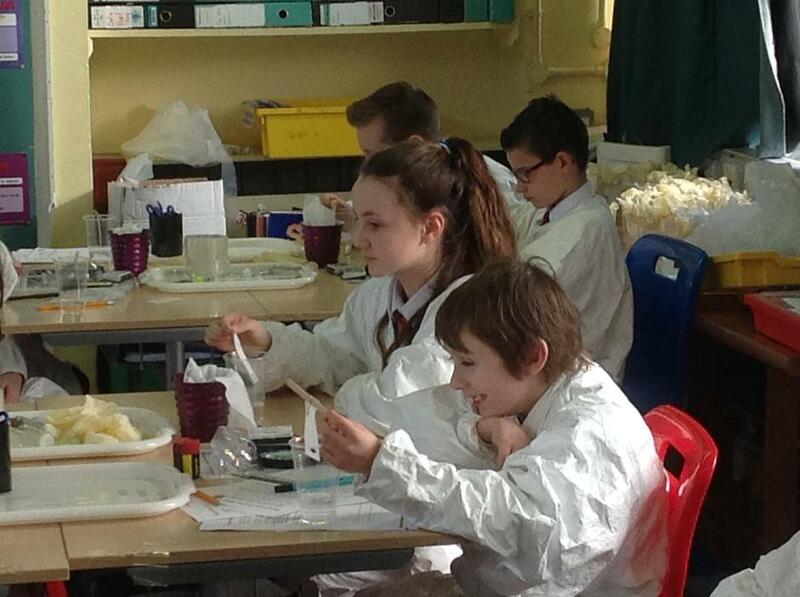 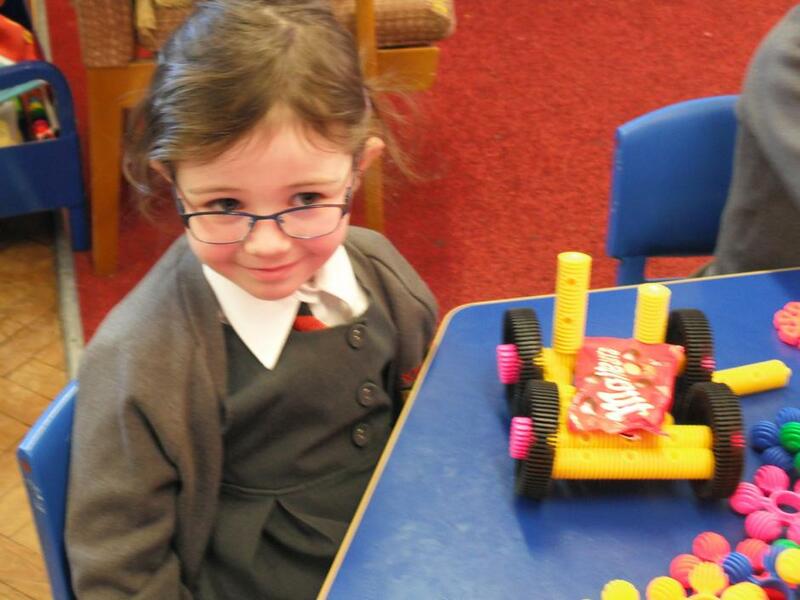 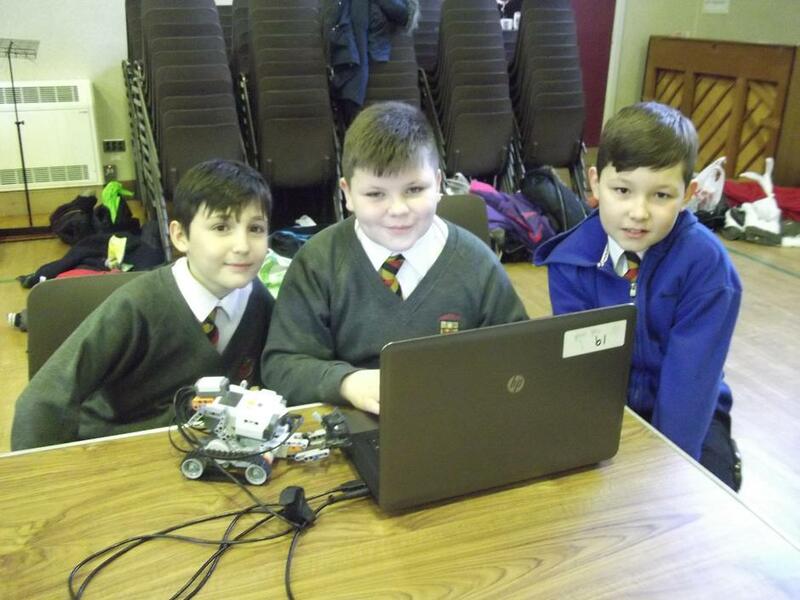 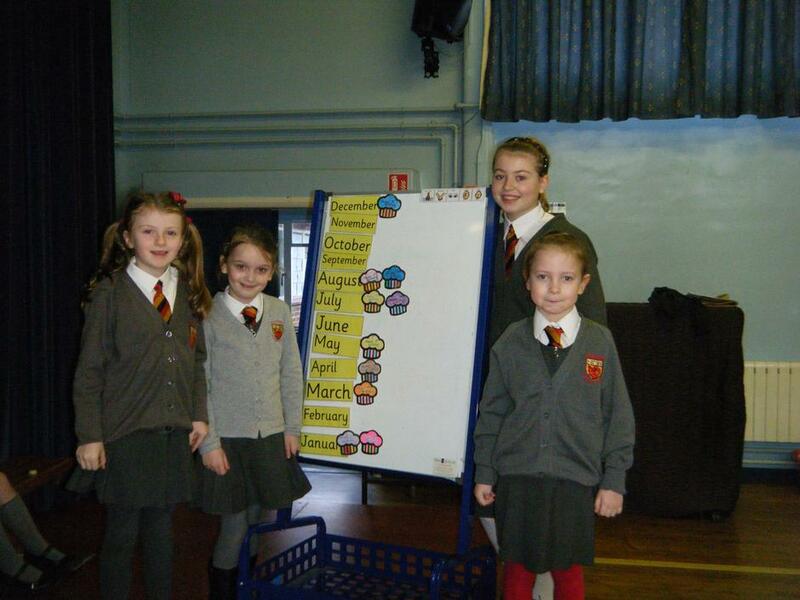 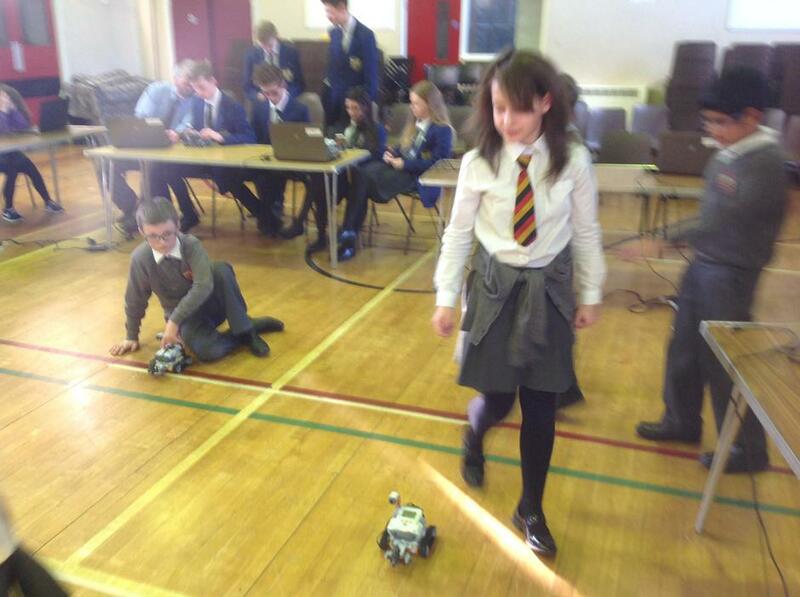 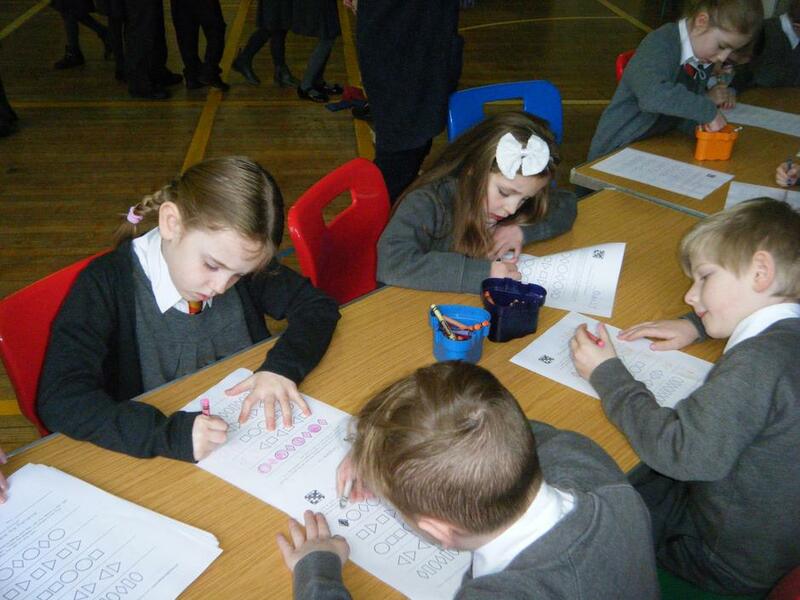 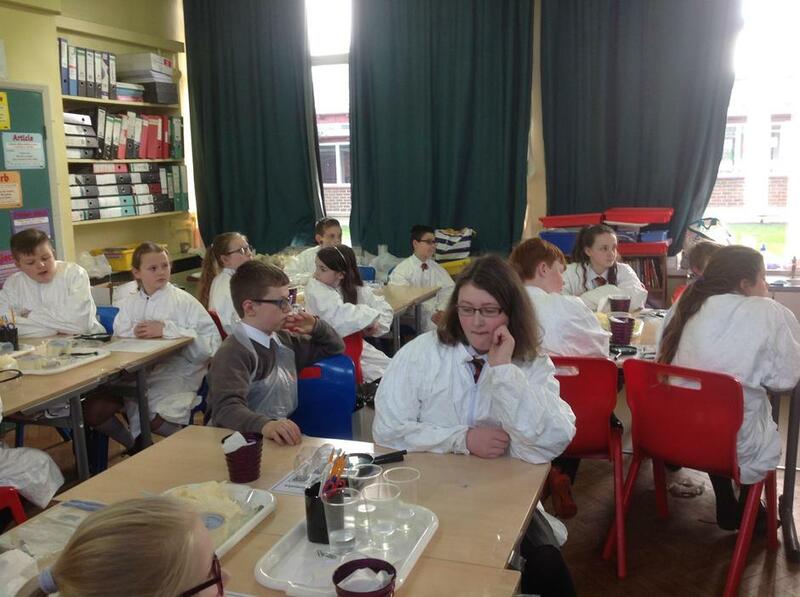 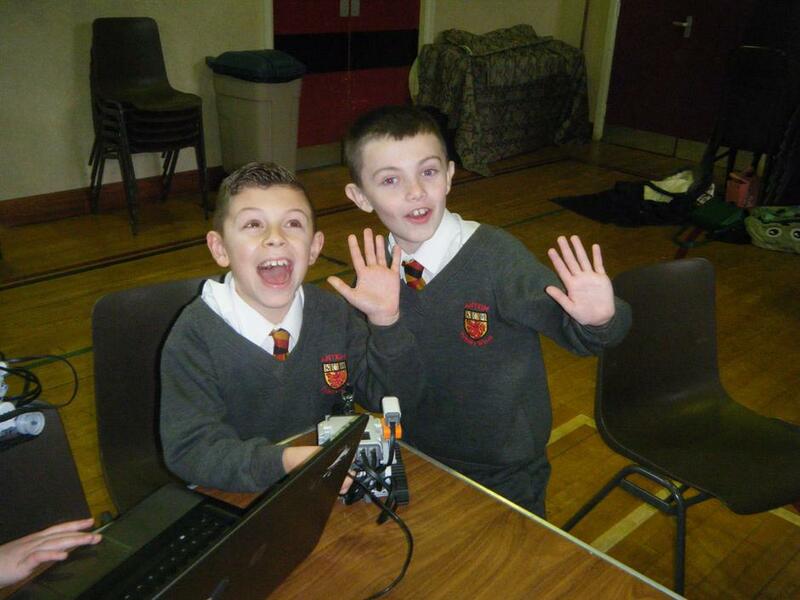 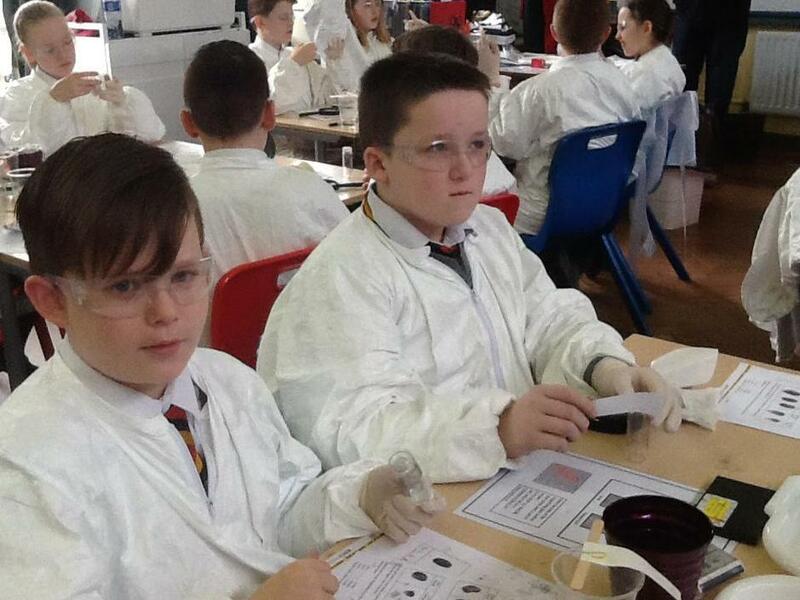 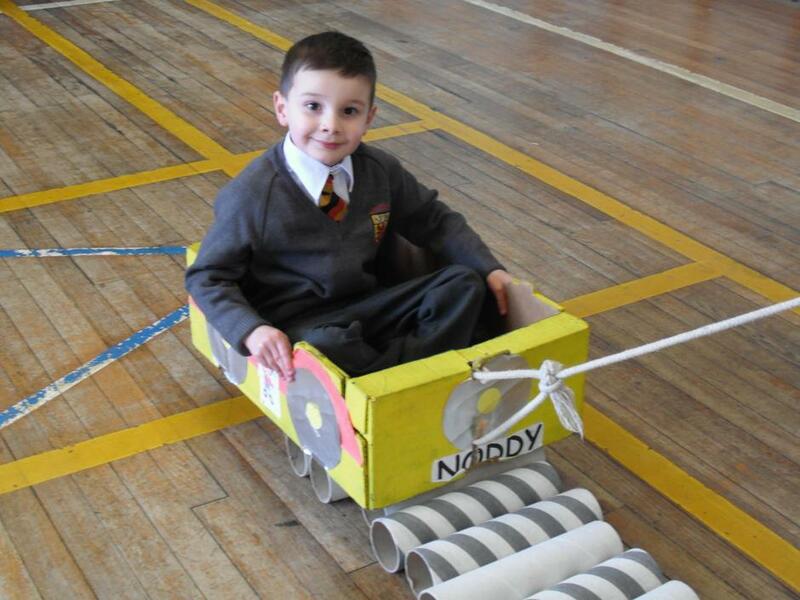 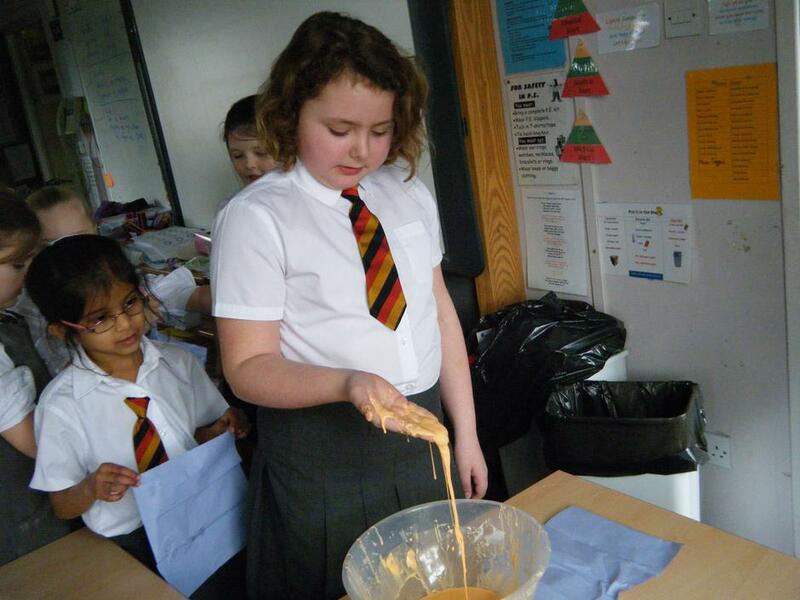 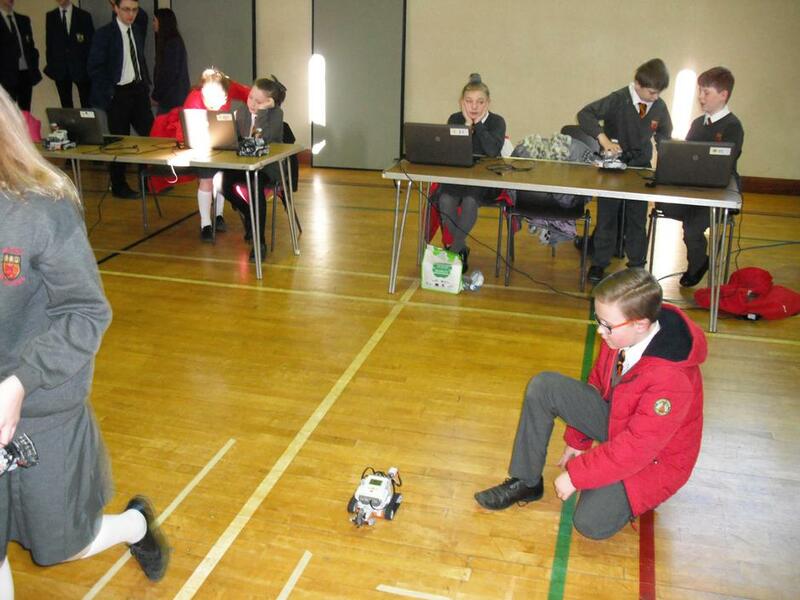 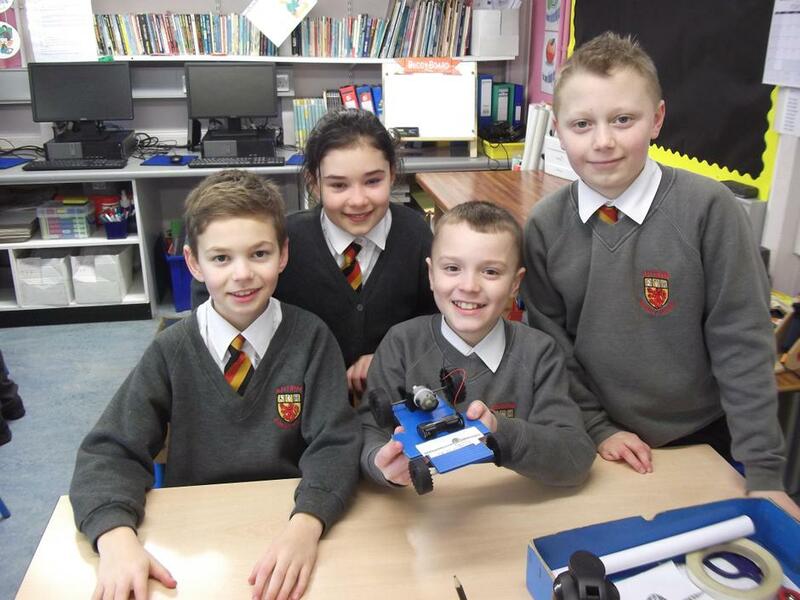 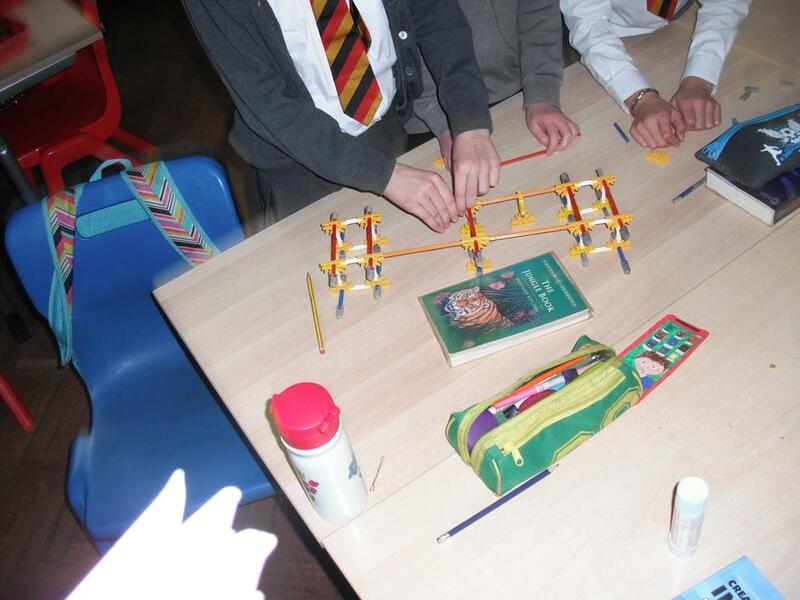 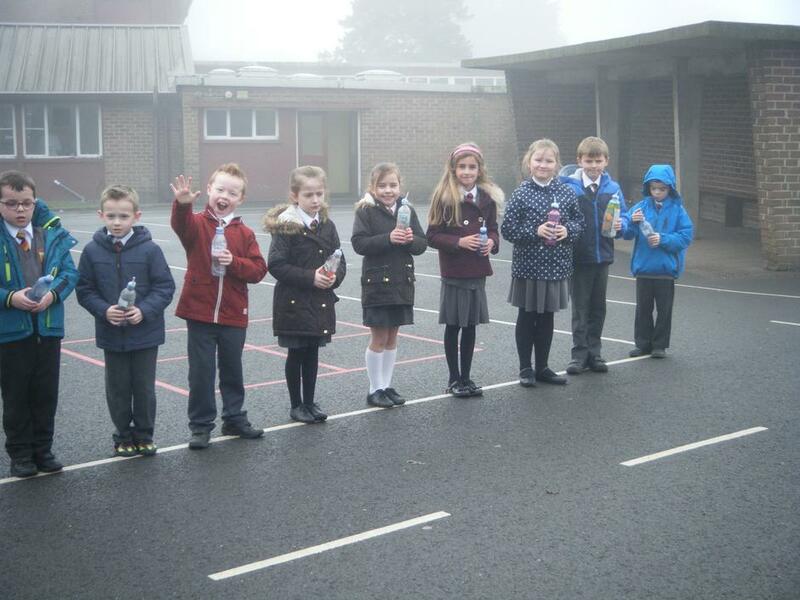 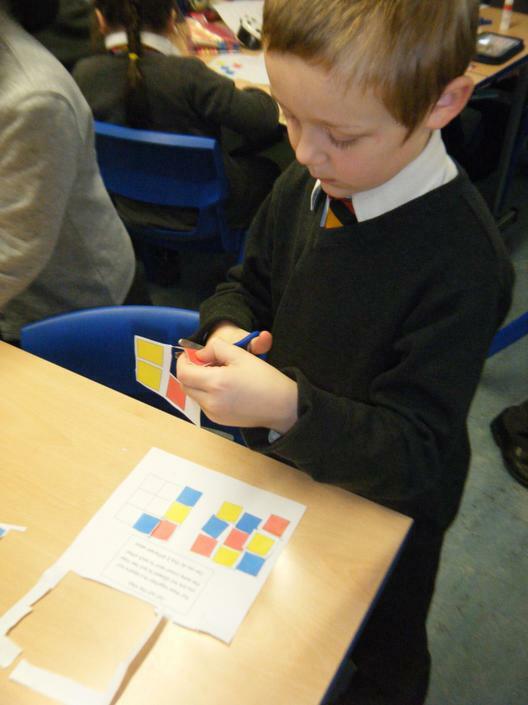 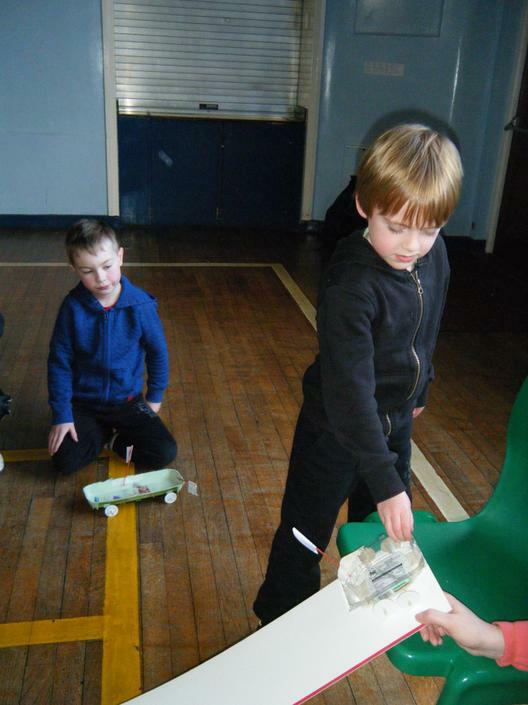 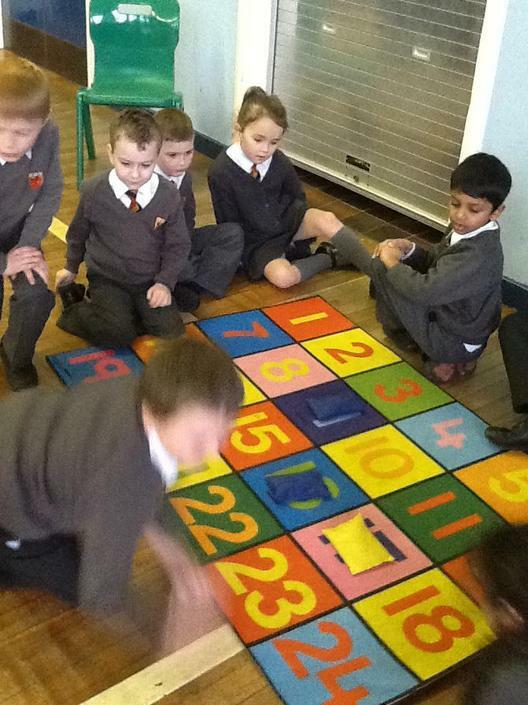 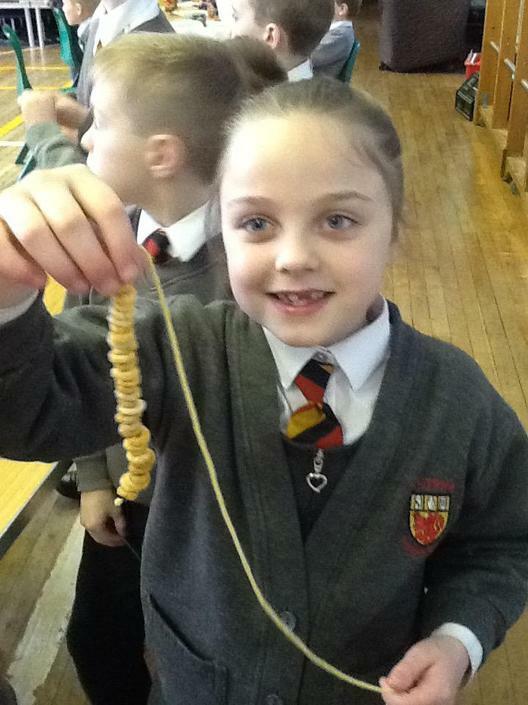 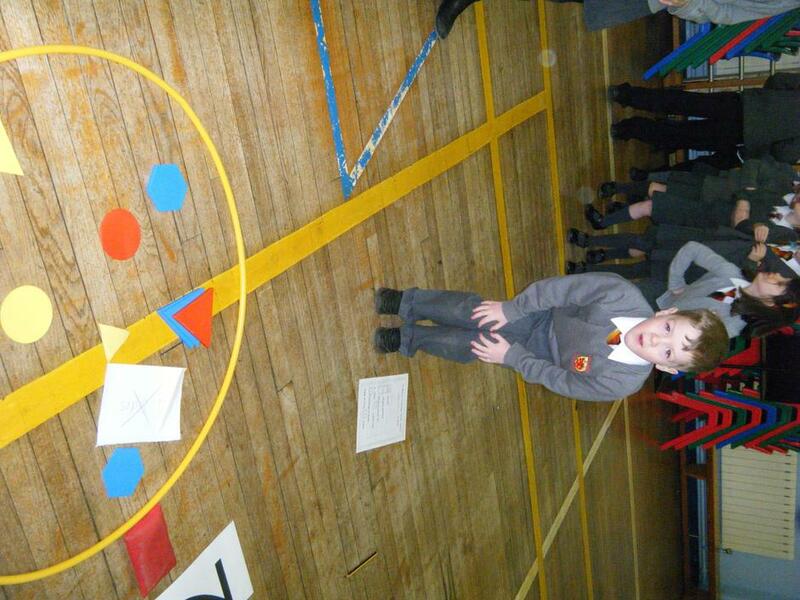 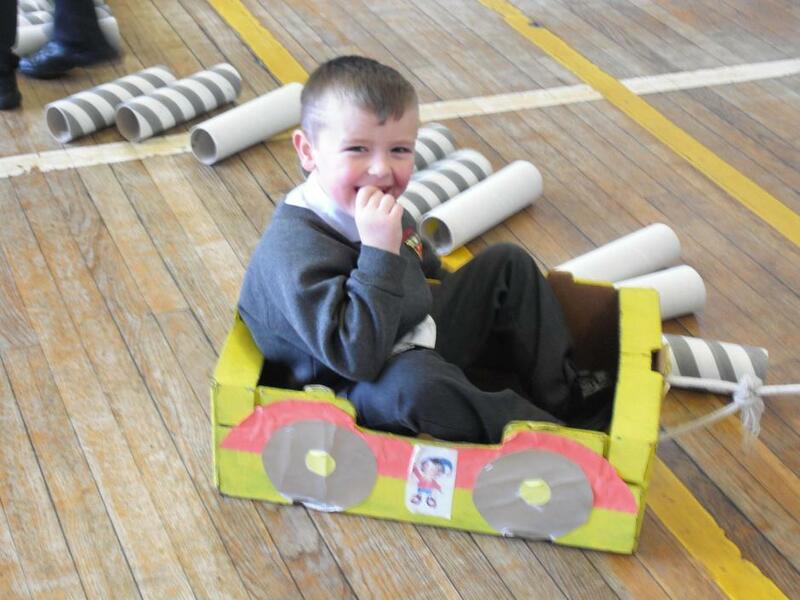 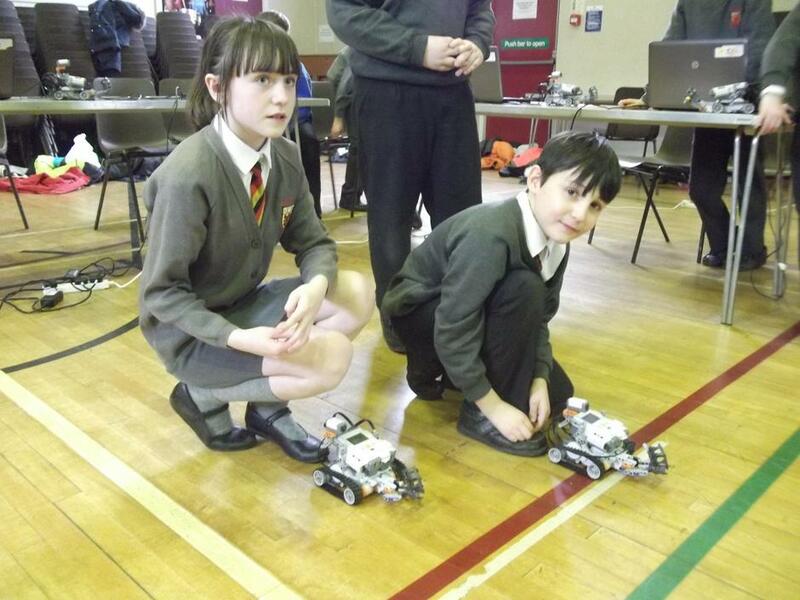 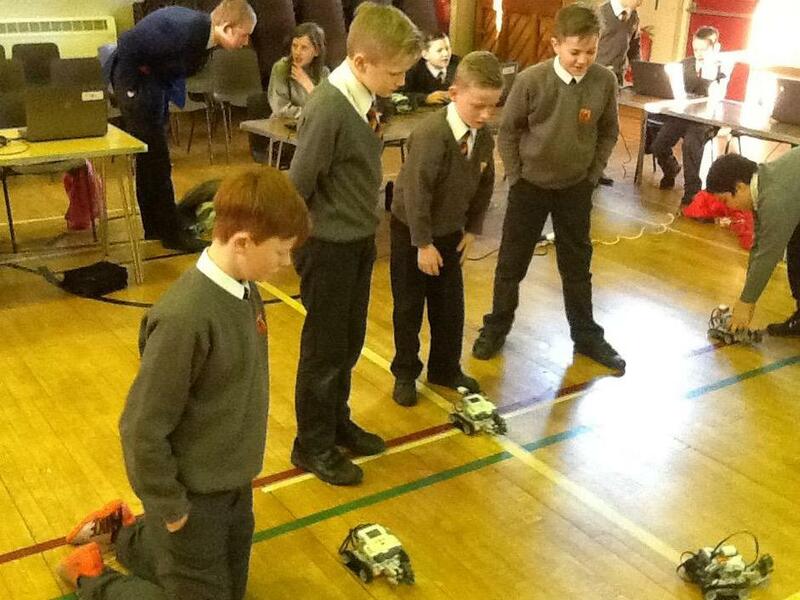 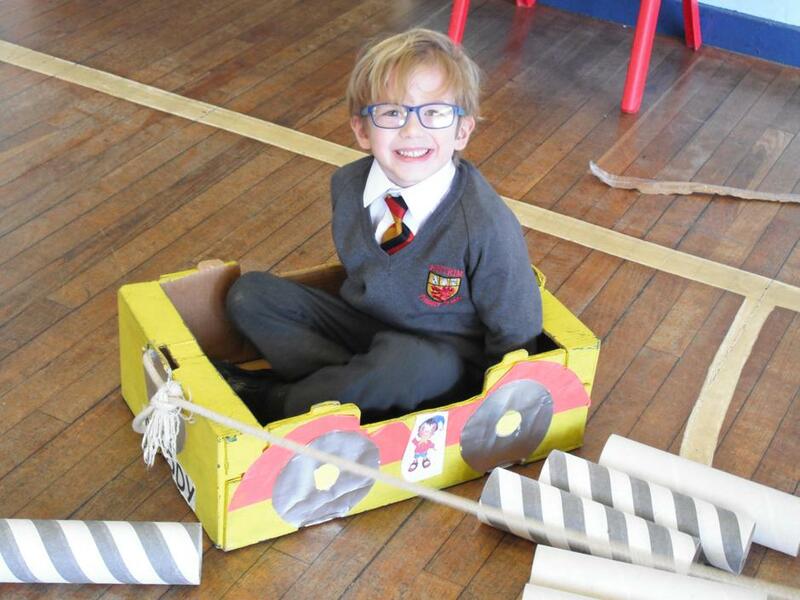 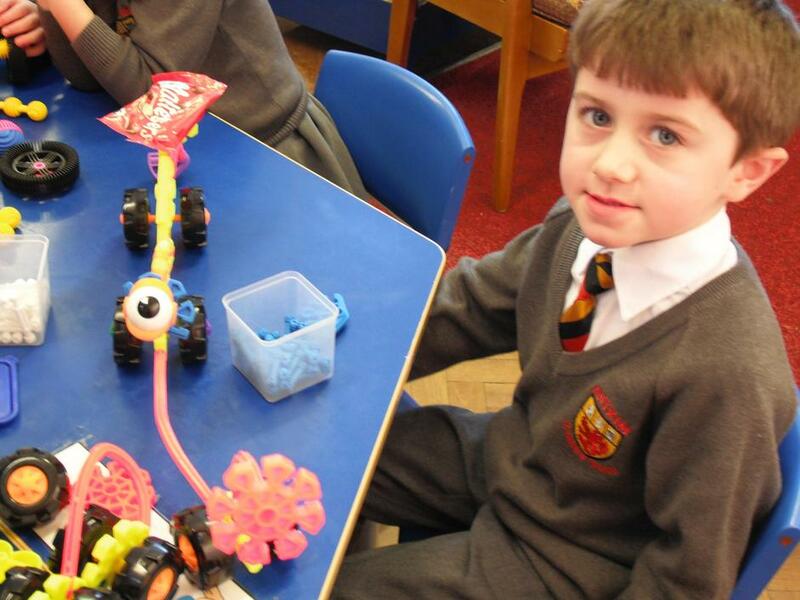 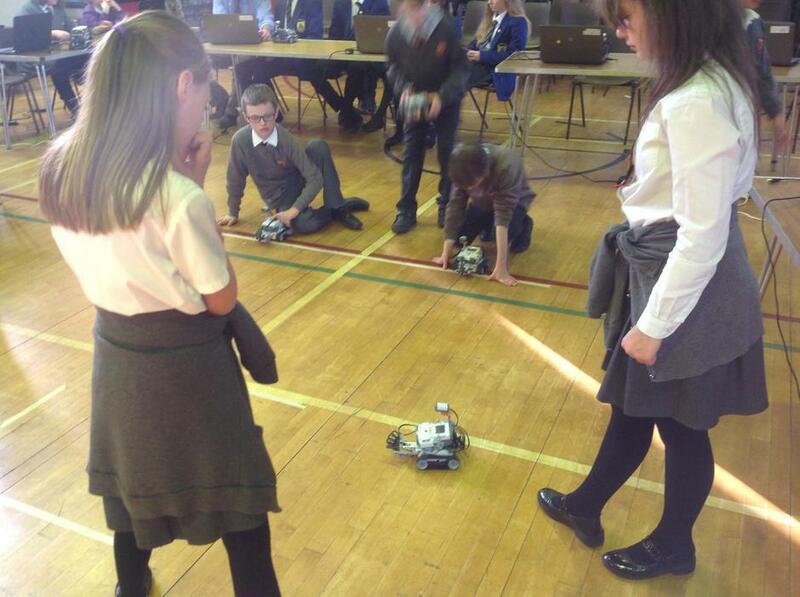 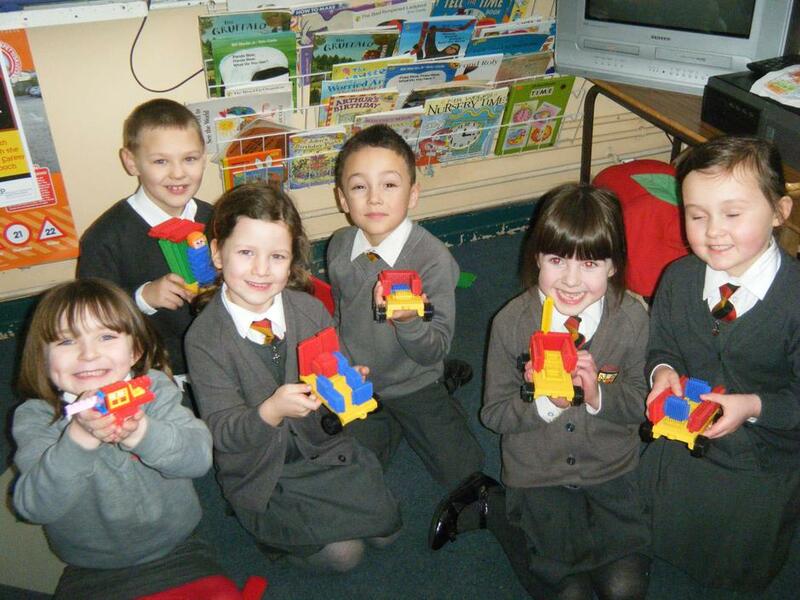 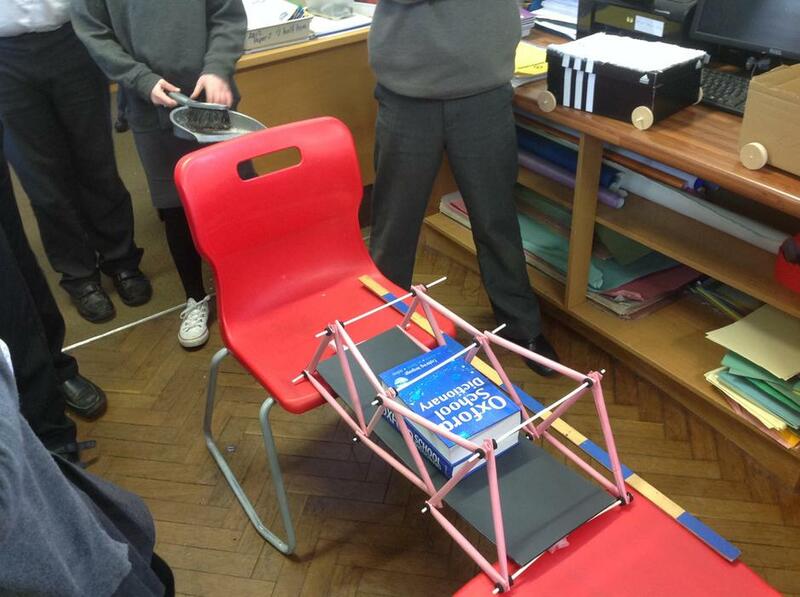 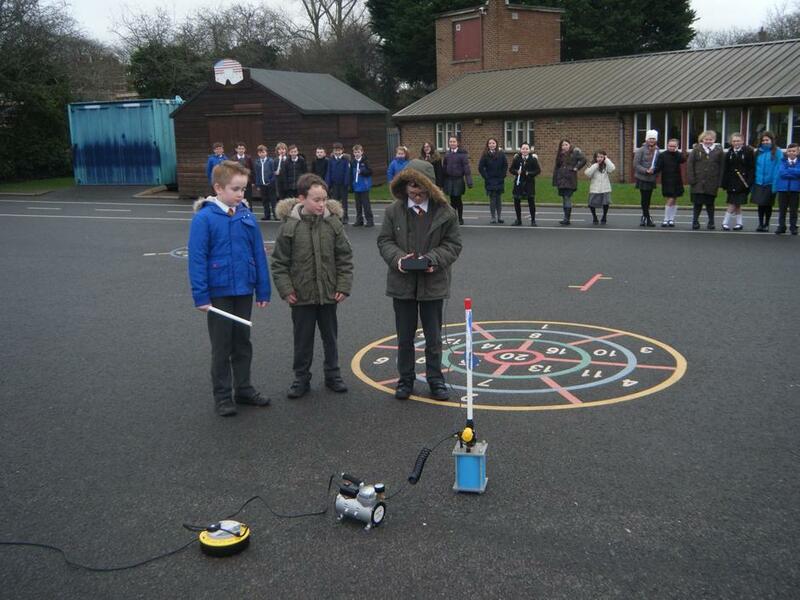 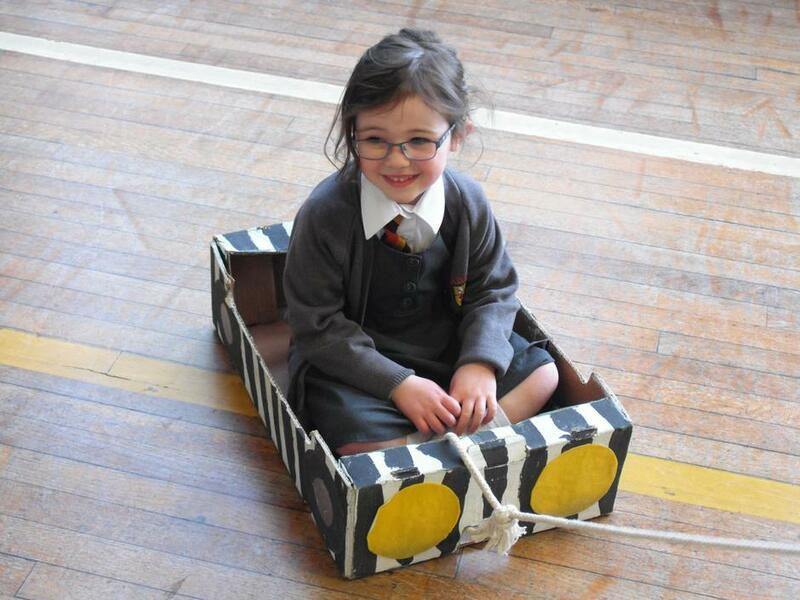 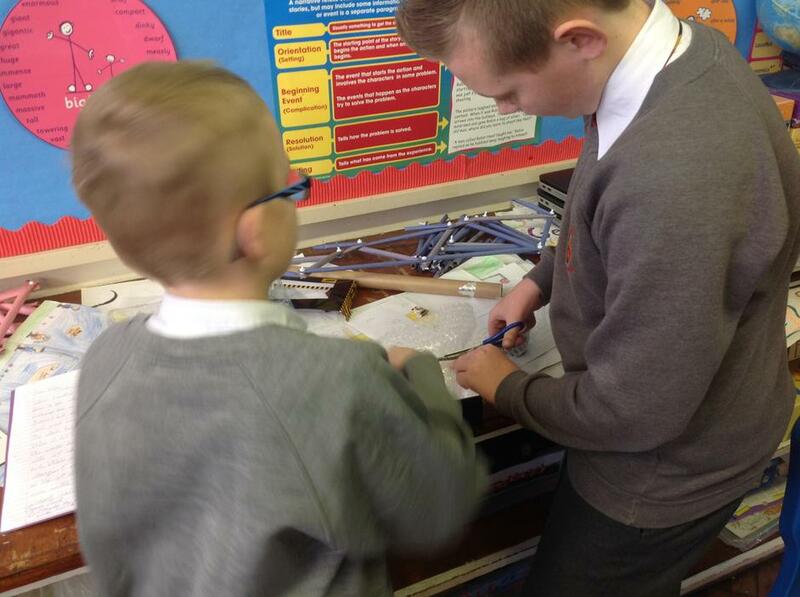 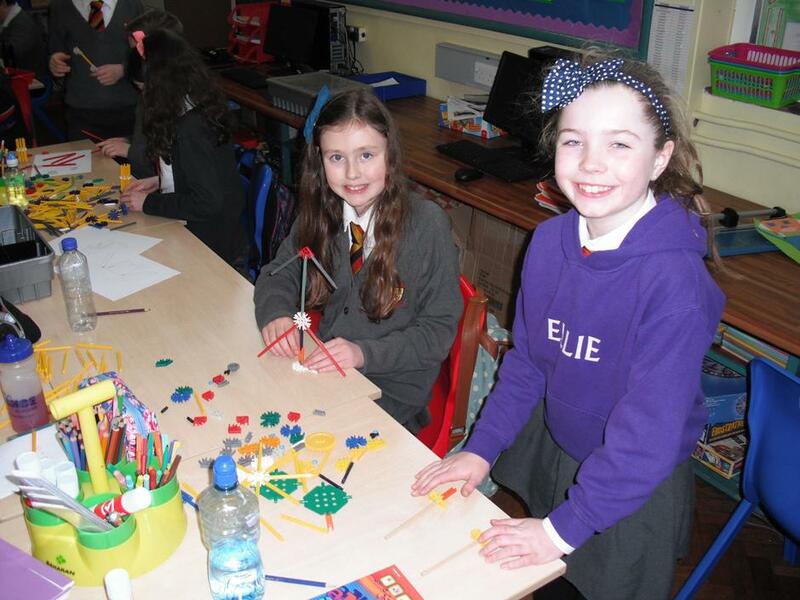 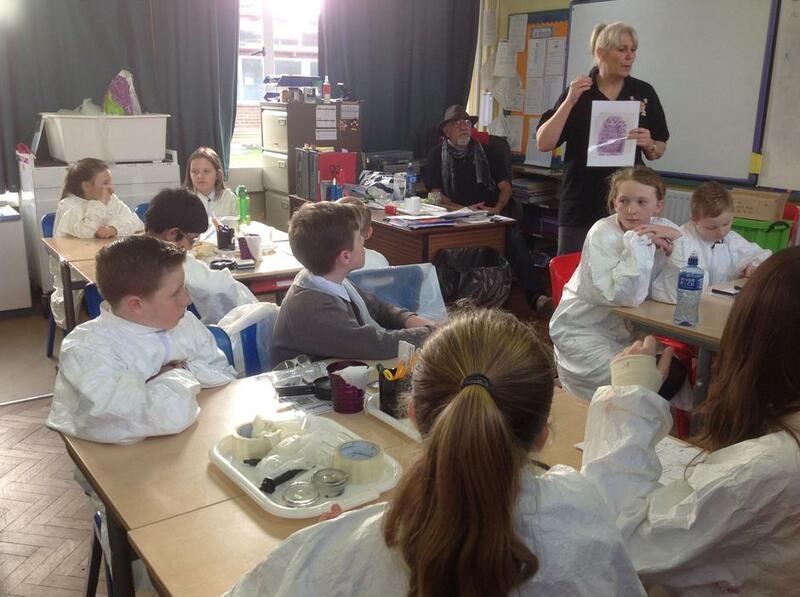 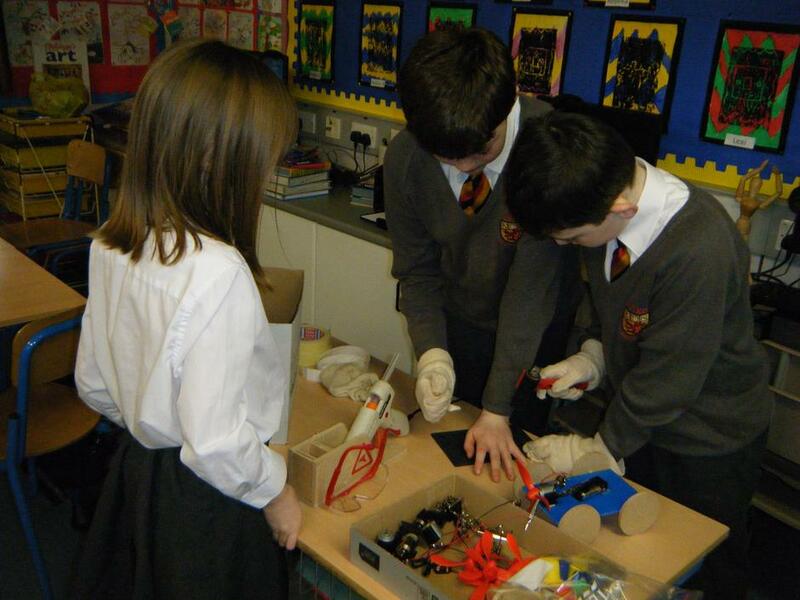 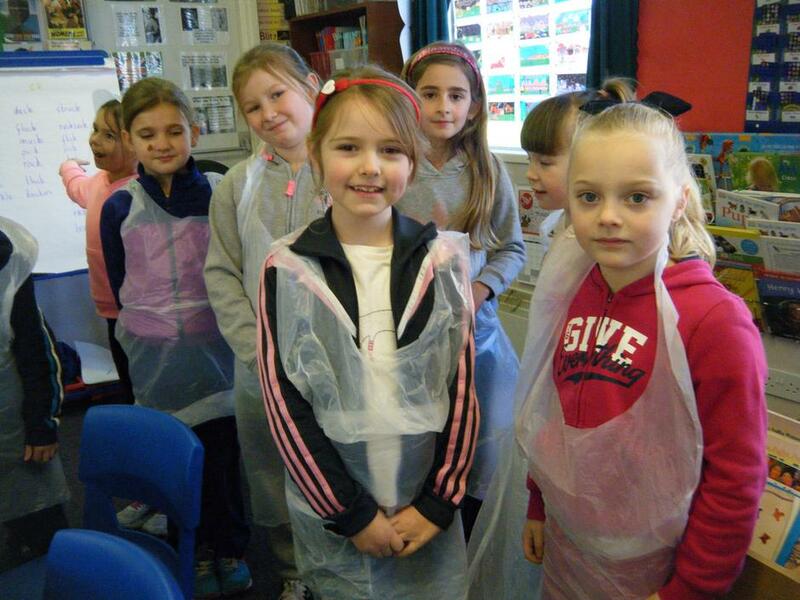 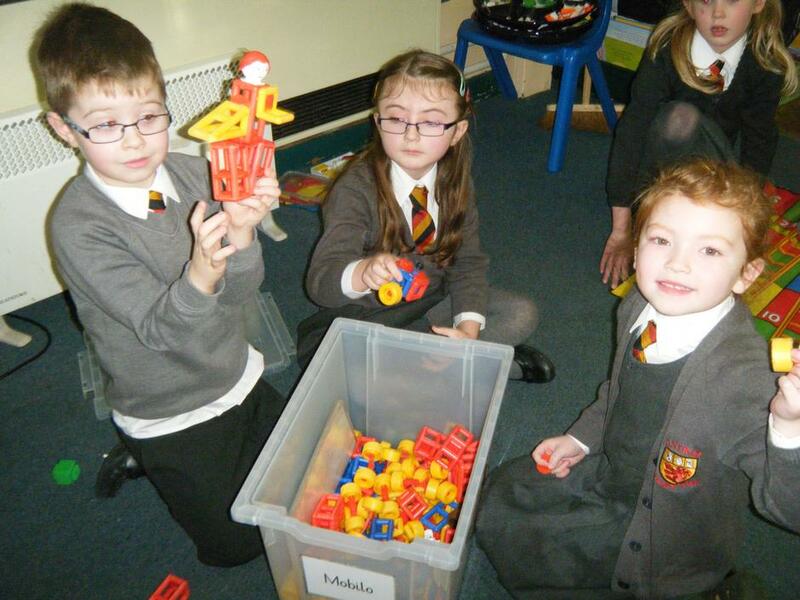 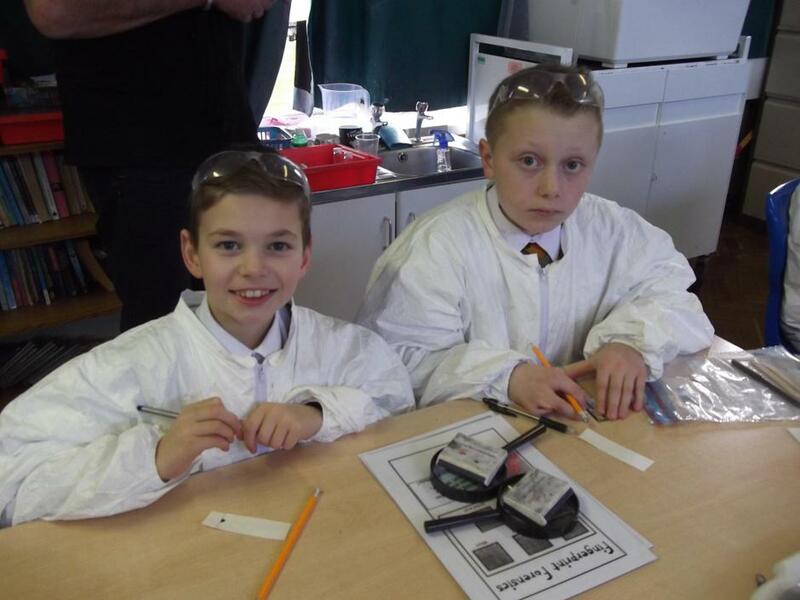 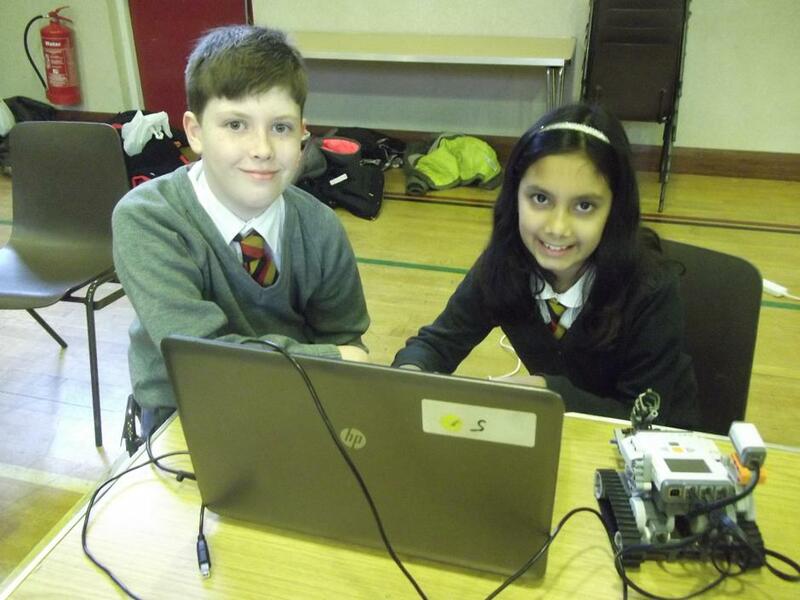 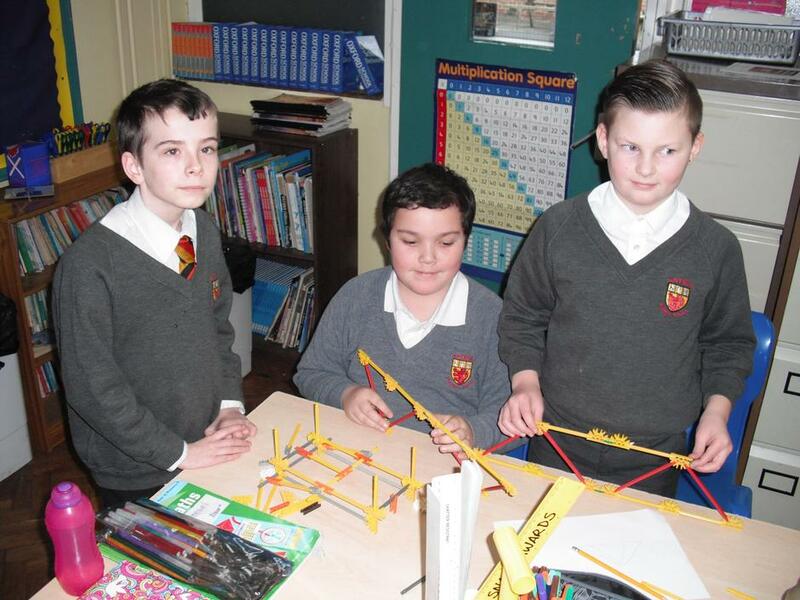 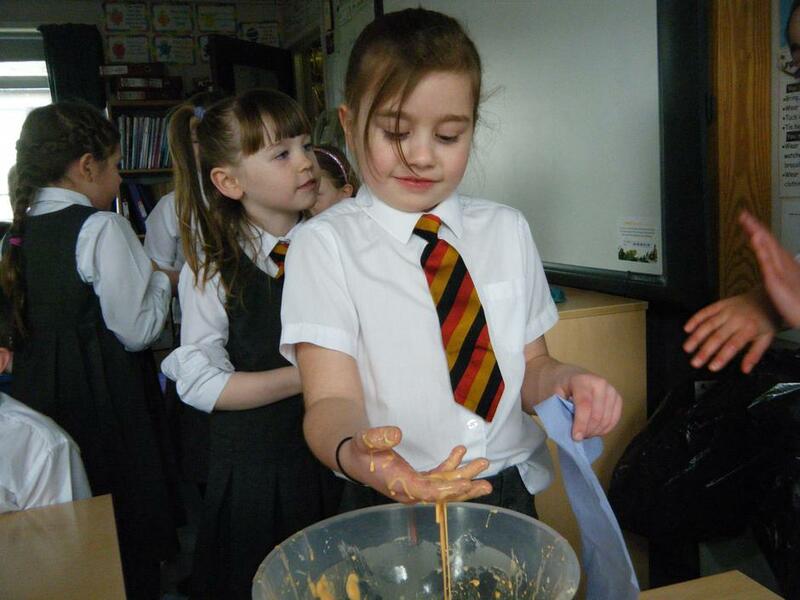 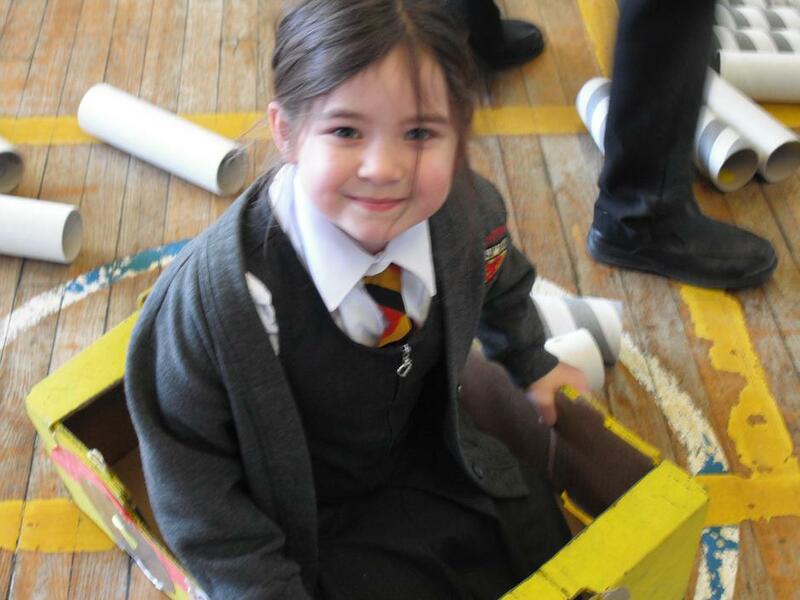 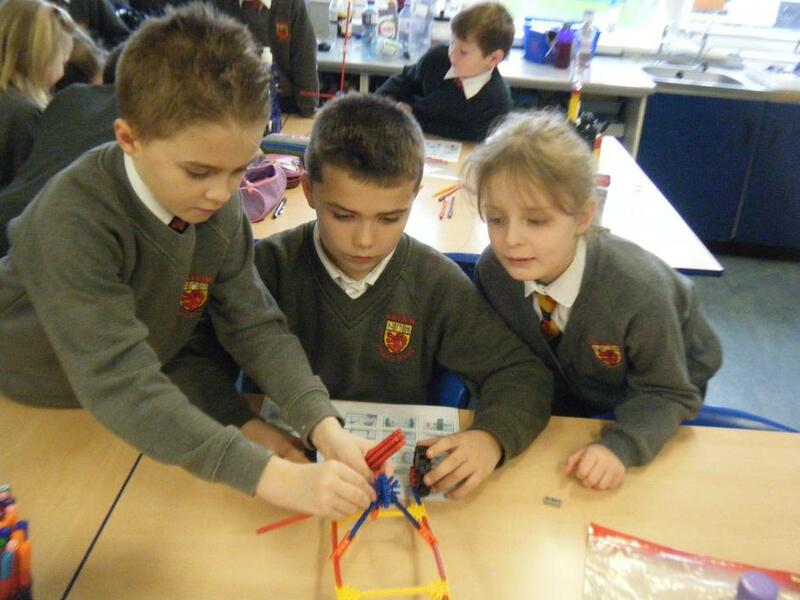 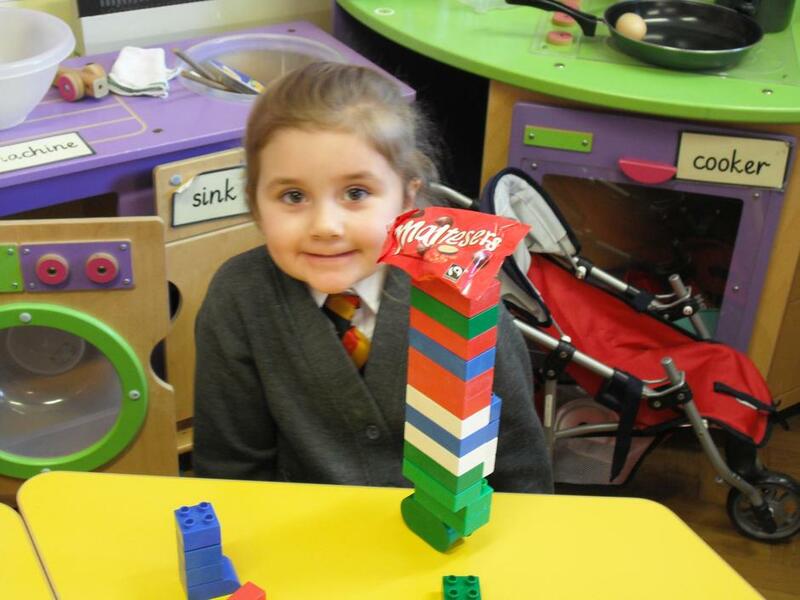 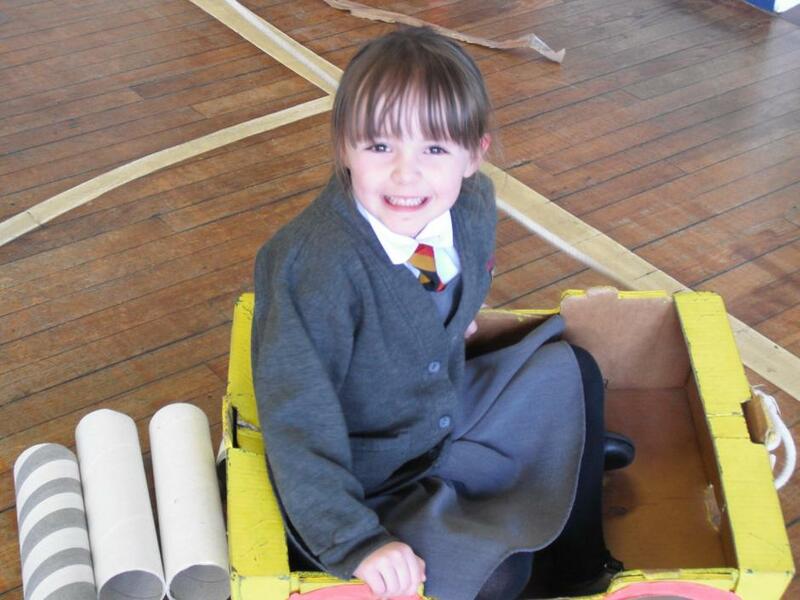 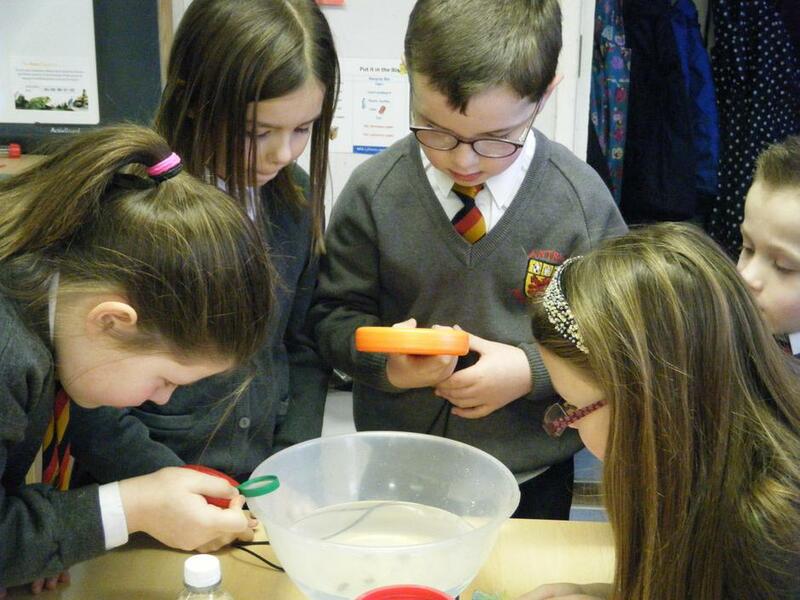 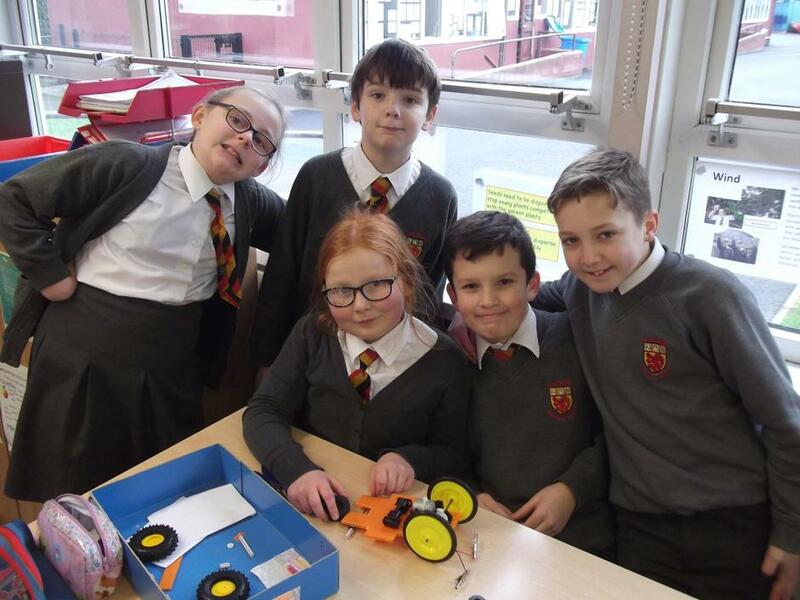 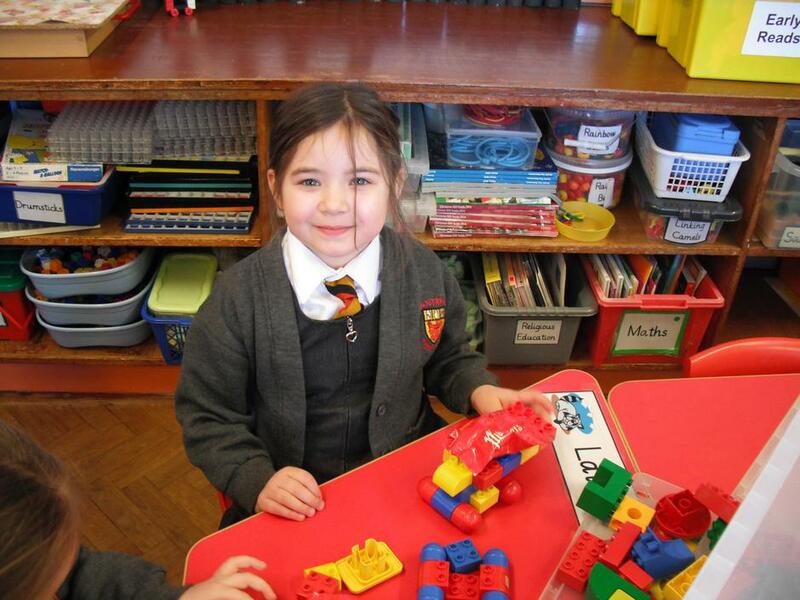 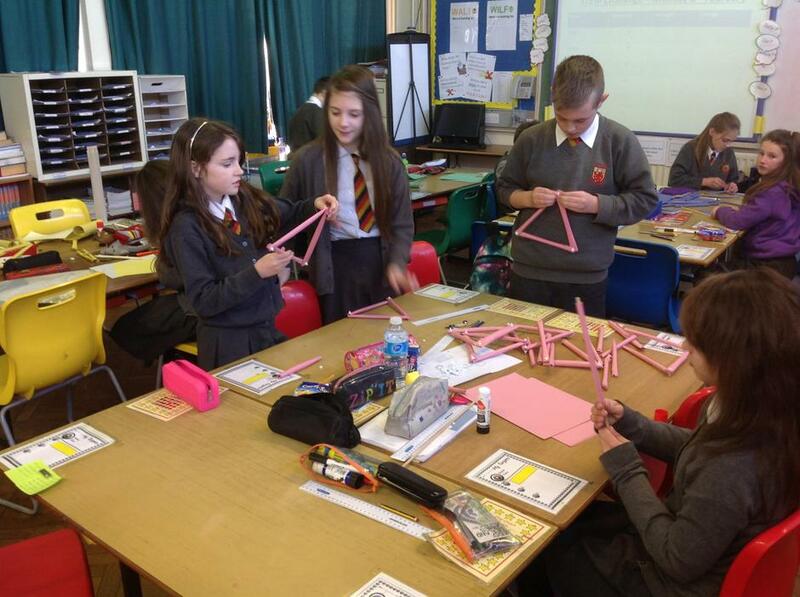 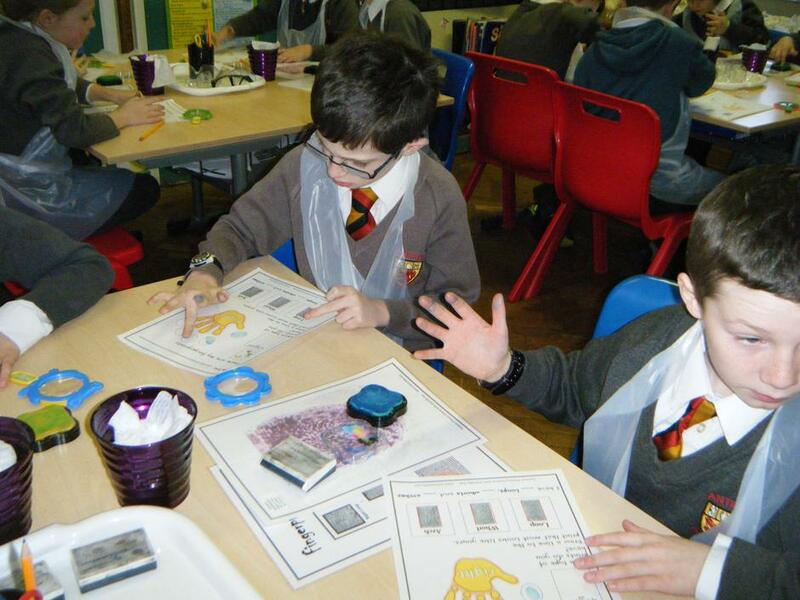 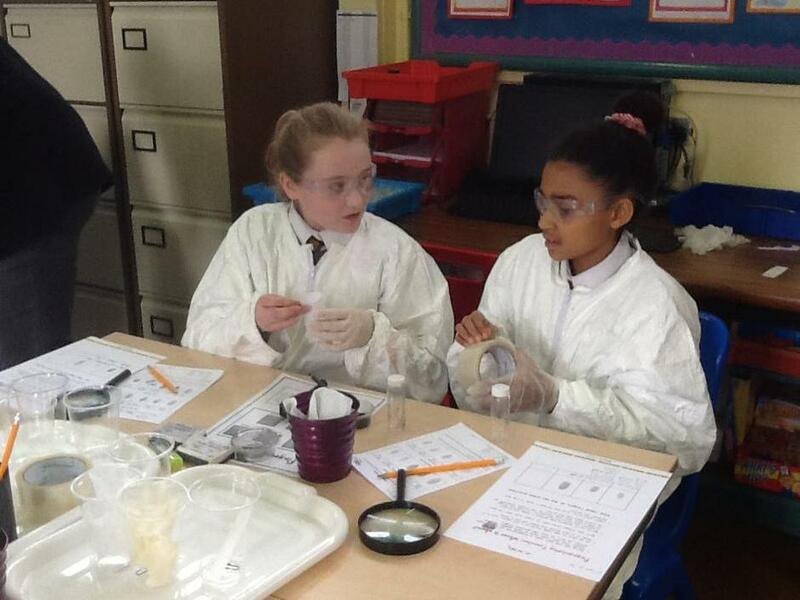 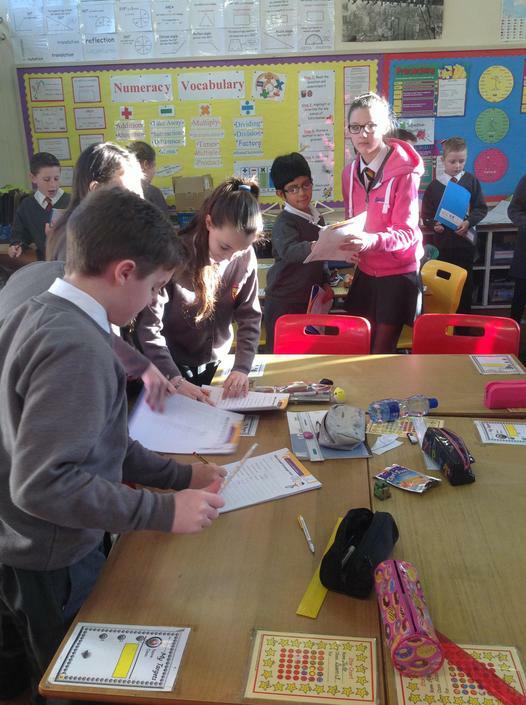 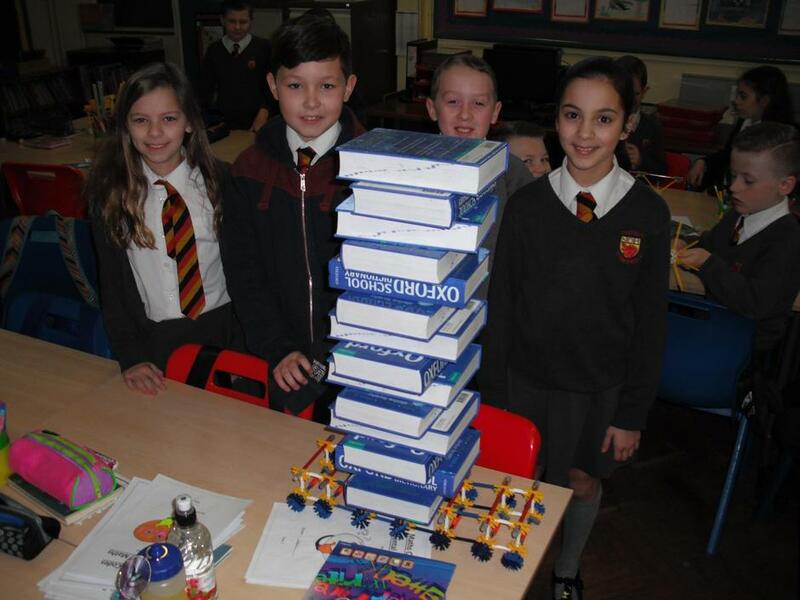 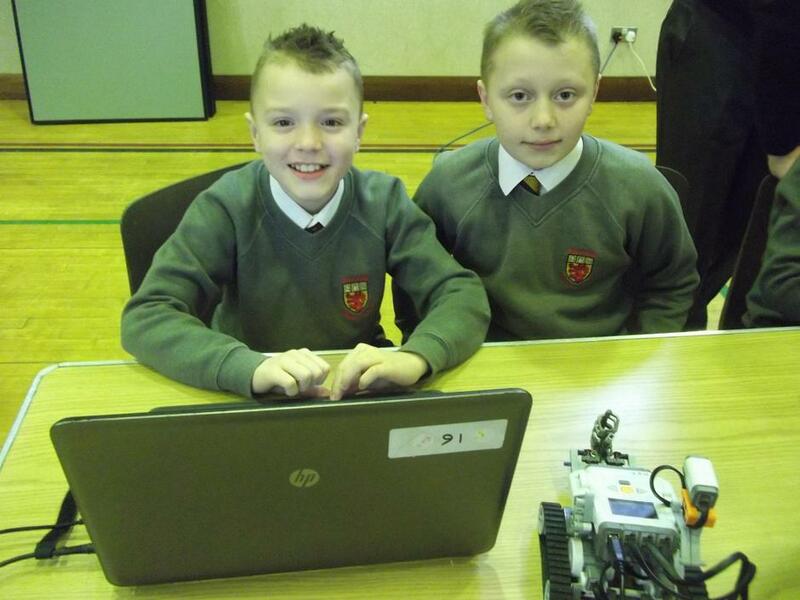 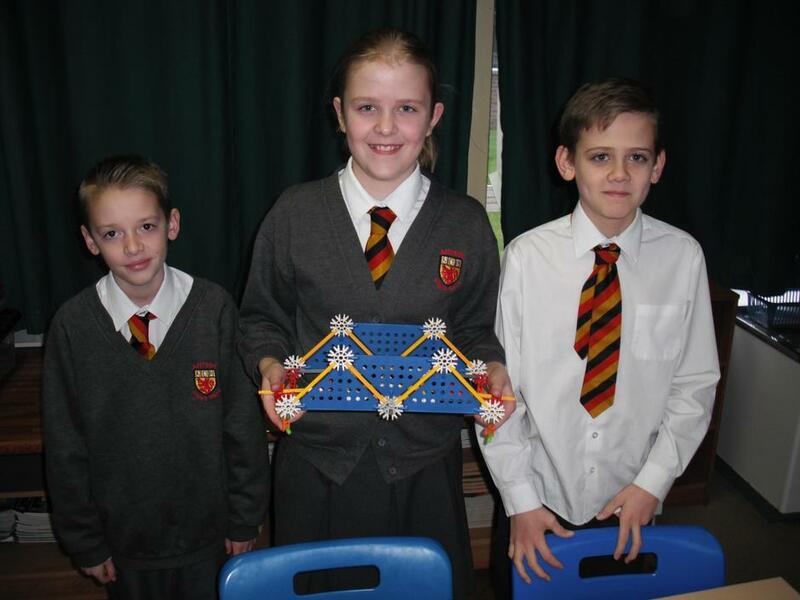 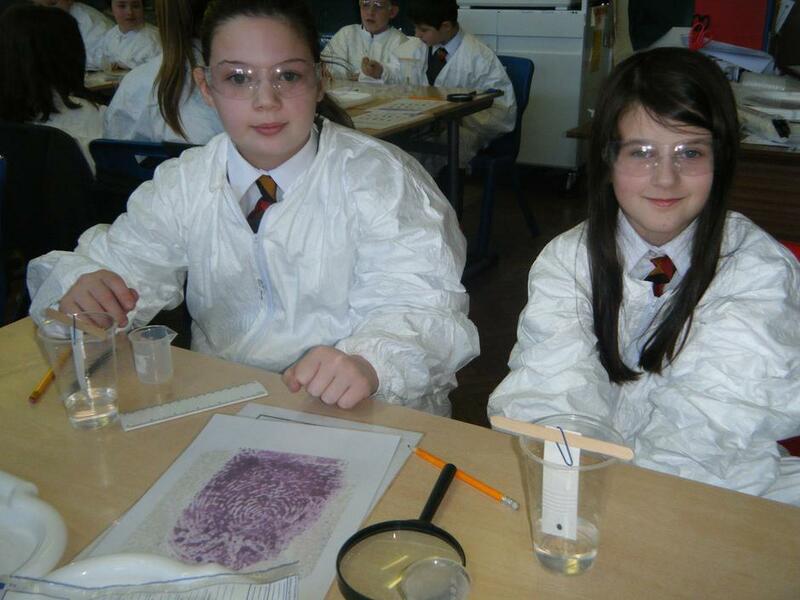 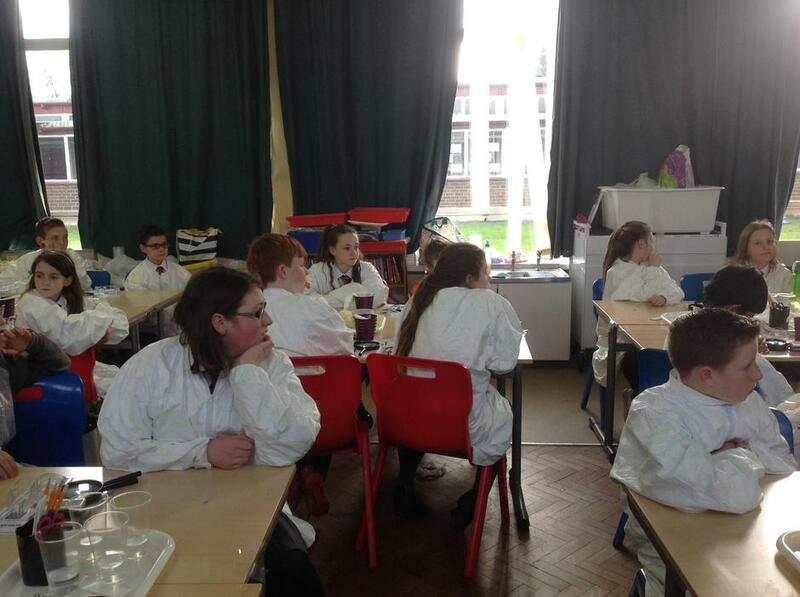 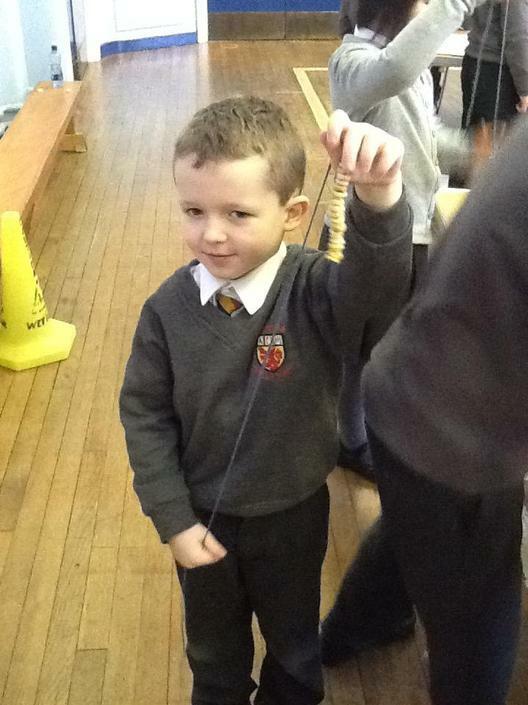 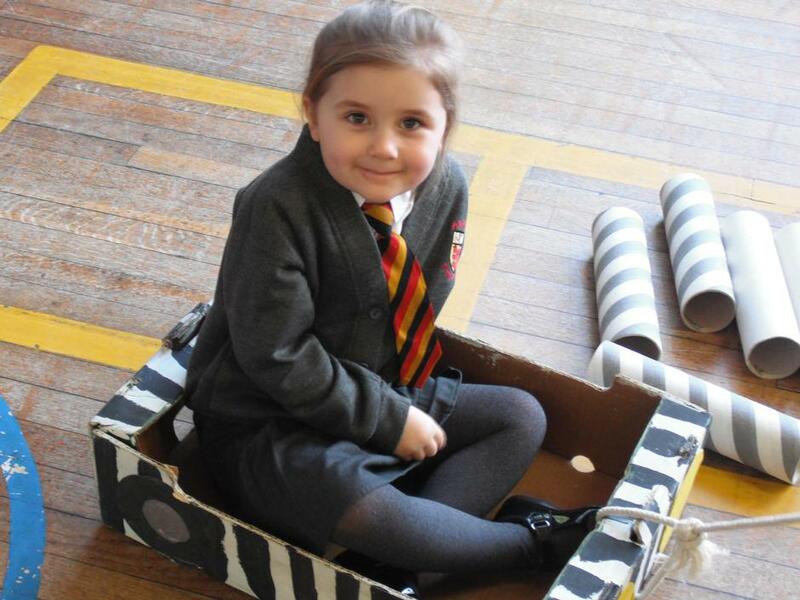 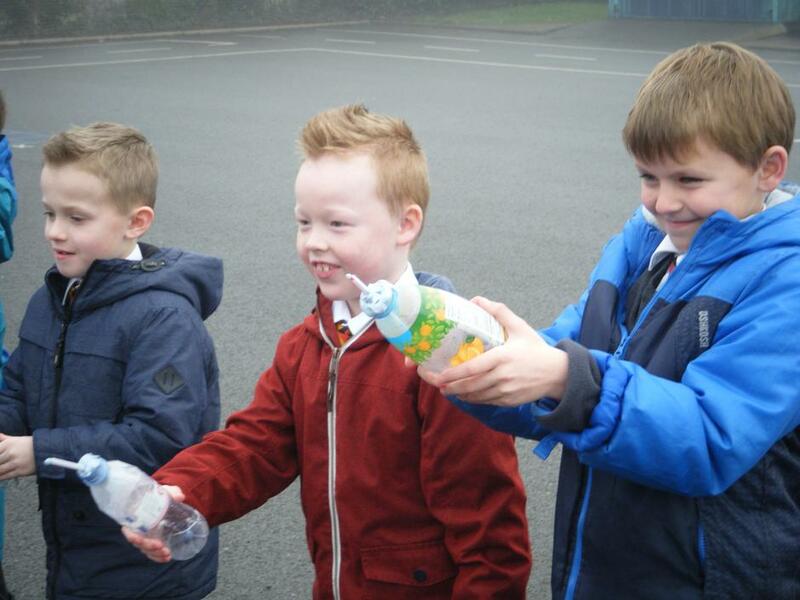 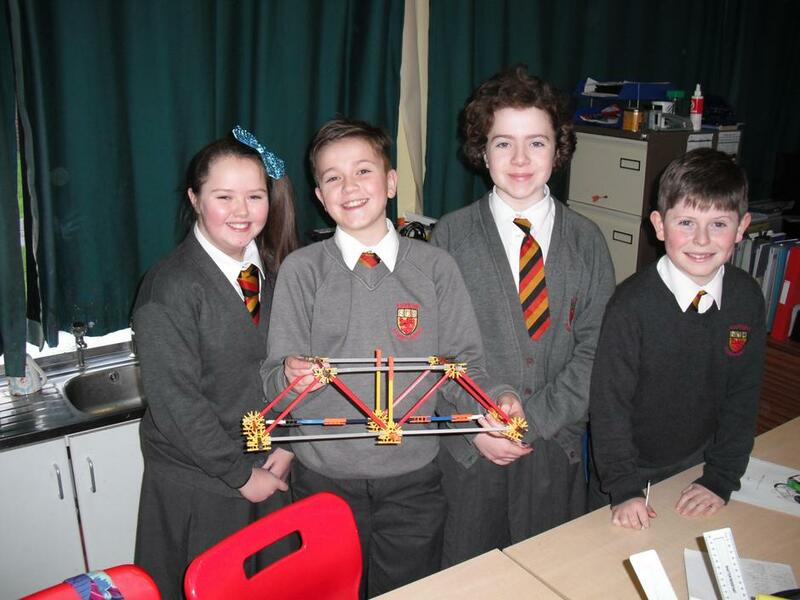 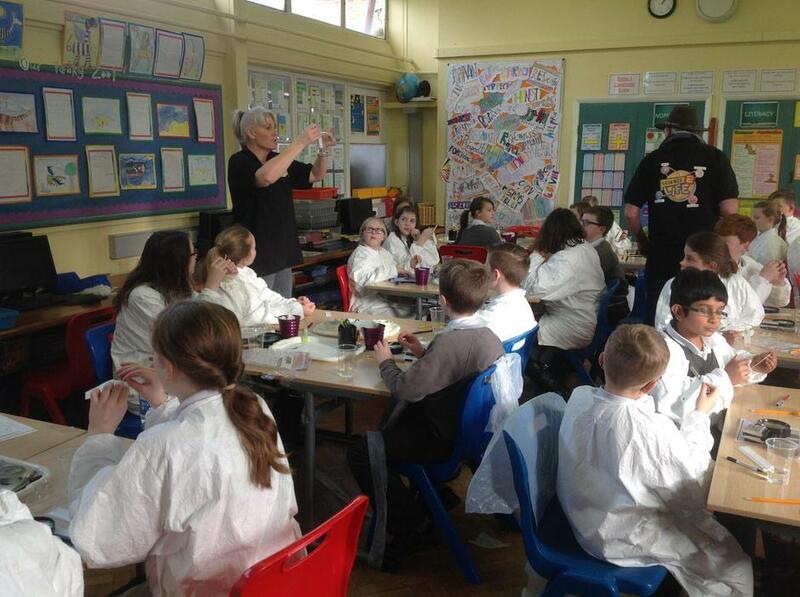 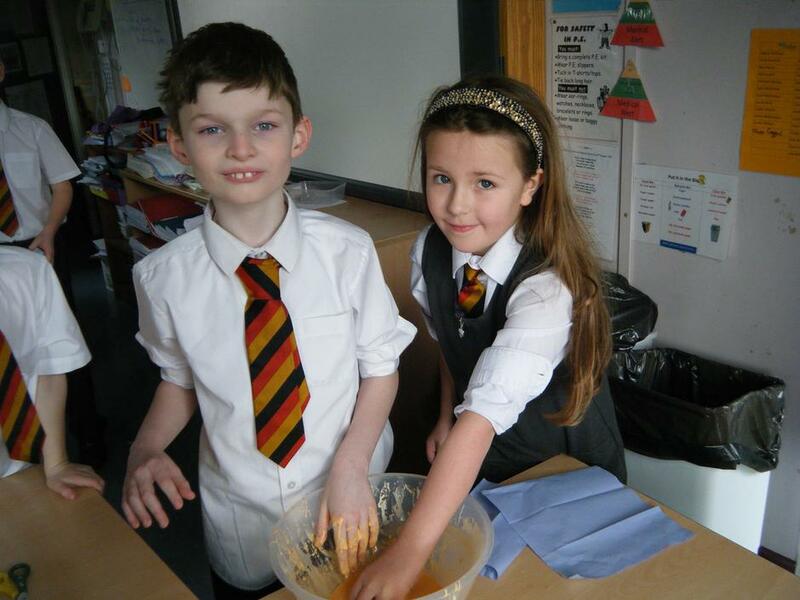 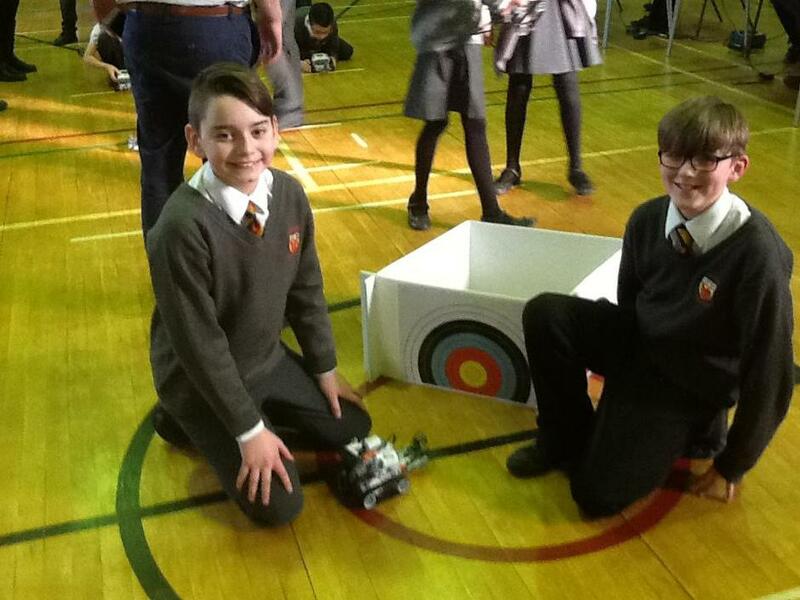 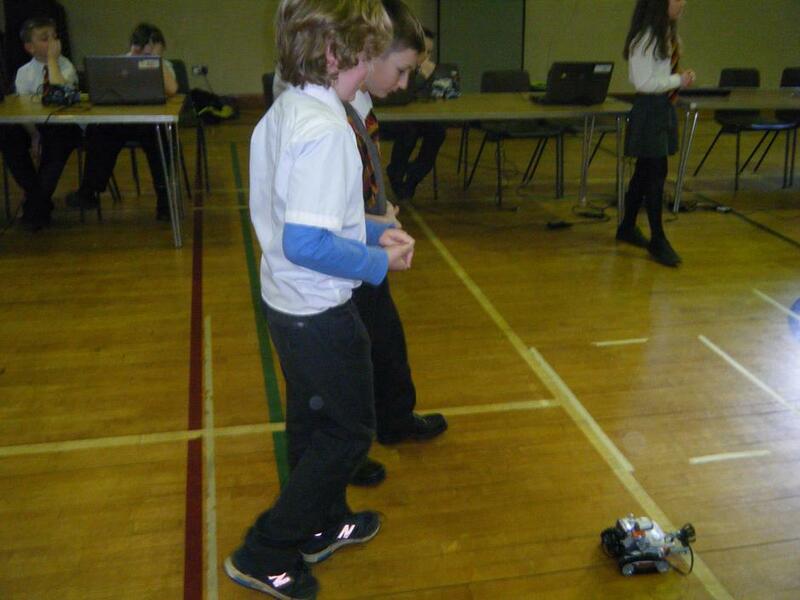 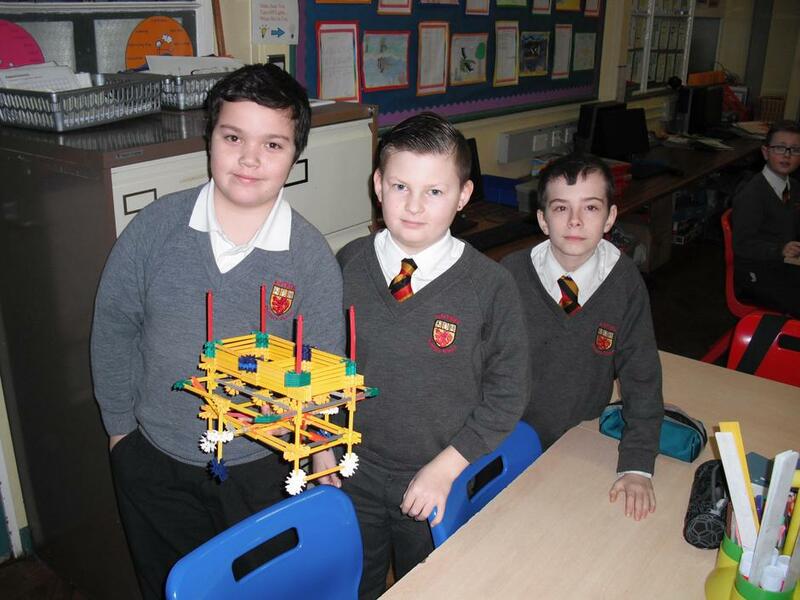 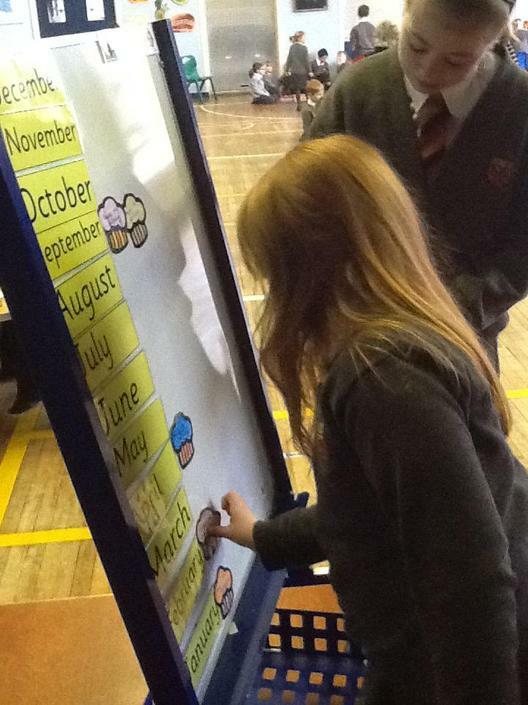 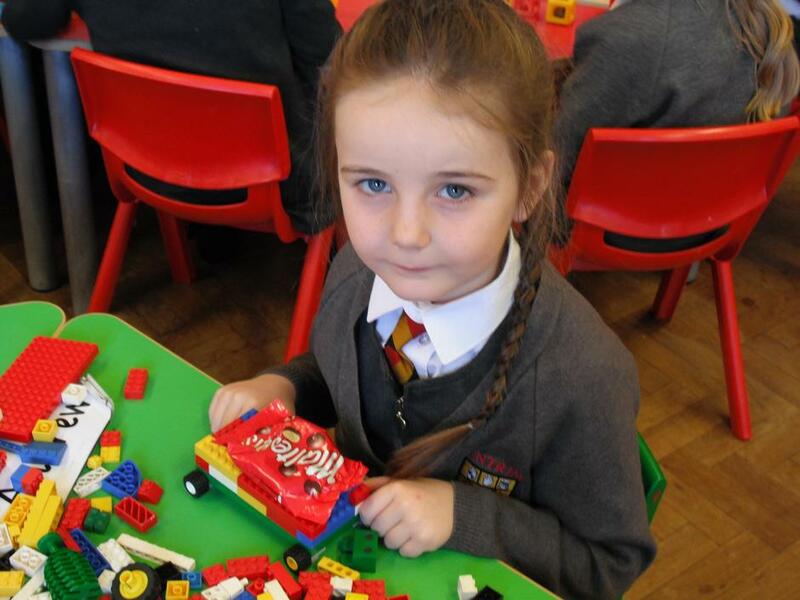 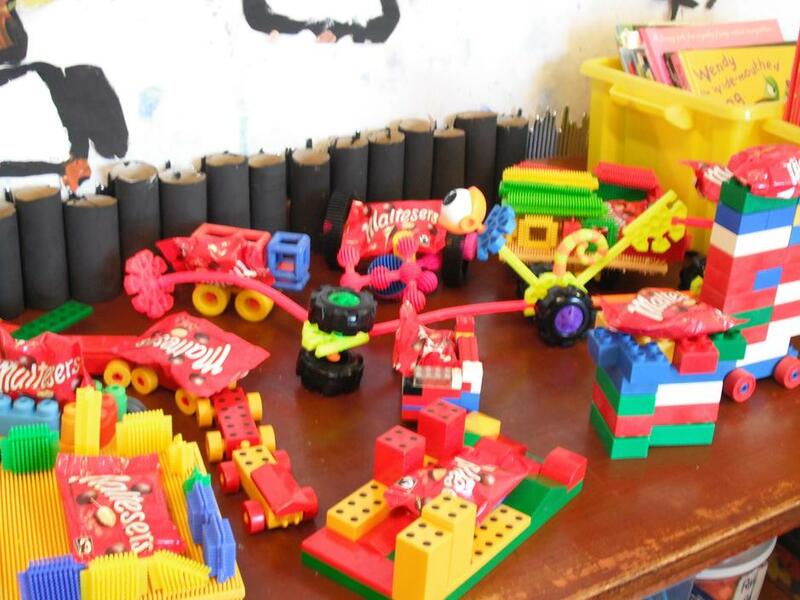 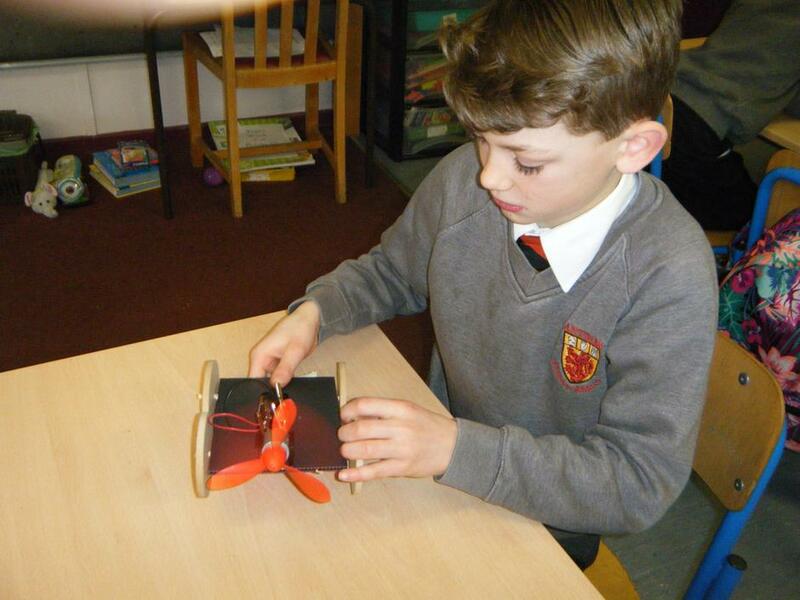 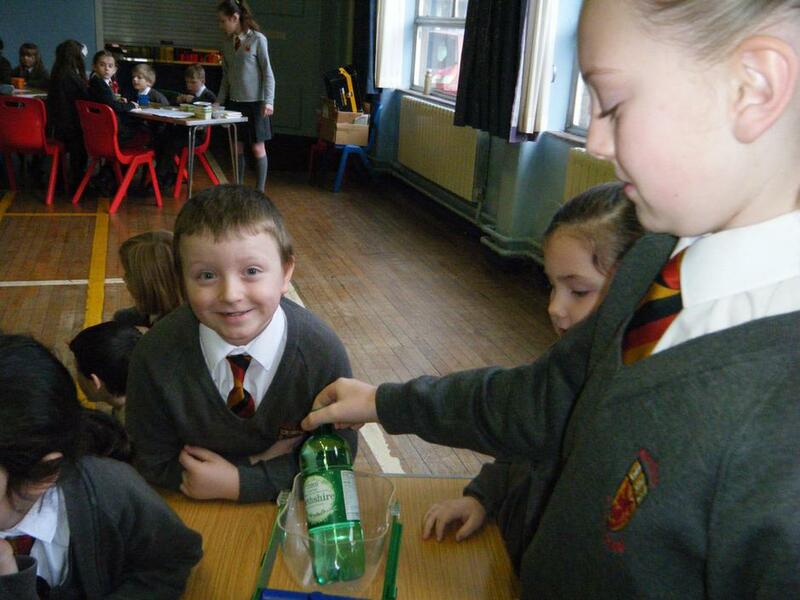 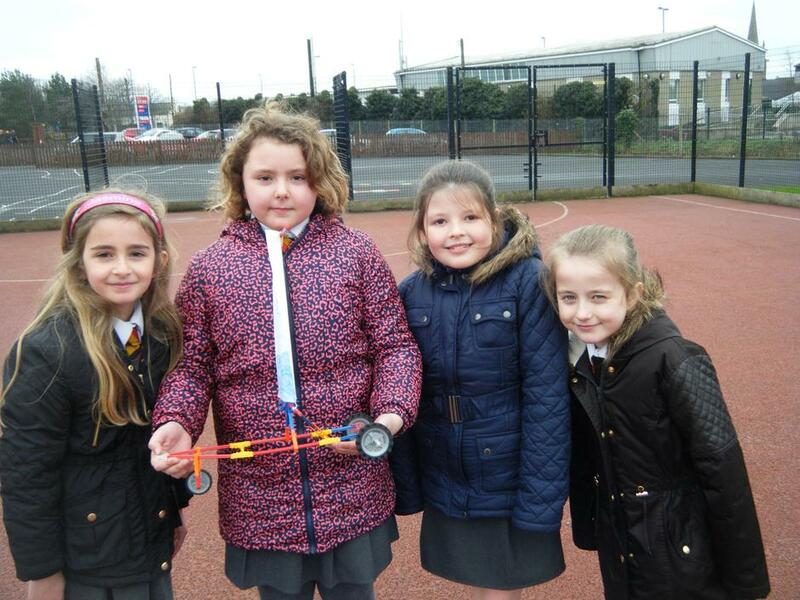 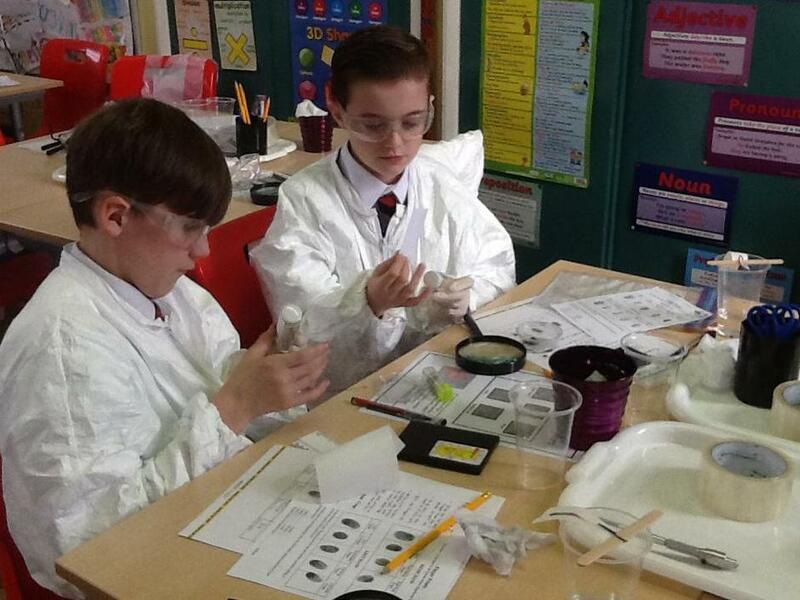 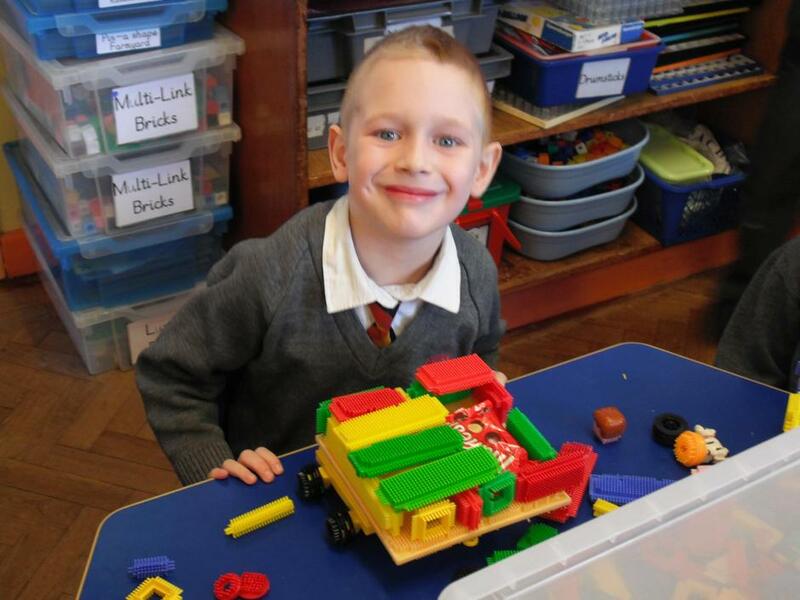 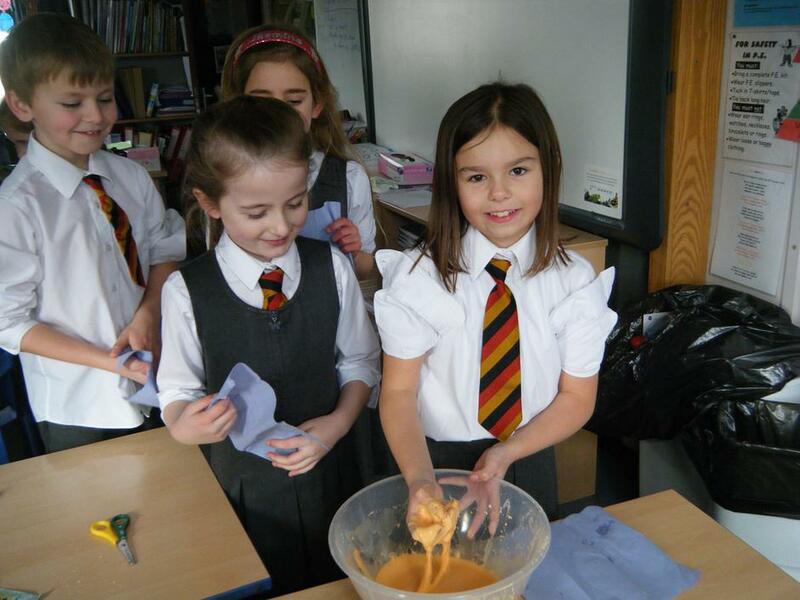 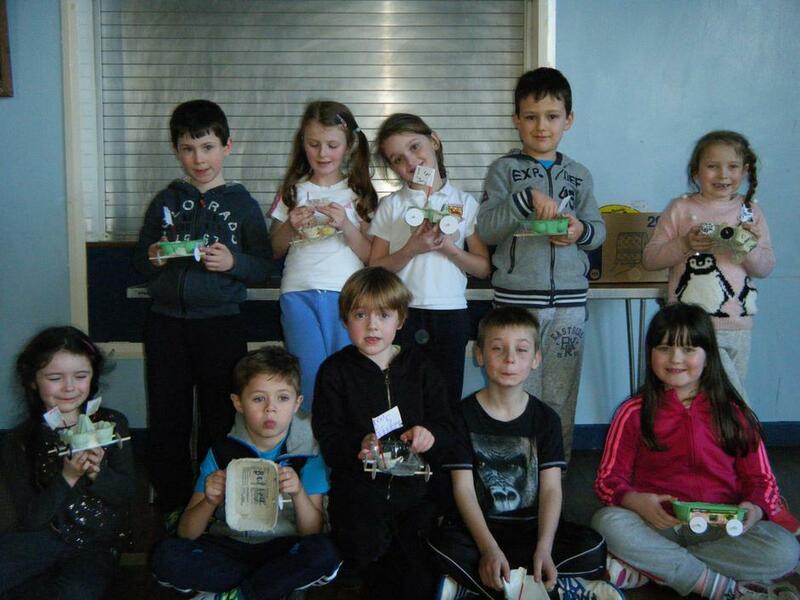 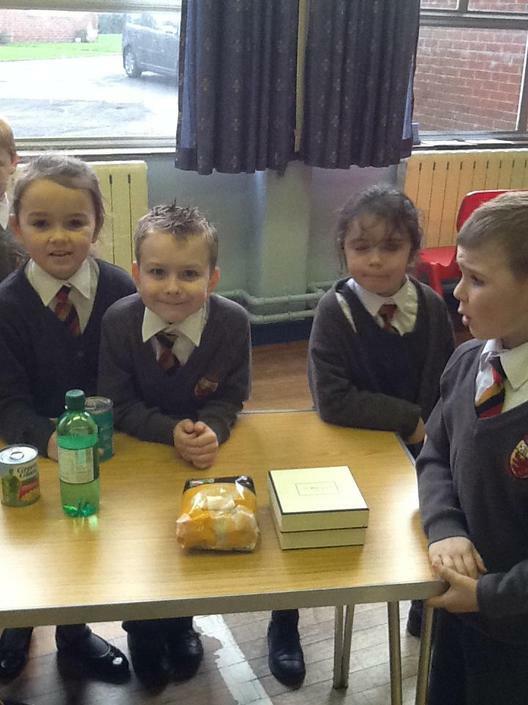 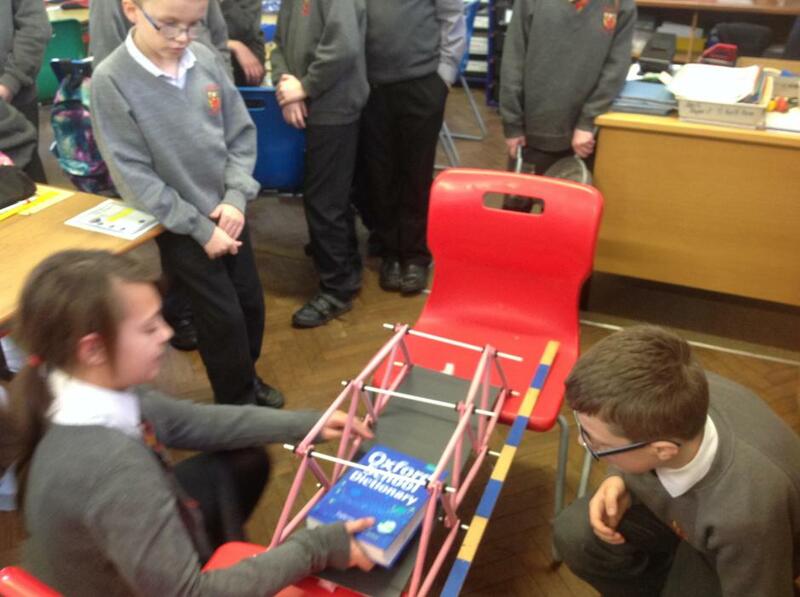 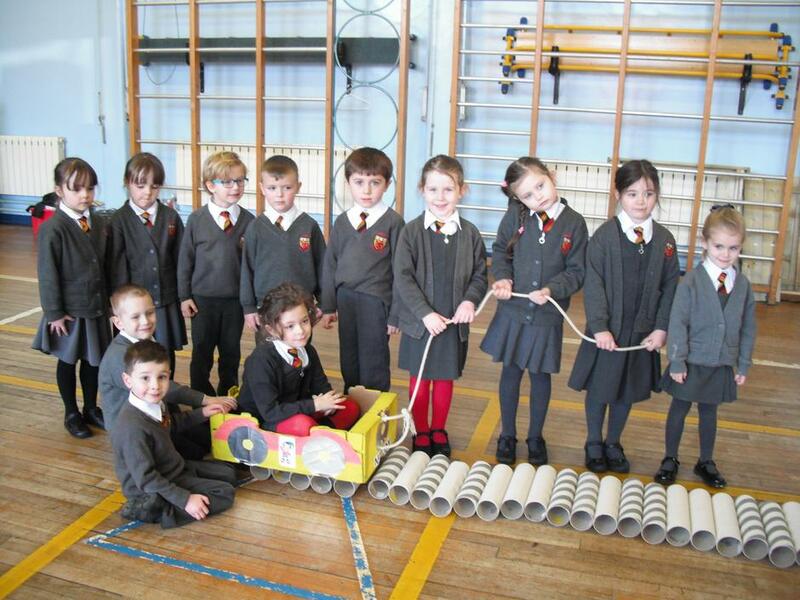 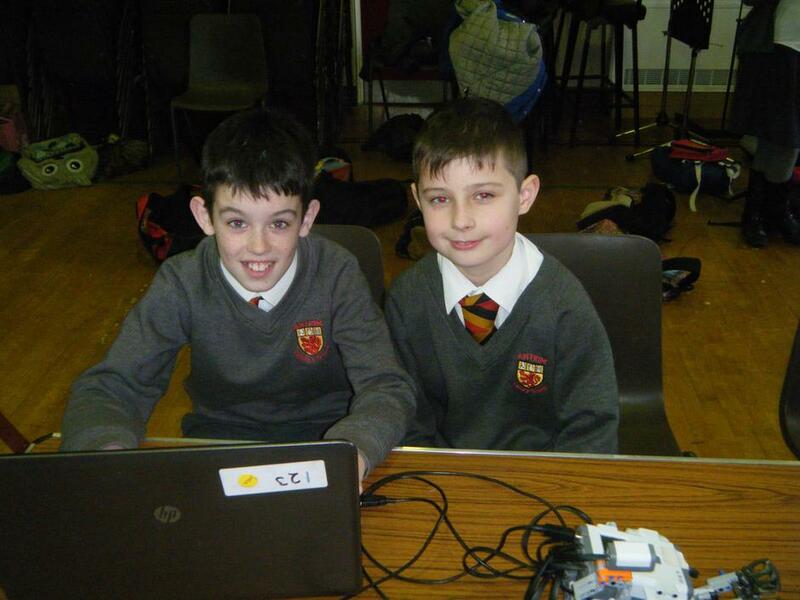 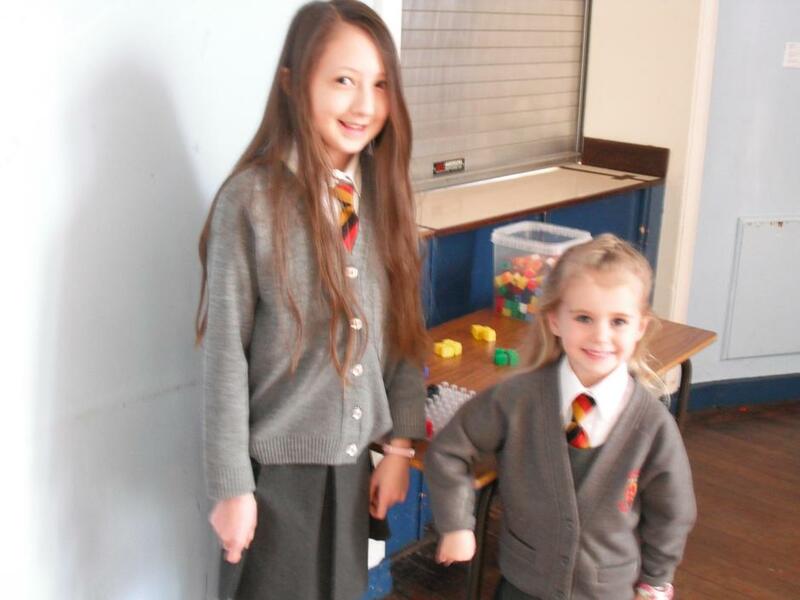 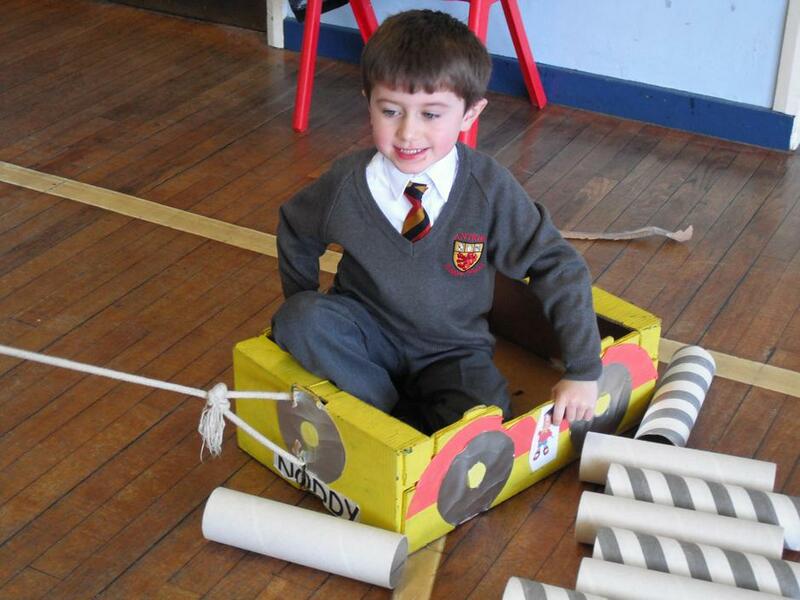 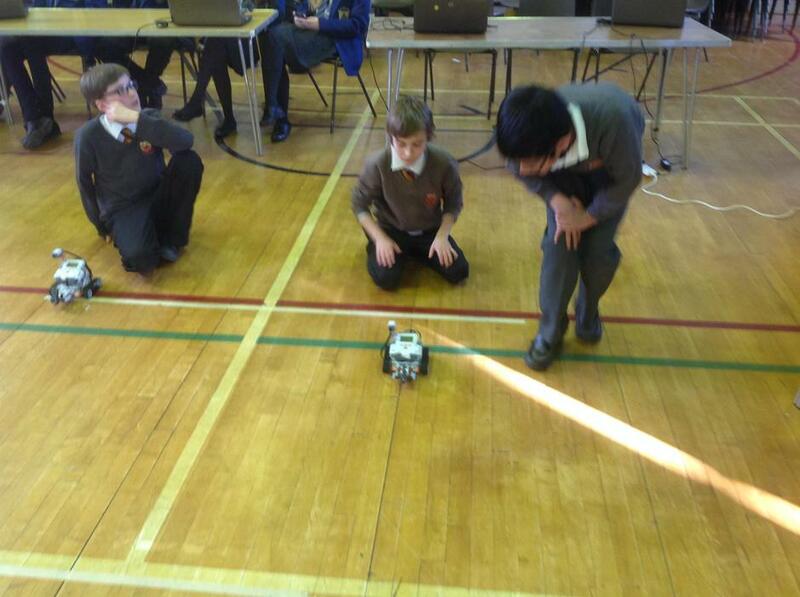 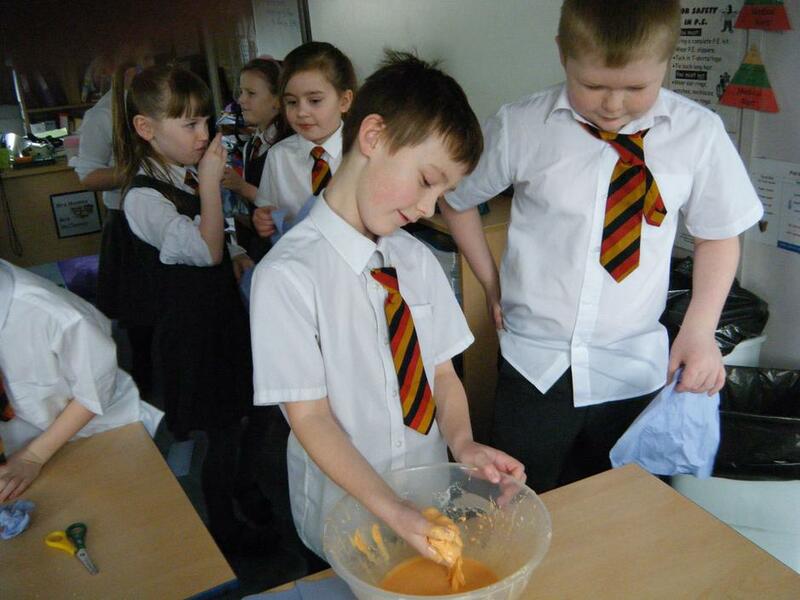 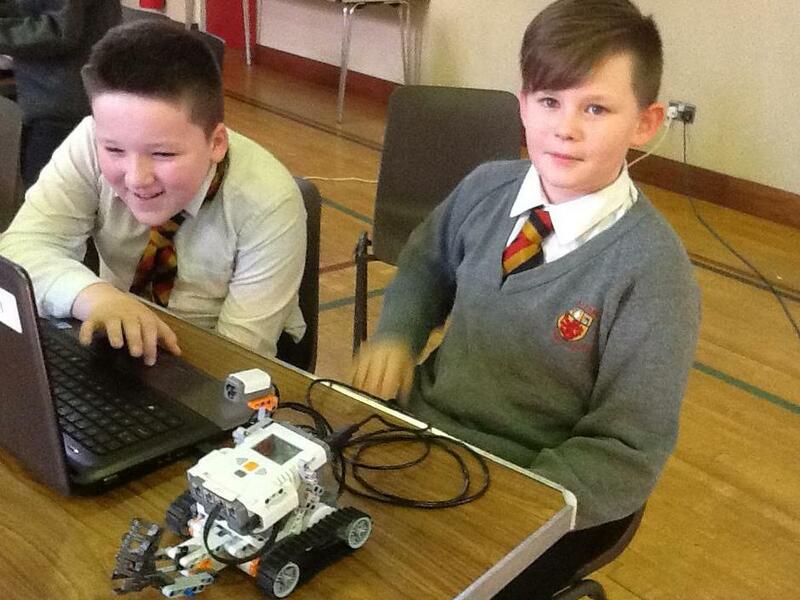 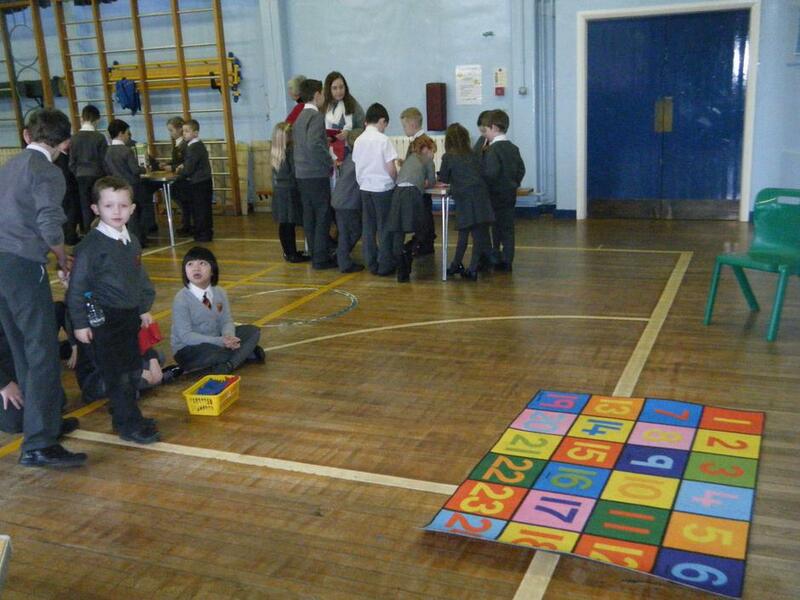 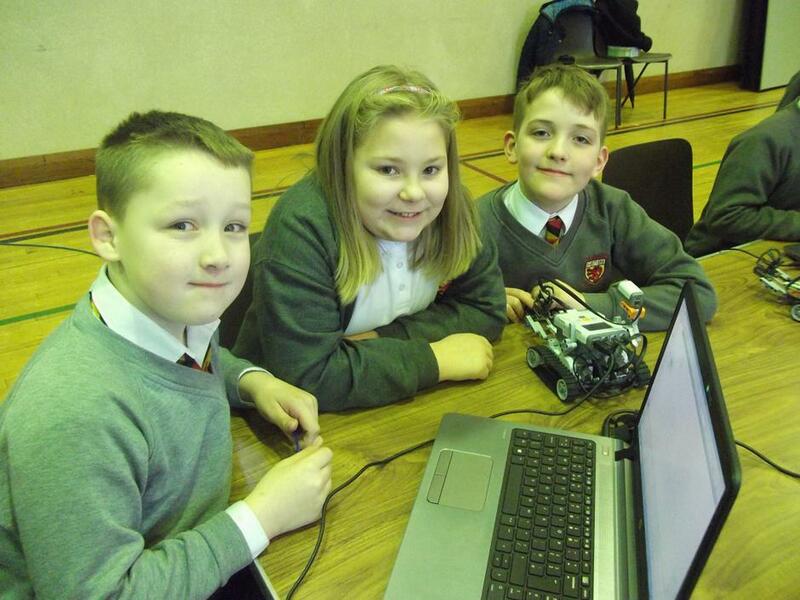 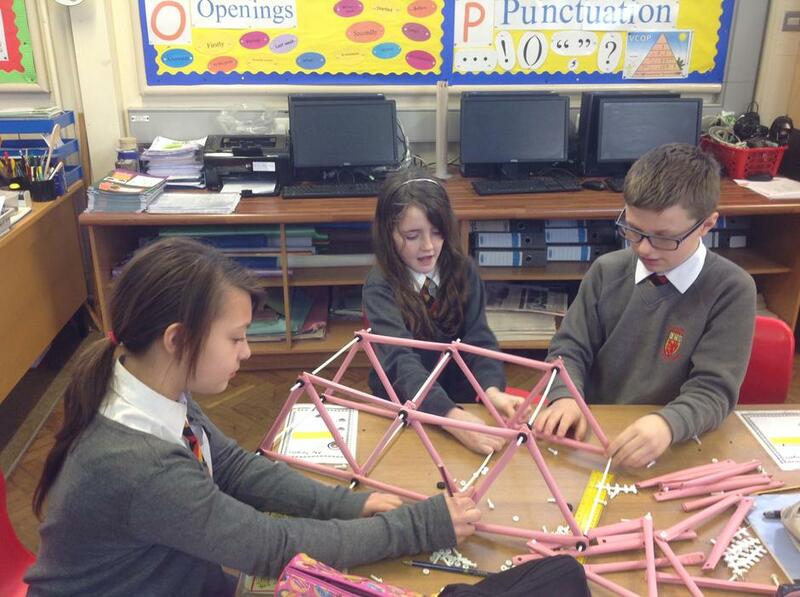 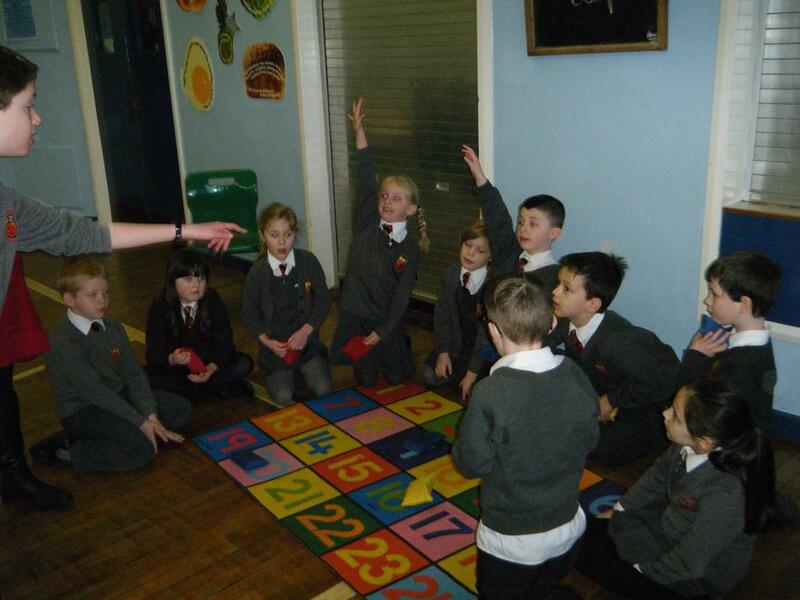 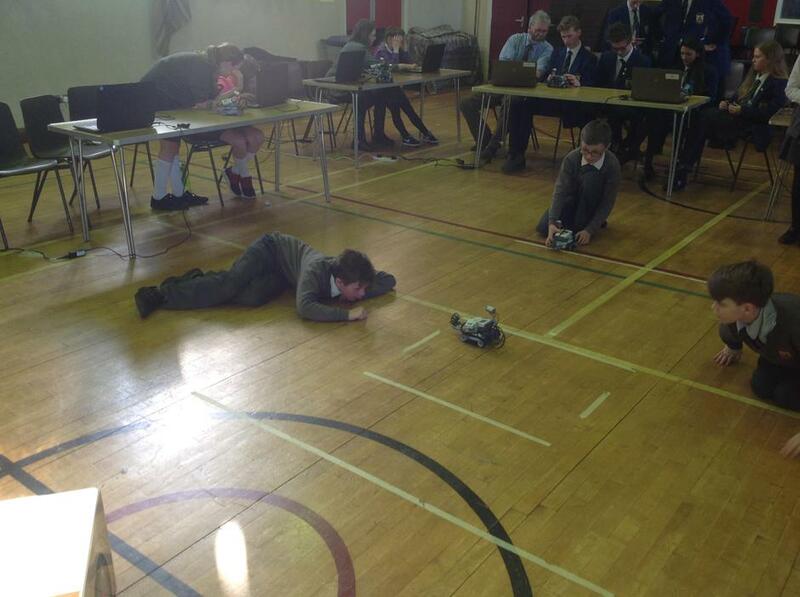 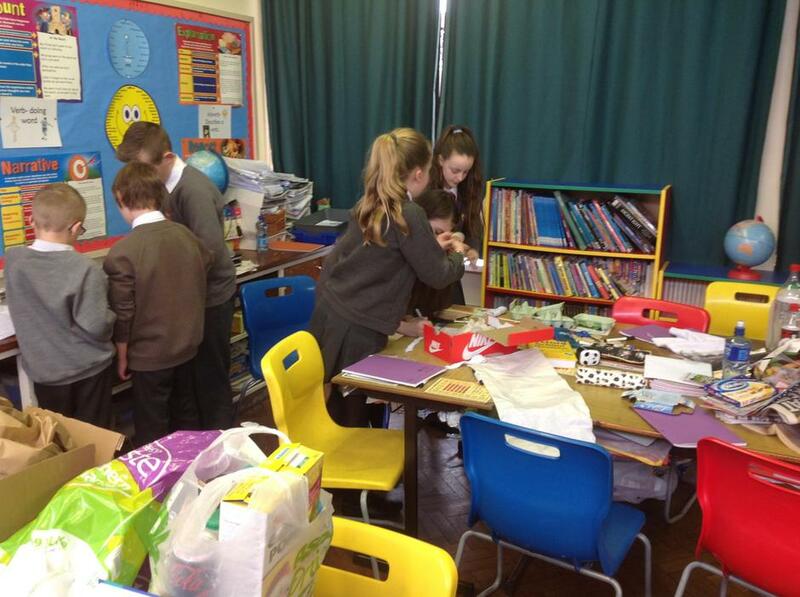 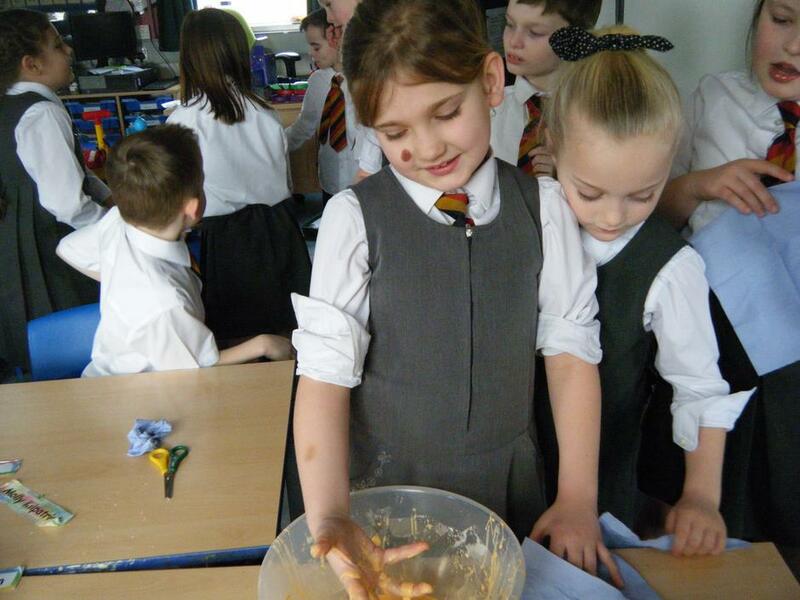 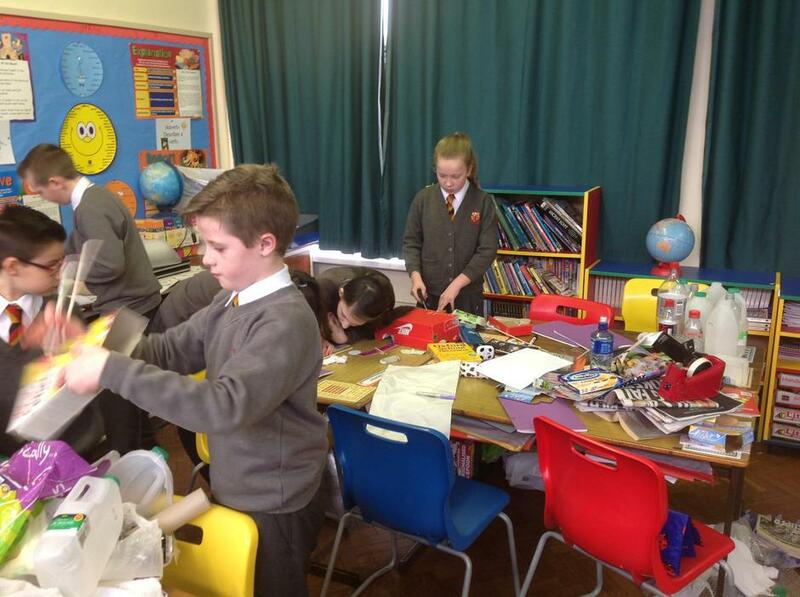 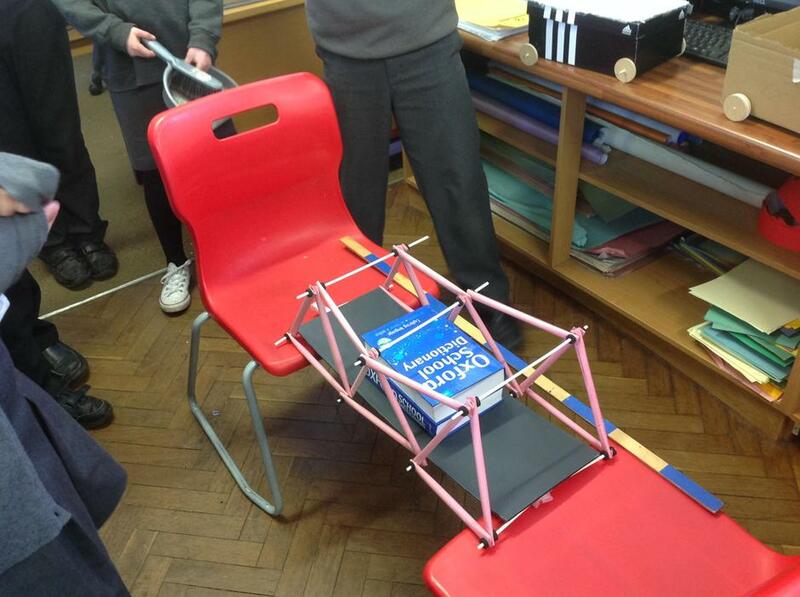 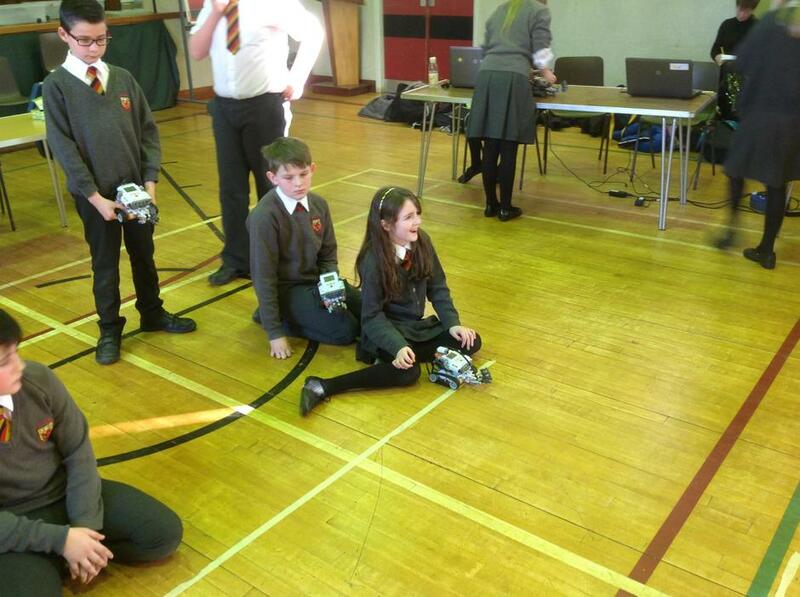 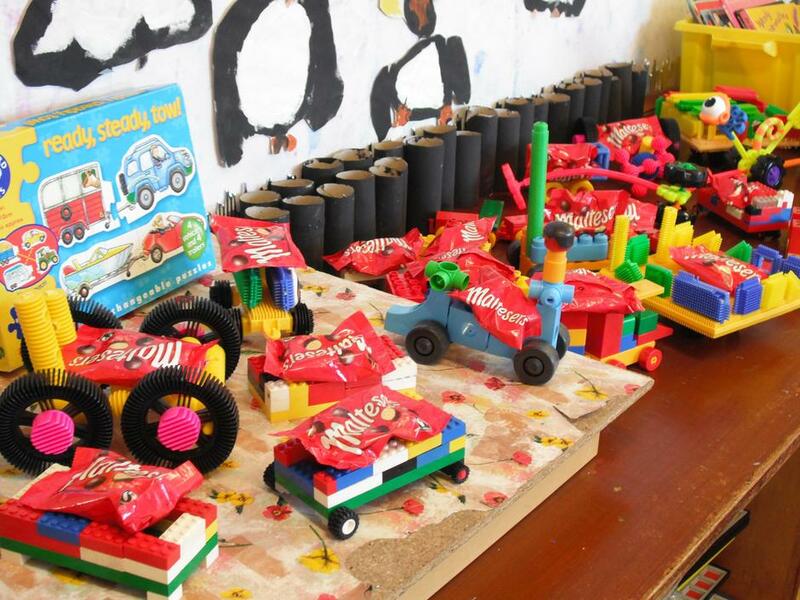 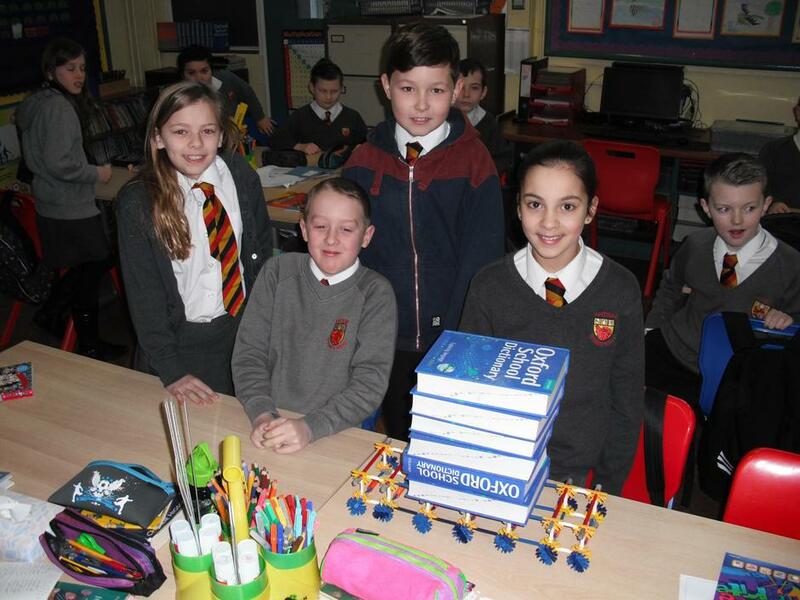 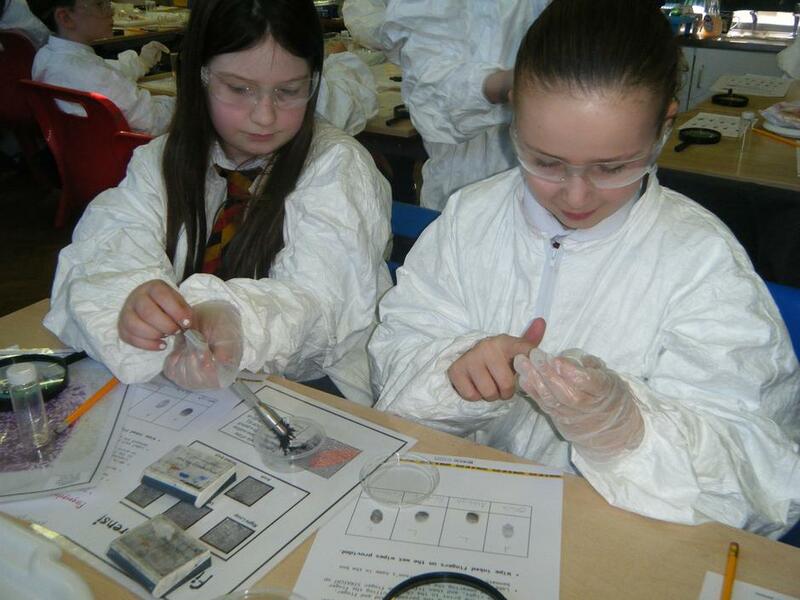 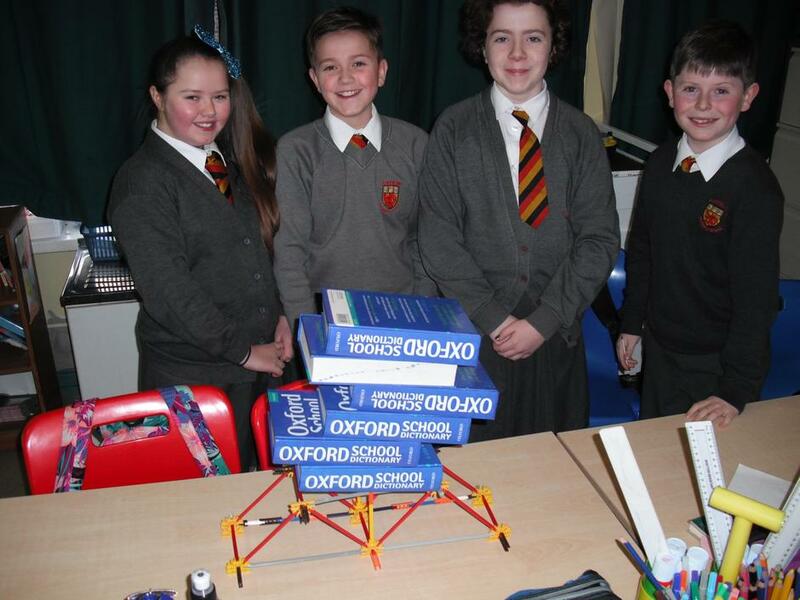 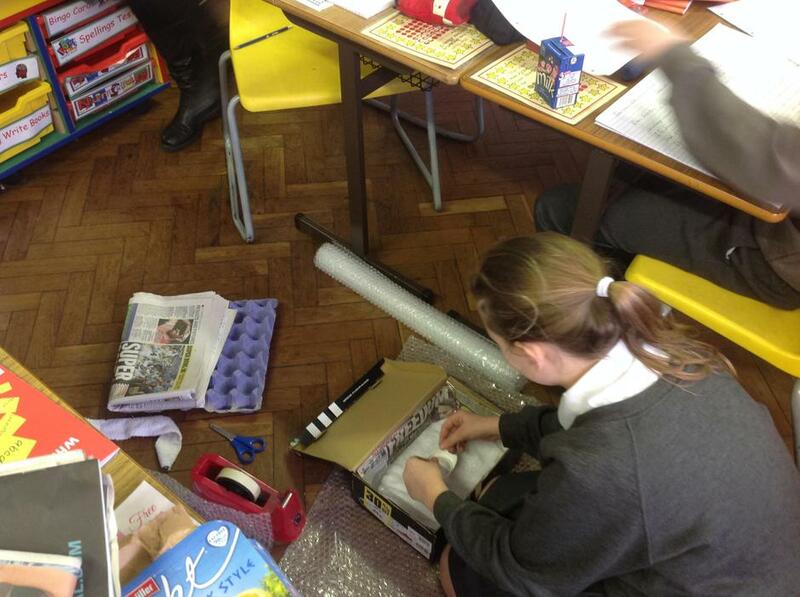 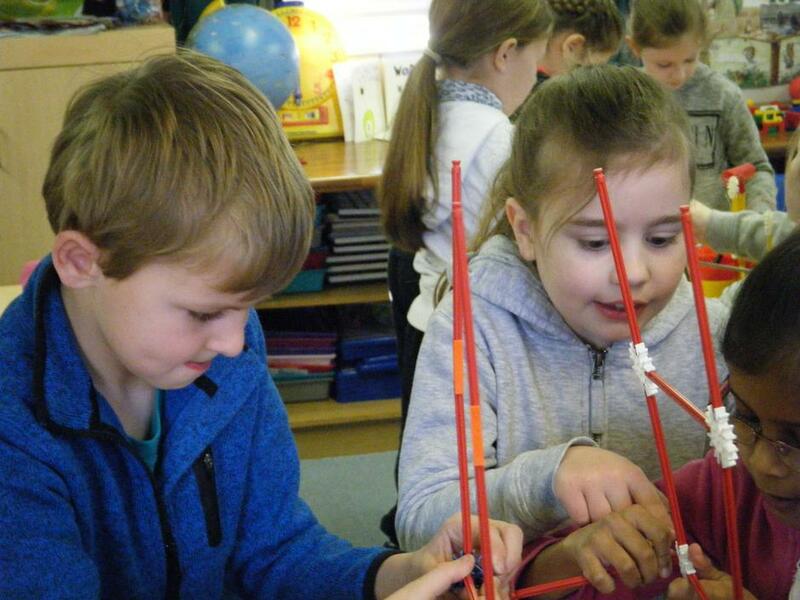 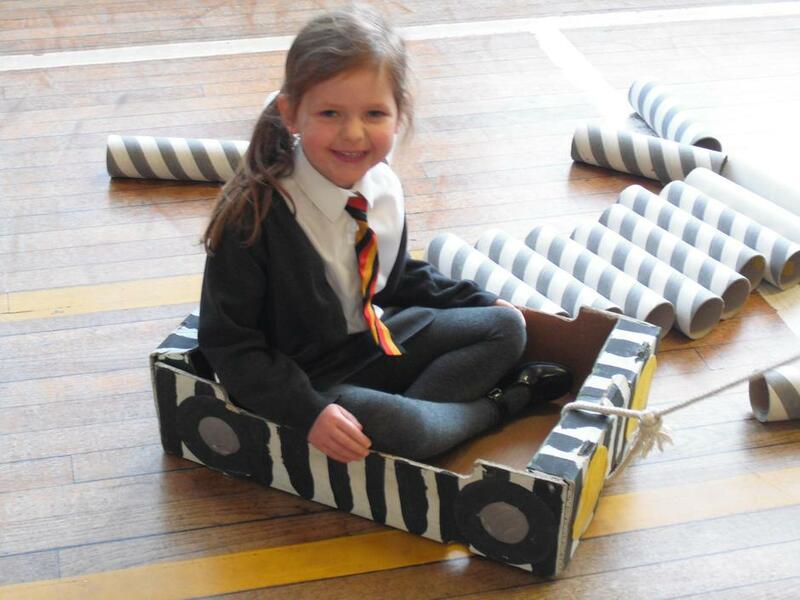 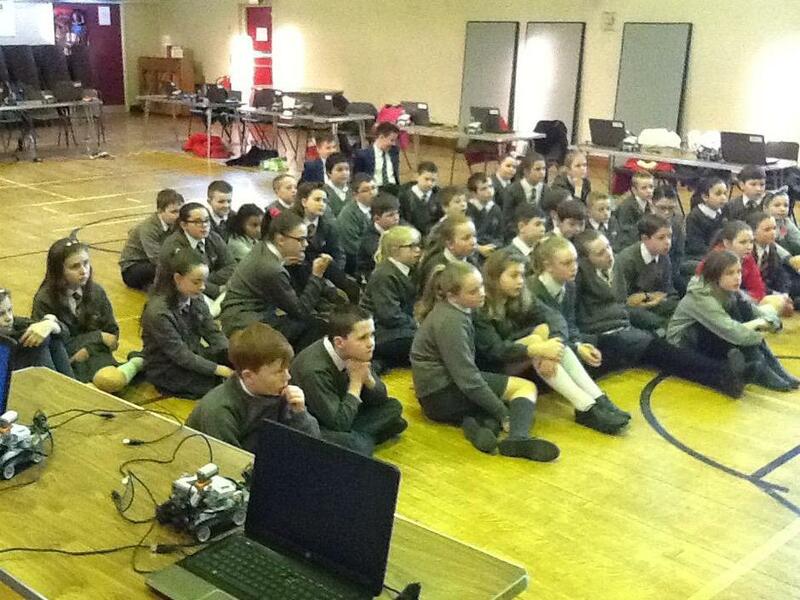 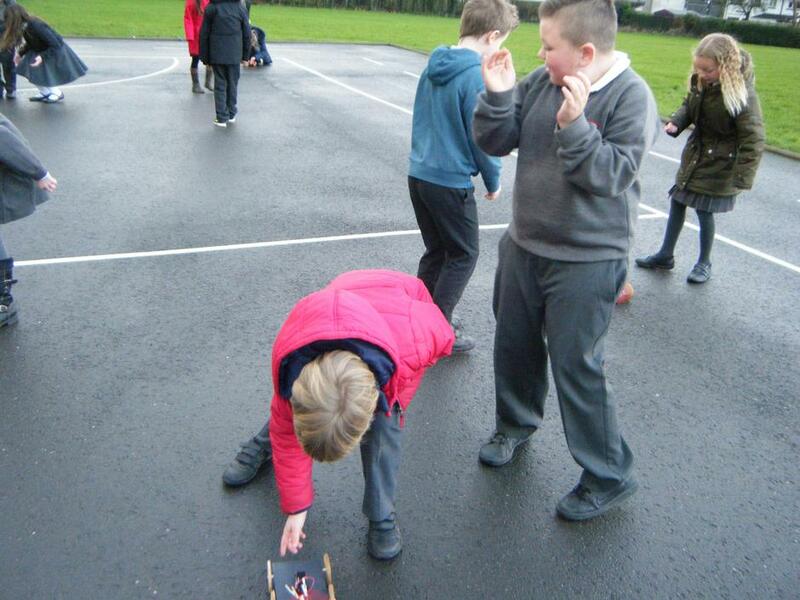 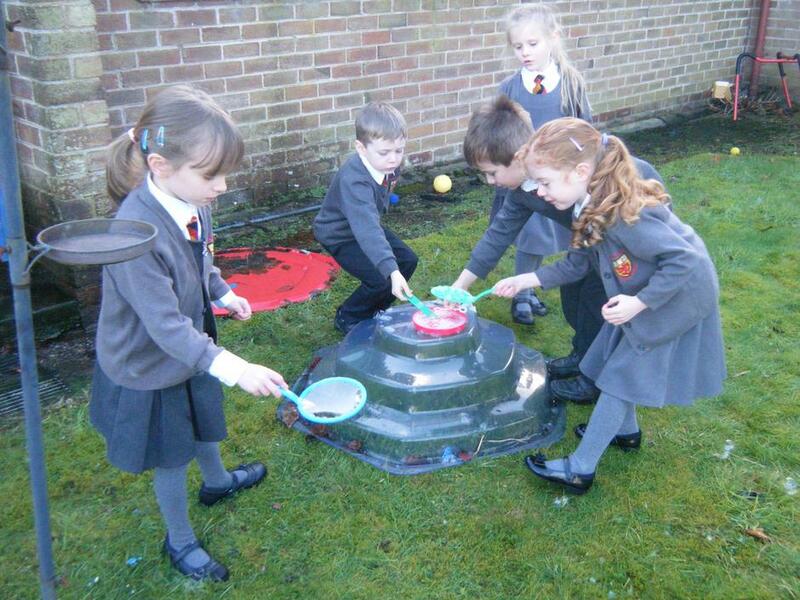 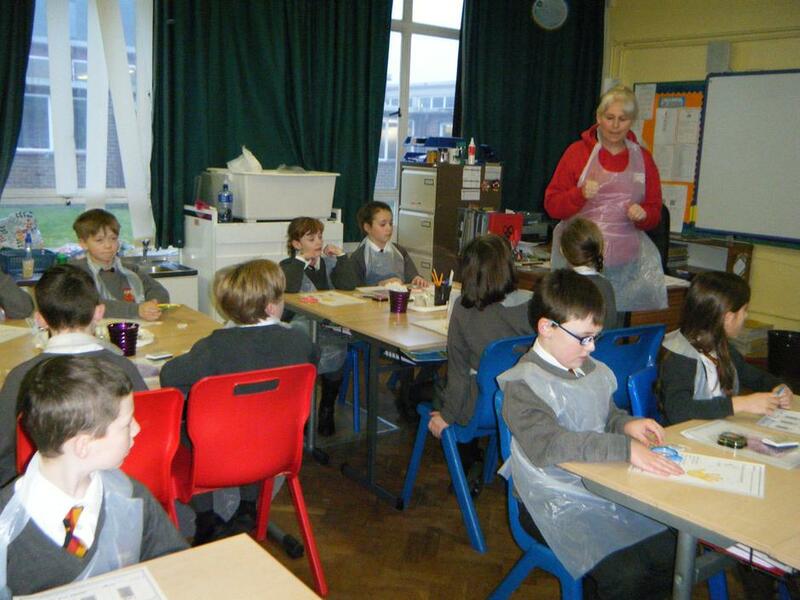 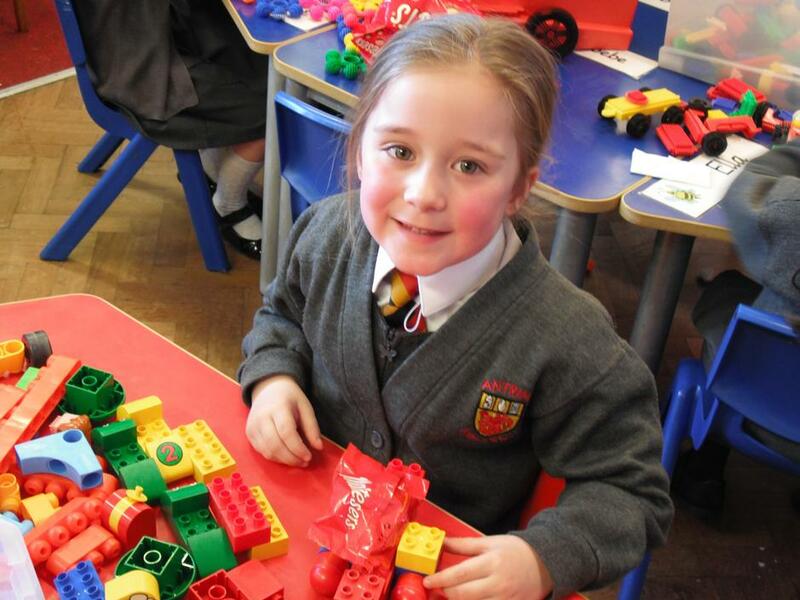 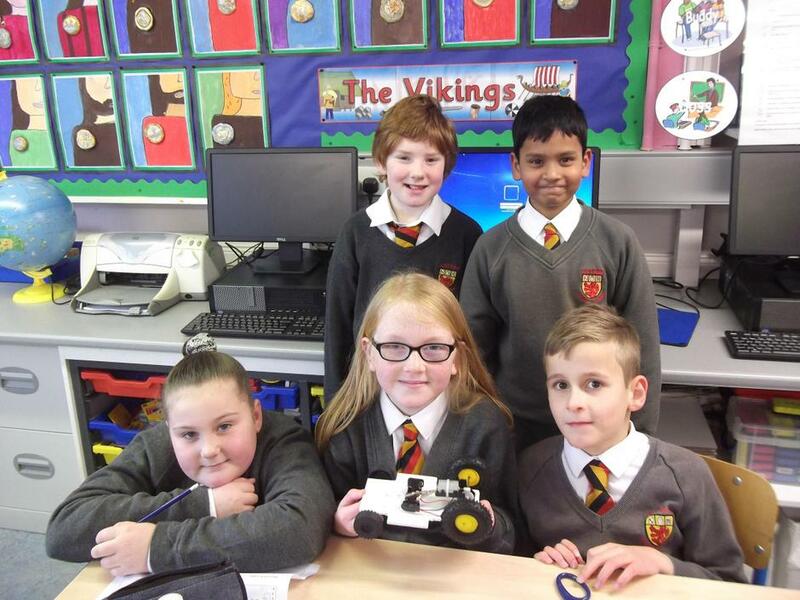 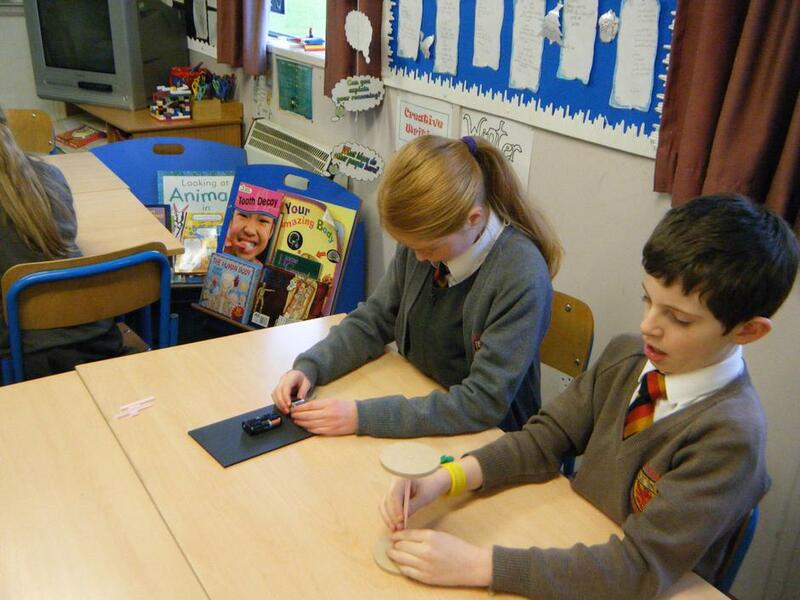 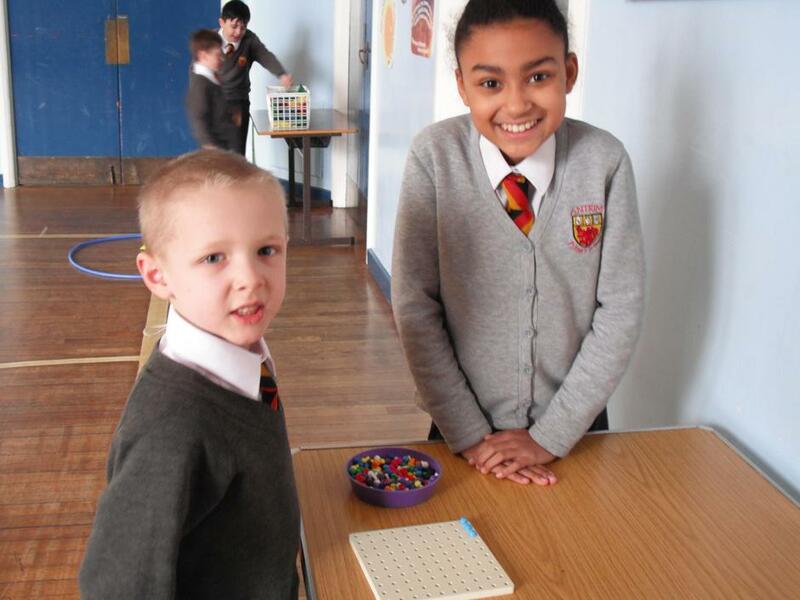 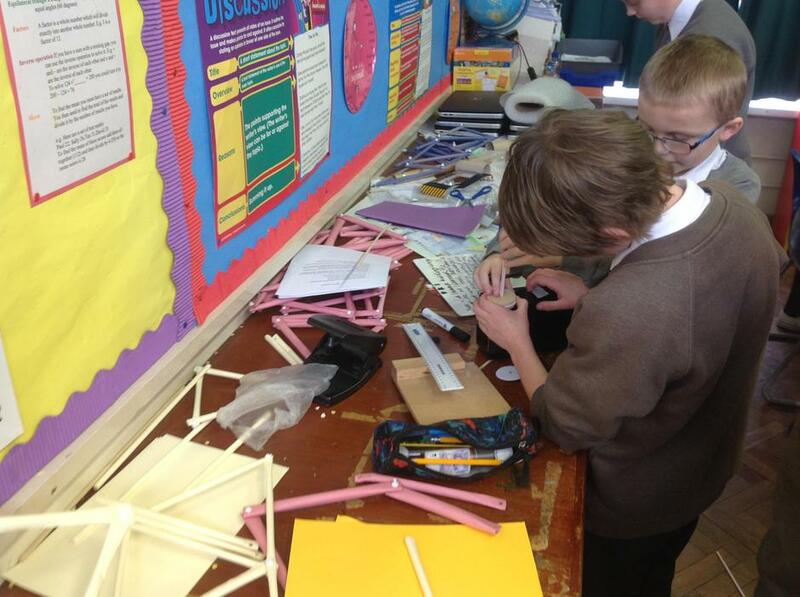 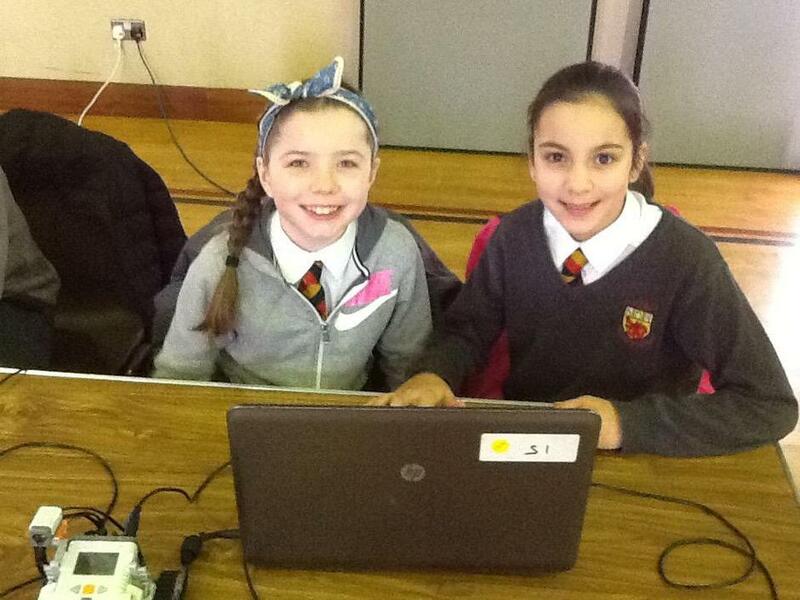 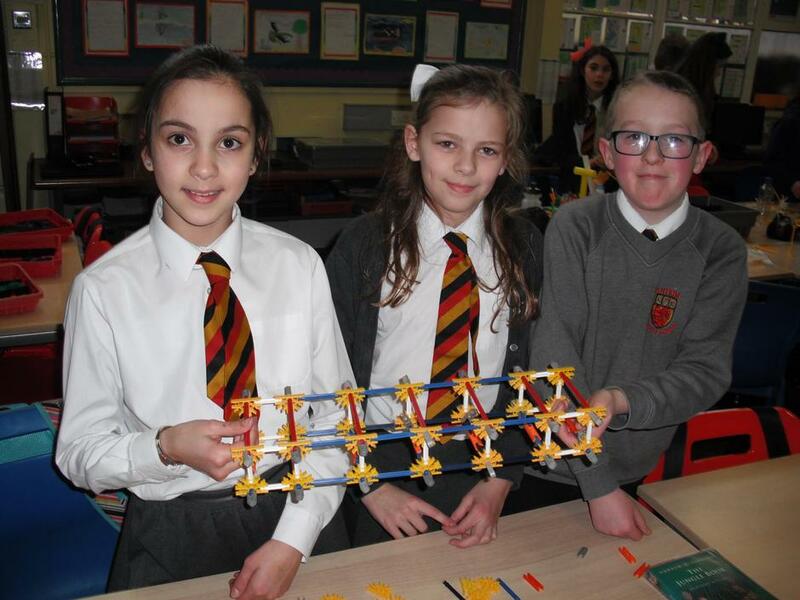 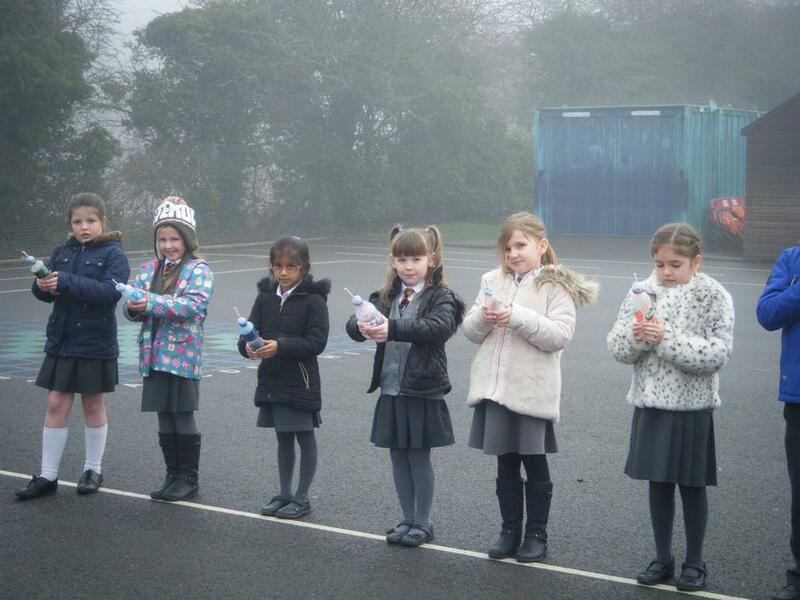 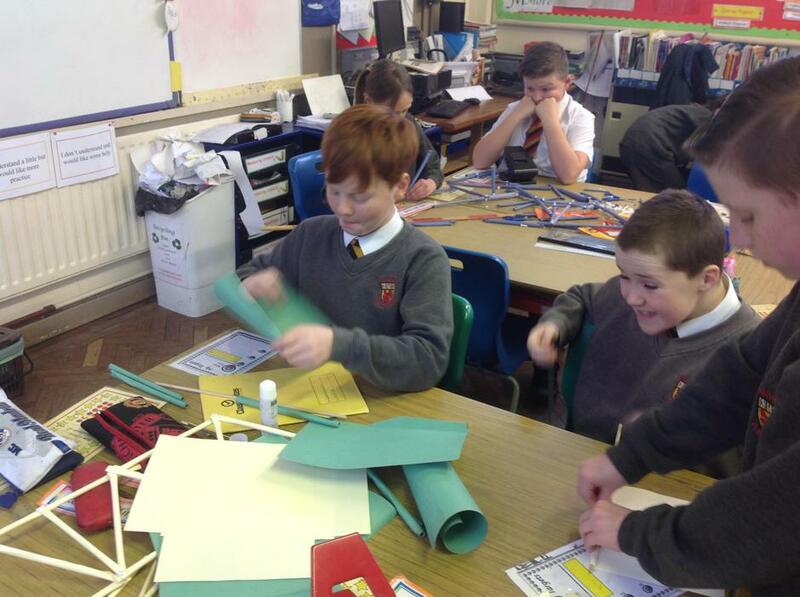 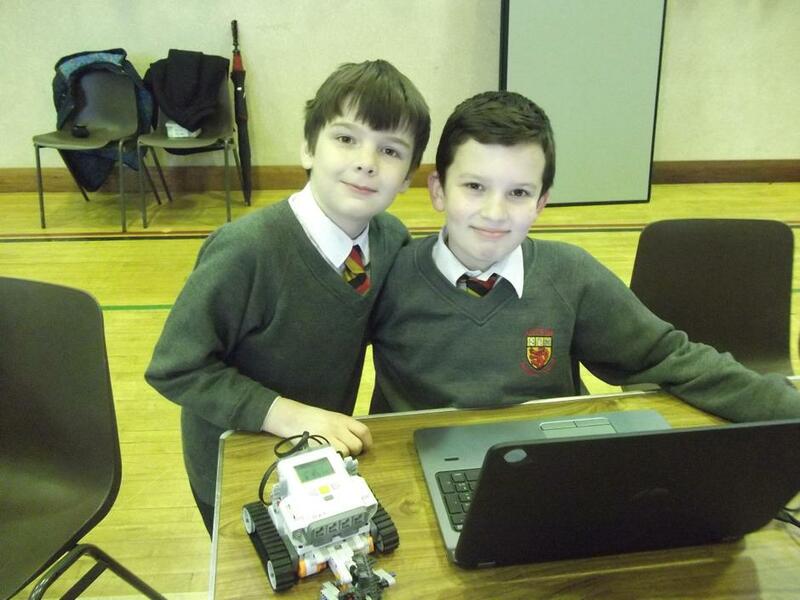 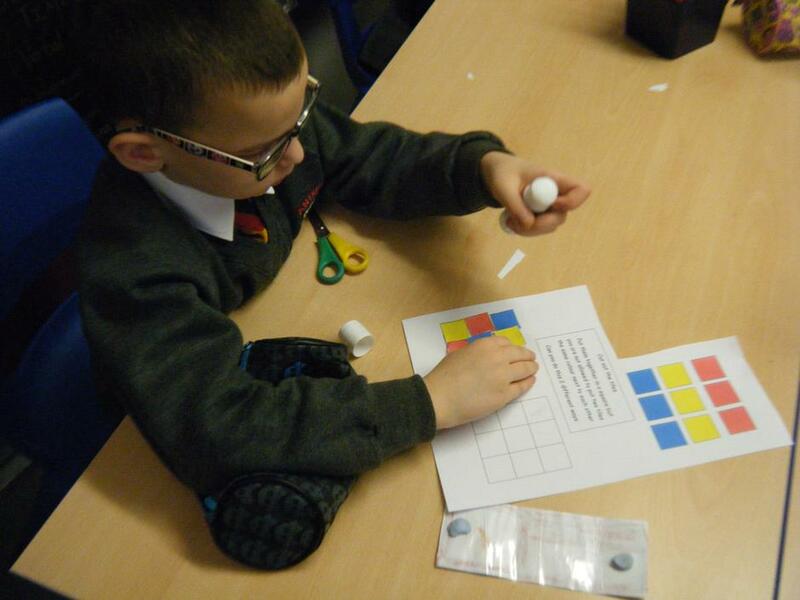 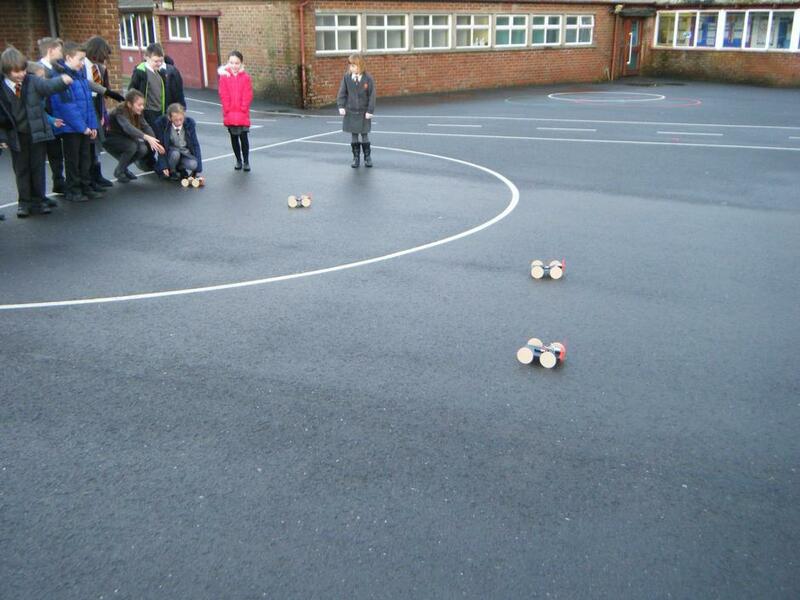 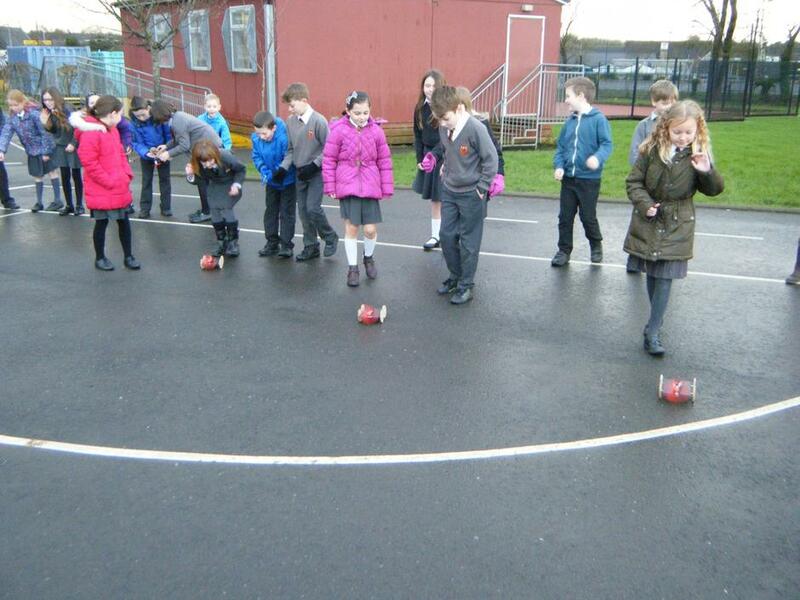 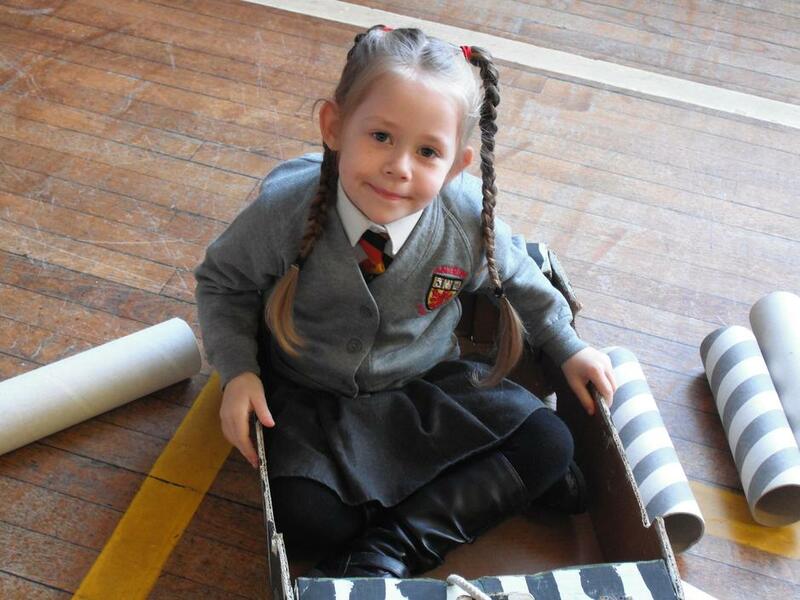 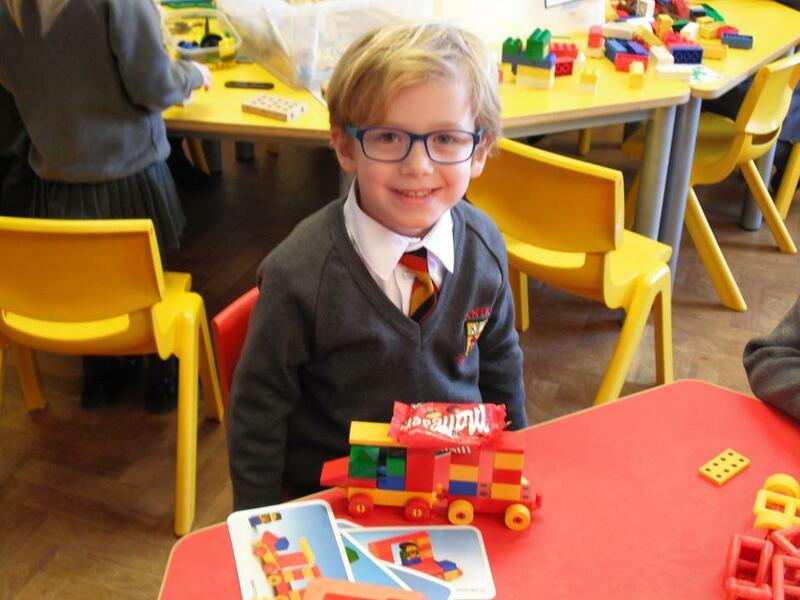 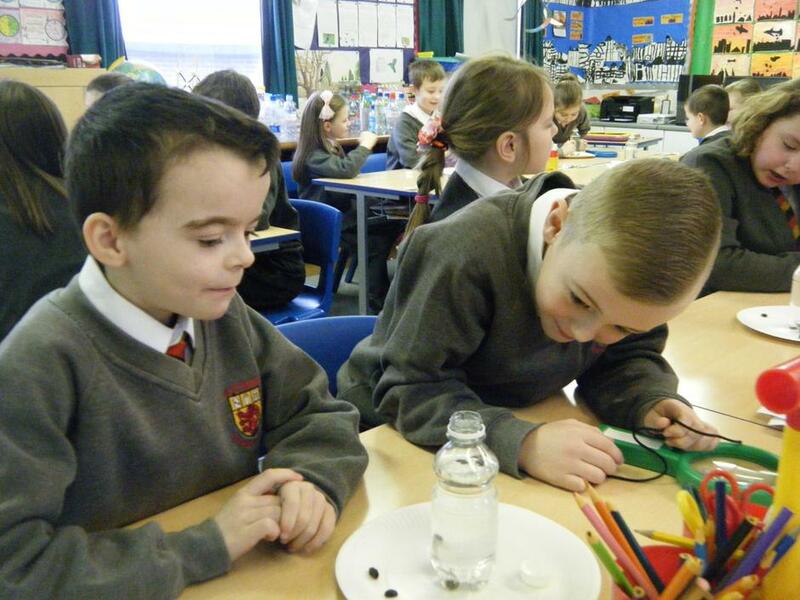 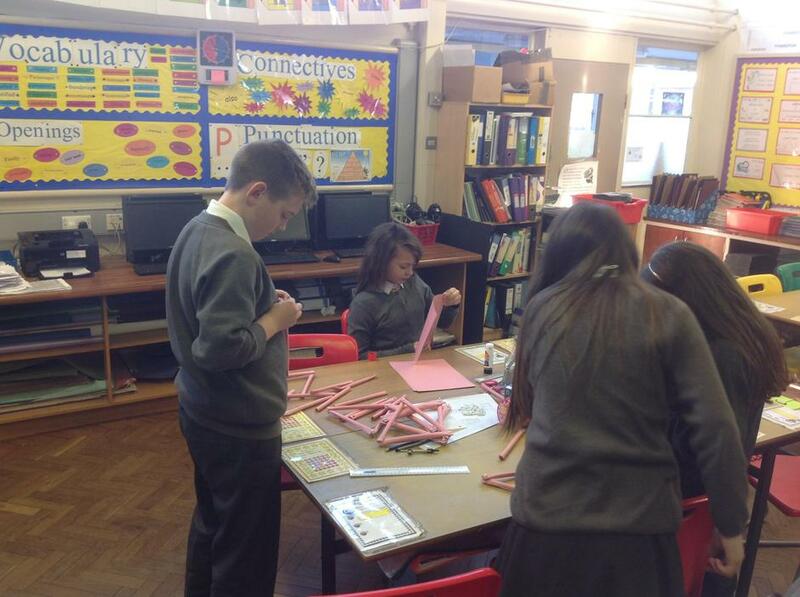 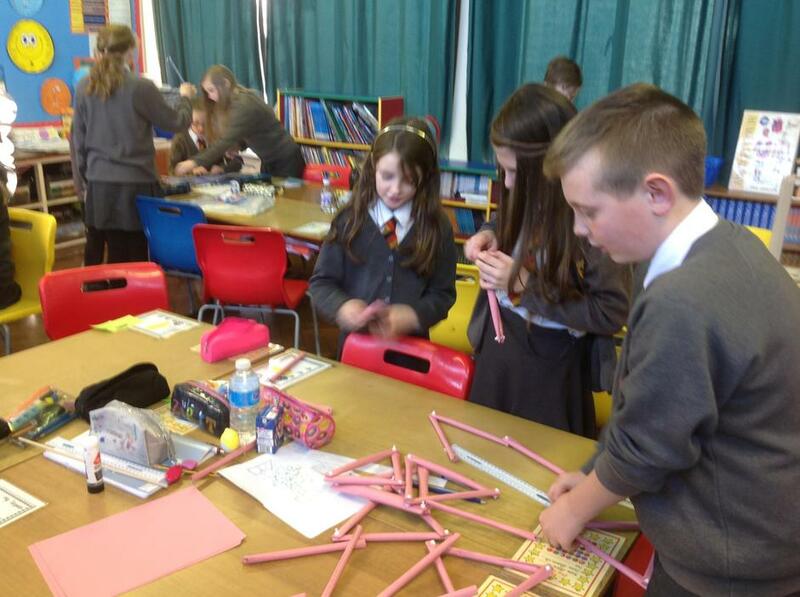 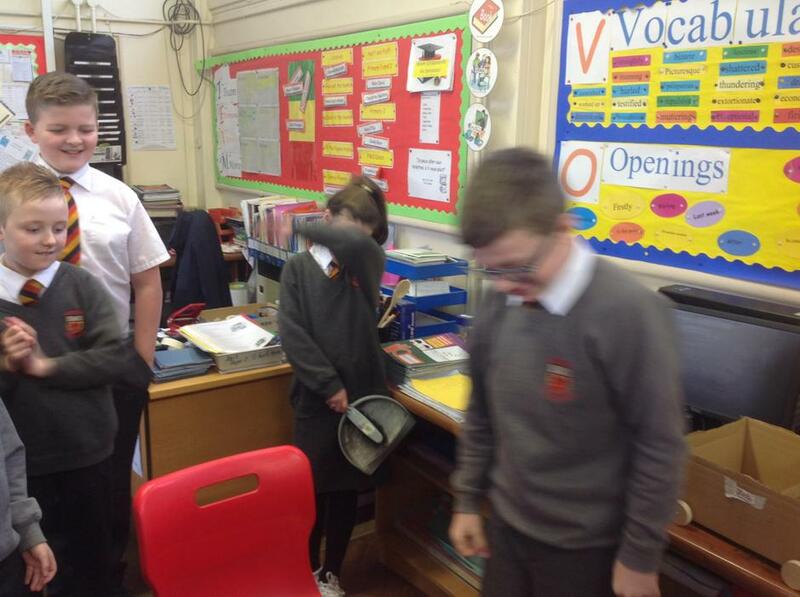 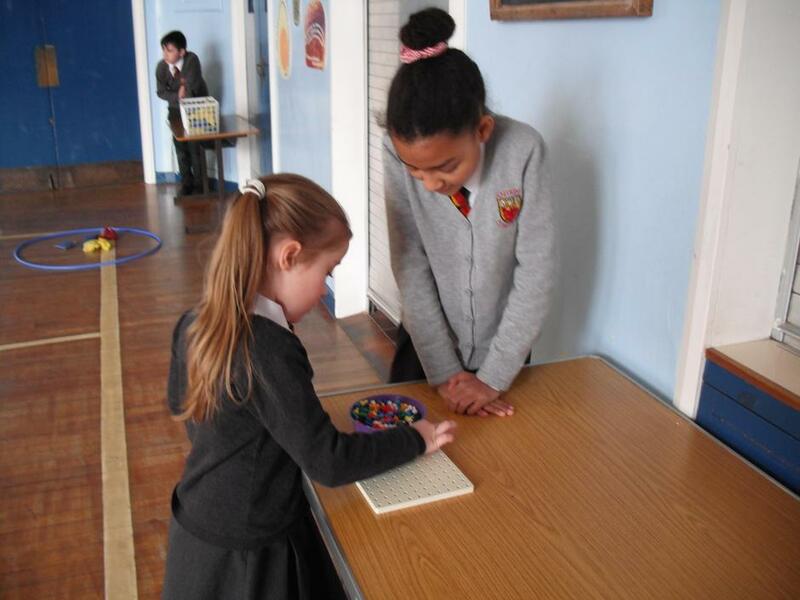 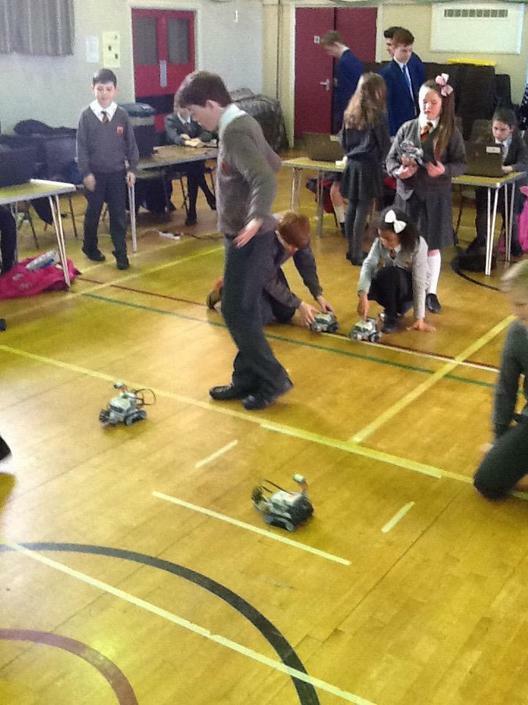 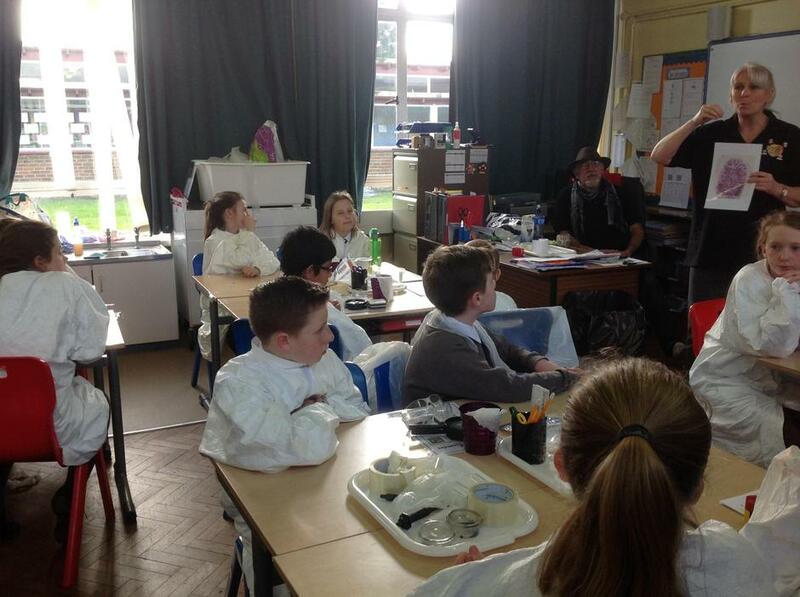 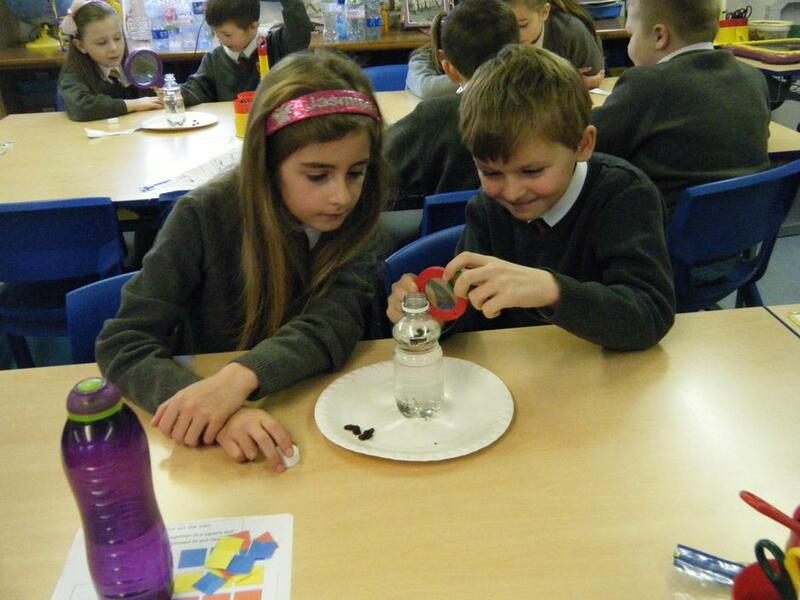 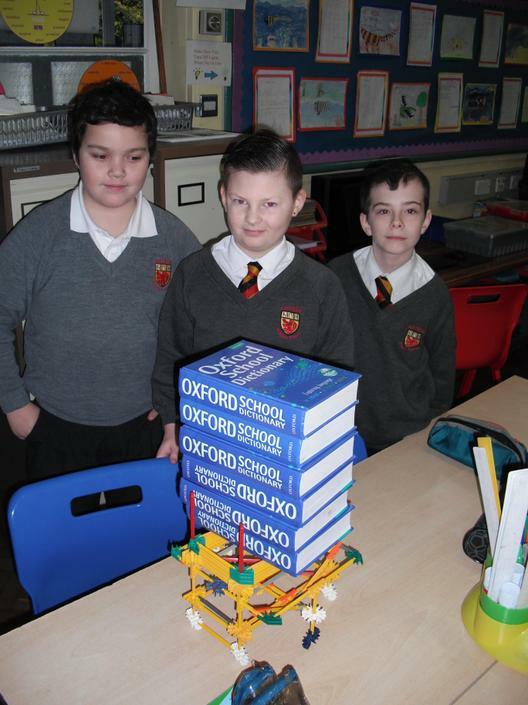 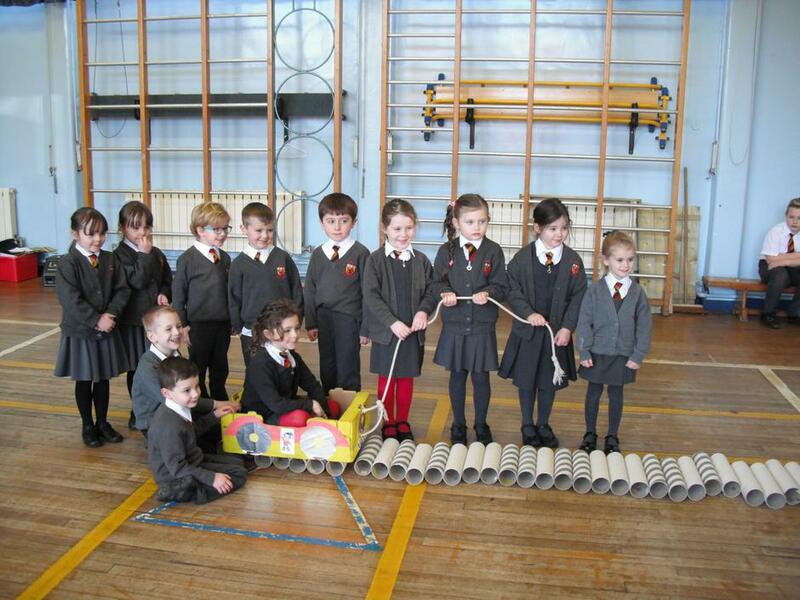 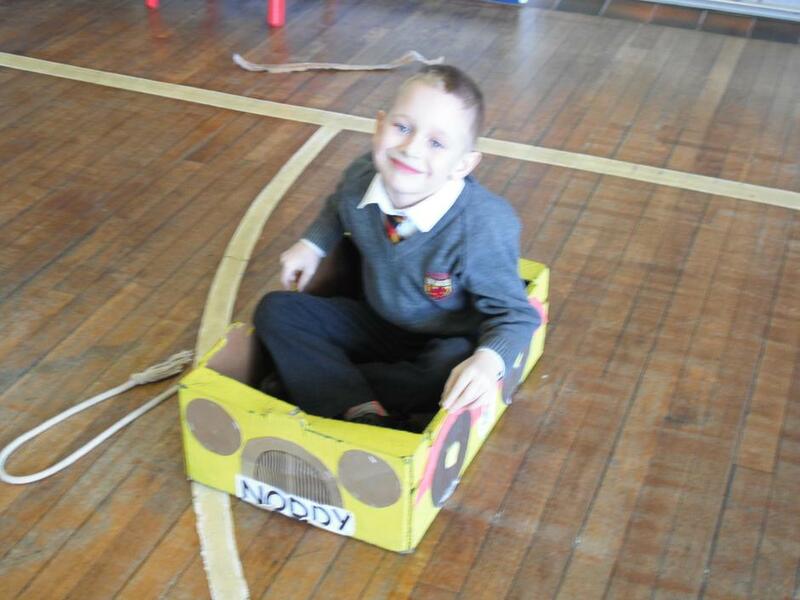 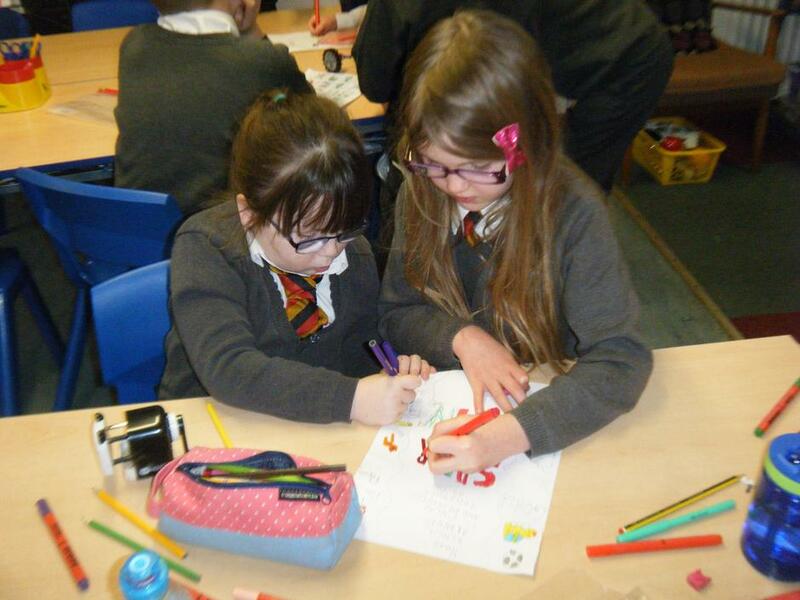 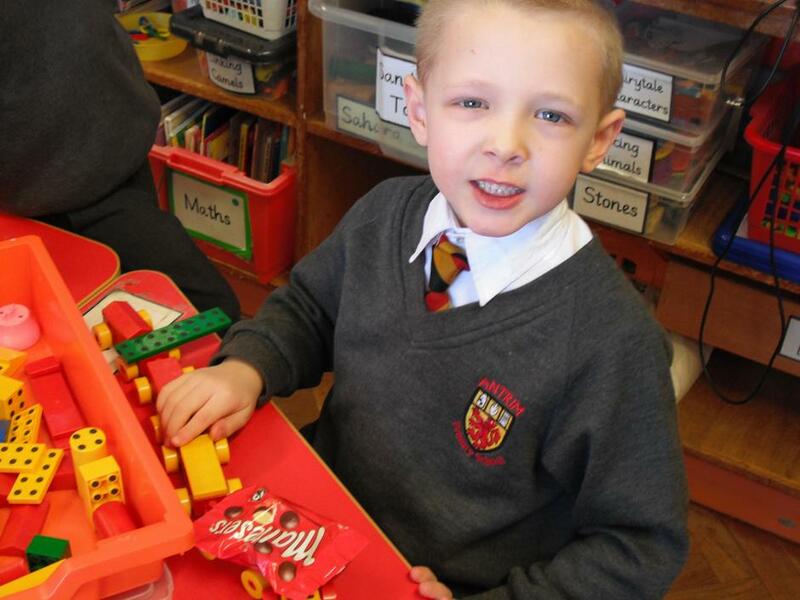 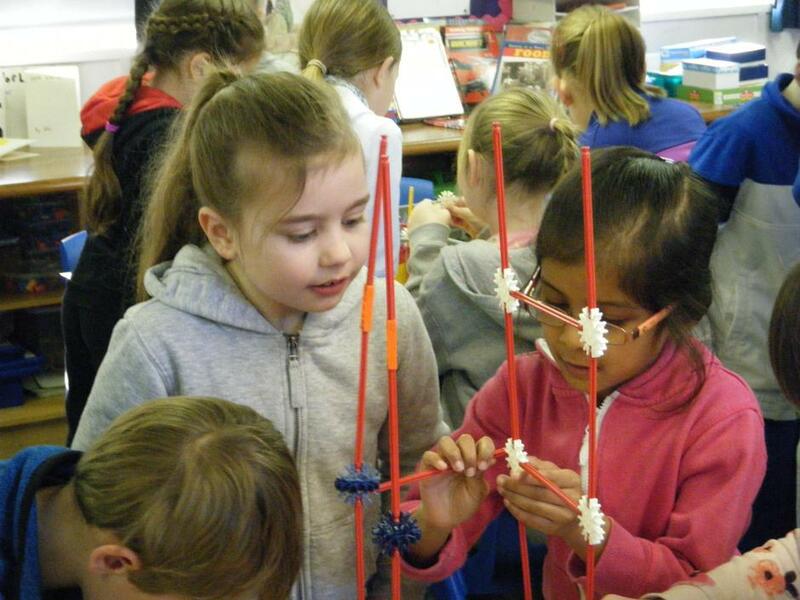 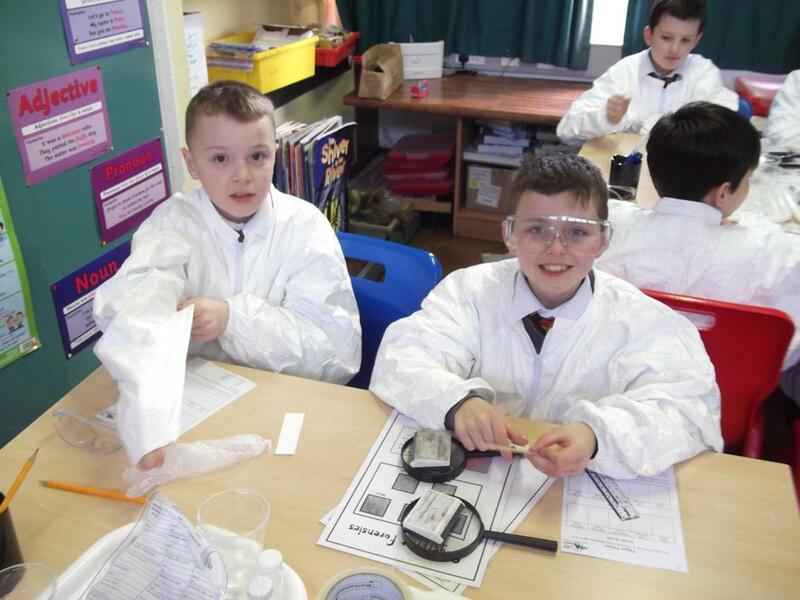 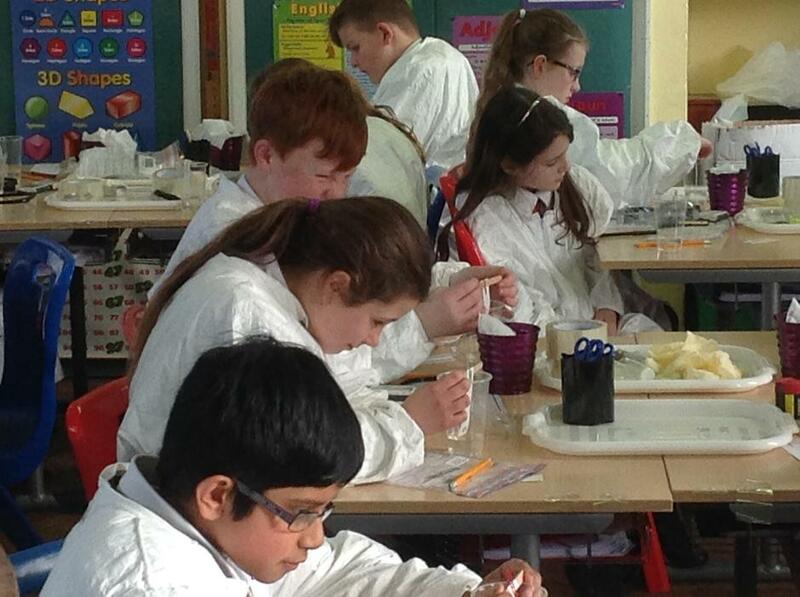 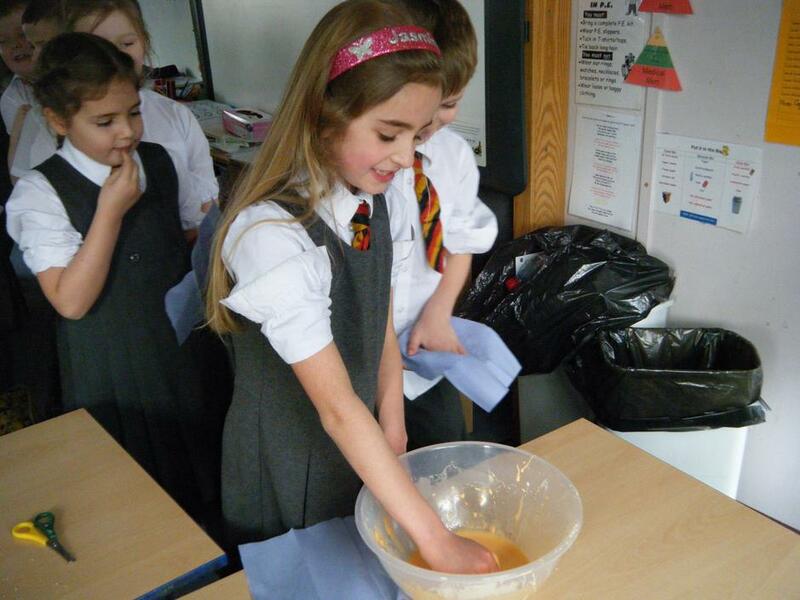 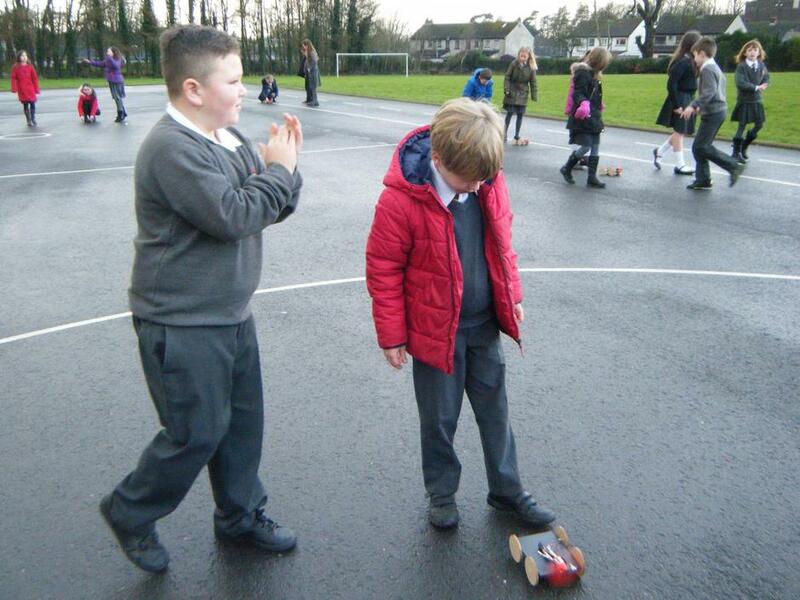 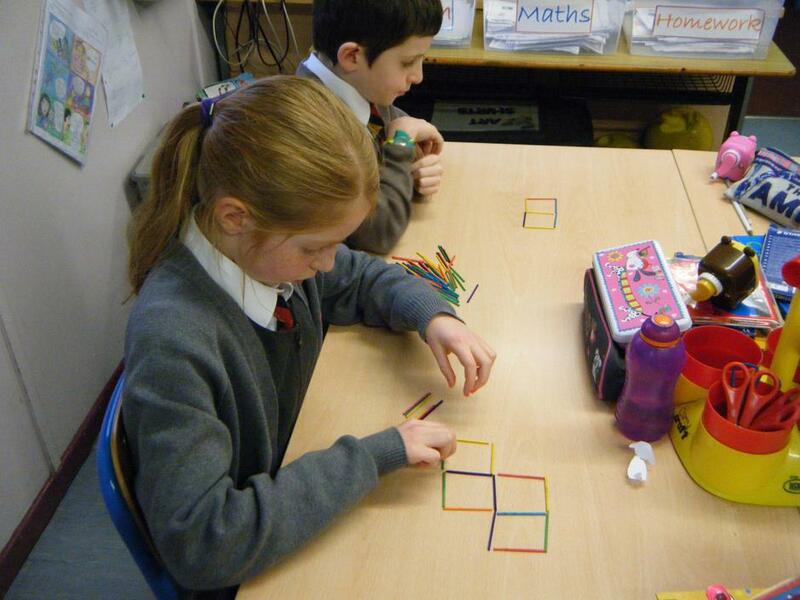 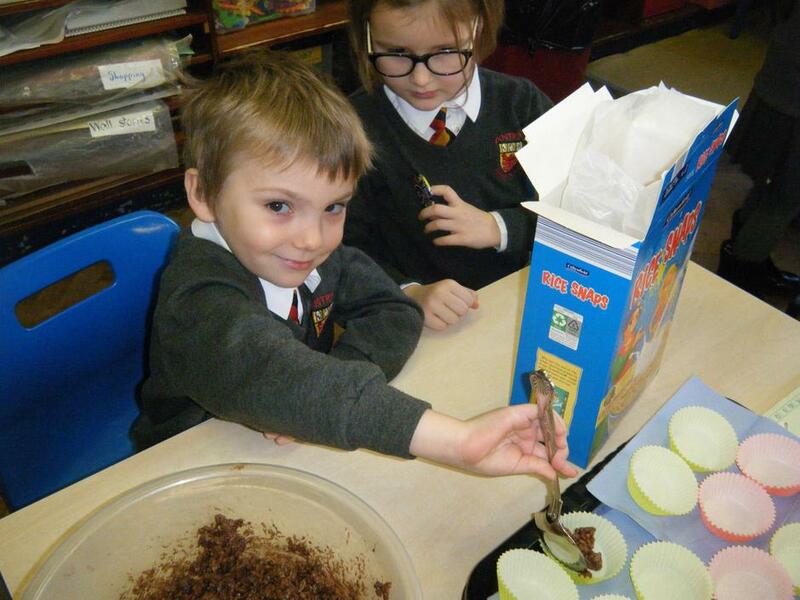 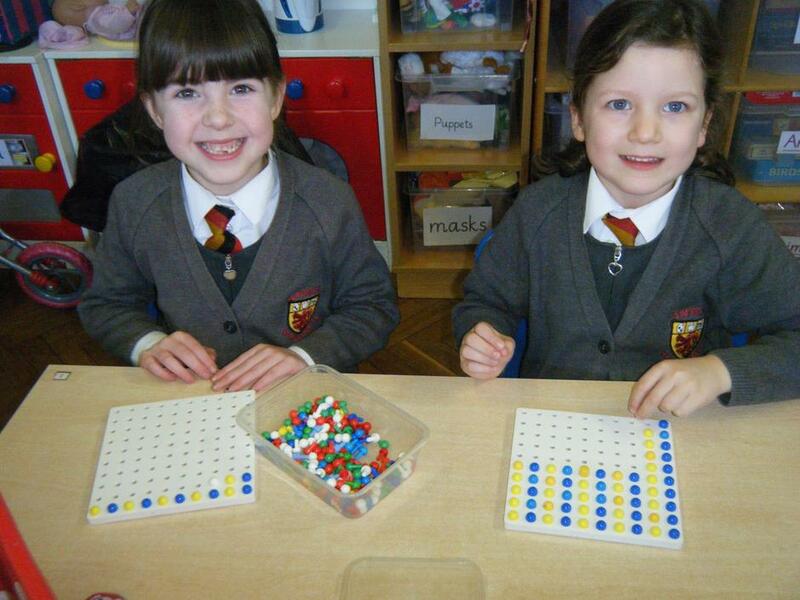 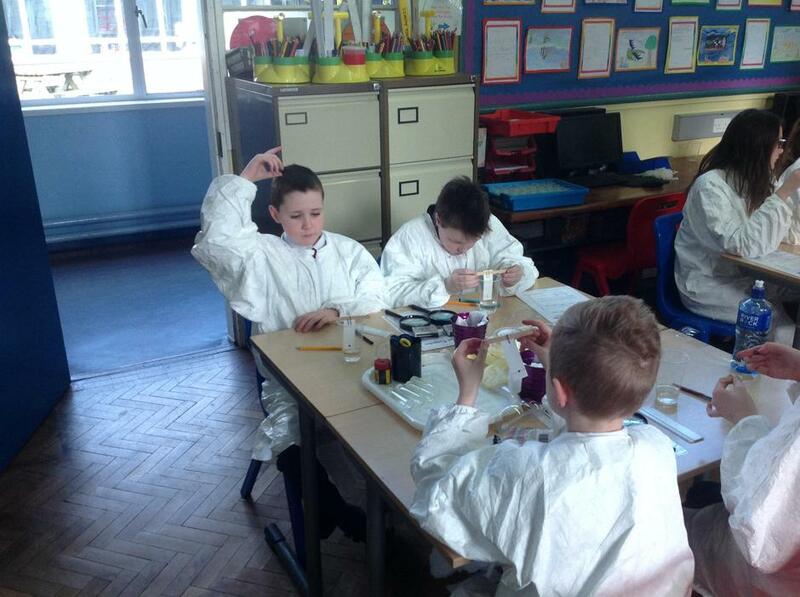 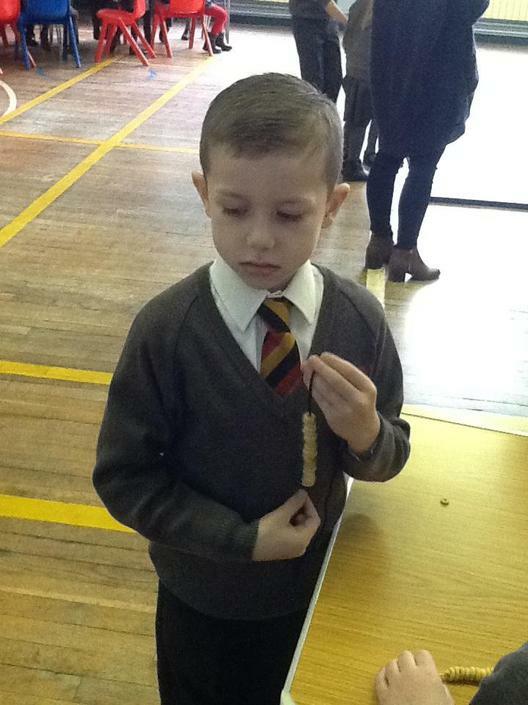 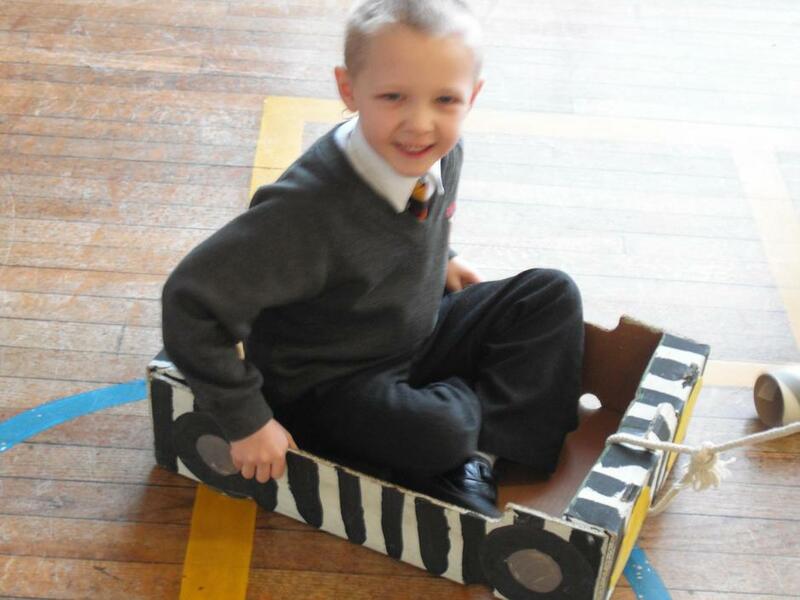 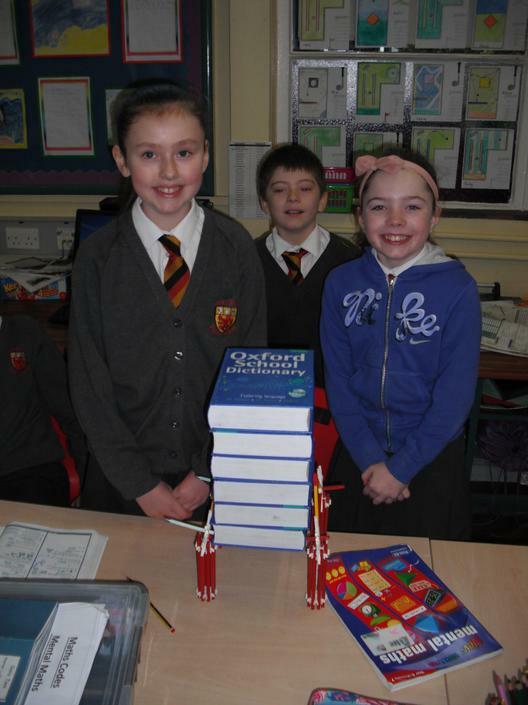 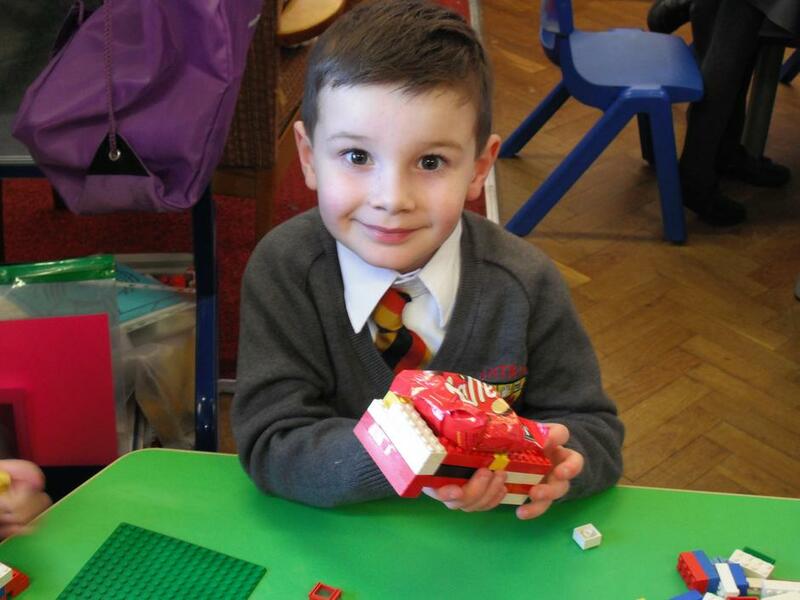 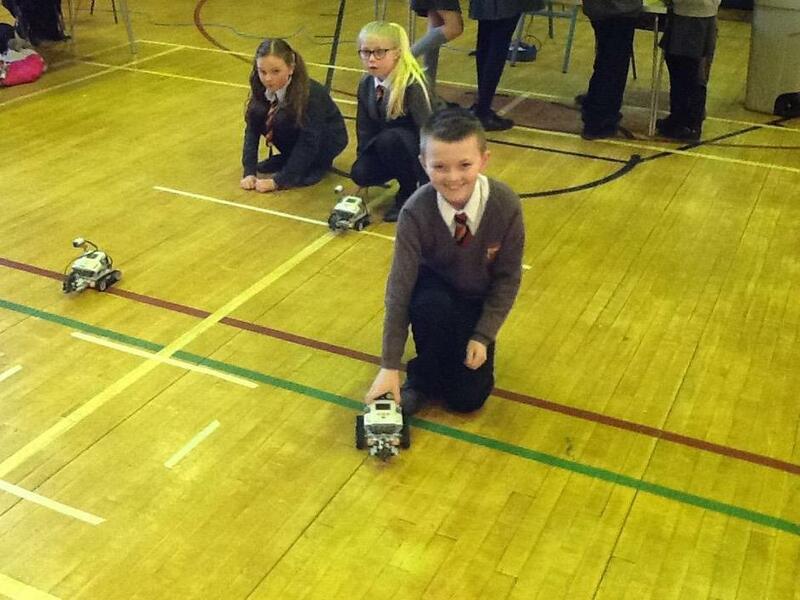 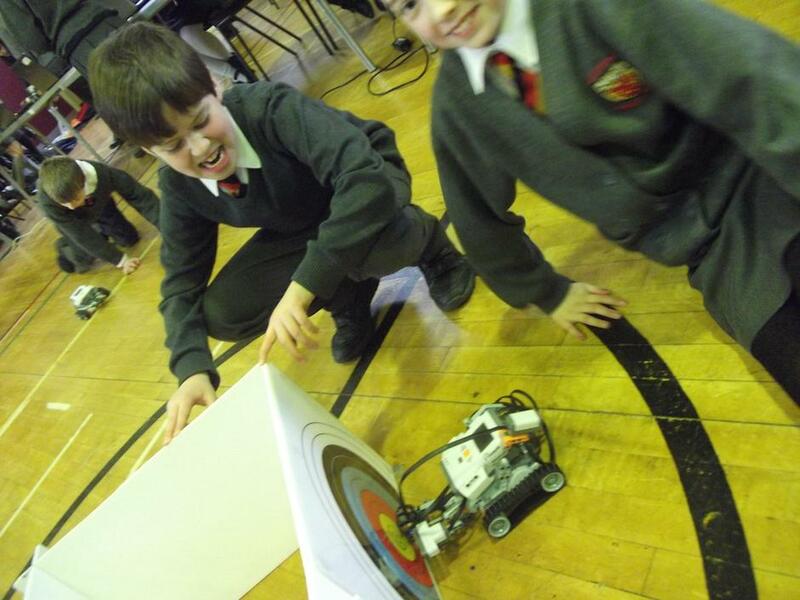 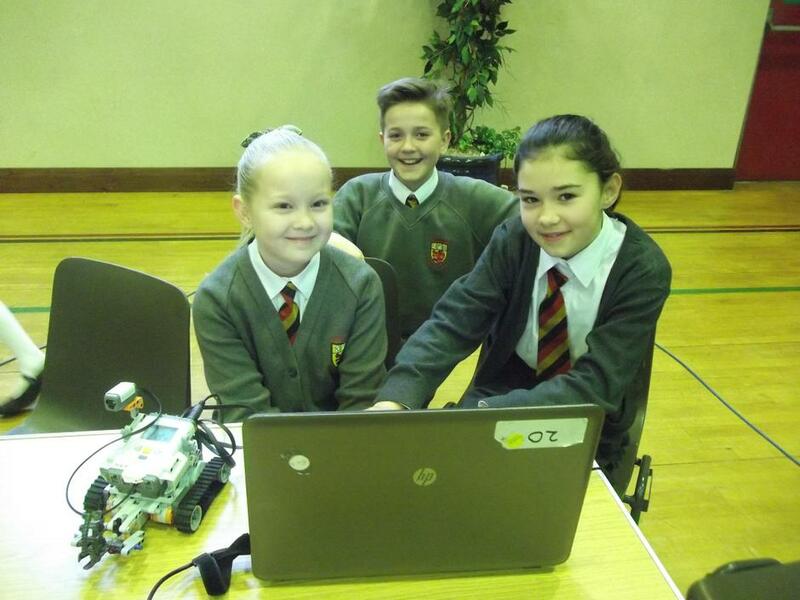 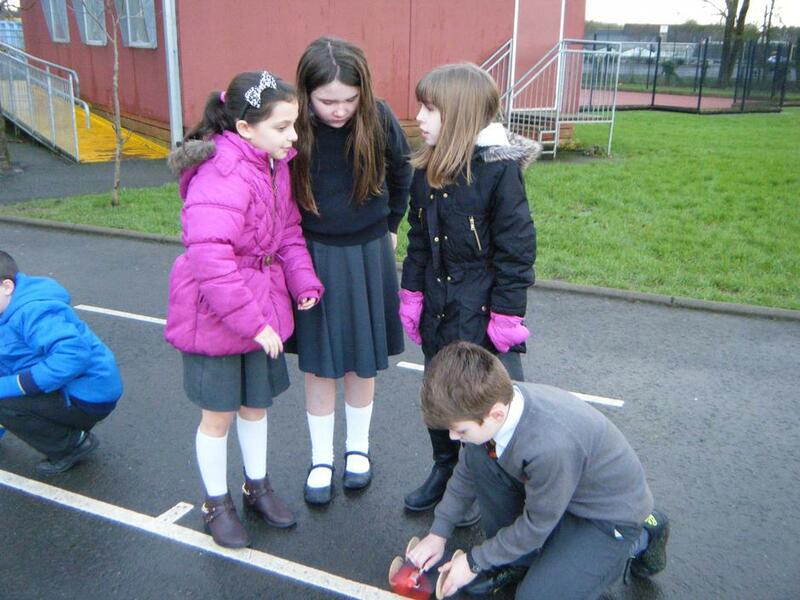 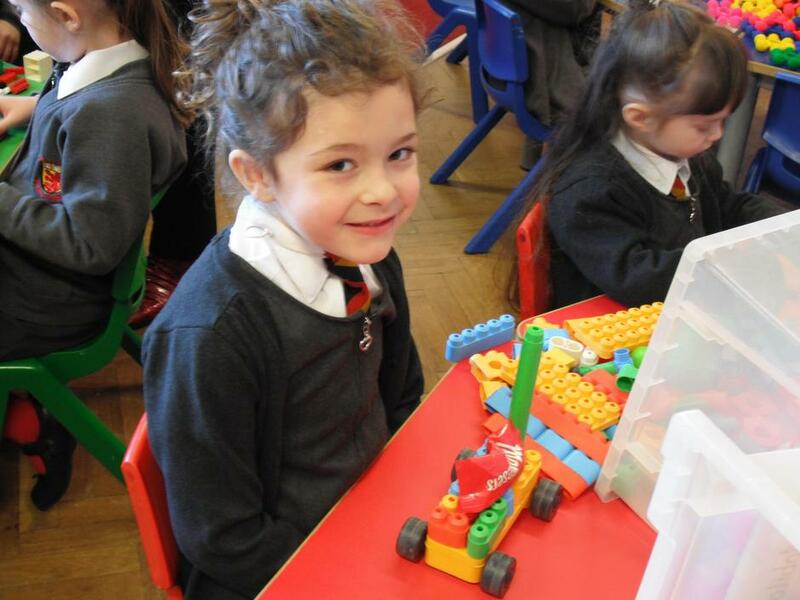 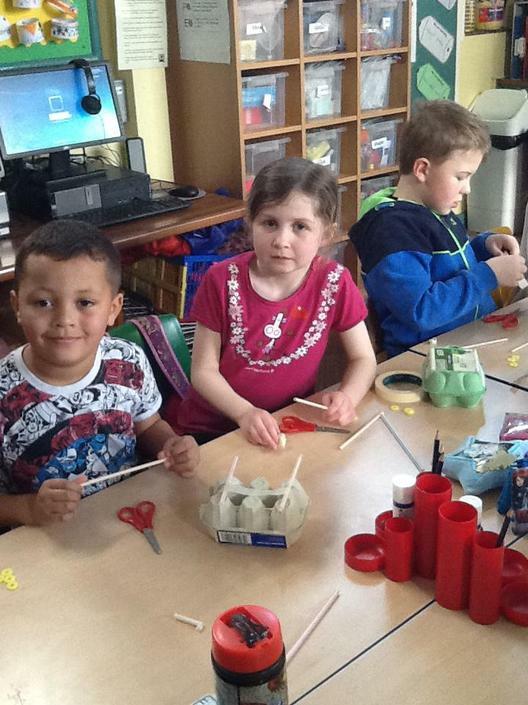 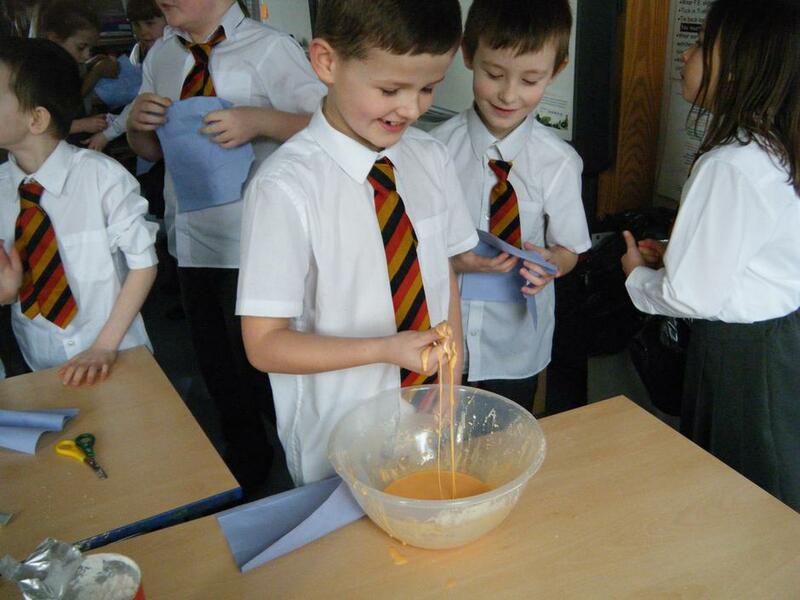 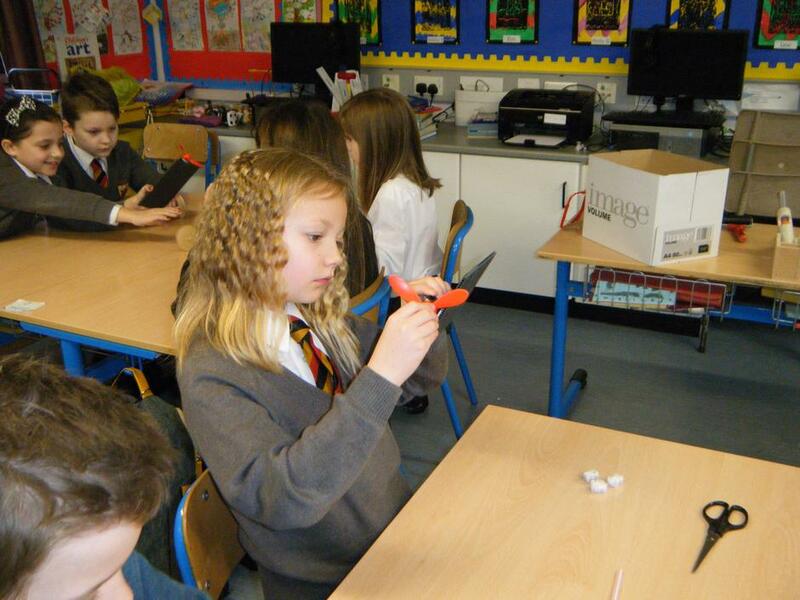 Antrim Primary School held STEM Week from 8th February to 12th February. 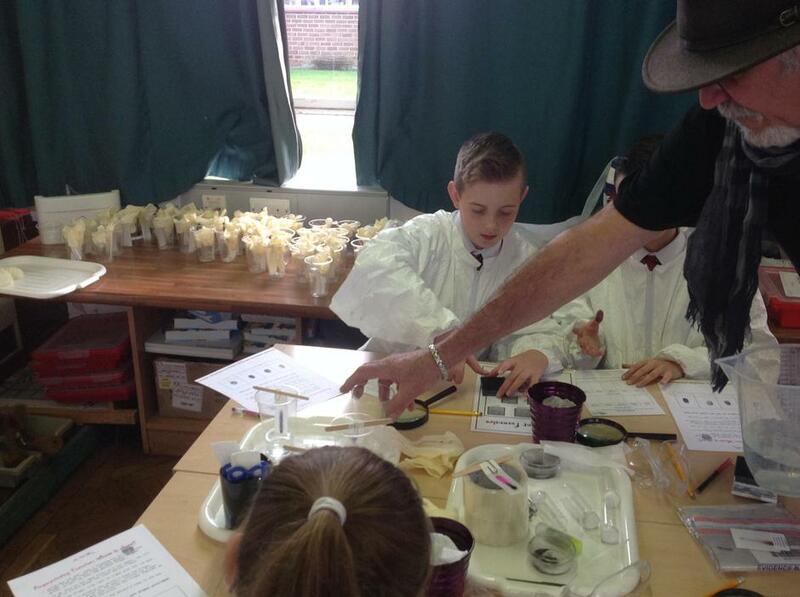 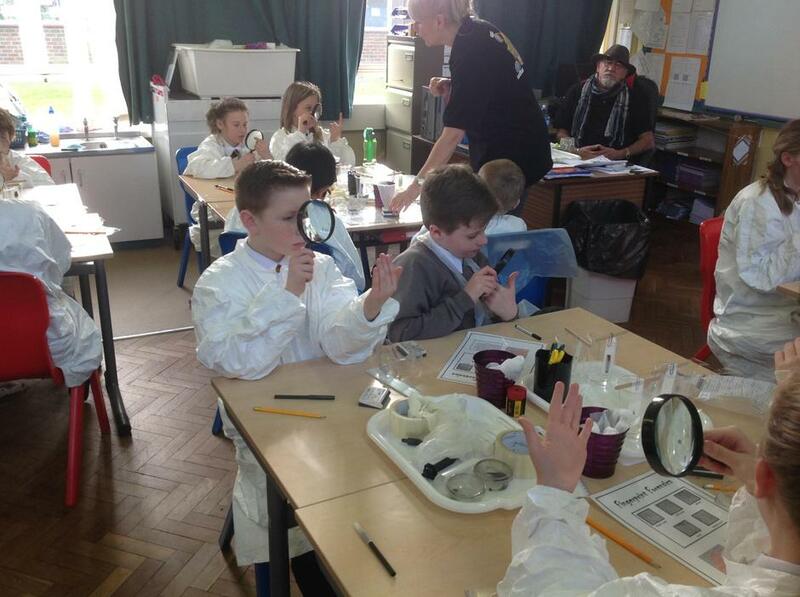 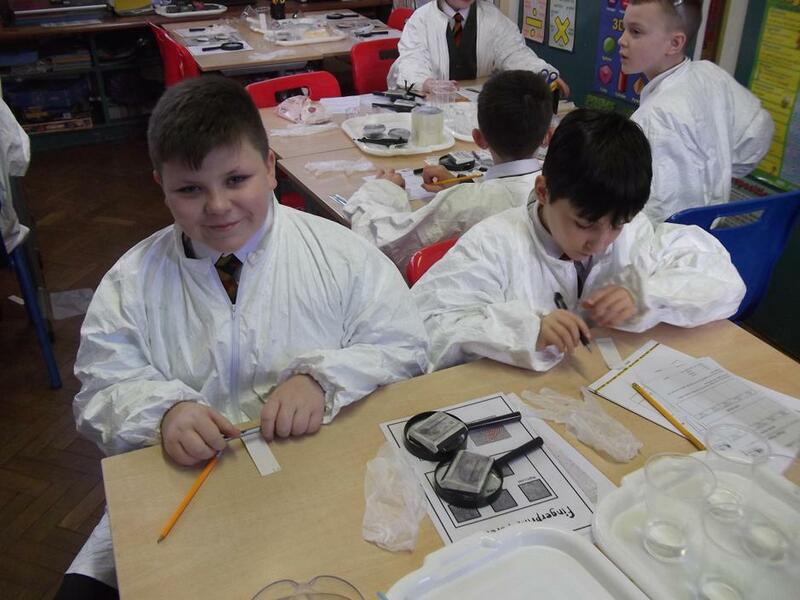 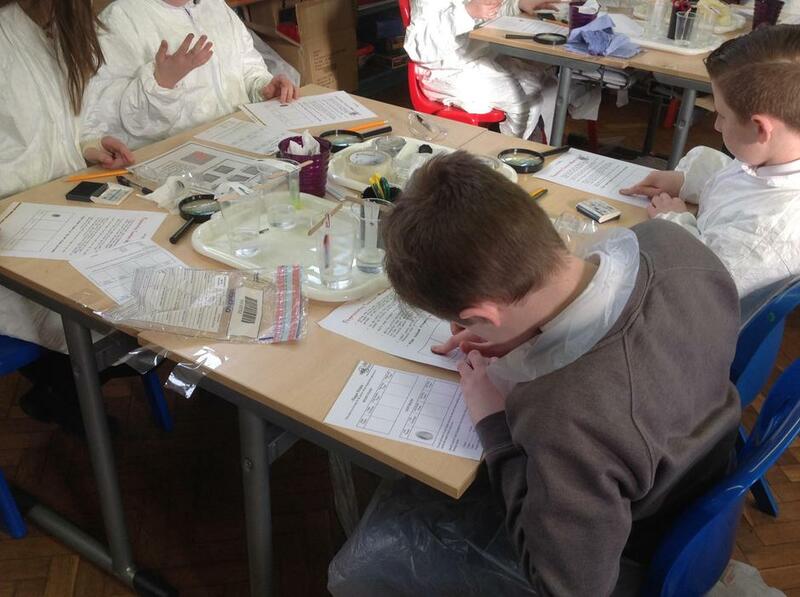 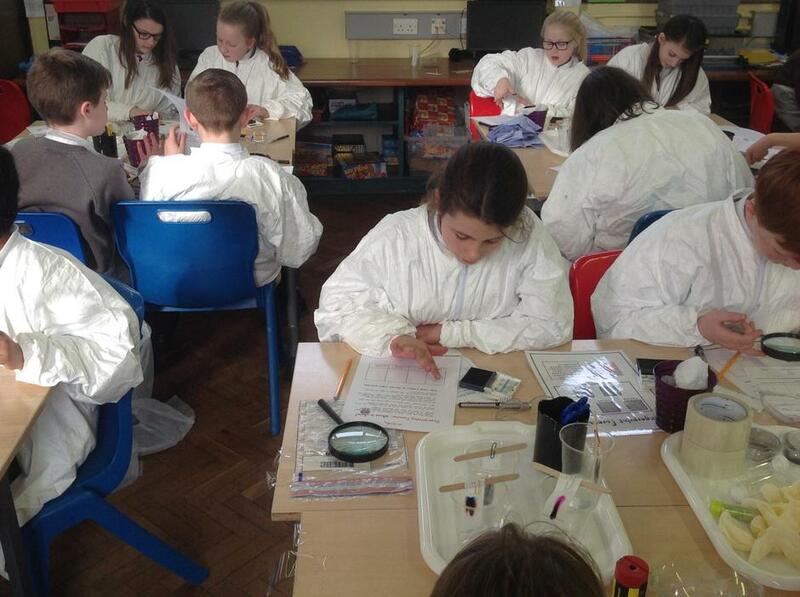 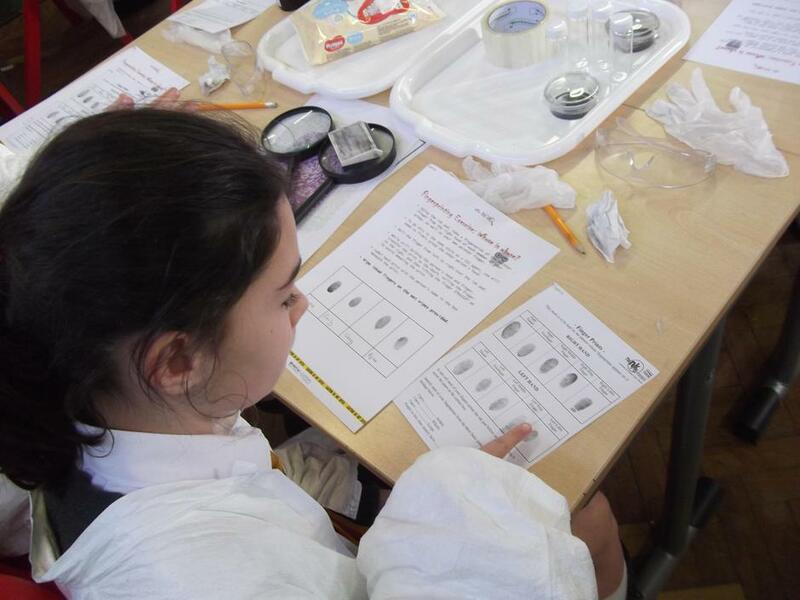 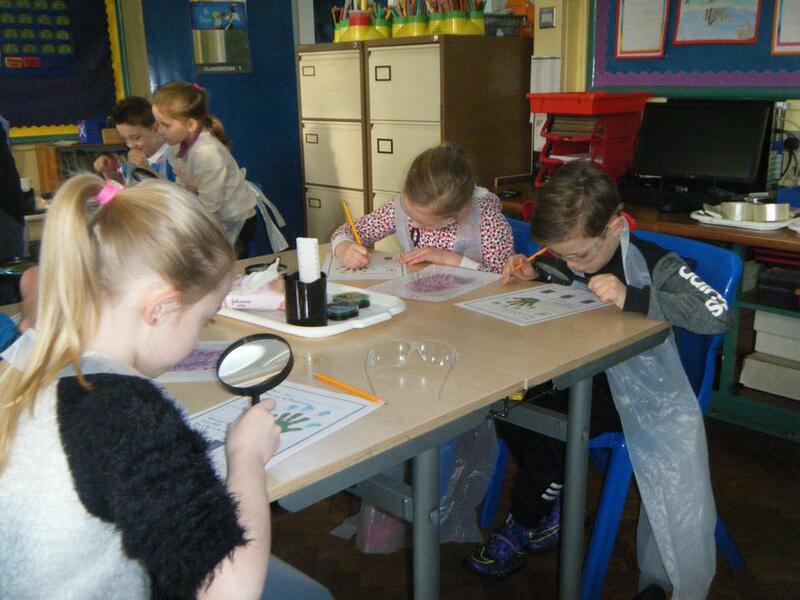 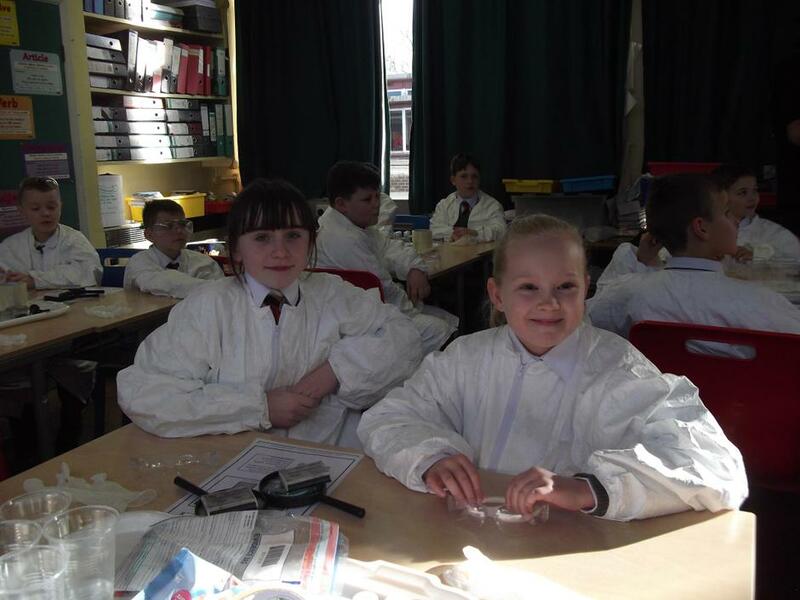 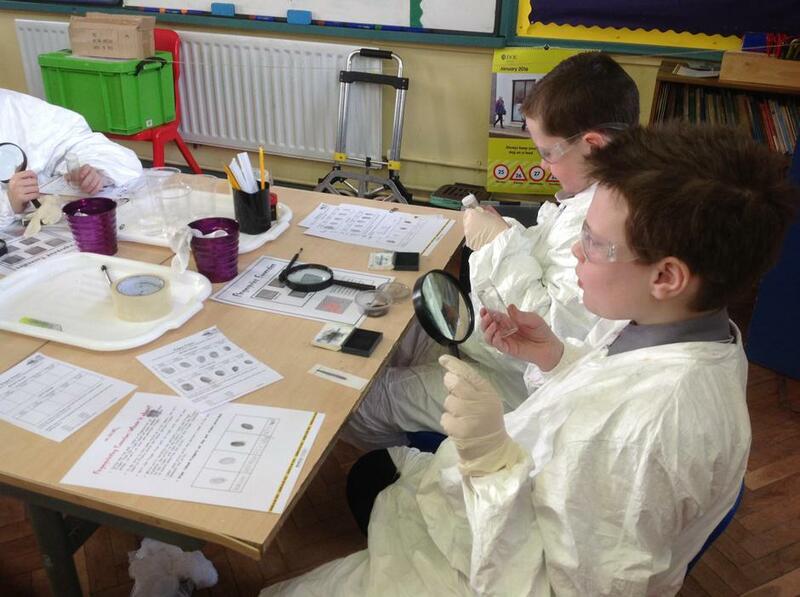 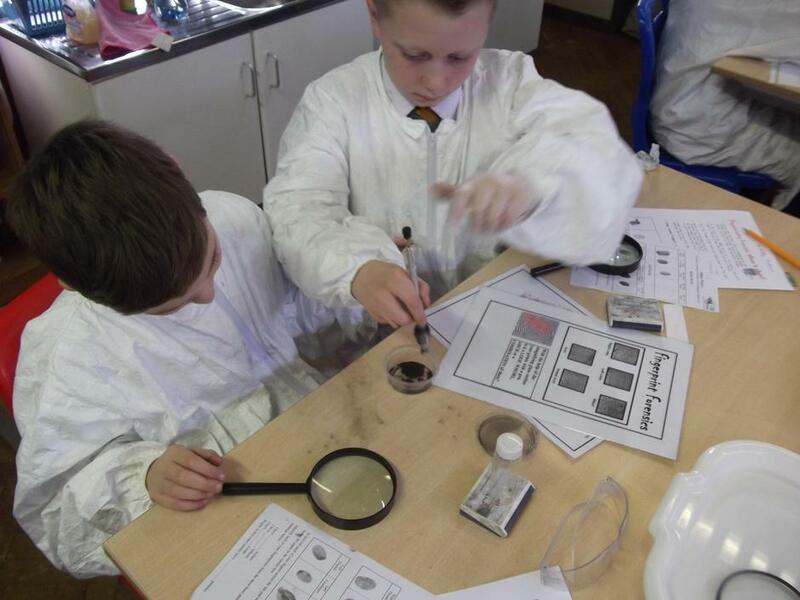 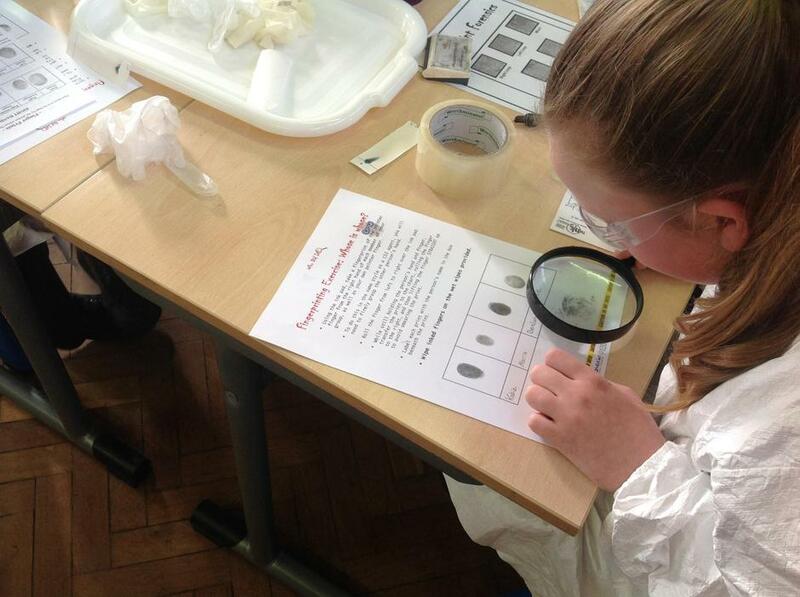 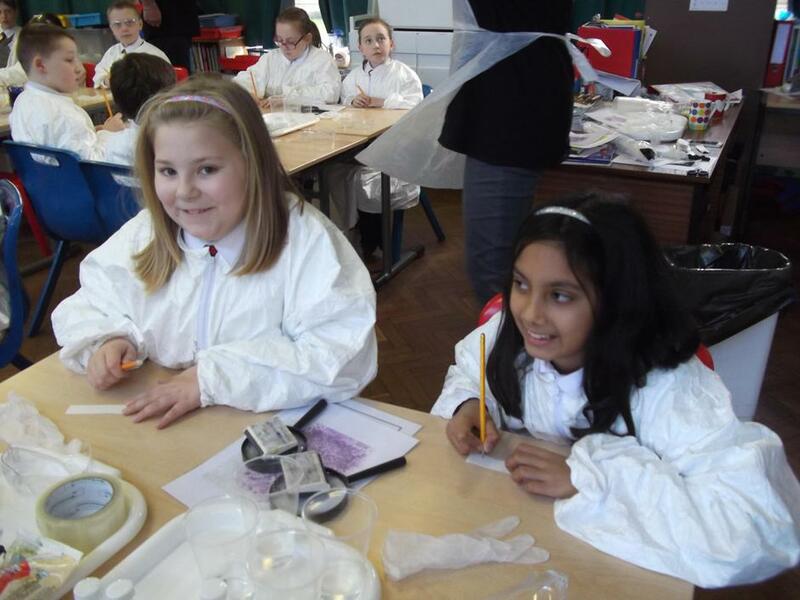 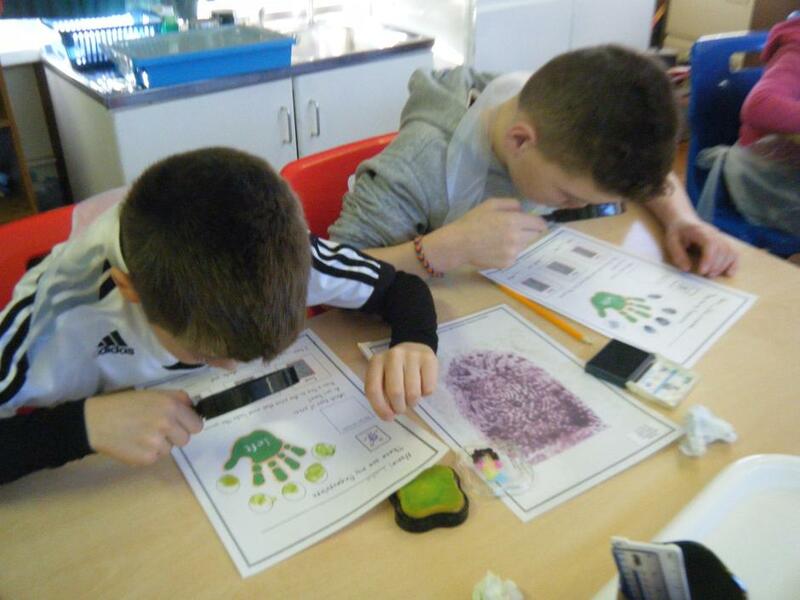 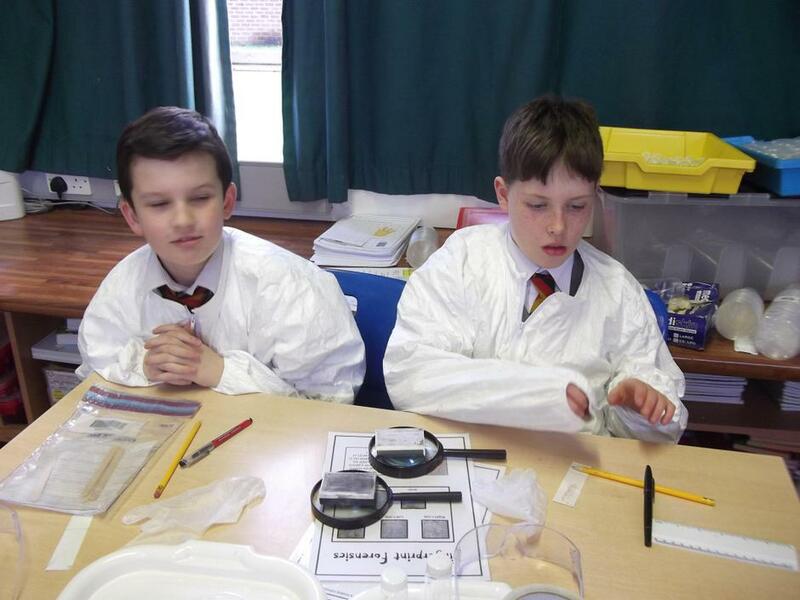 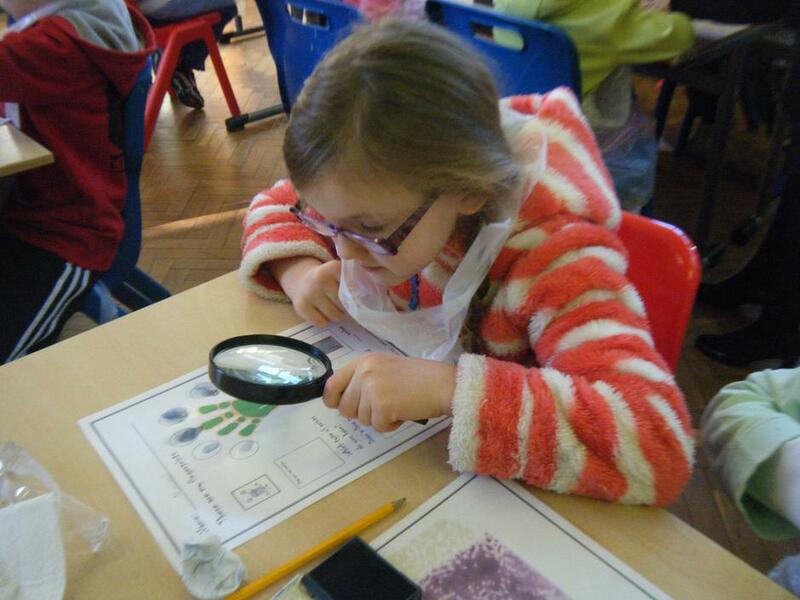 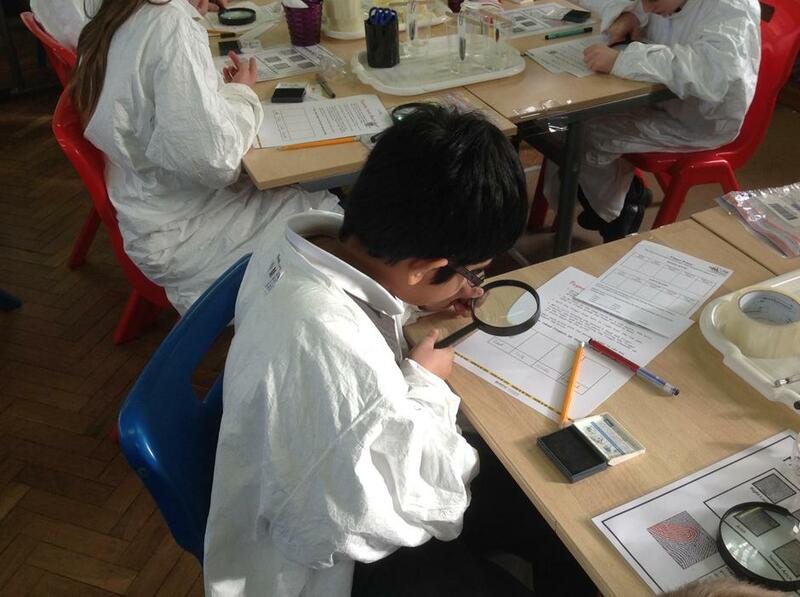 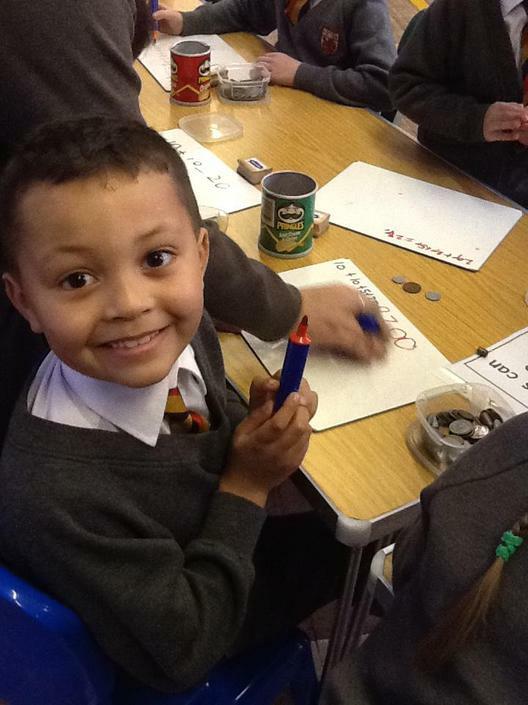 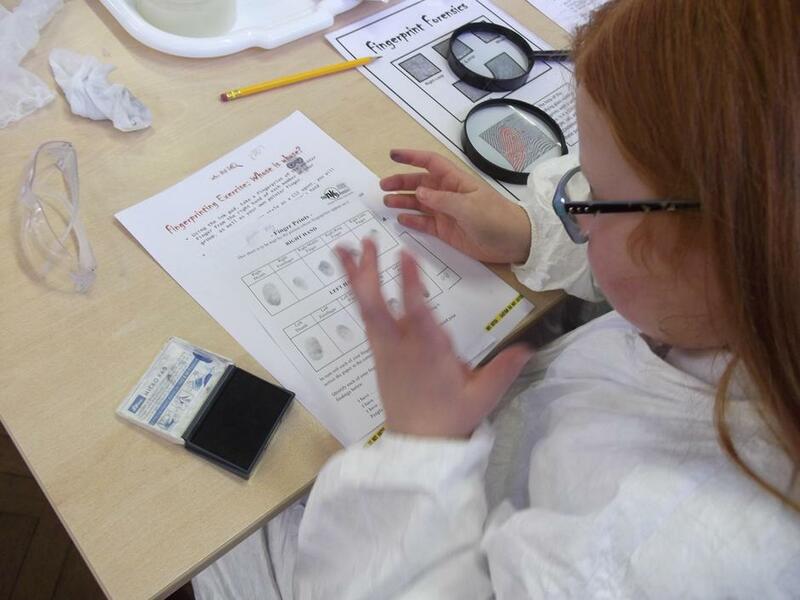 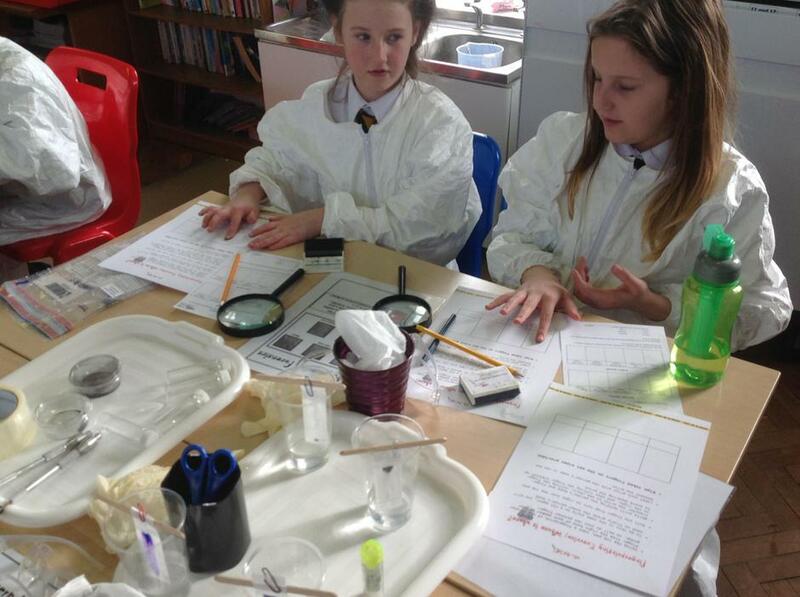 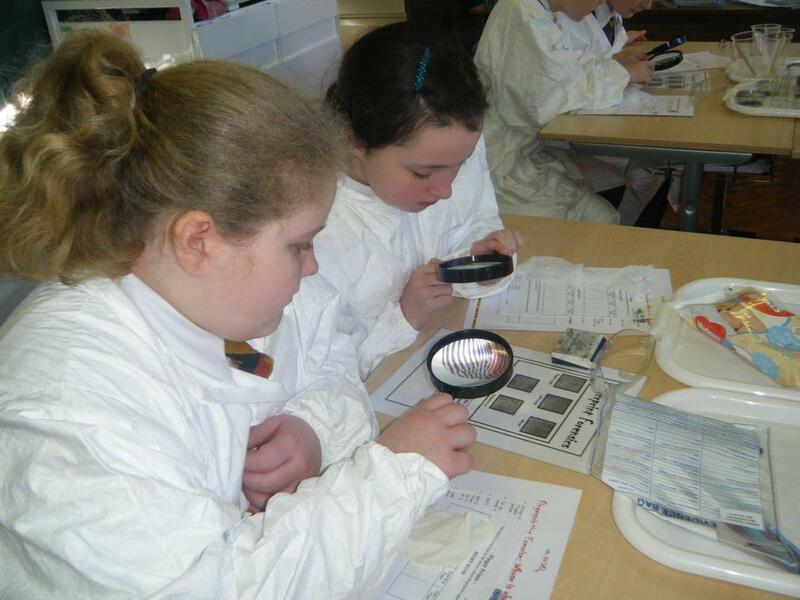 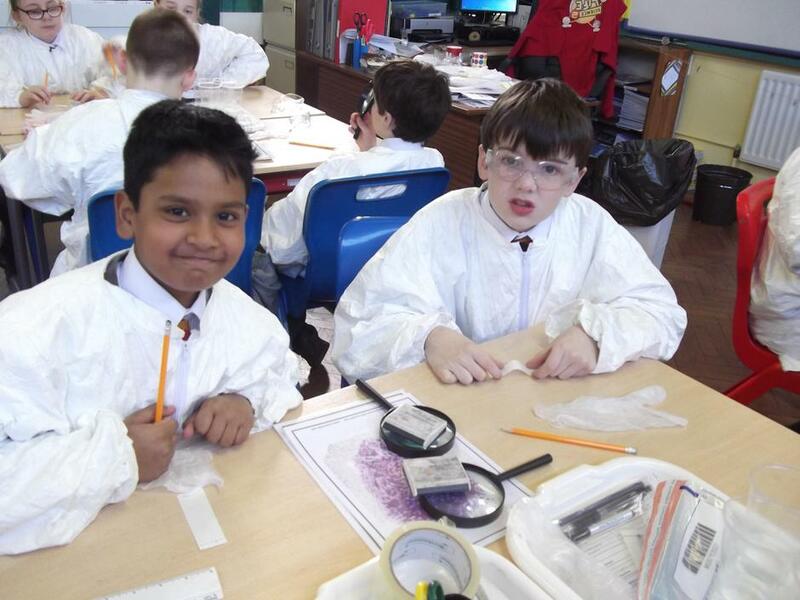 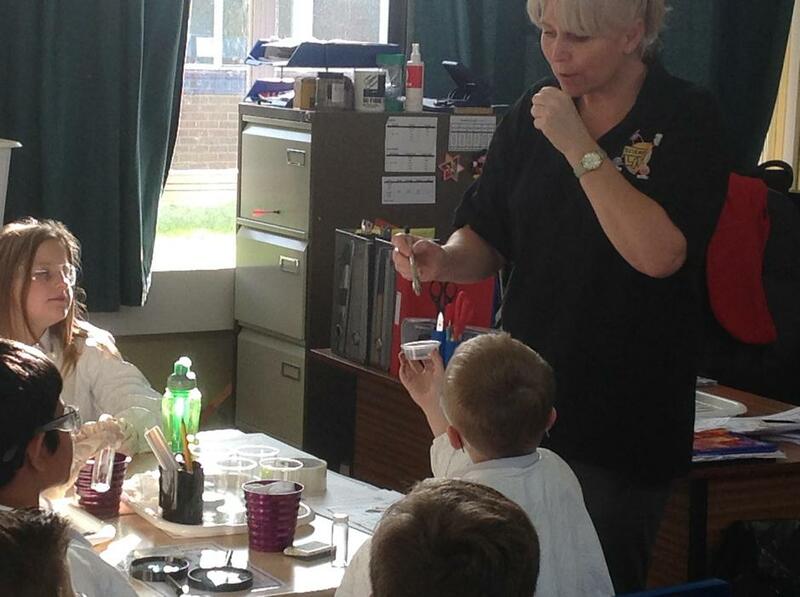 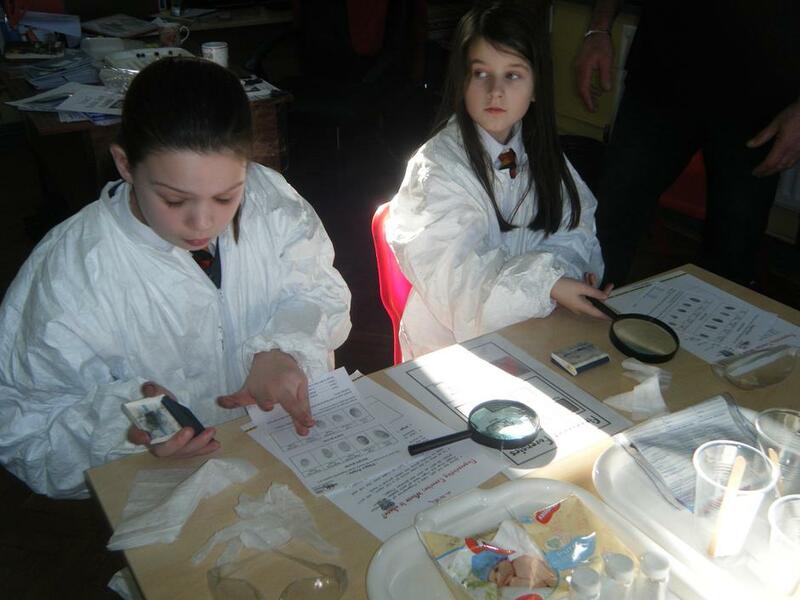 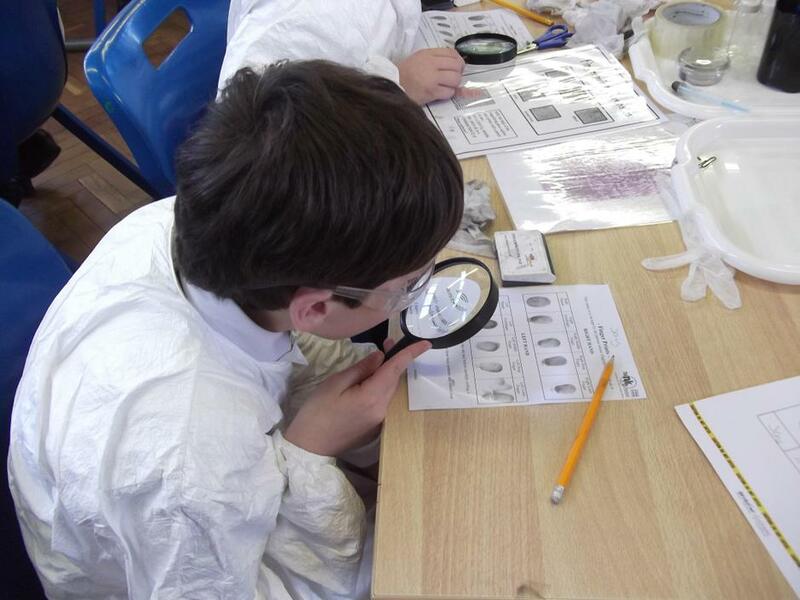 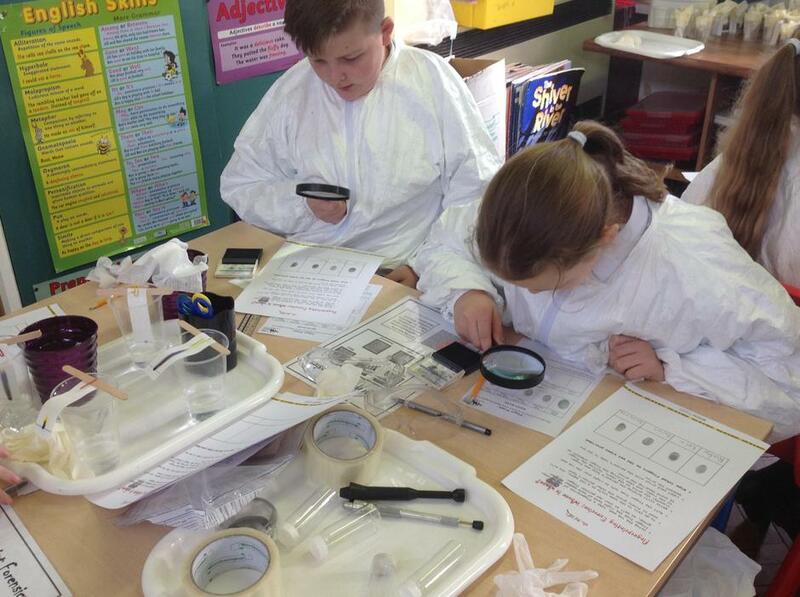 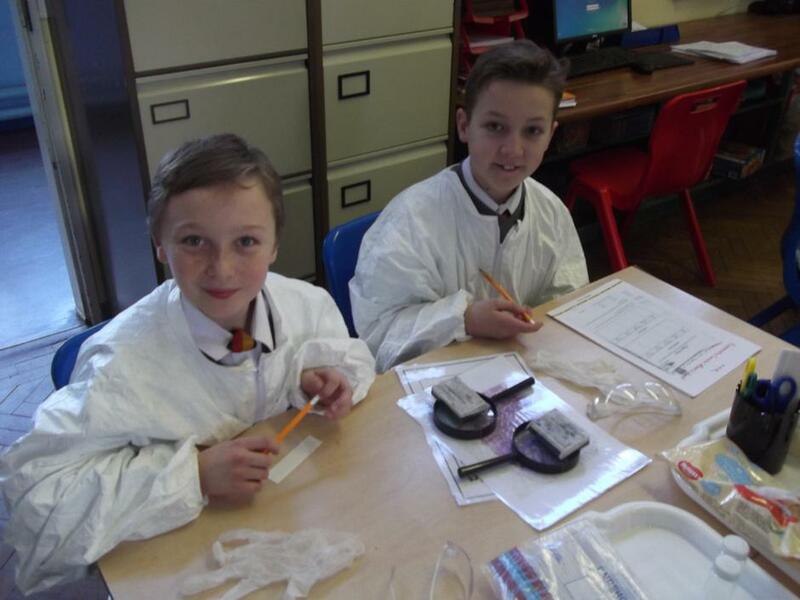 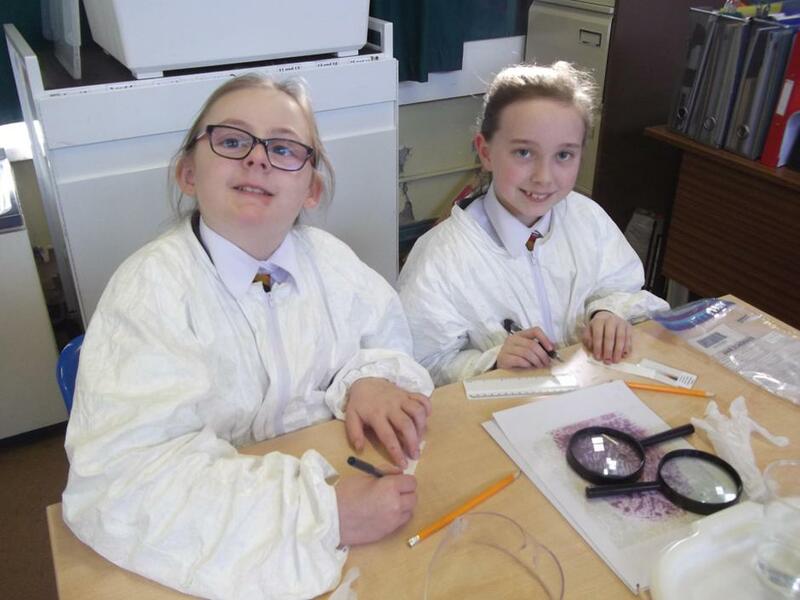 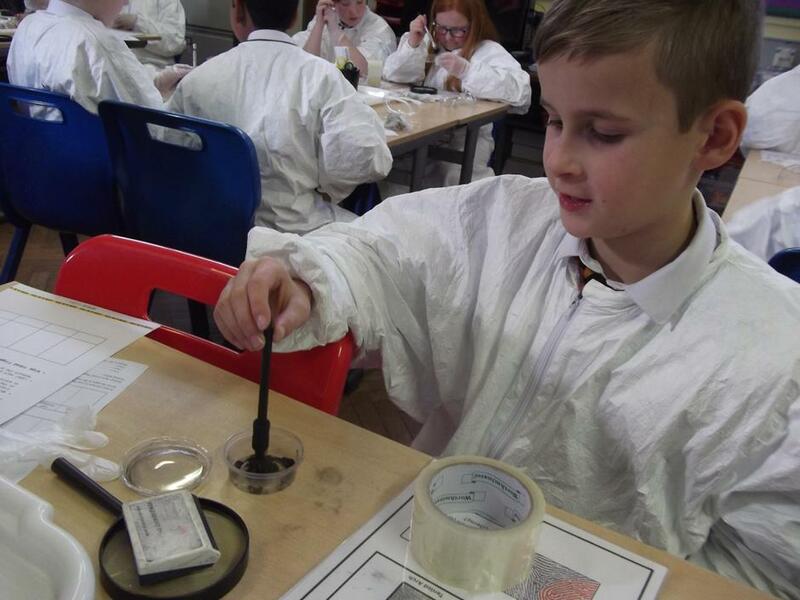 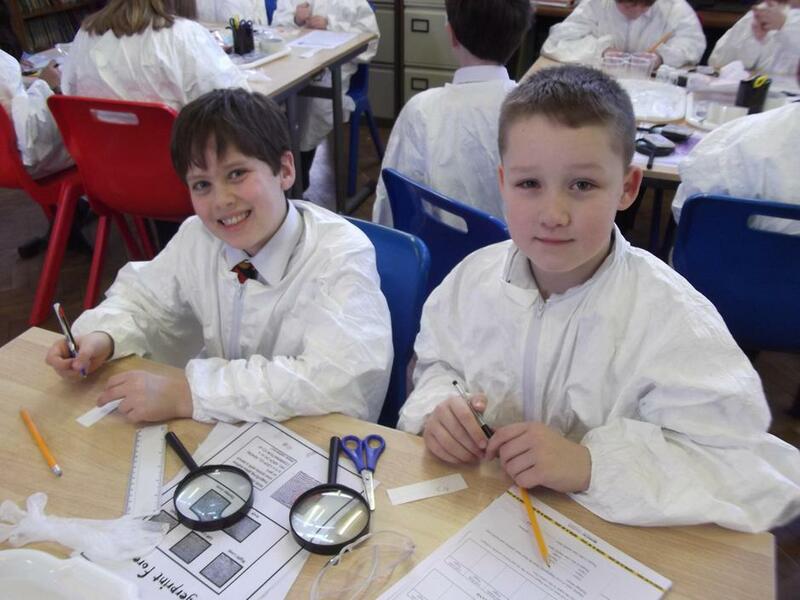 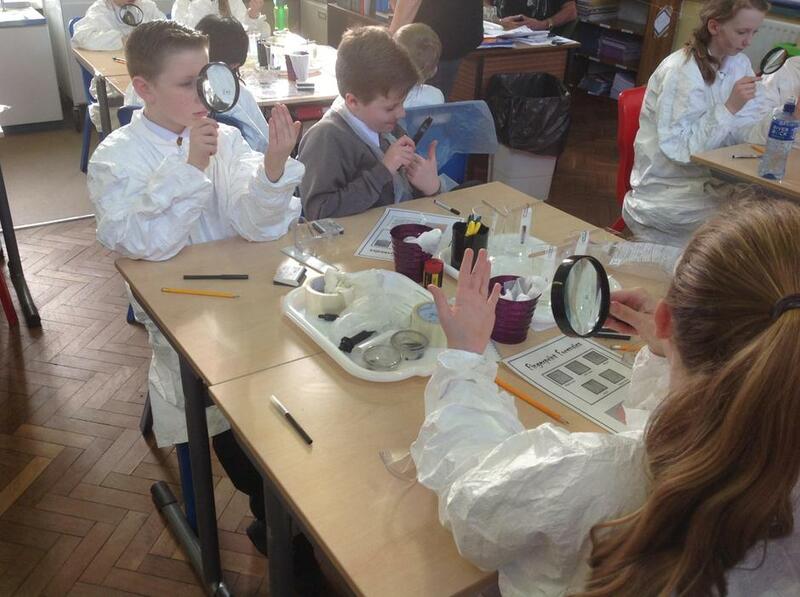 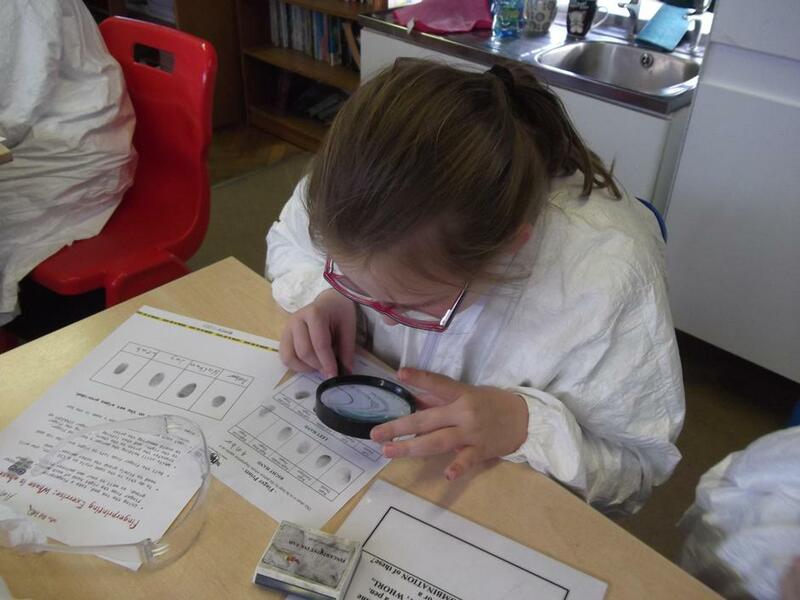 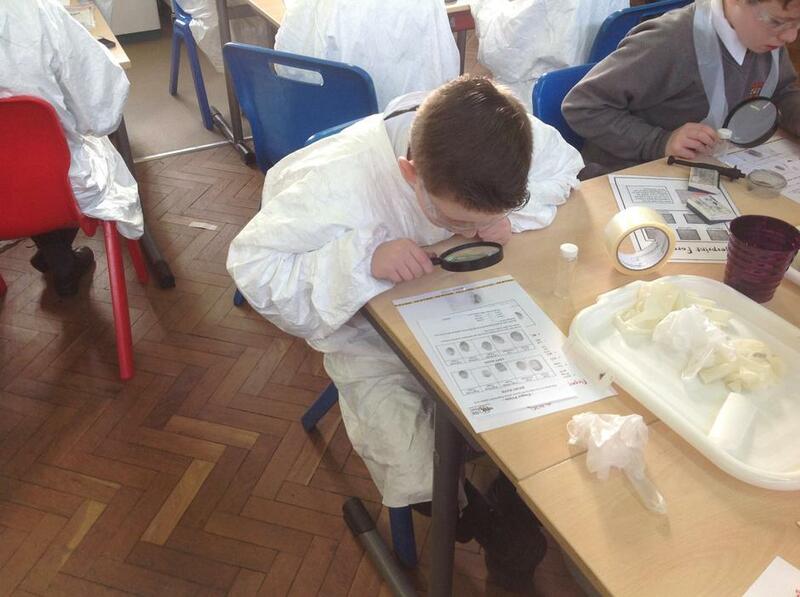 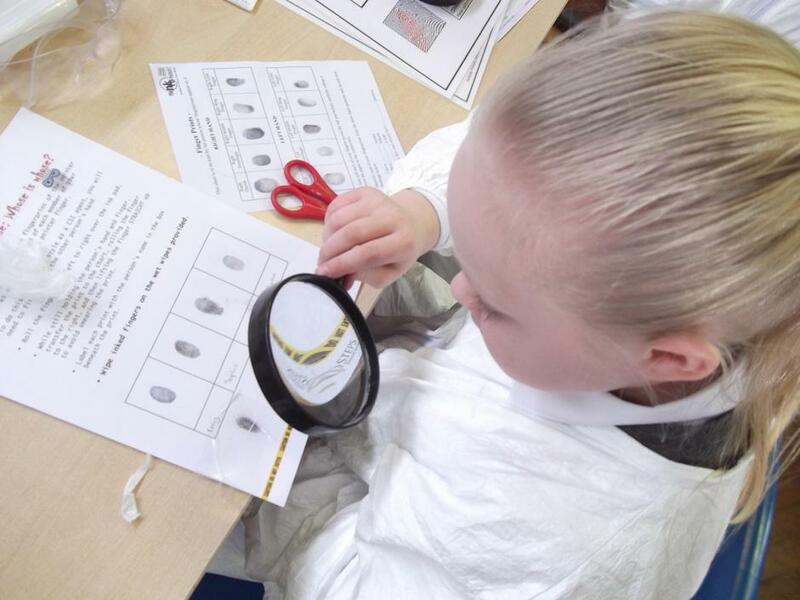 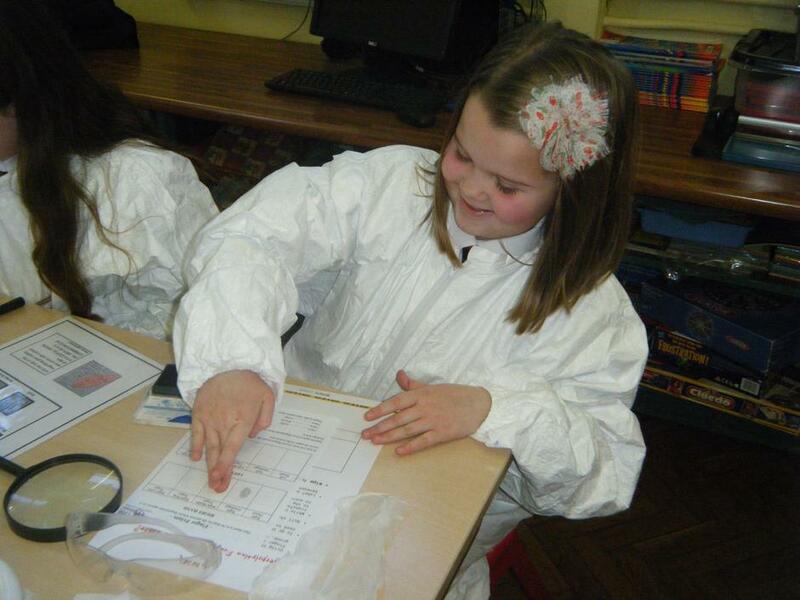 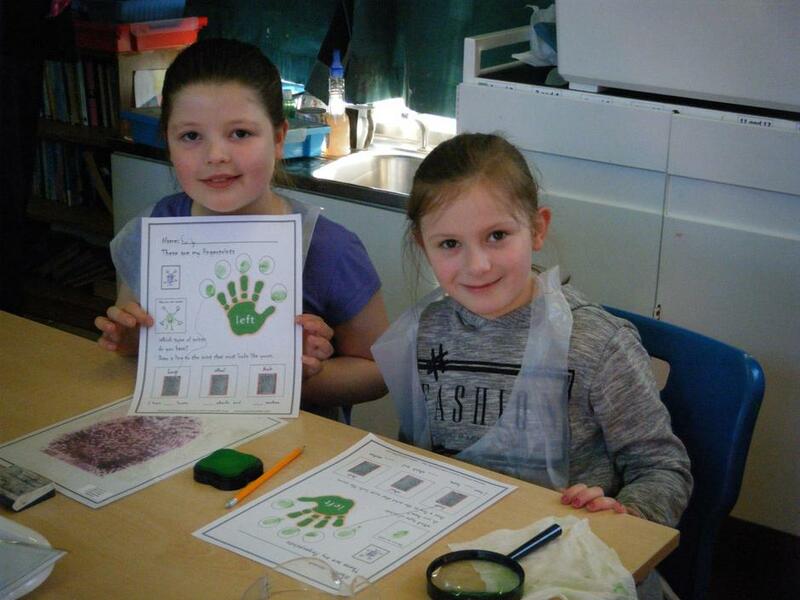 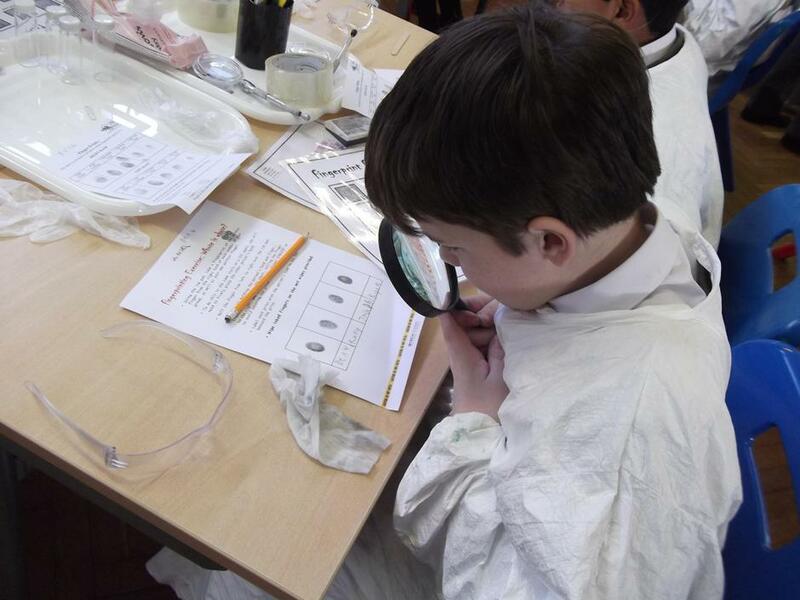 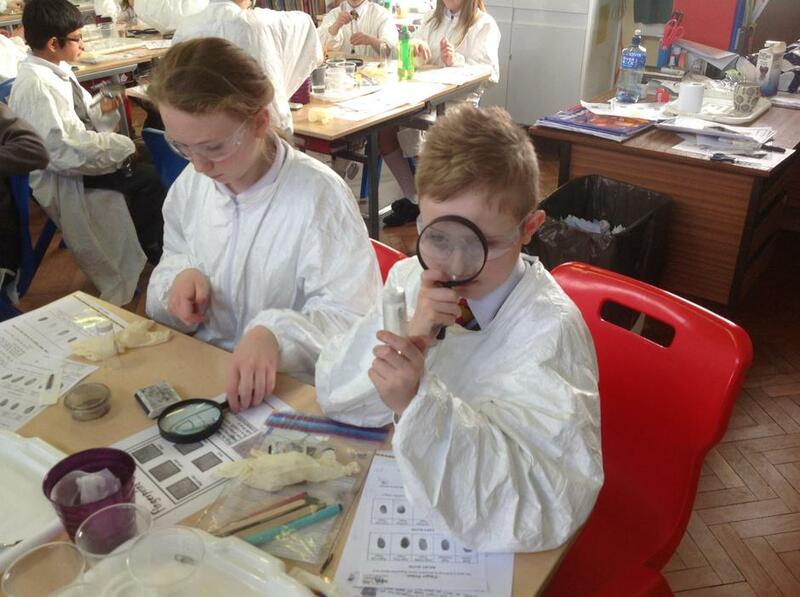 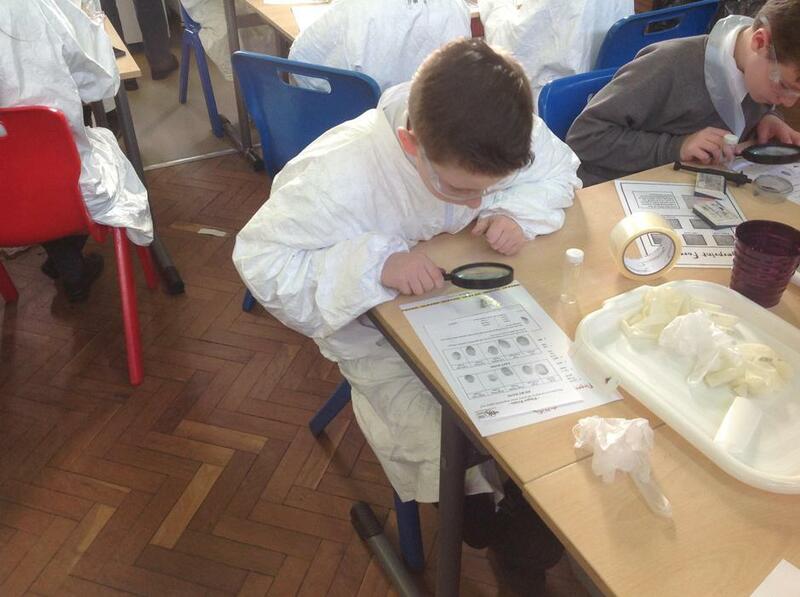 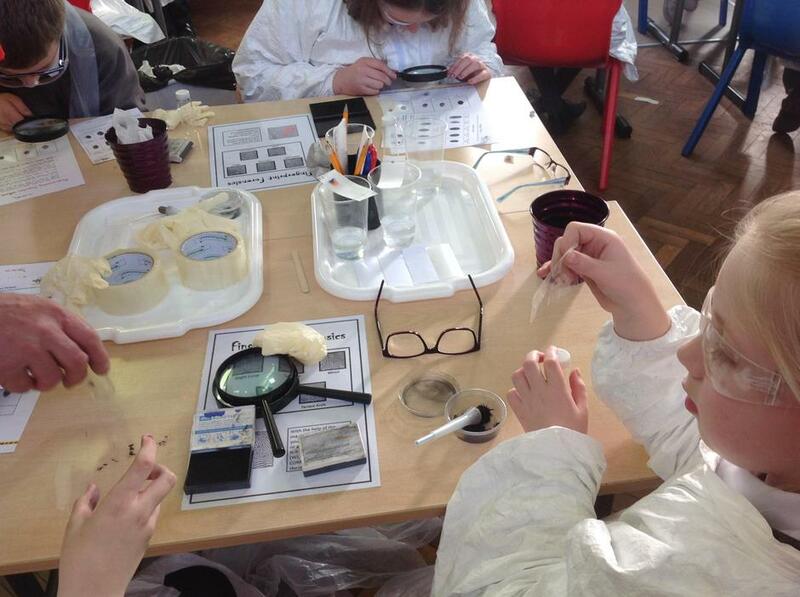 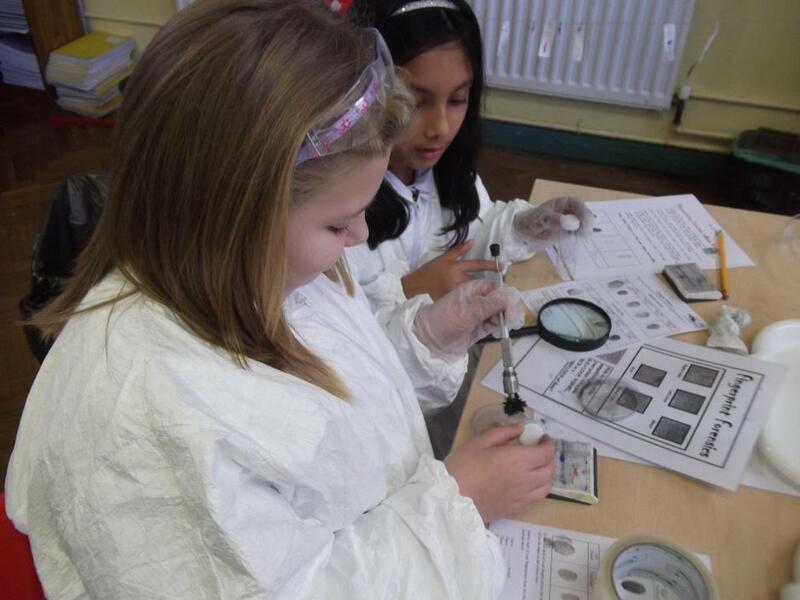 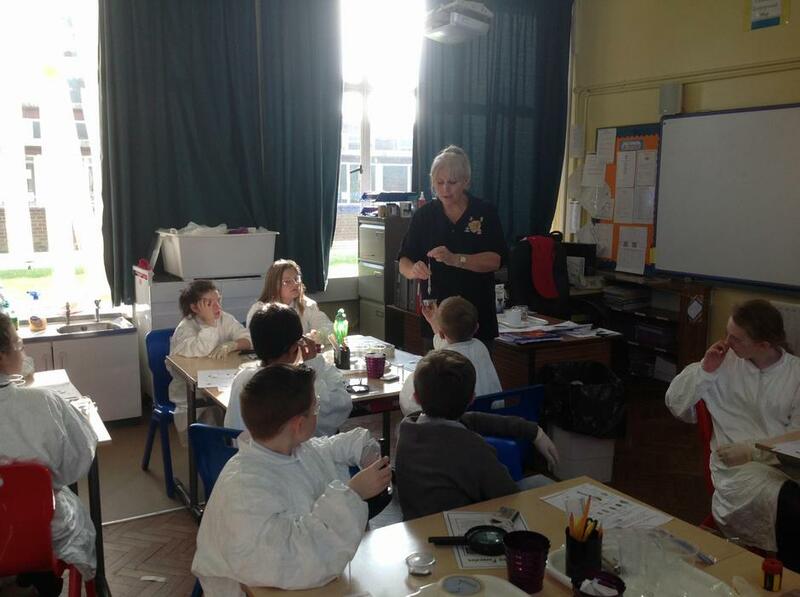 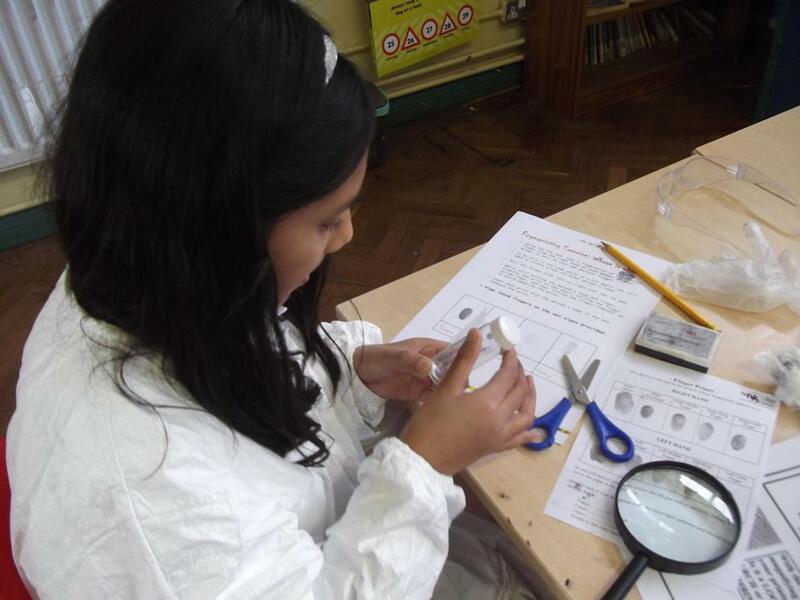 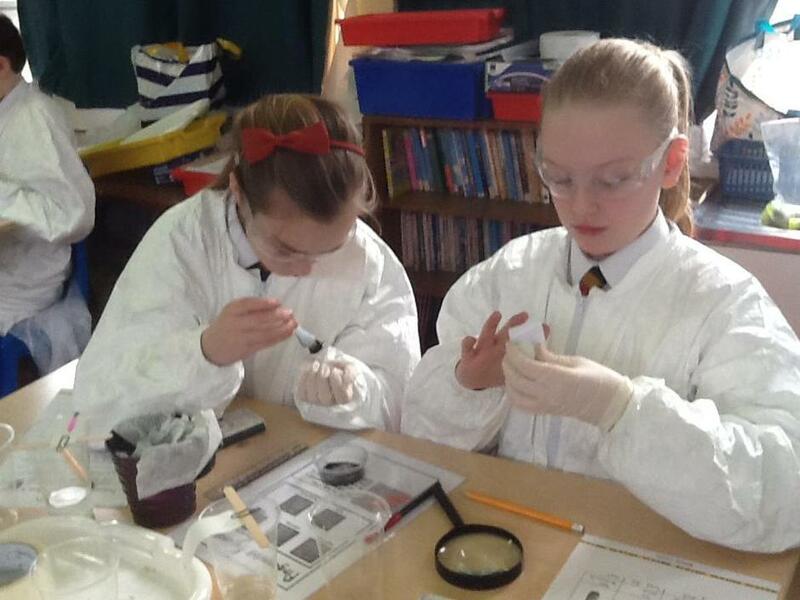 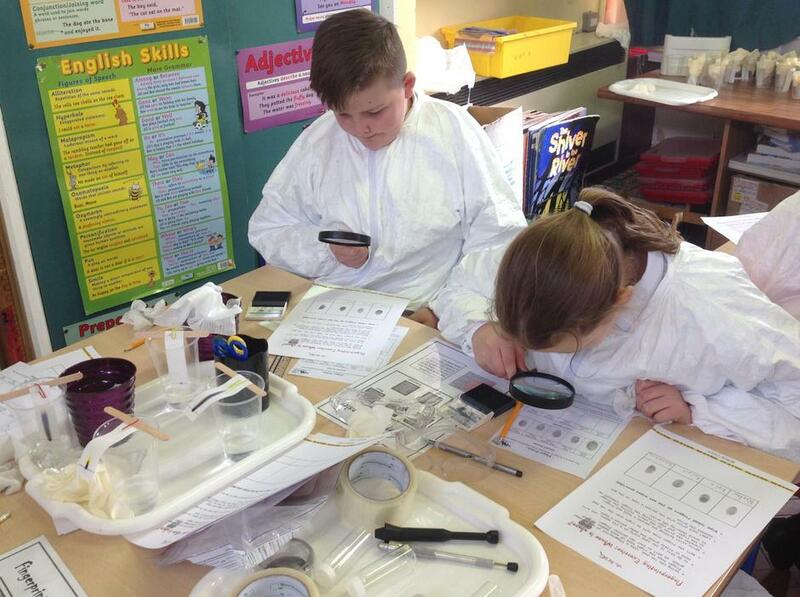 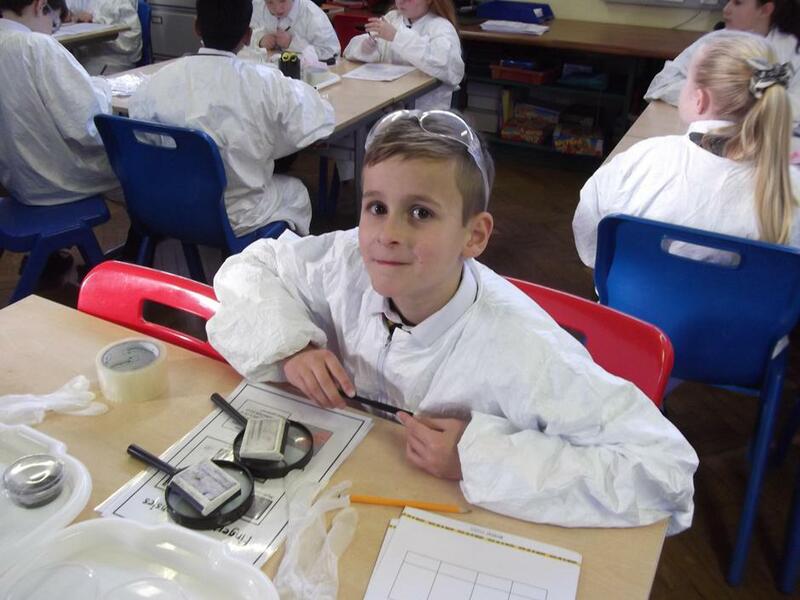 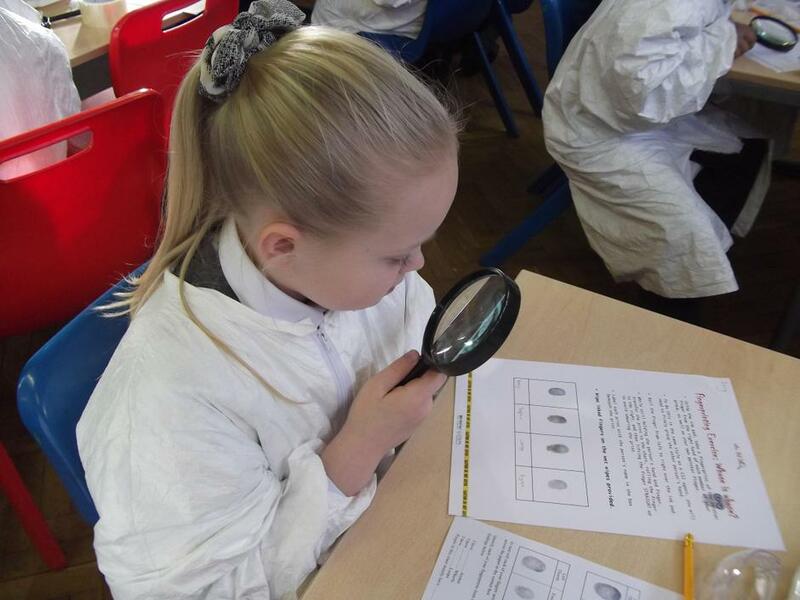 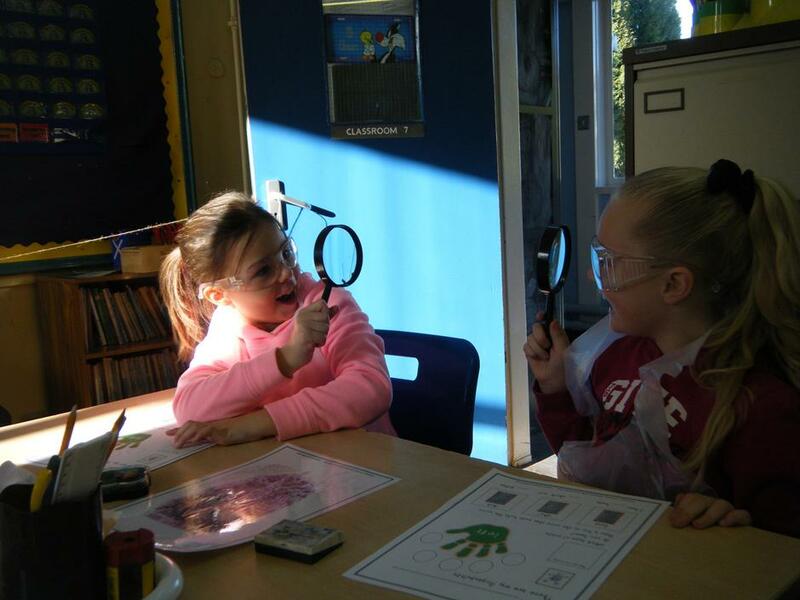 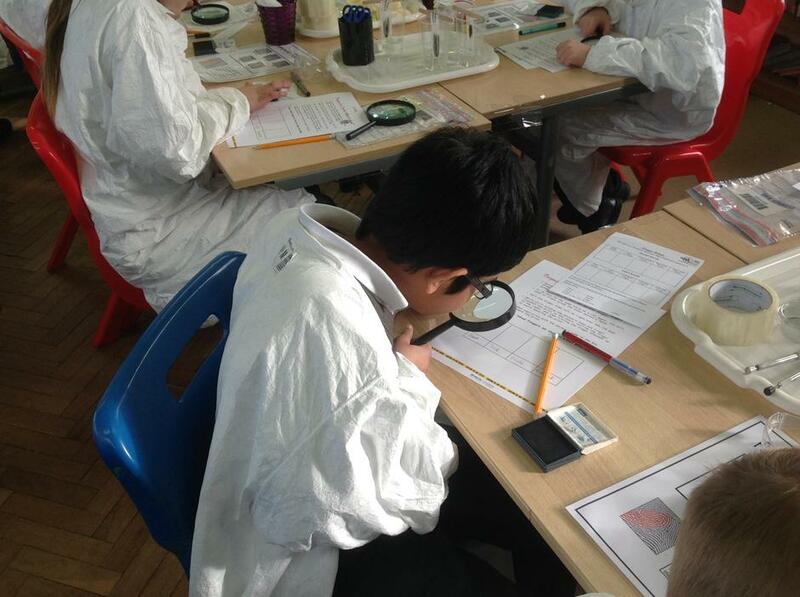 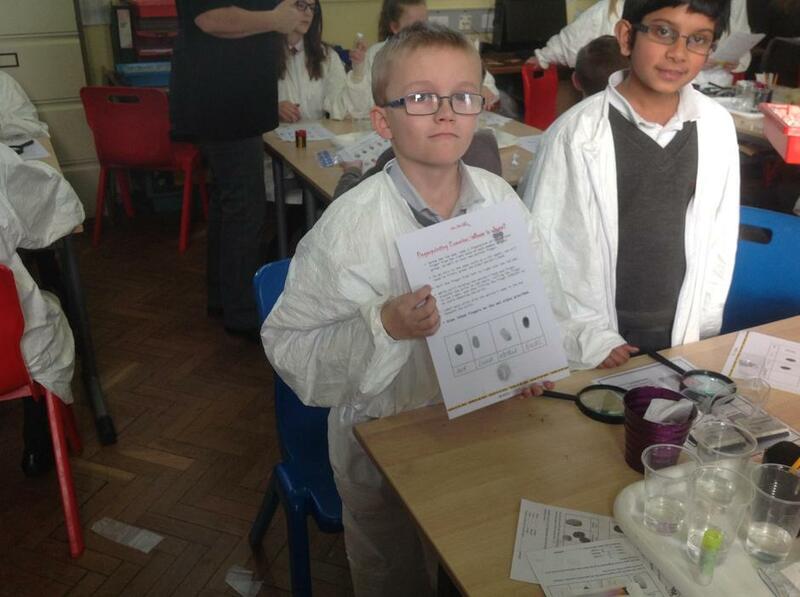 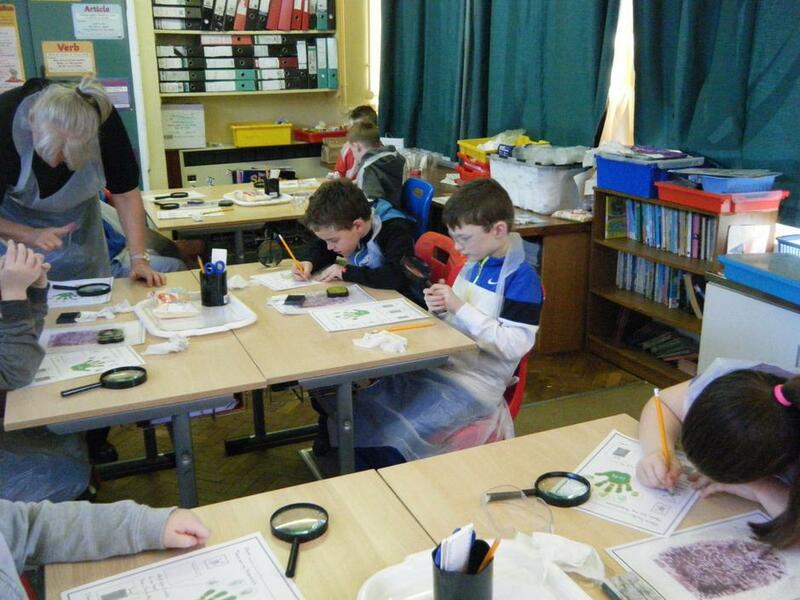 During this week the children were able to take part in lots of fun activities, including solving a crime using a CSI laboratory. 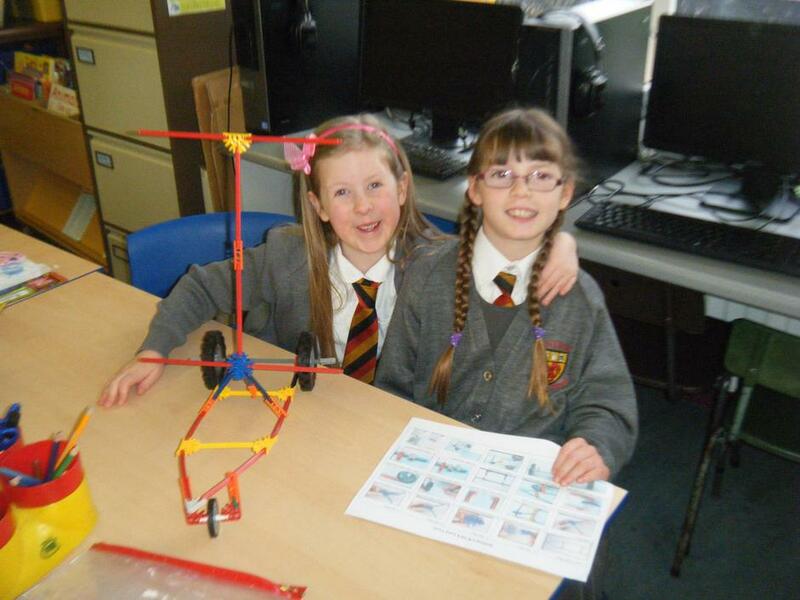 Special thanks to Mrs McKee for all her hard work and organisation of STEM Week. 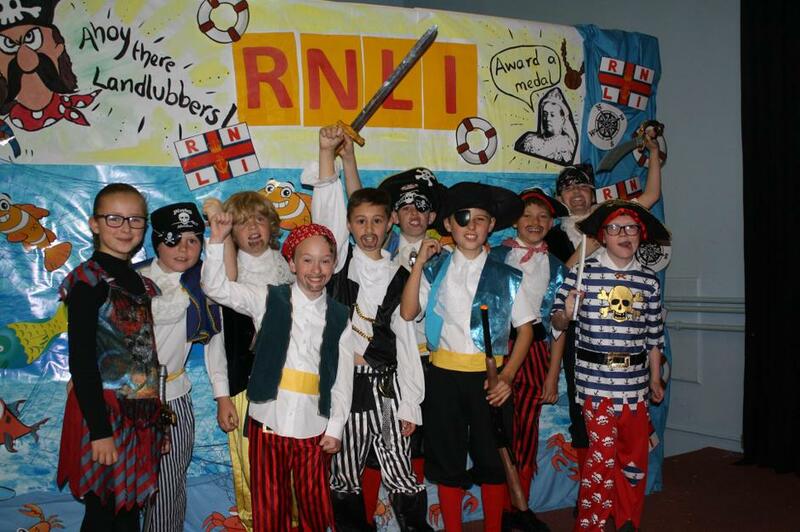 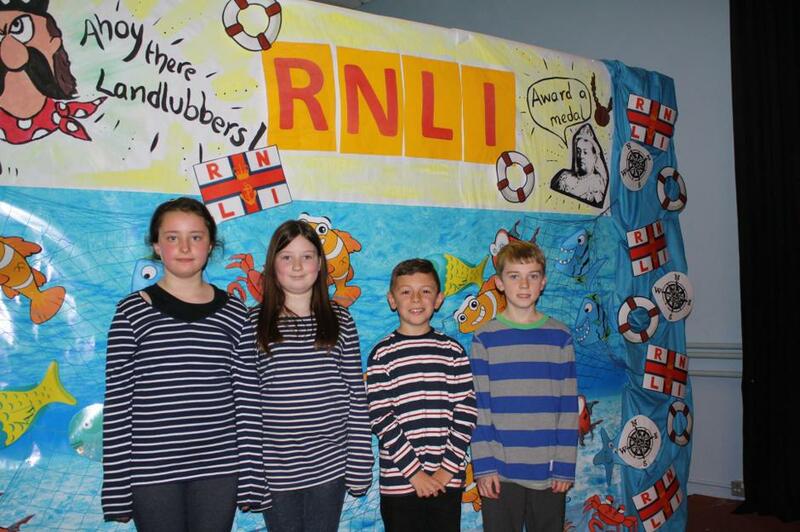 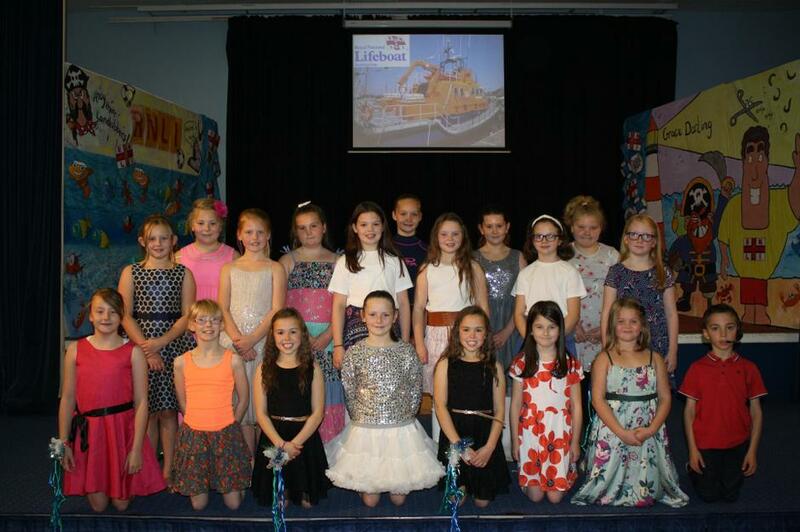 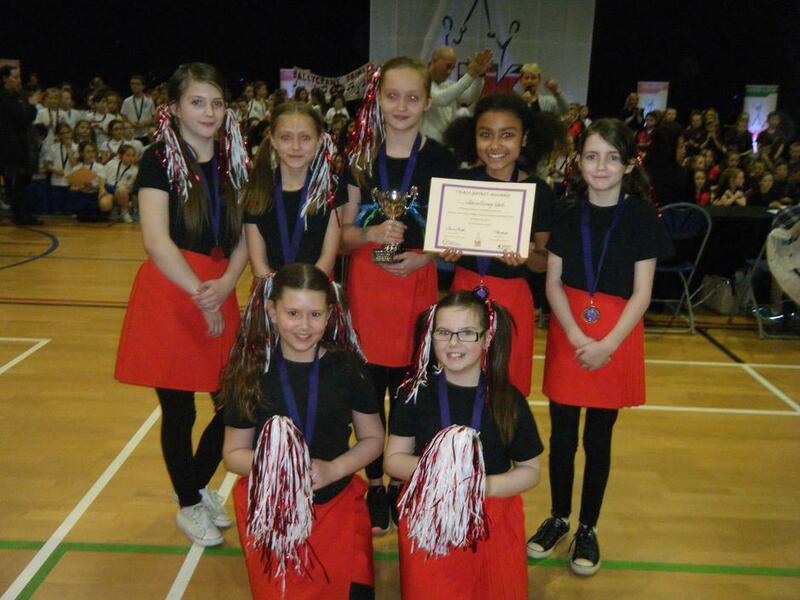 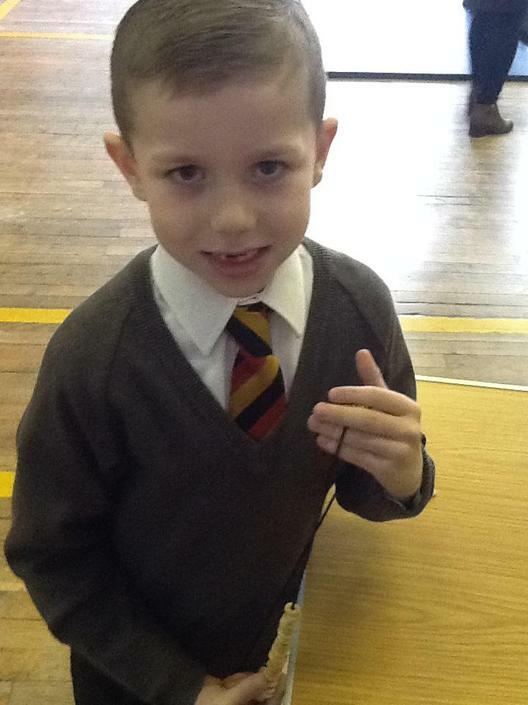 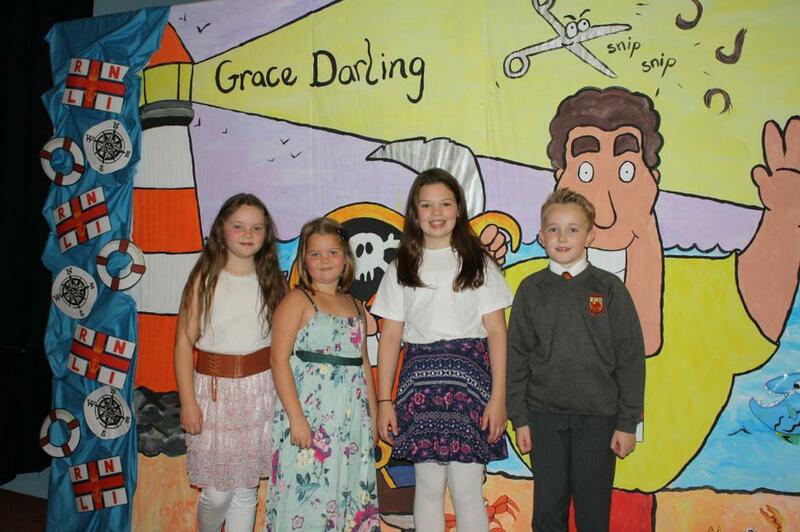 Antrim Primary were awarded first place – the best school in the section and won the Violet Bell Memorial Cup. 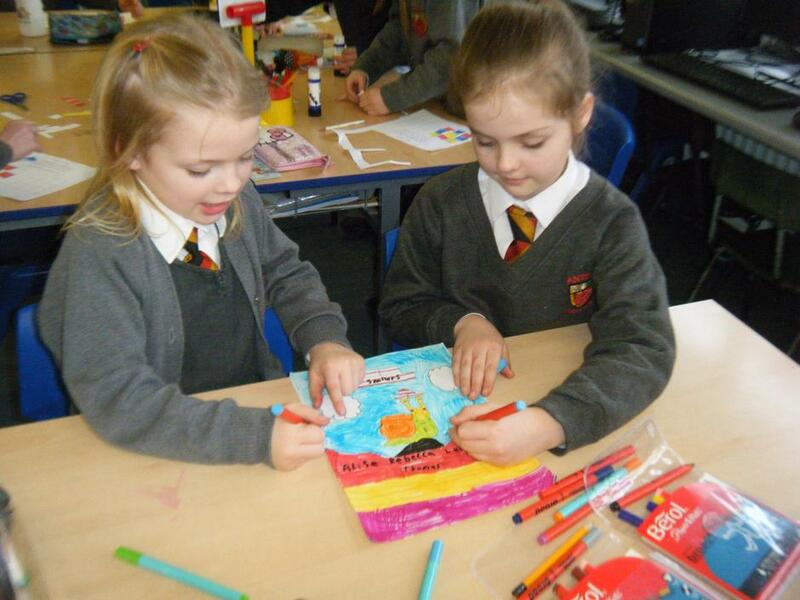 The school are delighted and very proud of all our Art work. 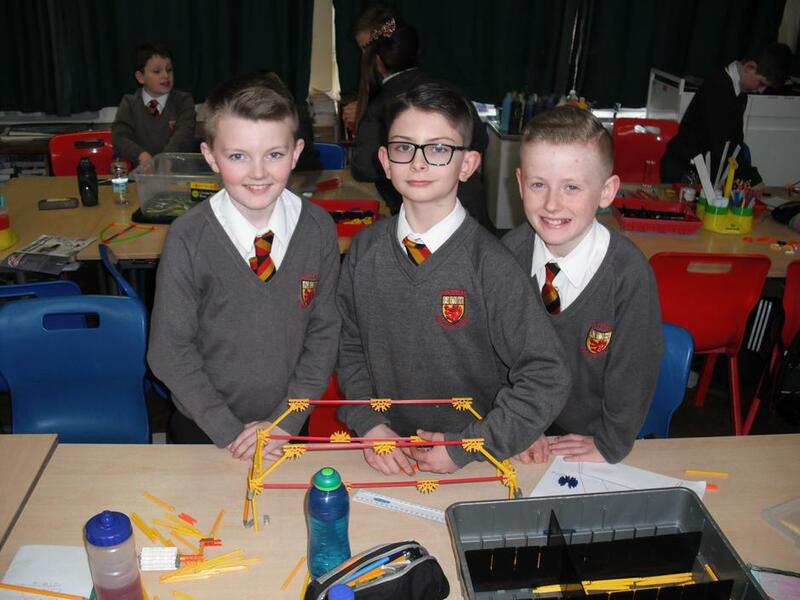 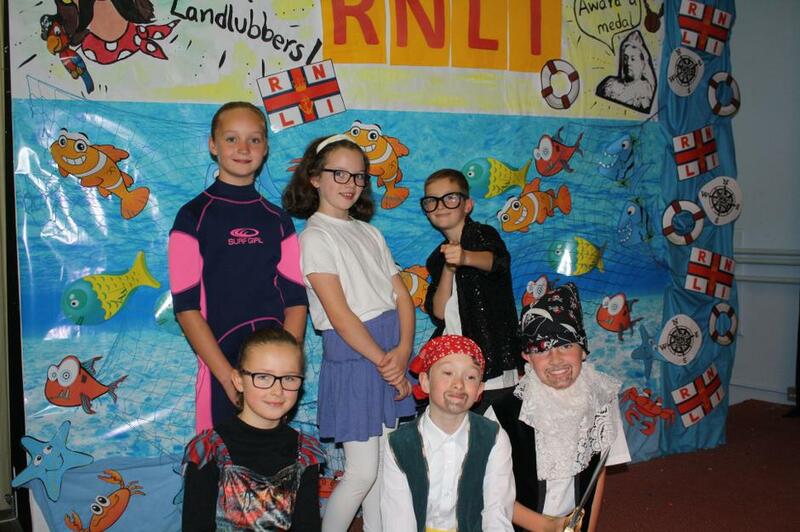 We would like to congratulate all the pupils involved in the event and thank all the teachers for their hard work, especially Mrs McConnell who coordinated all the pieces of work. 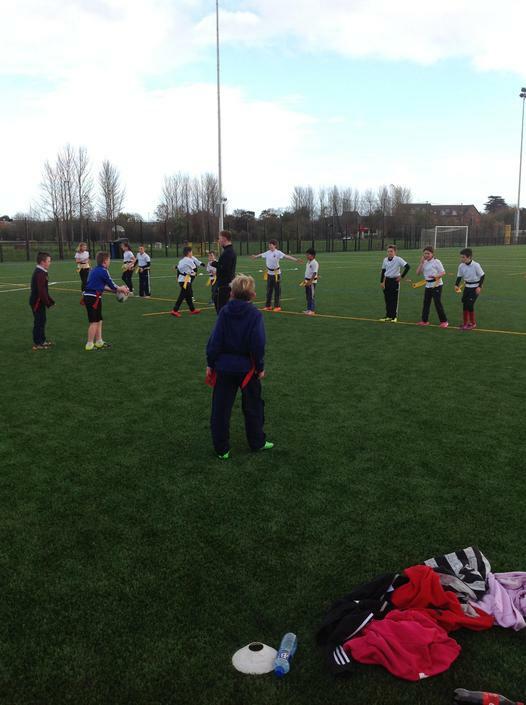 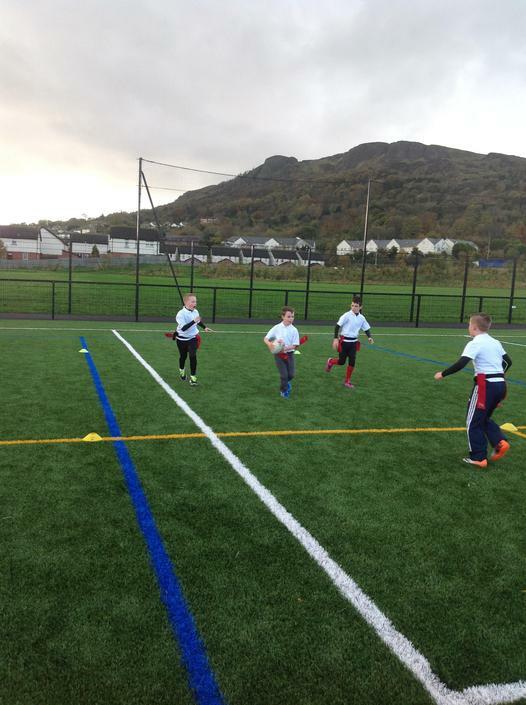 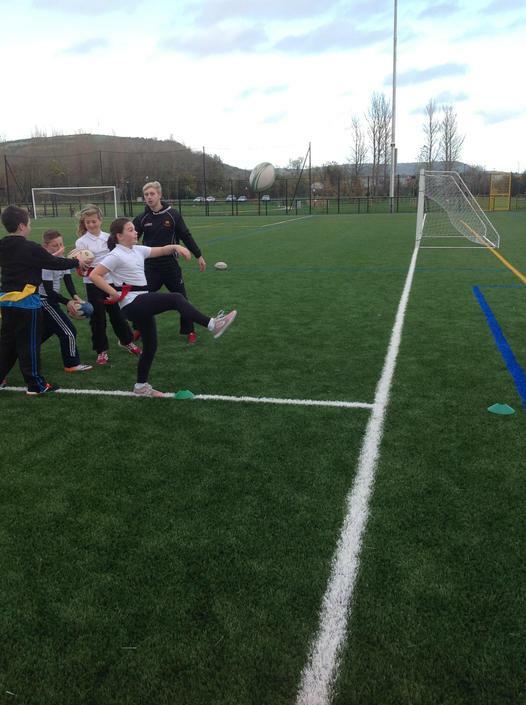 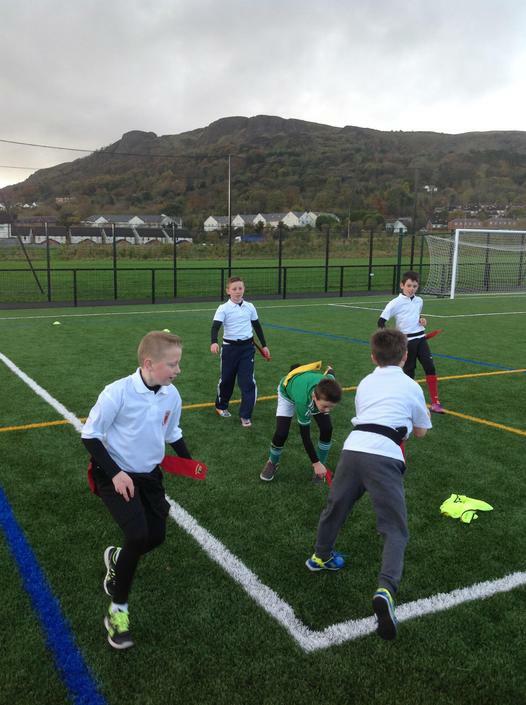 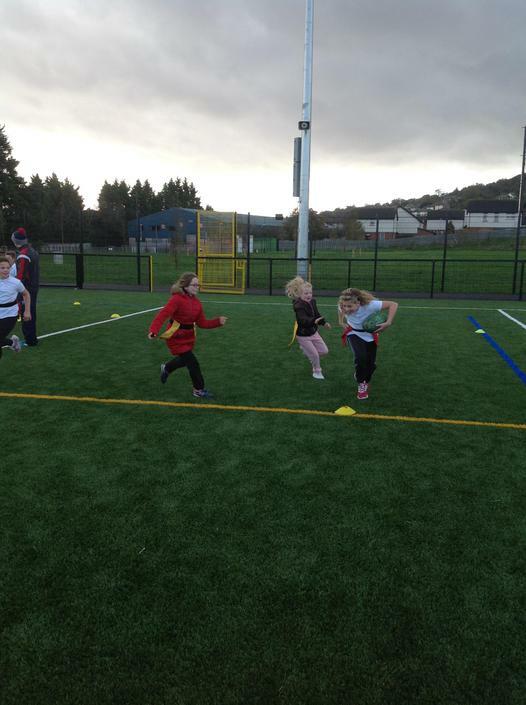 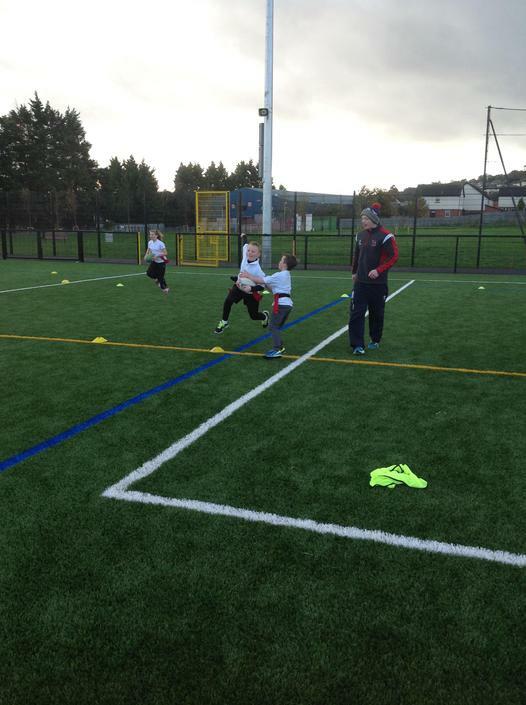 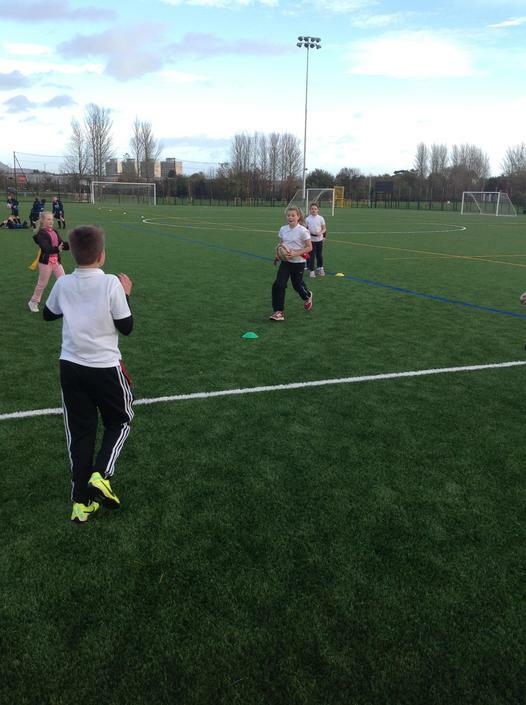 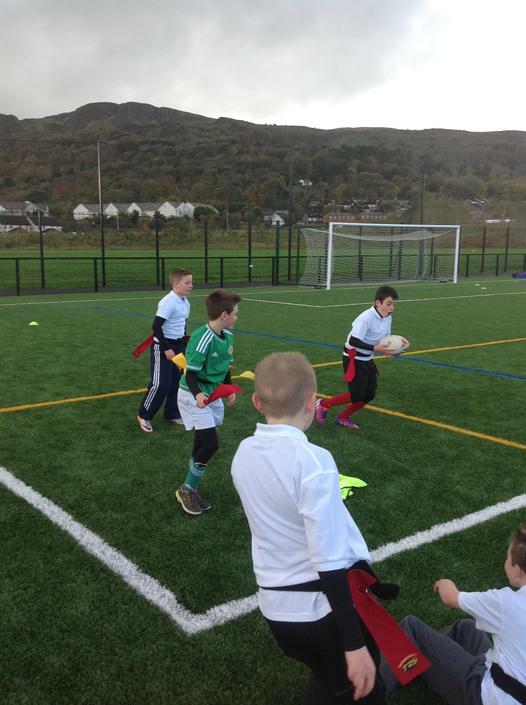 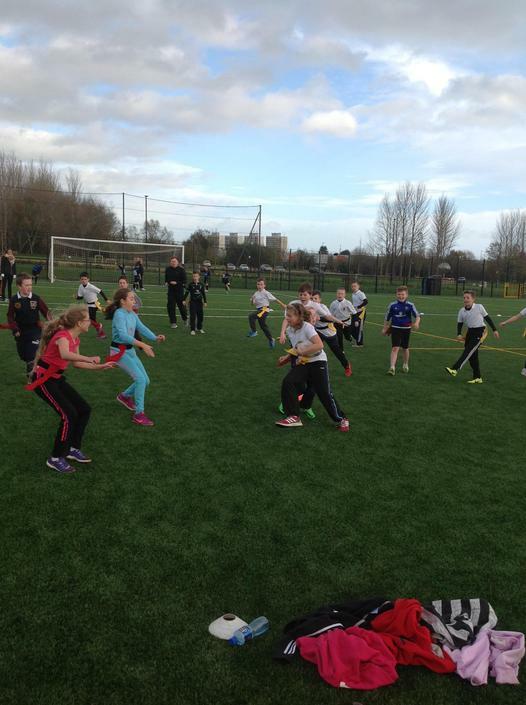 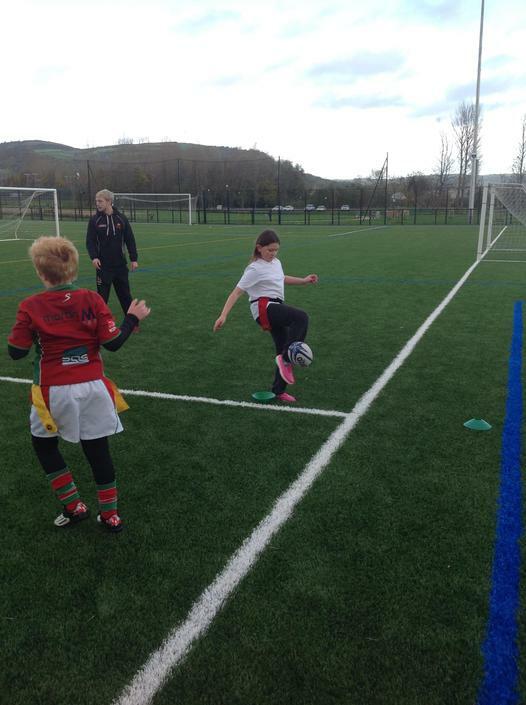 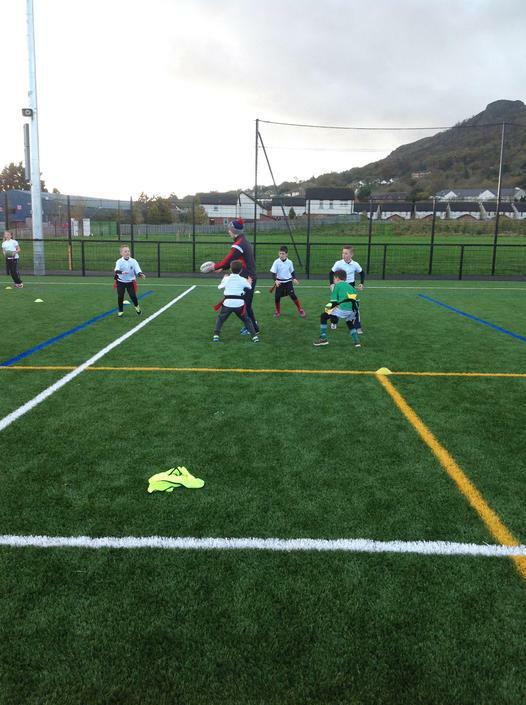 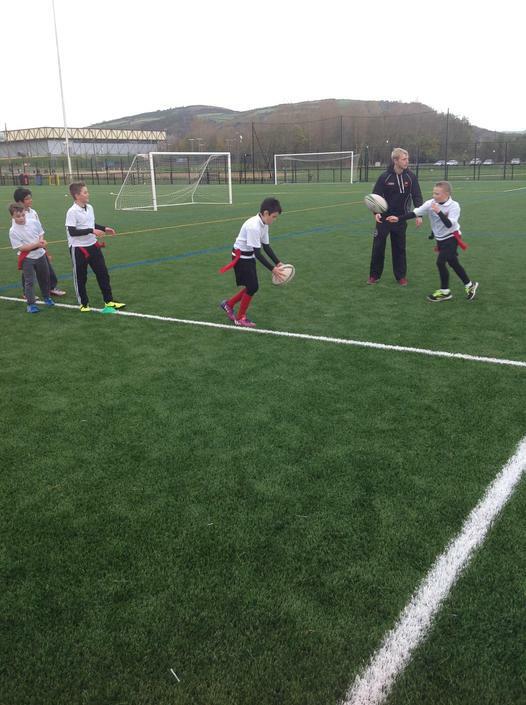 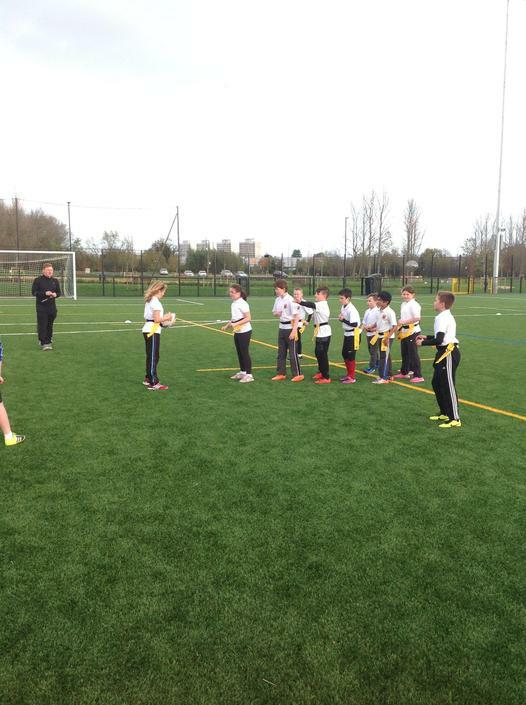 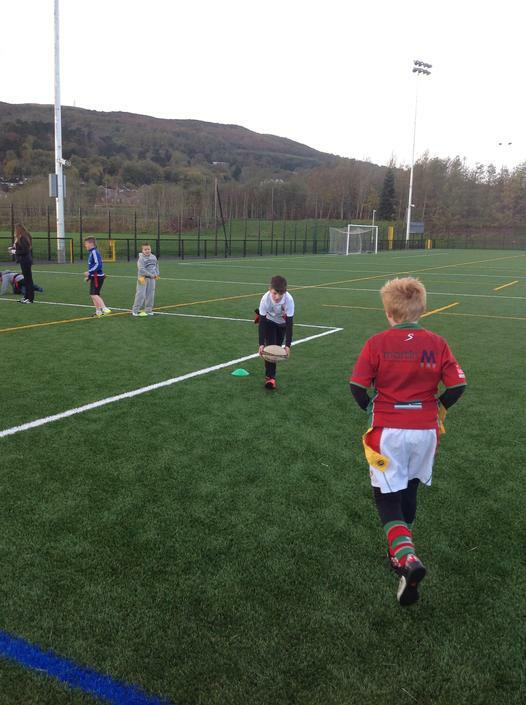 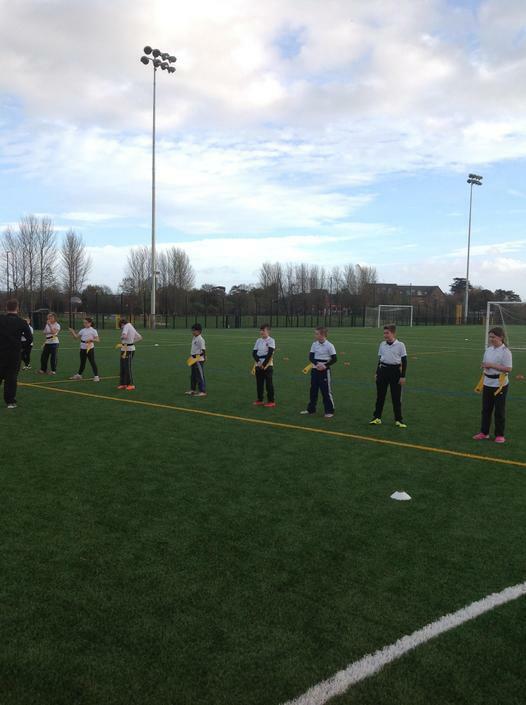 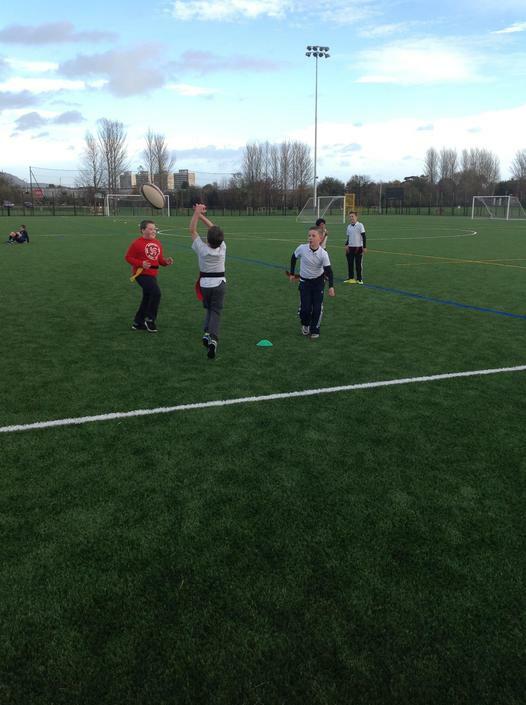 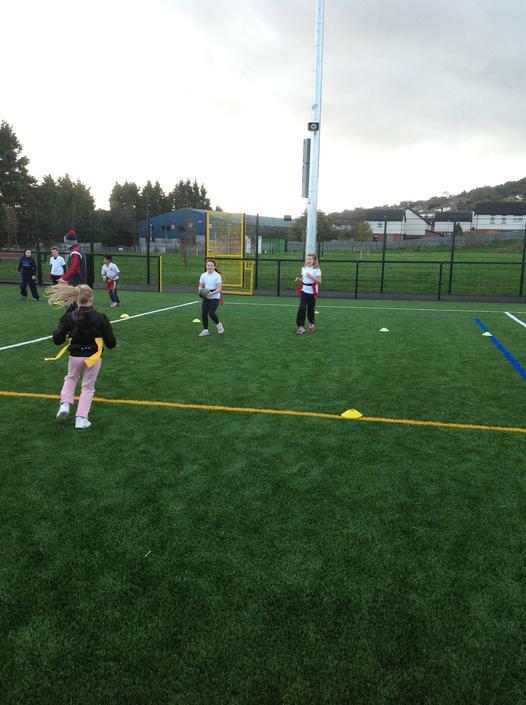 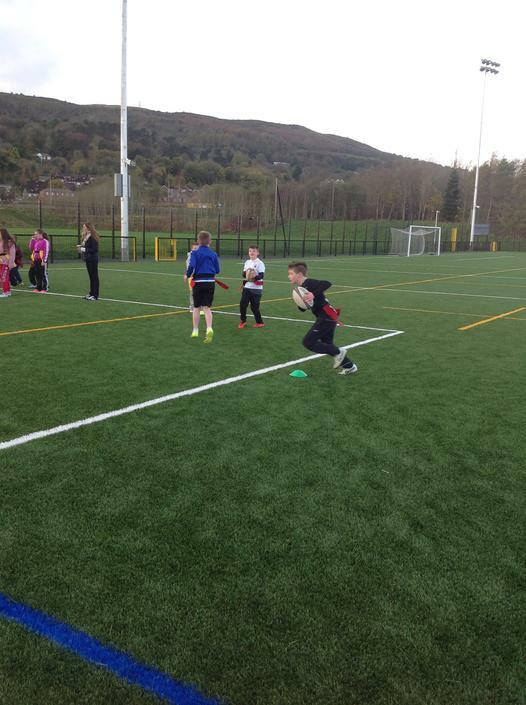 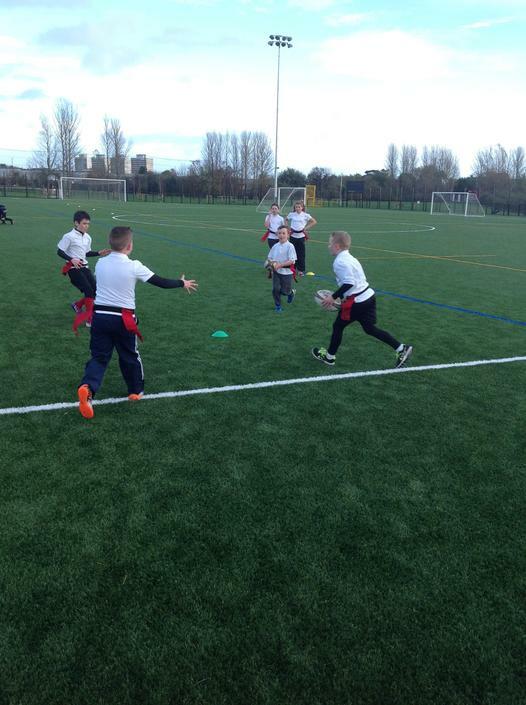 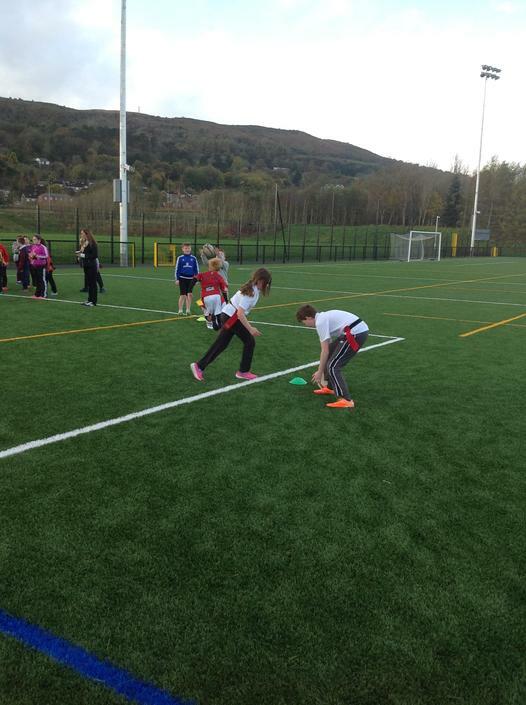 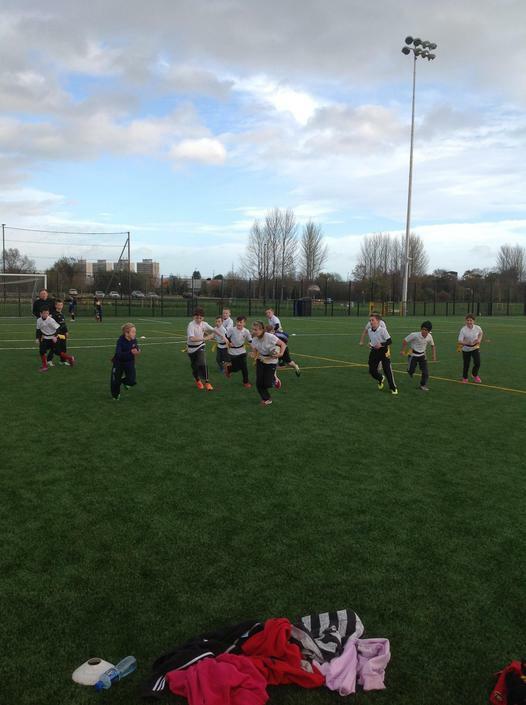 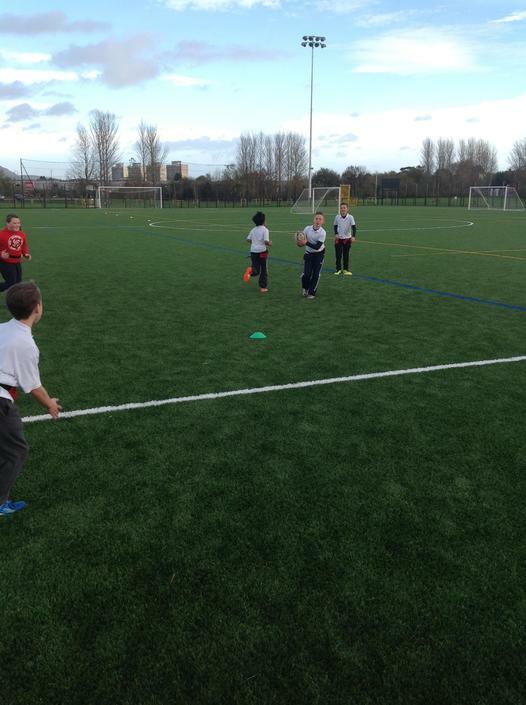 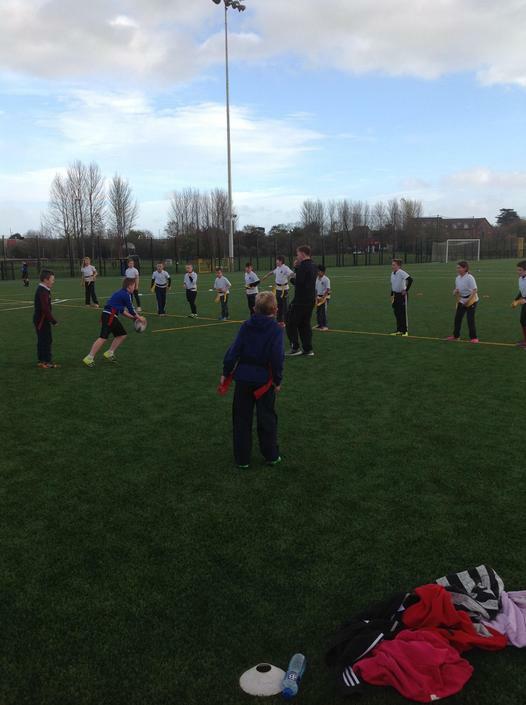 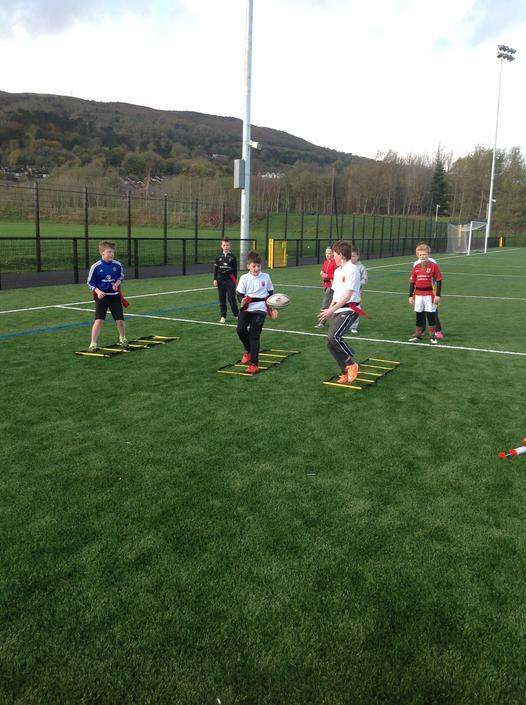 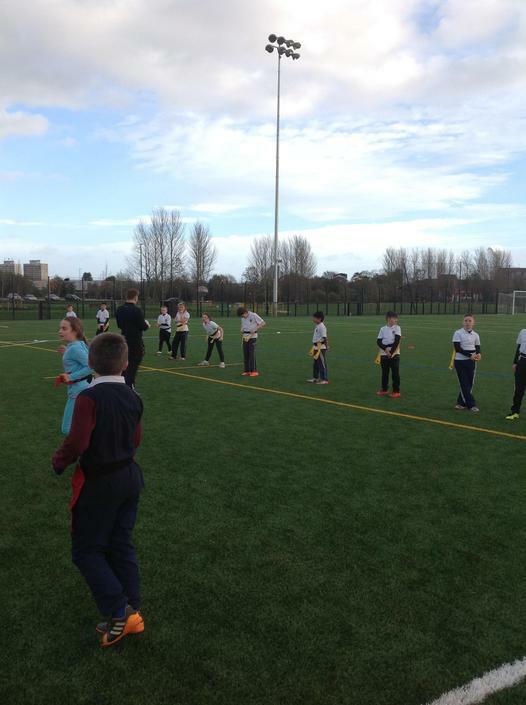 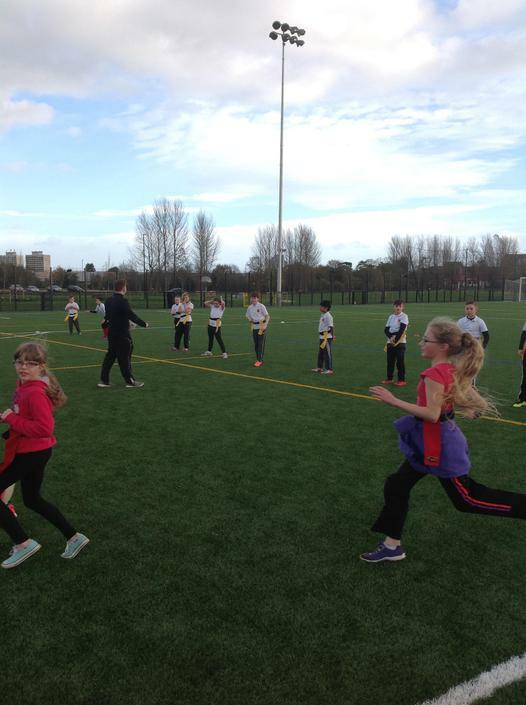 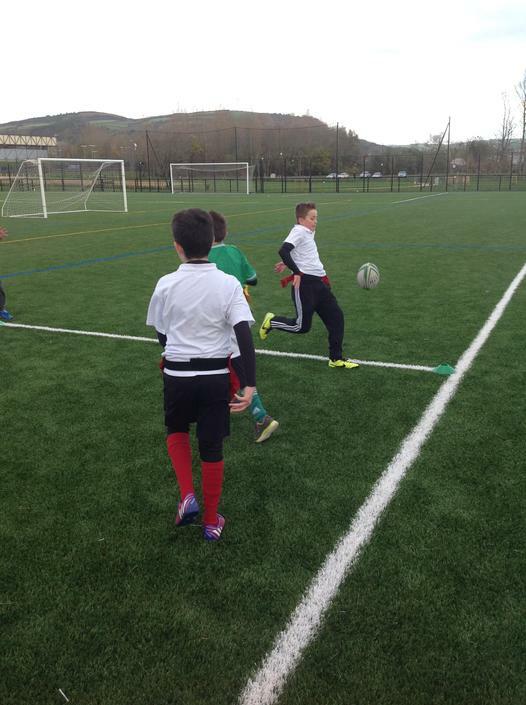 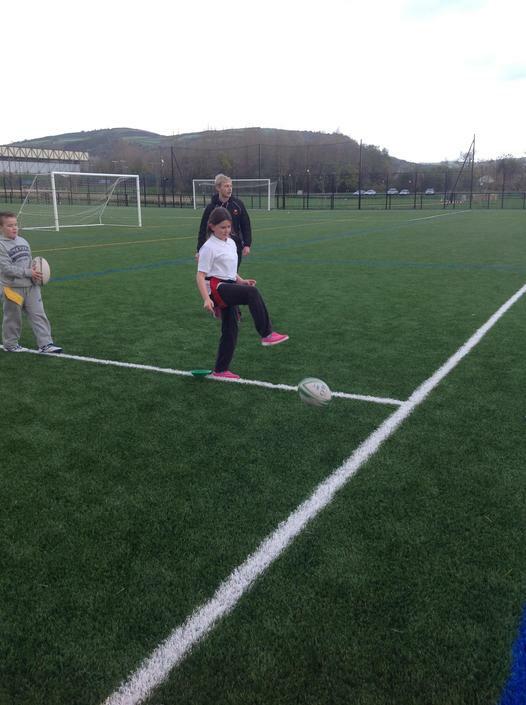 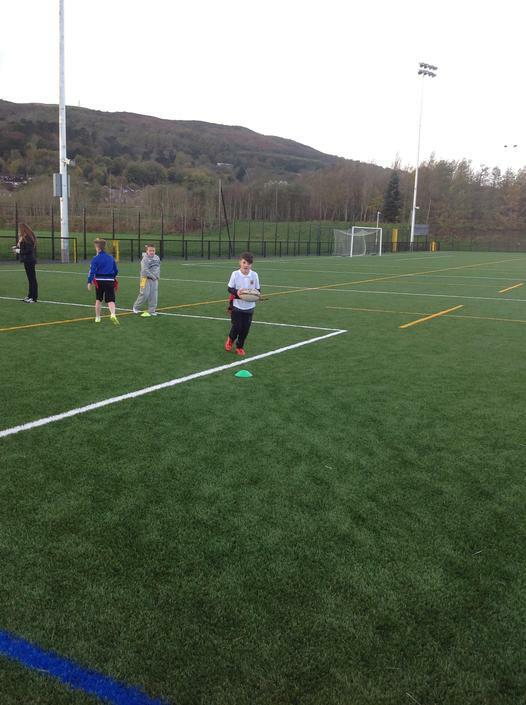 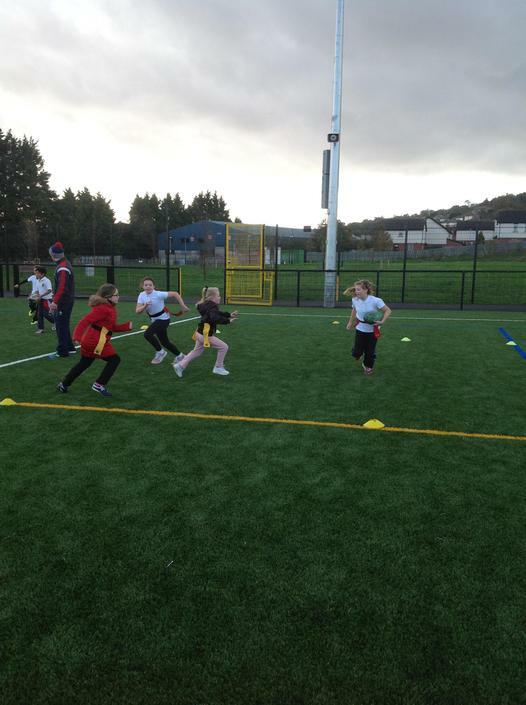 On Thursday 12th November, 11 children from Antrim Primary attended a Tag Rugby Tournament at the Valley Leisure Centre in Newtownabbey. 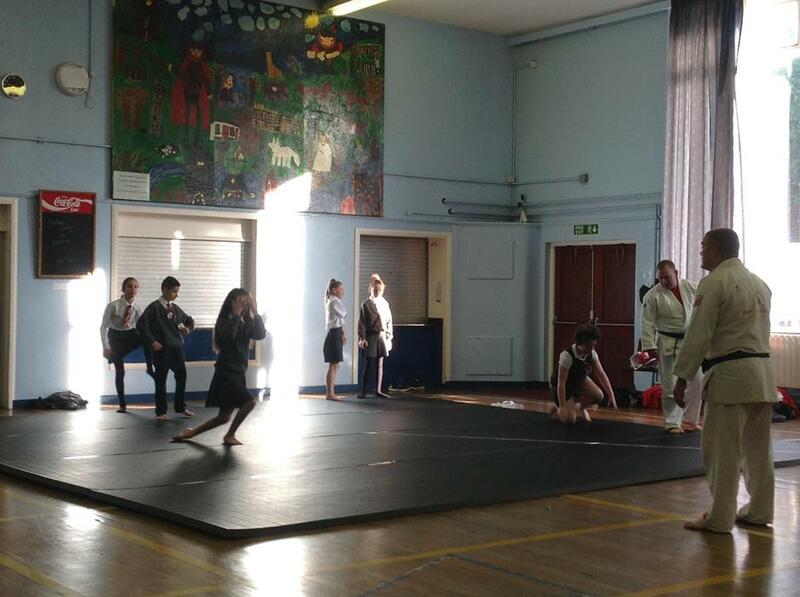 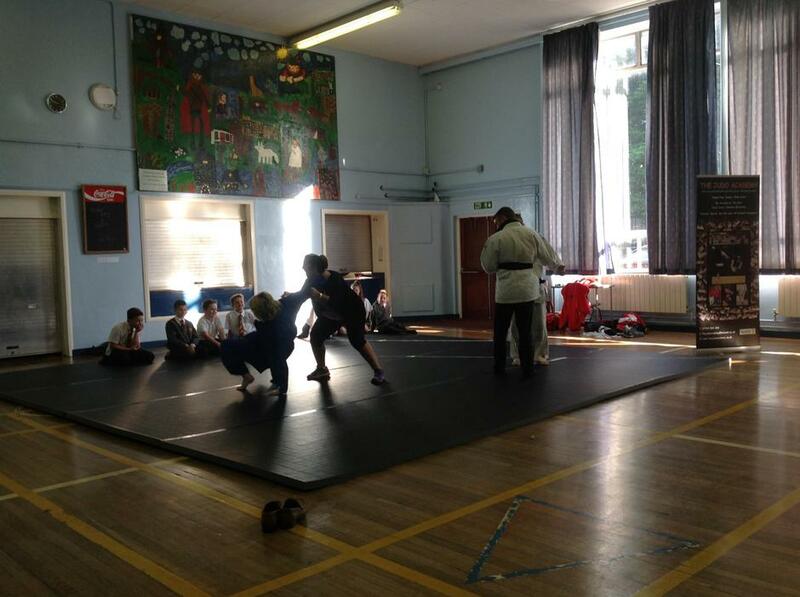 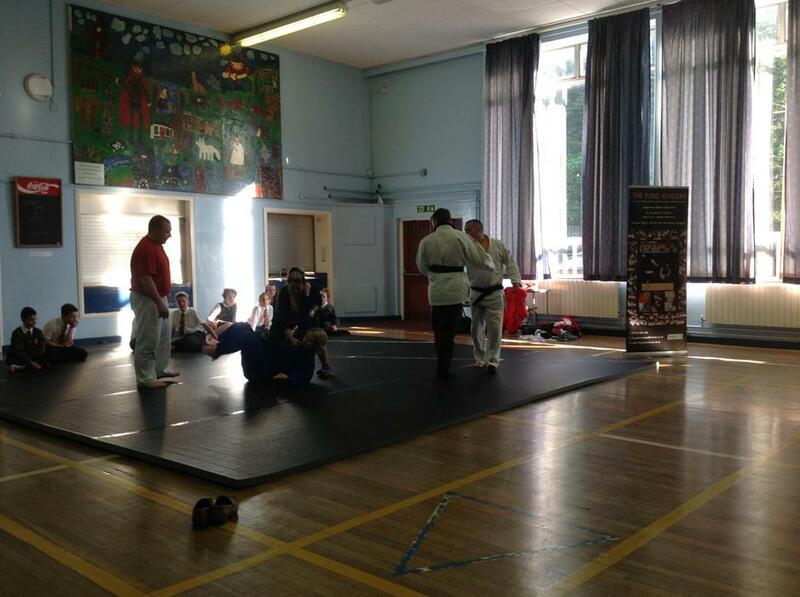 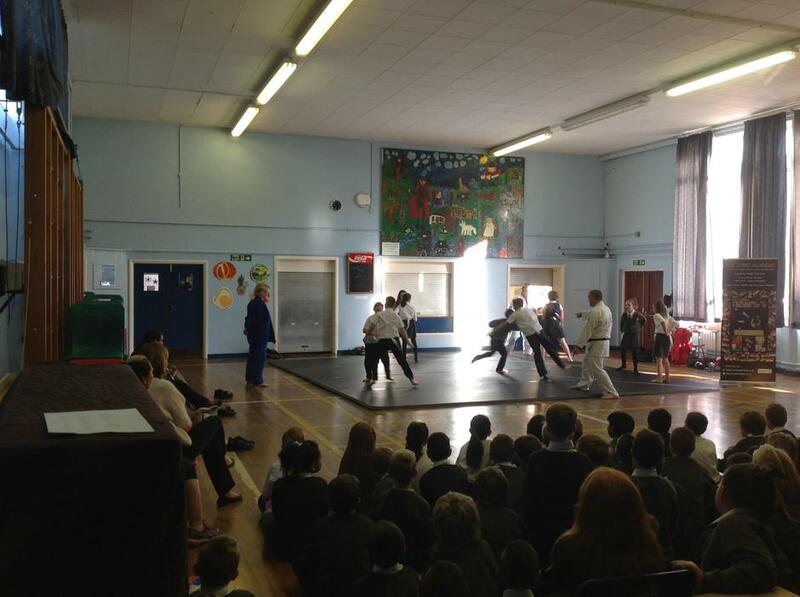 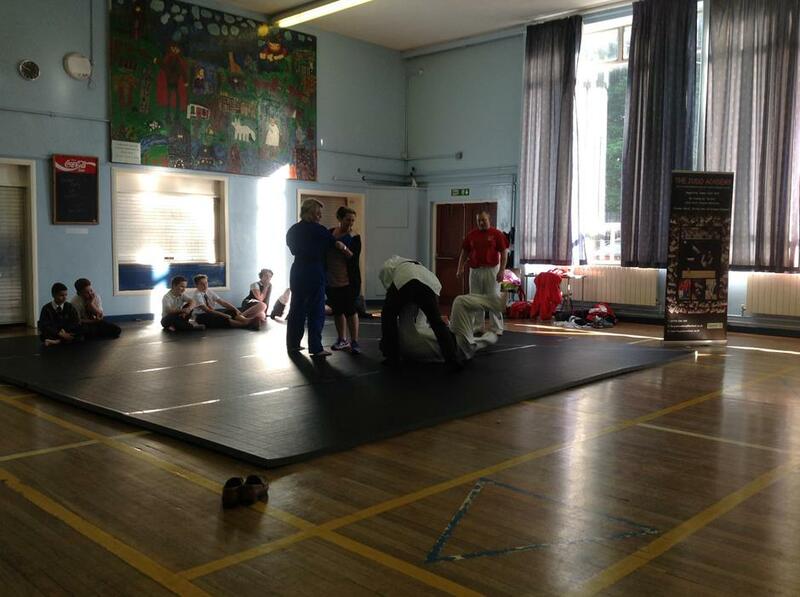 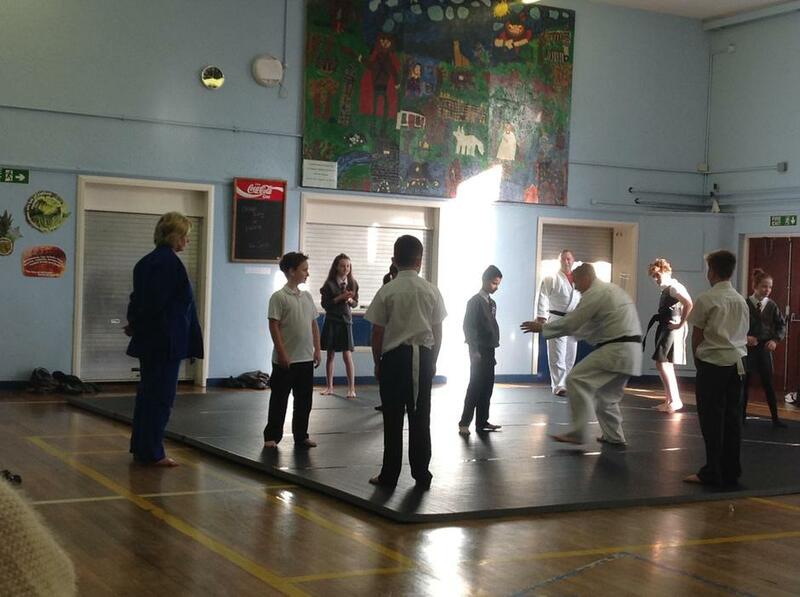 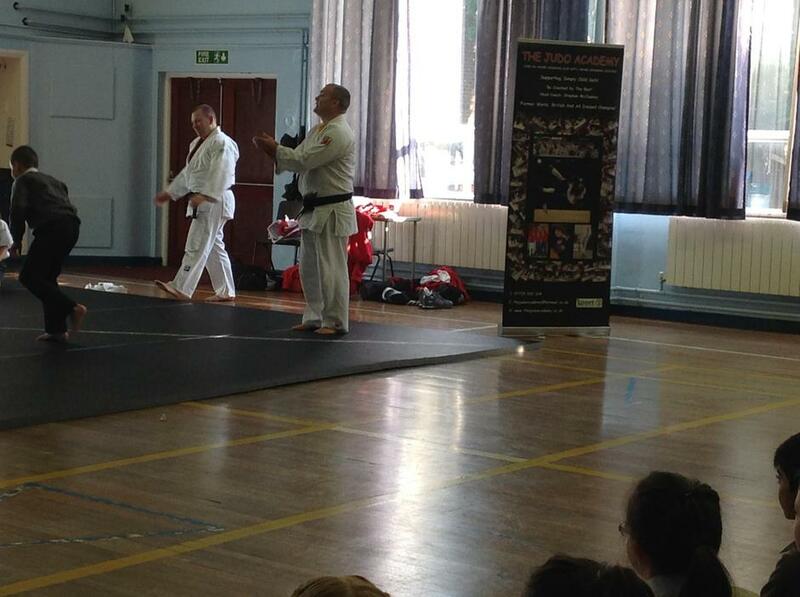 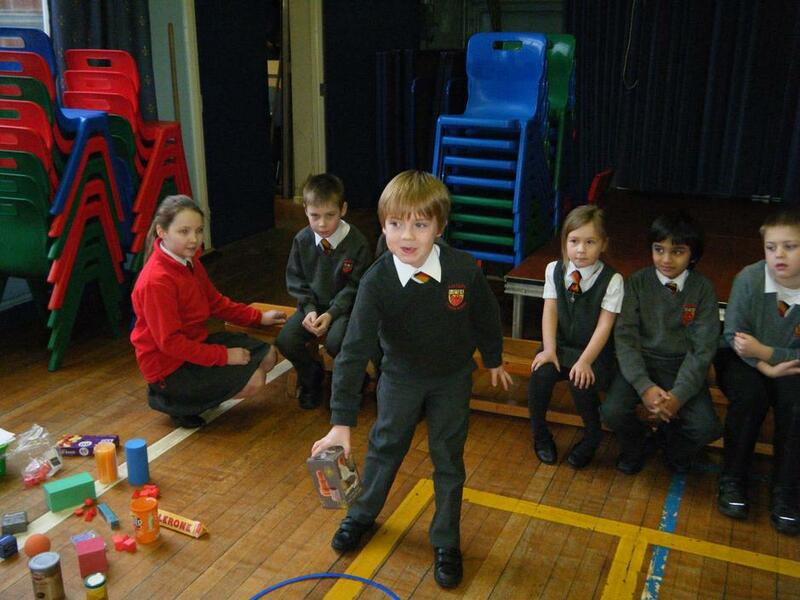 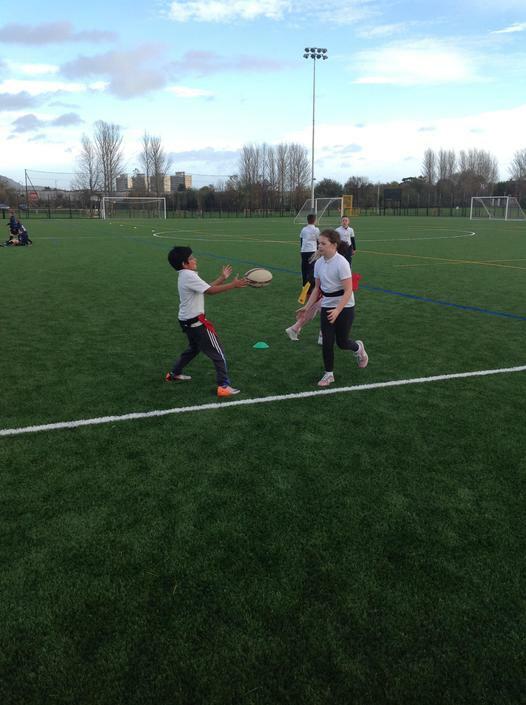 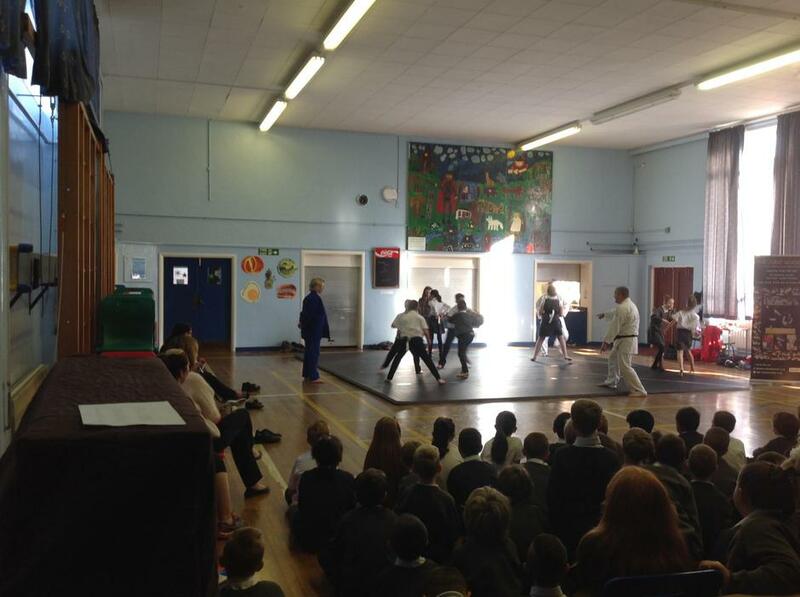 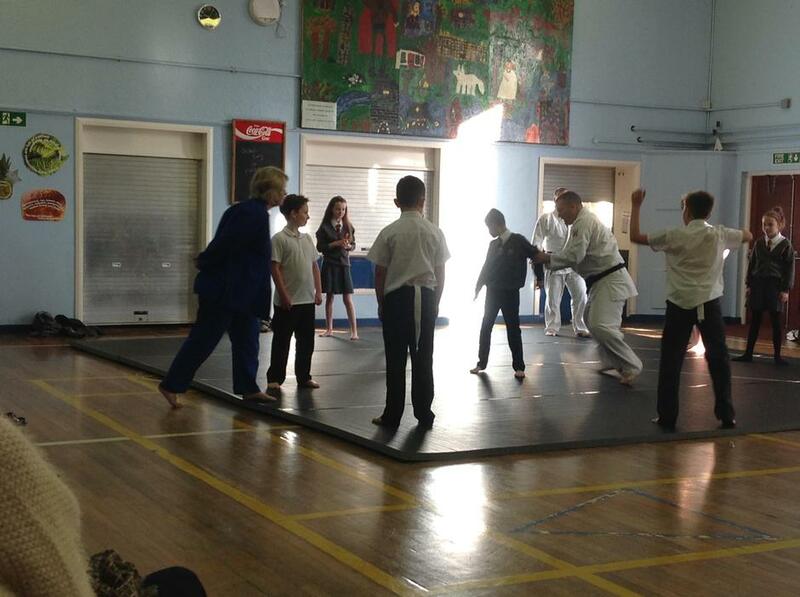 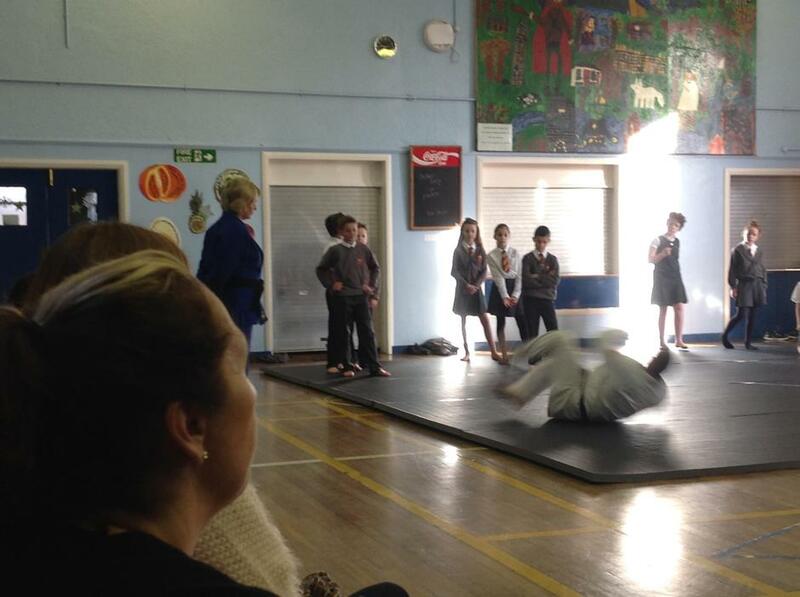 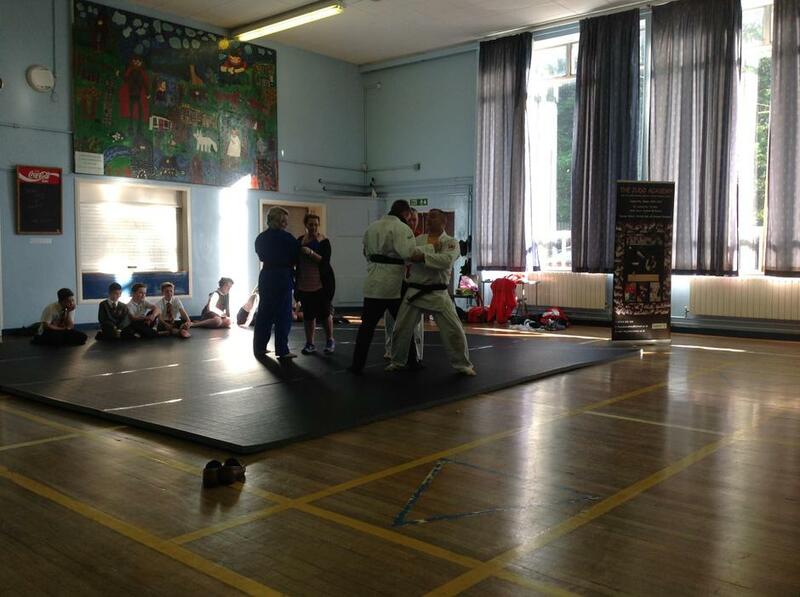 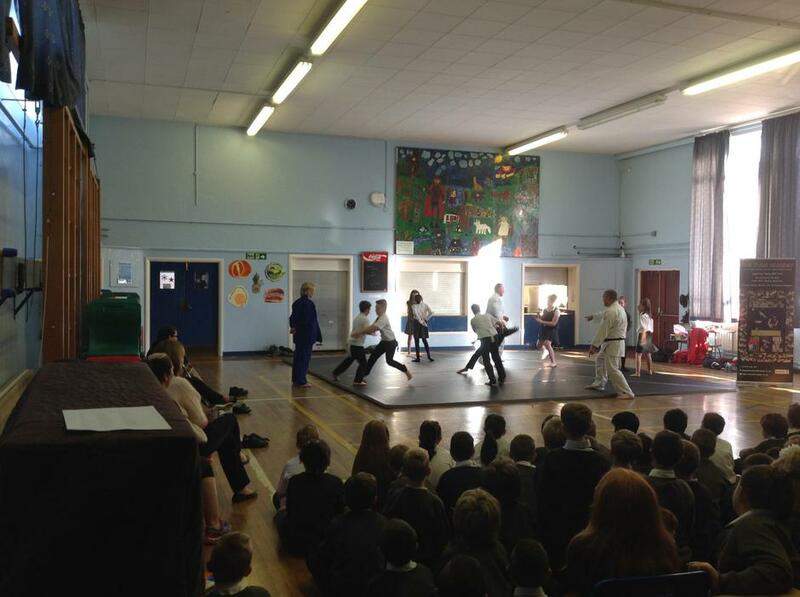 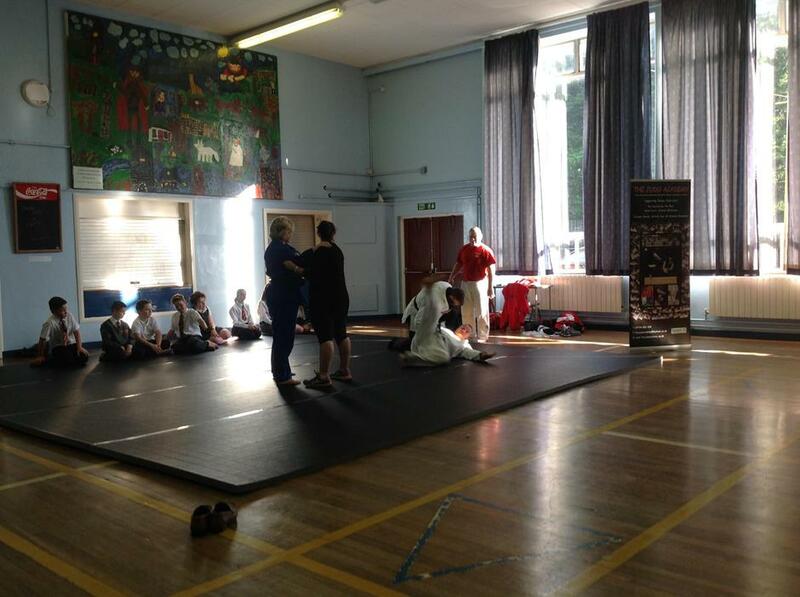 All children represented their school well and came away with a win in all three of their matches. 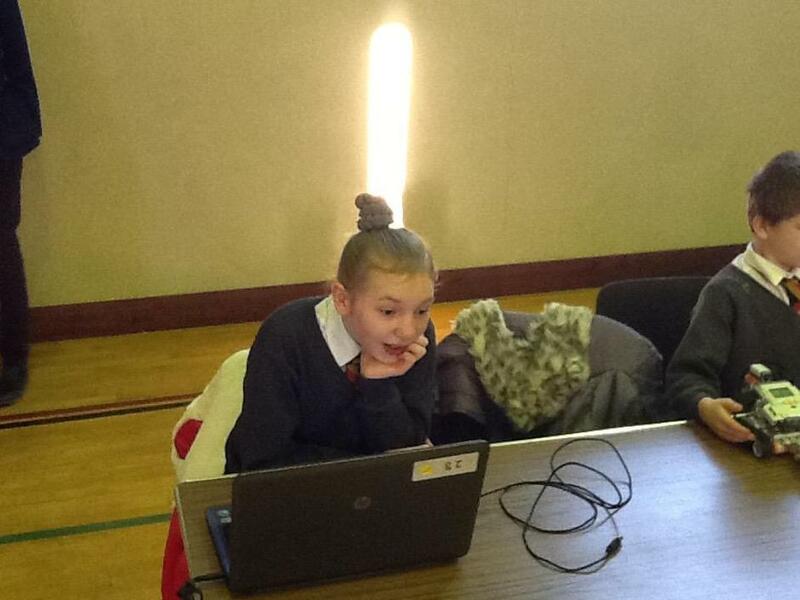 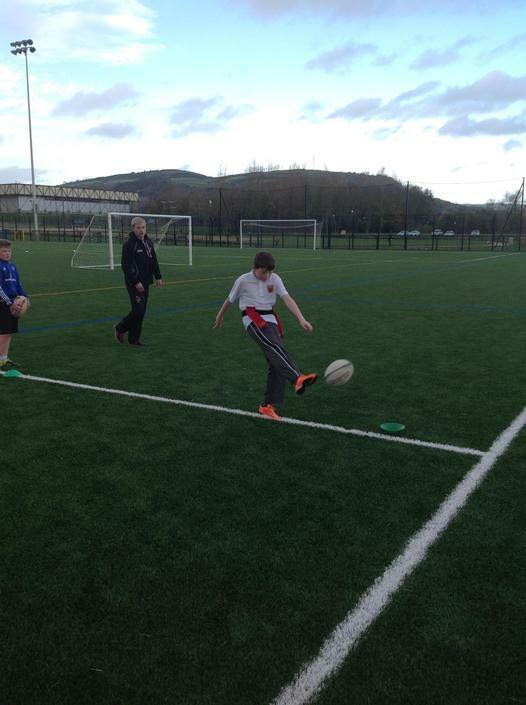 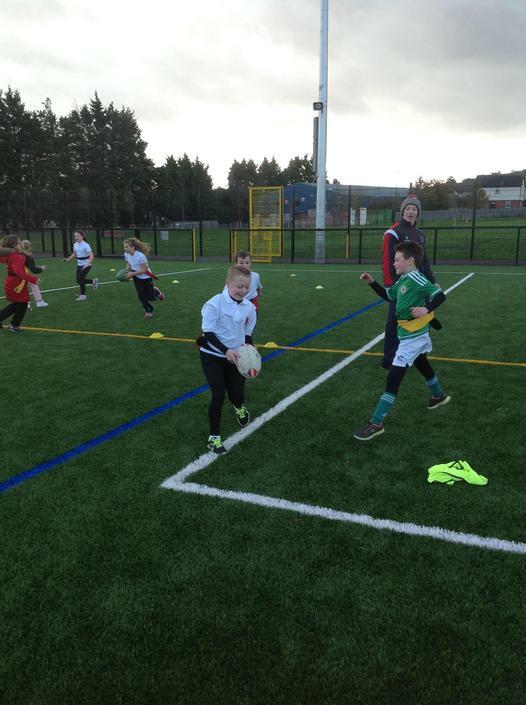 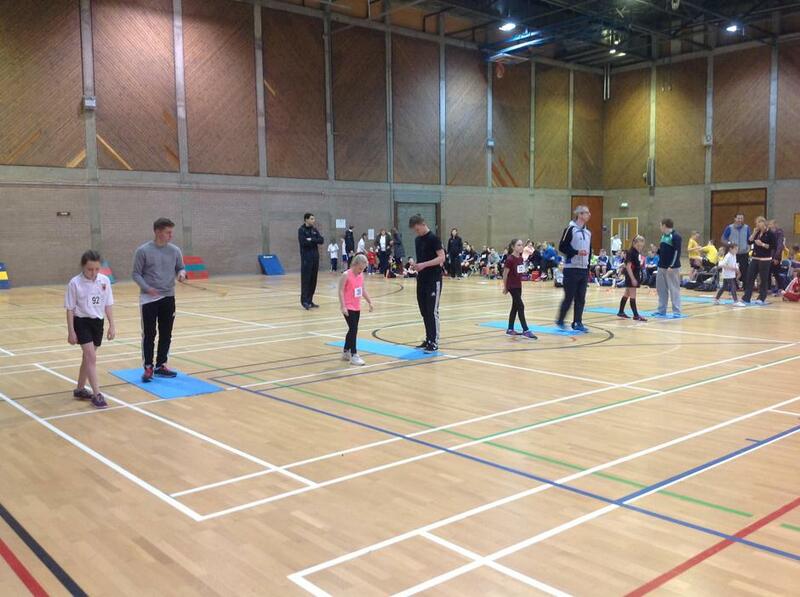 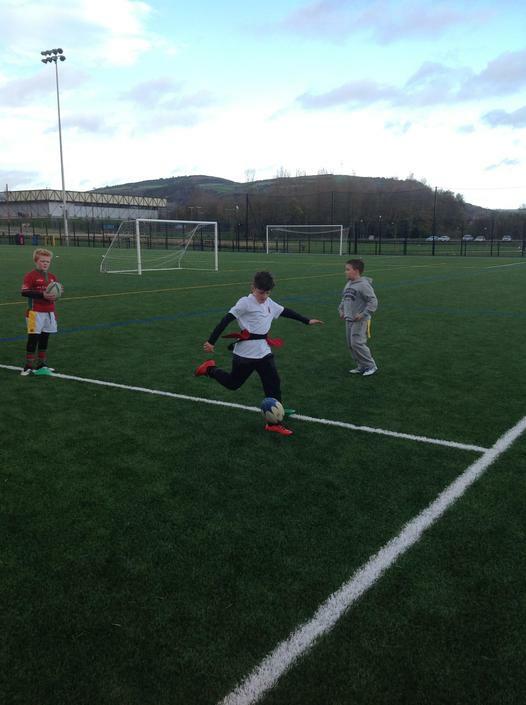 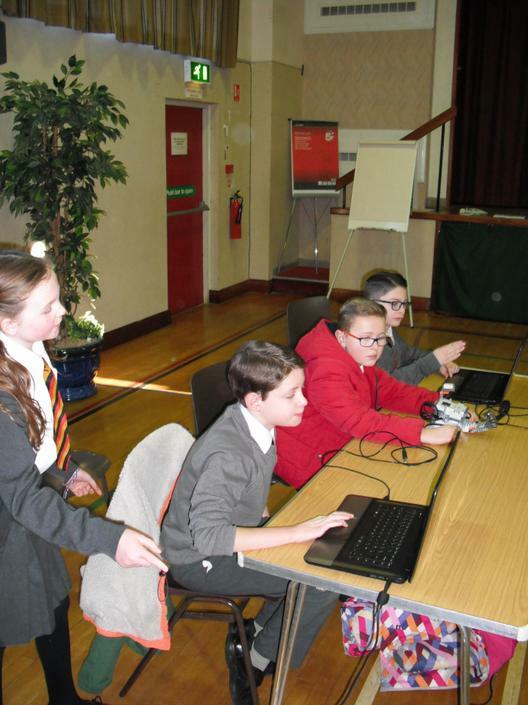 The pictures show children taking part in some of their matches; as well as some special drill sessions that were provided by the Antrim and Newtownabbey Borough Council.